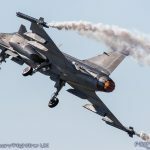 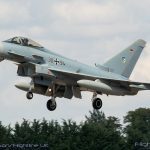 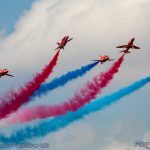 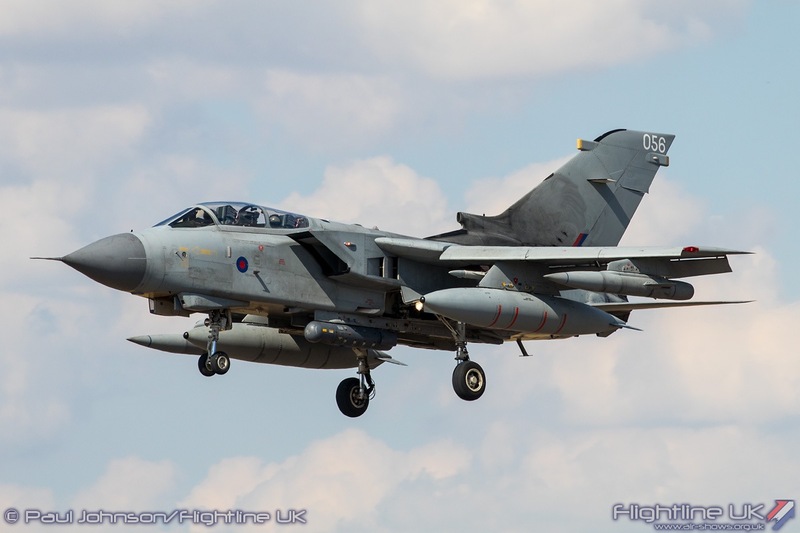 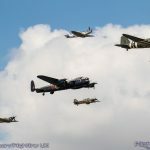 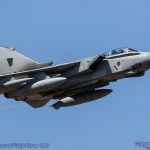 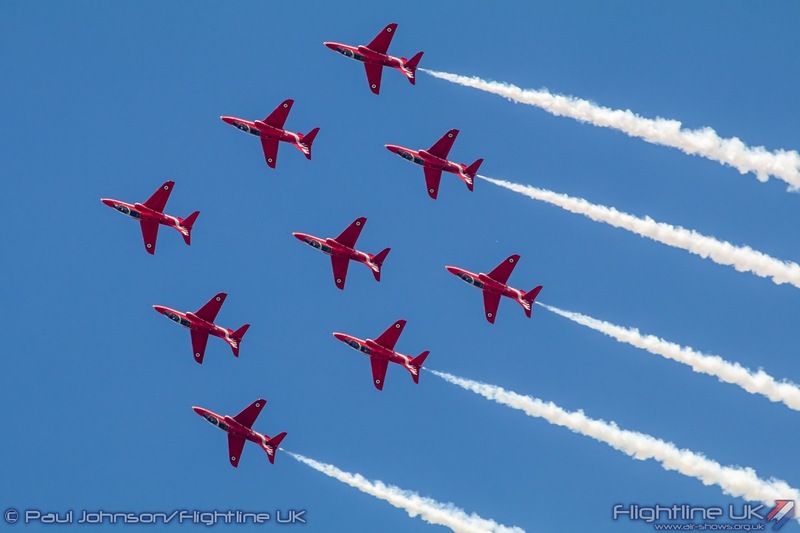 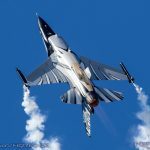 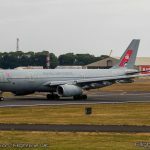 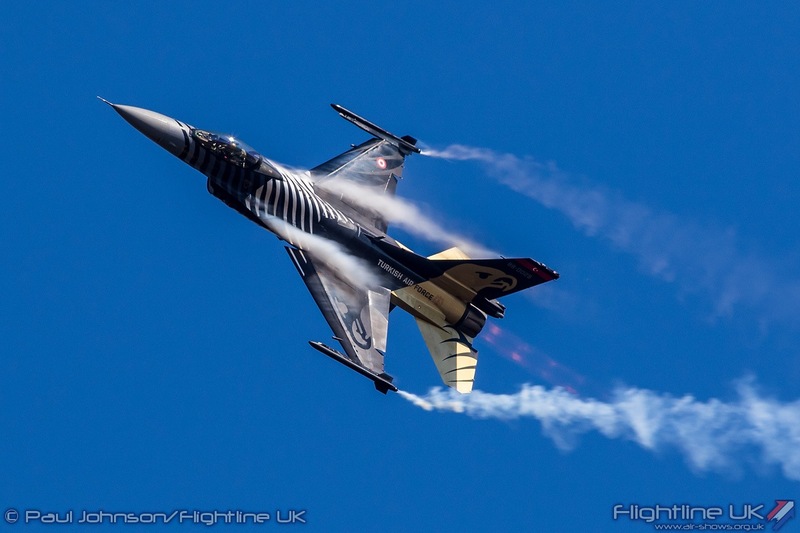 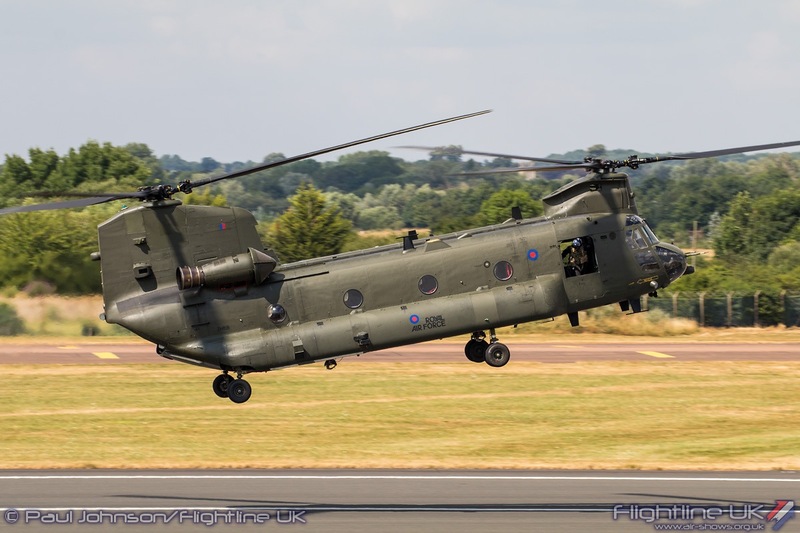 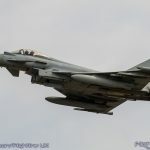 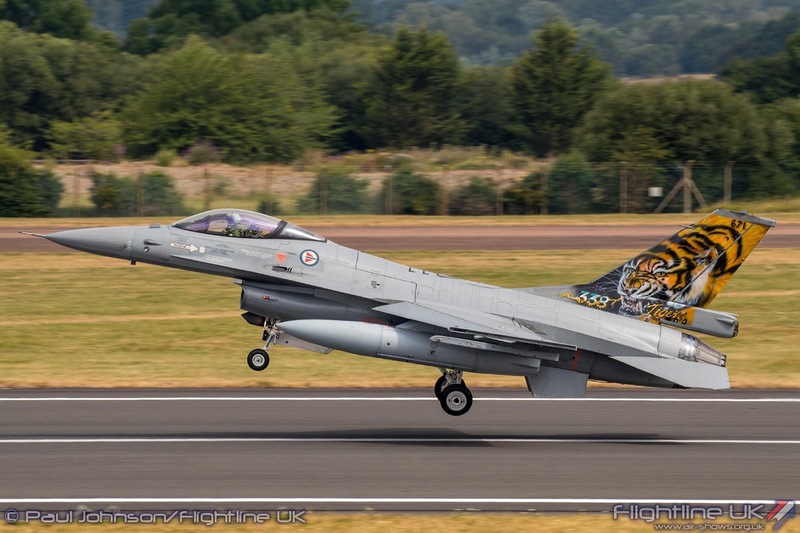 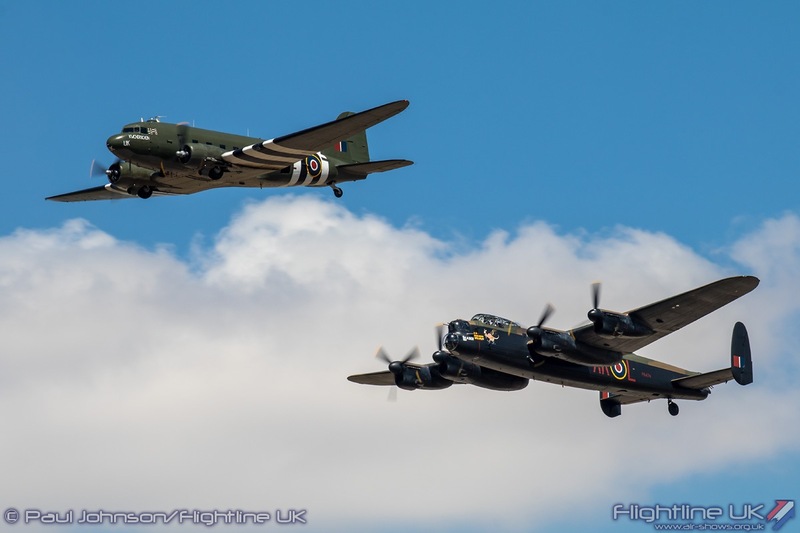 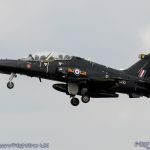 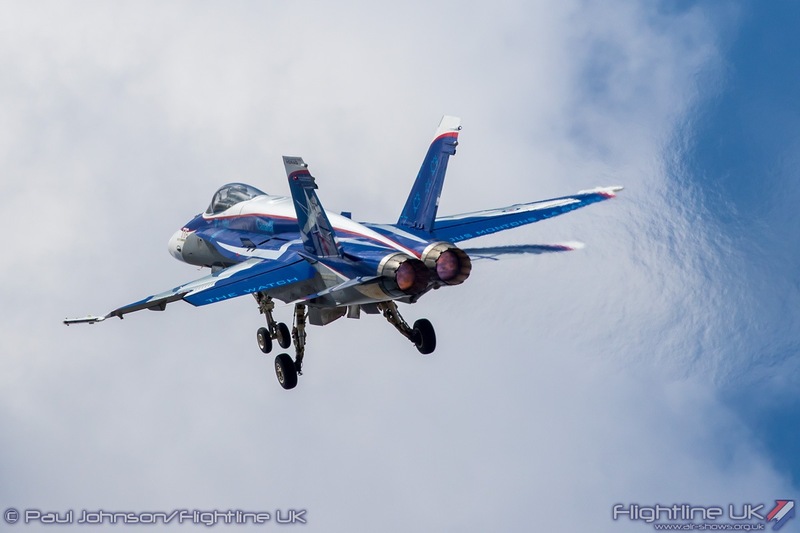 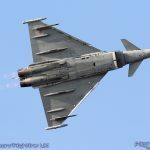 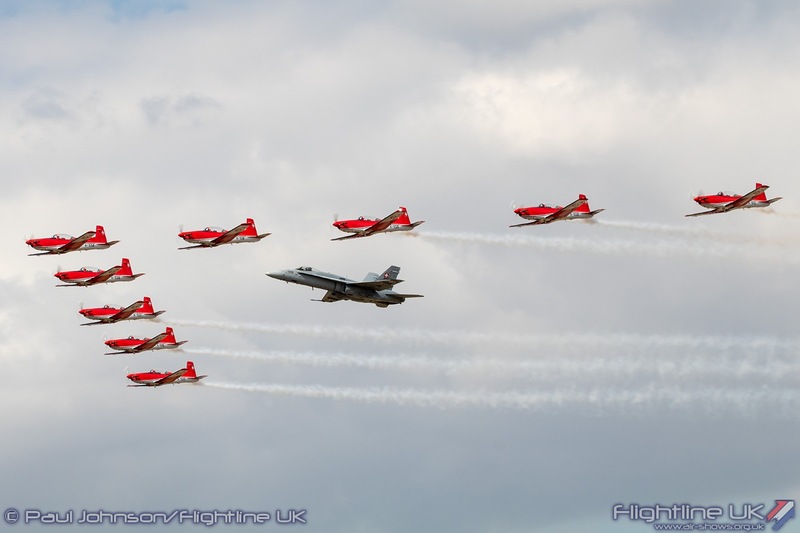 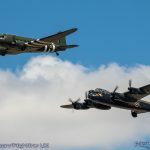 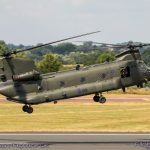 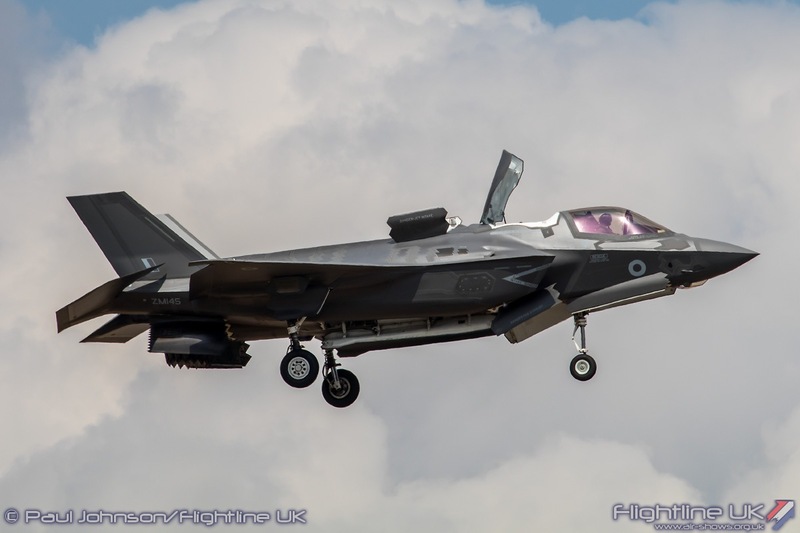 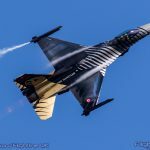 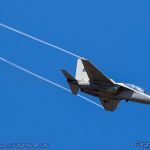 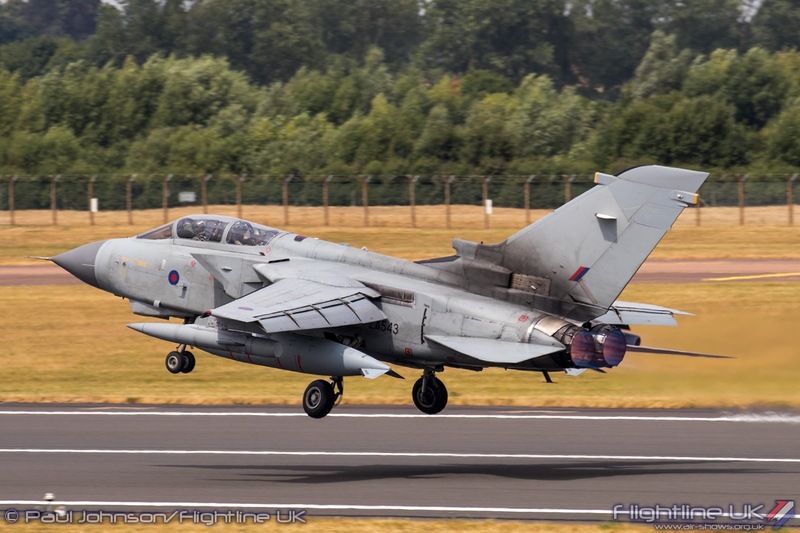 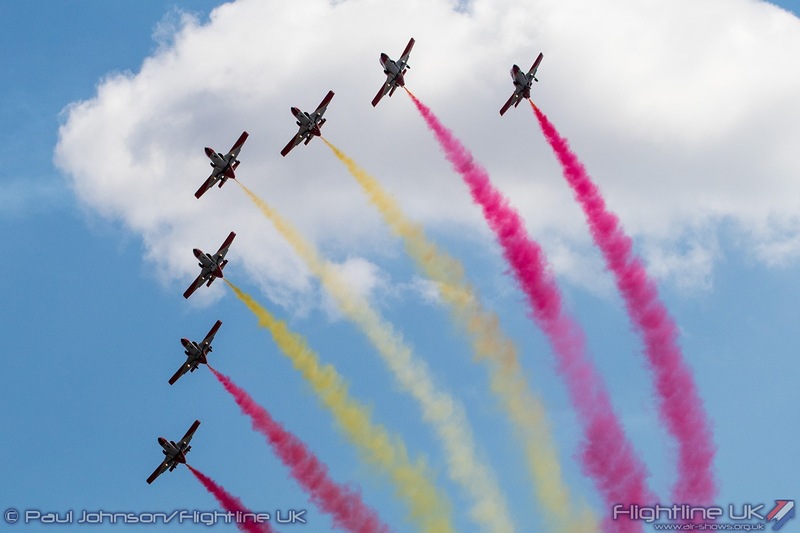 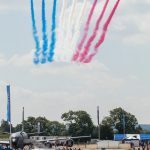 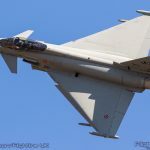 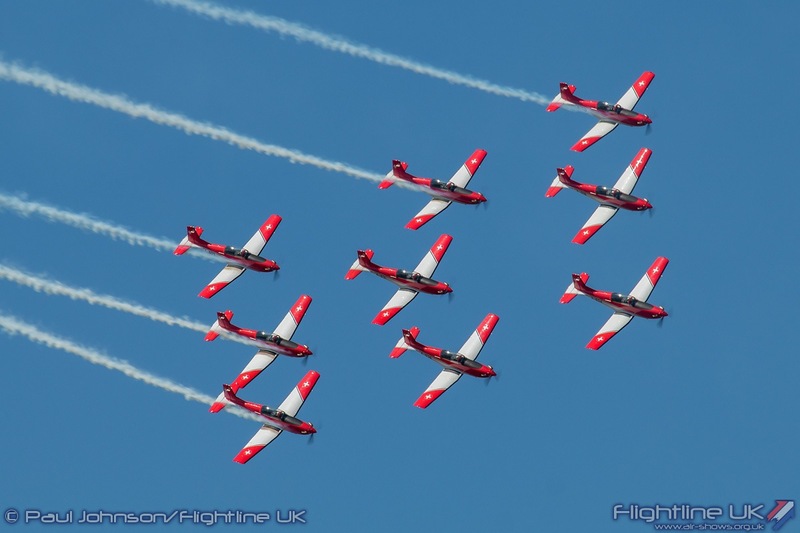 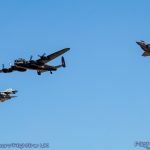 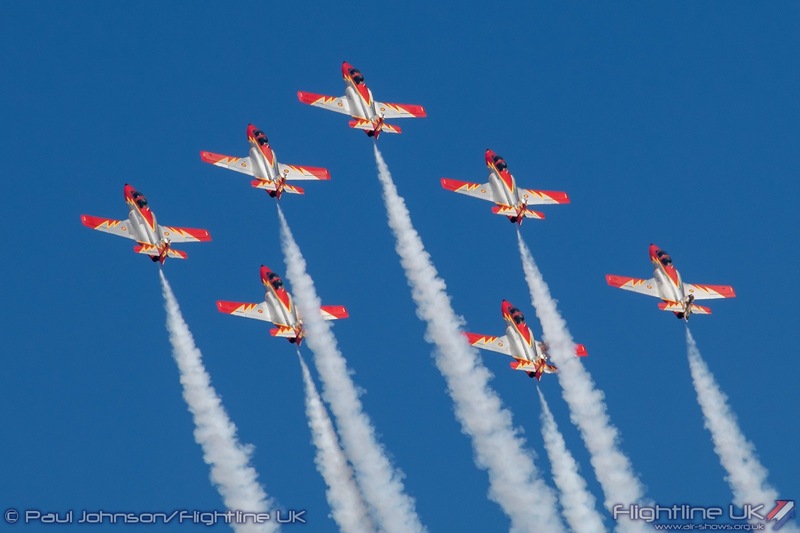 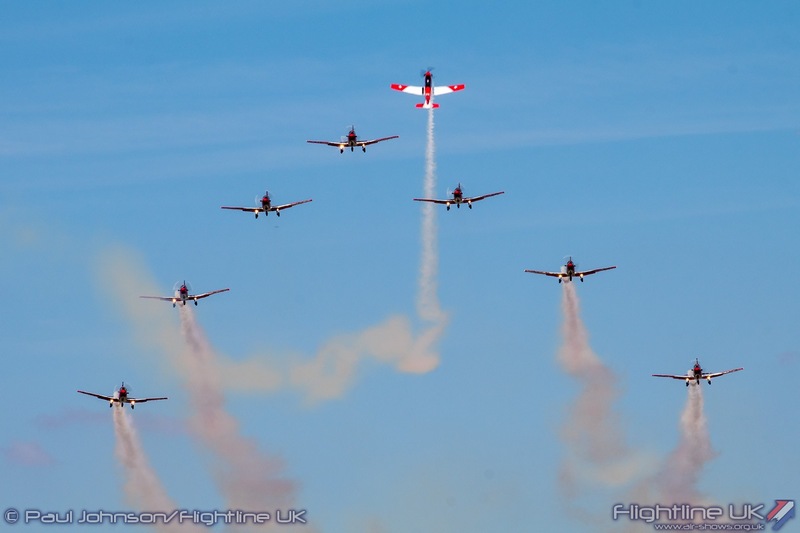 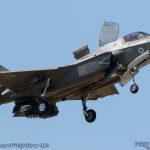 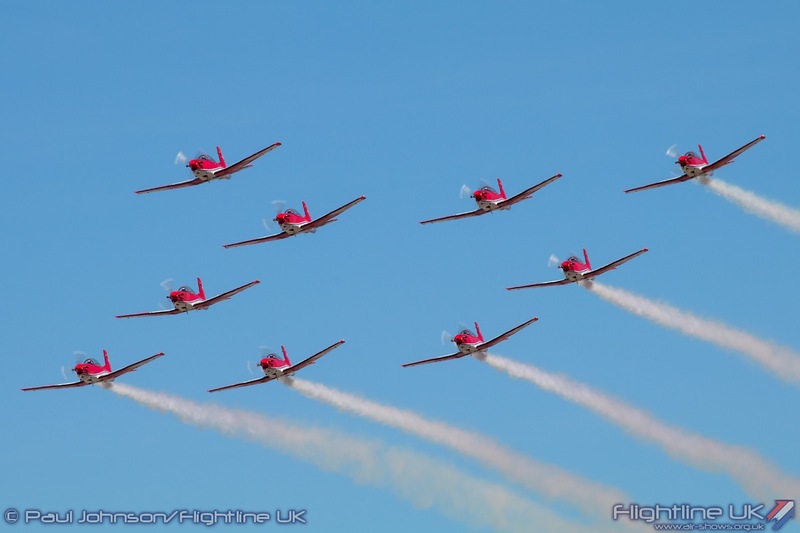 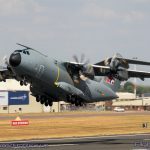 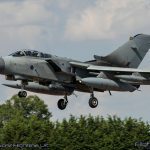 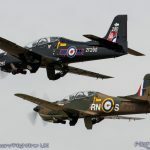 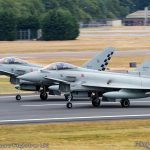 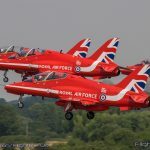 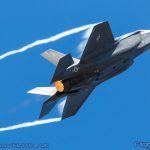 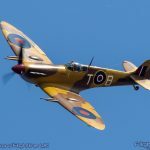 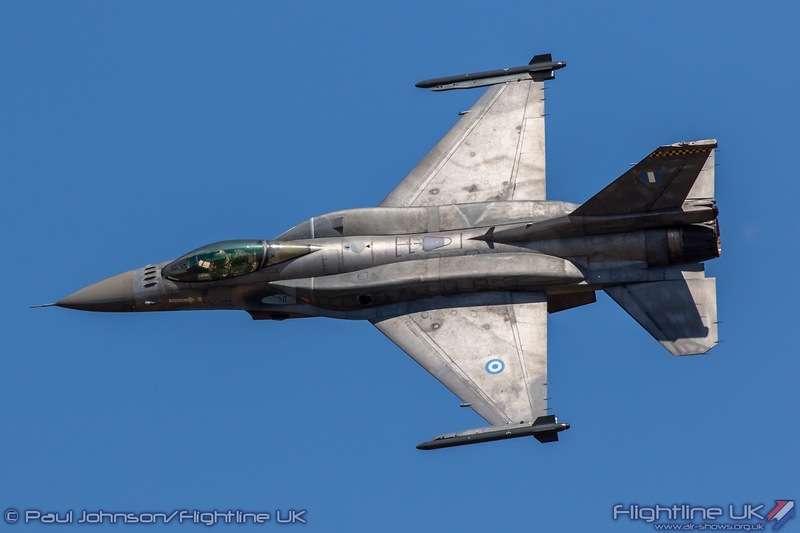 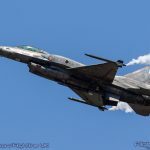 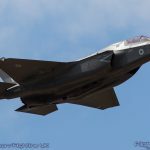 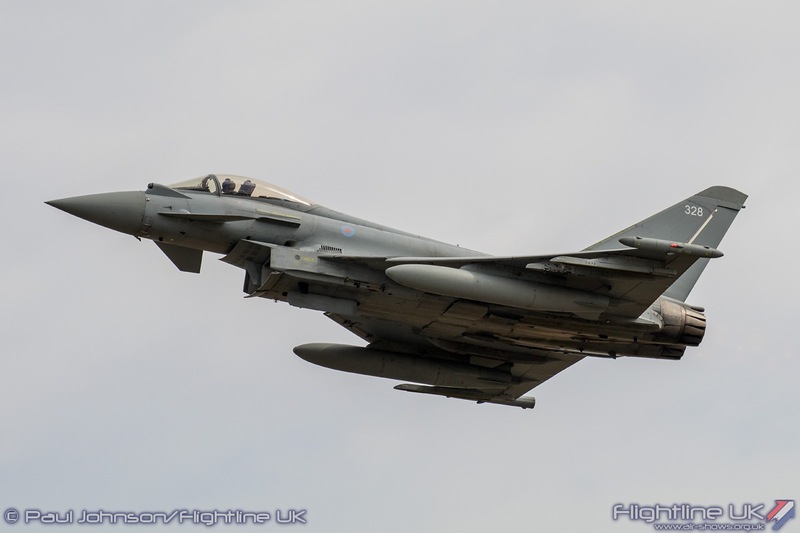 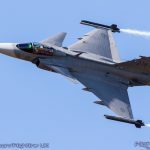 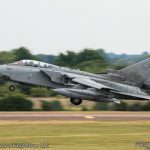 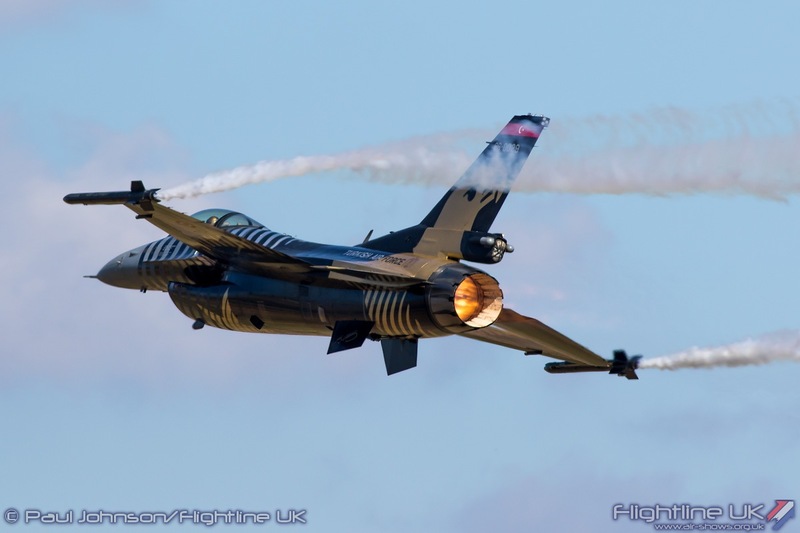 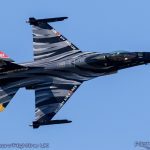 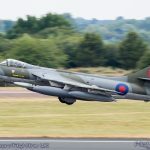 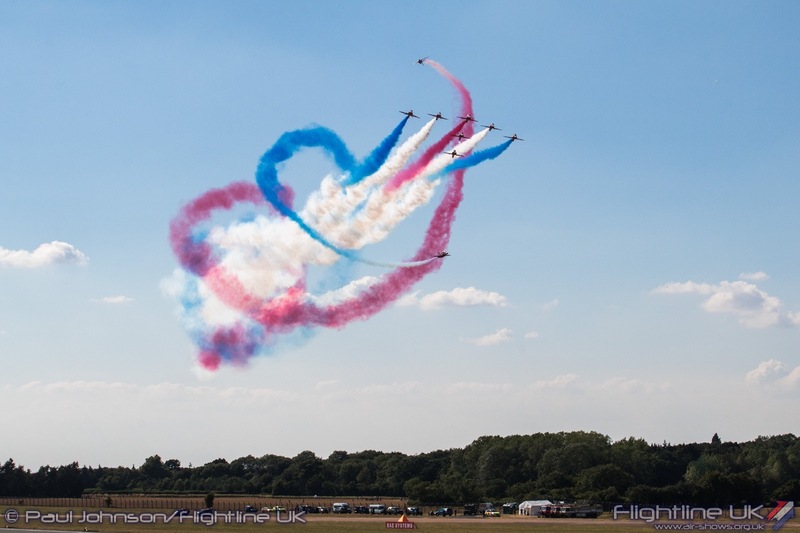 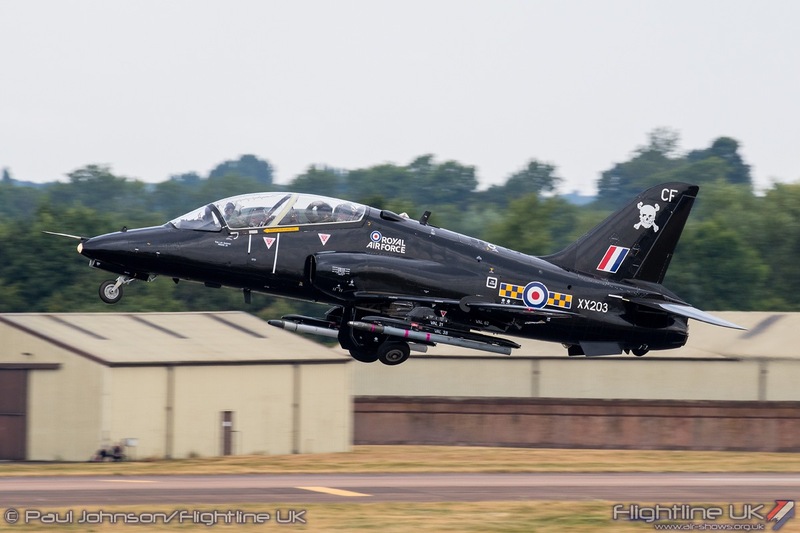 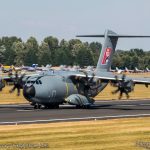 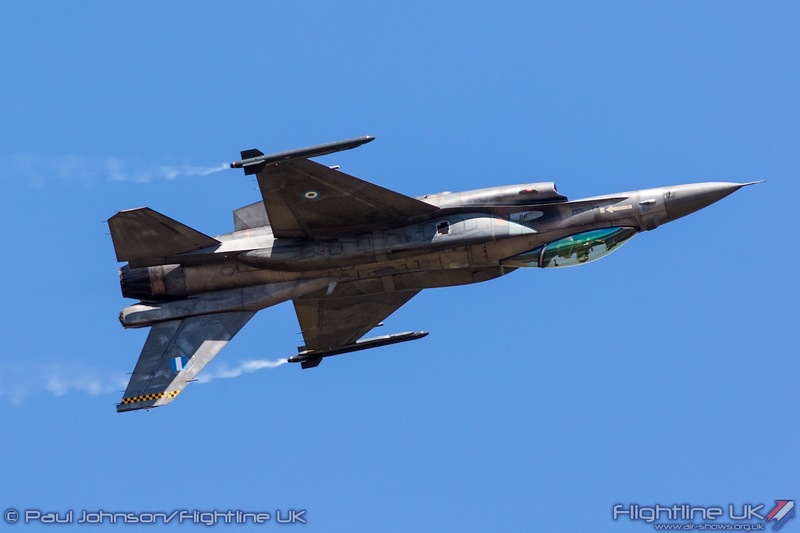 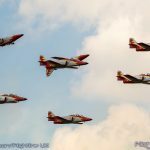 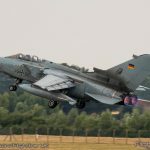 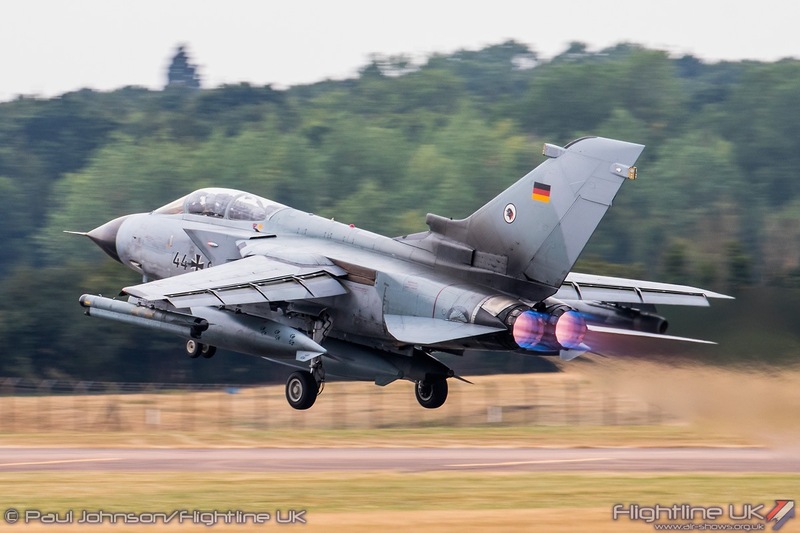 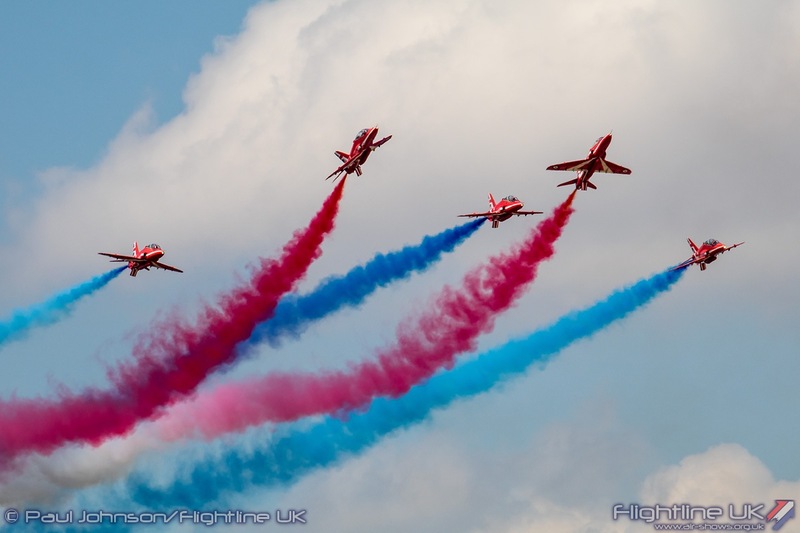 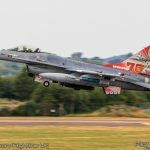 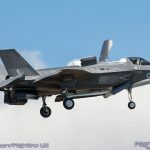 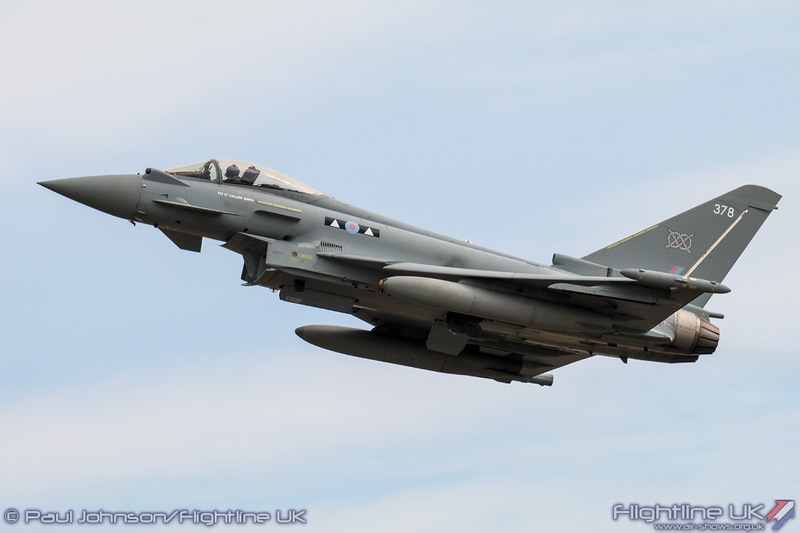 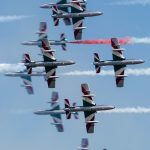 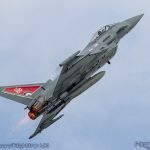 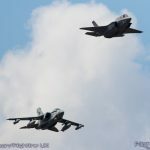 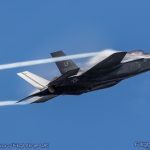 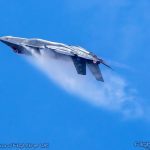 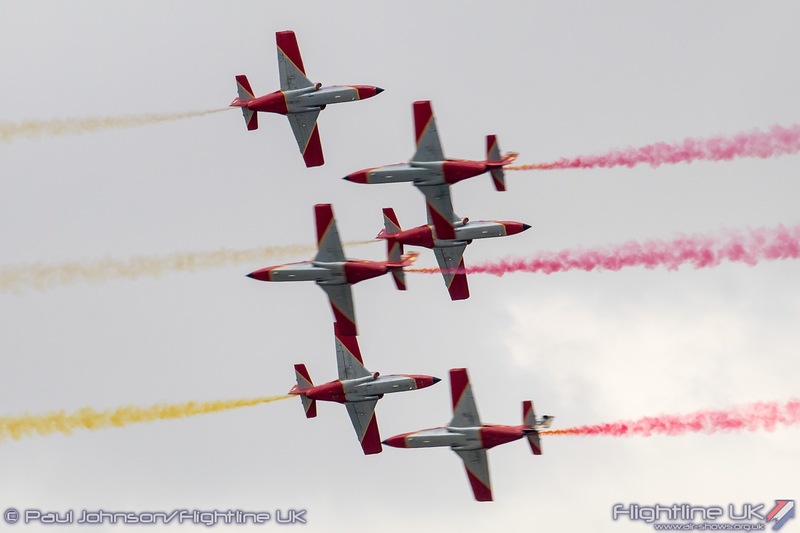 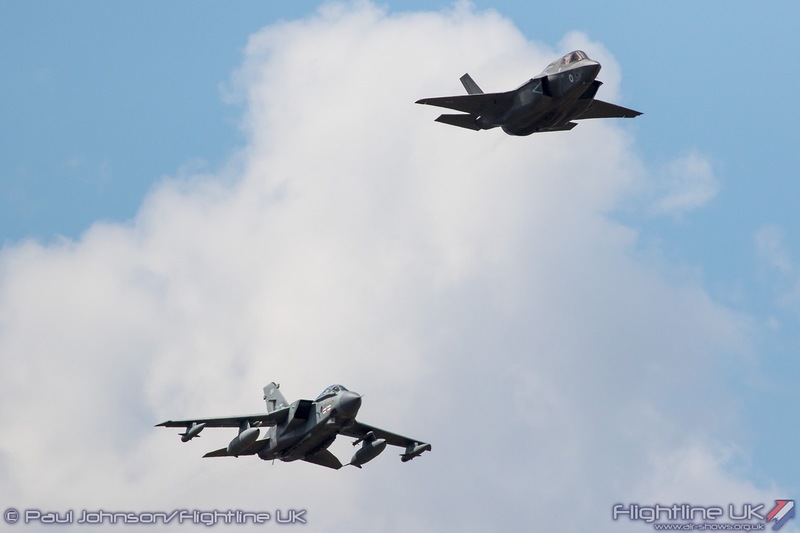 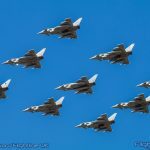 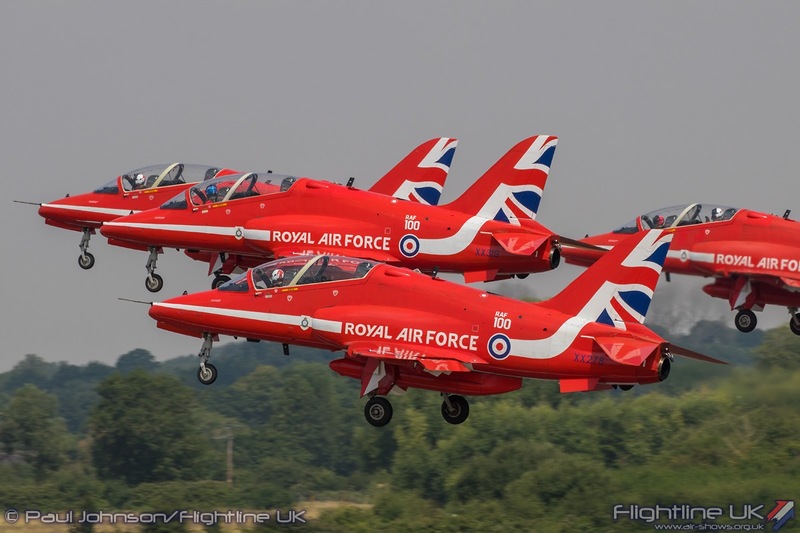 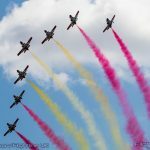 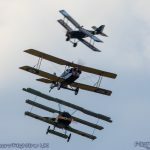 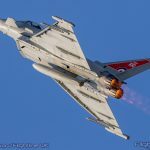 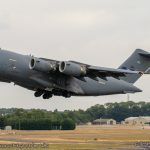 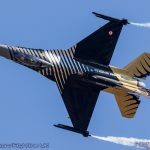 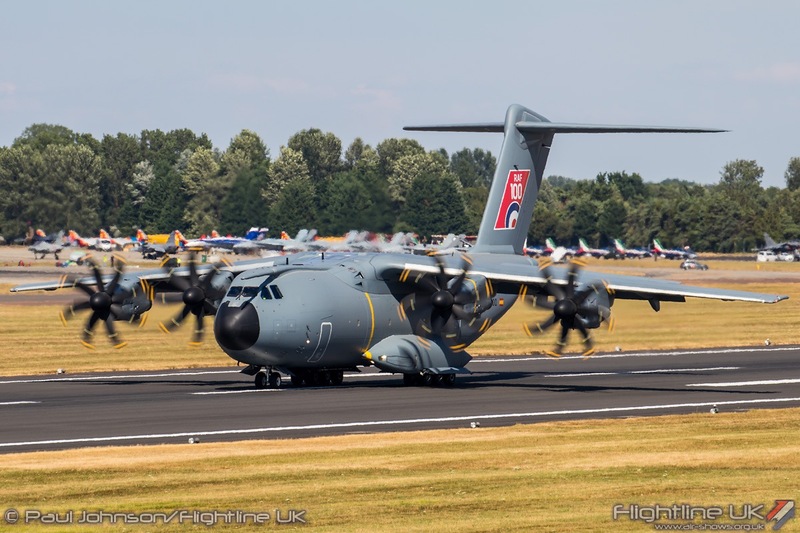 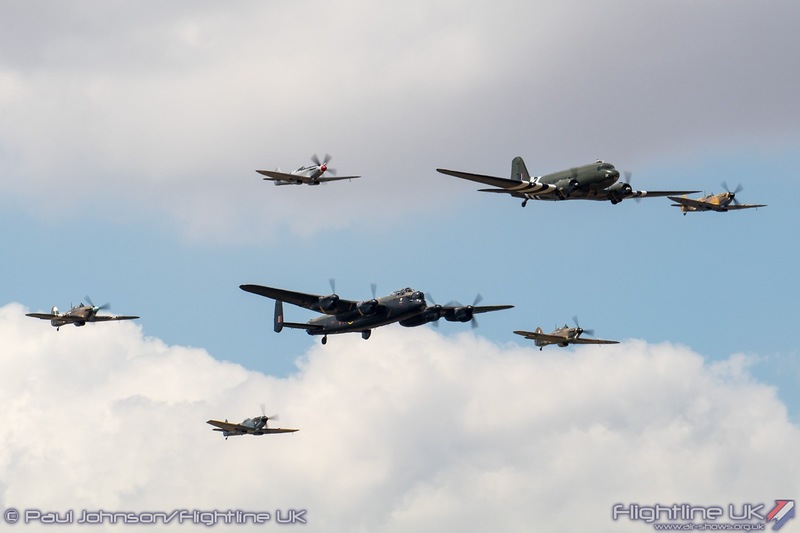 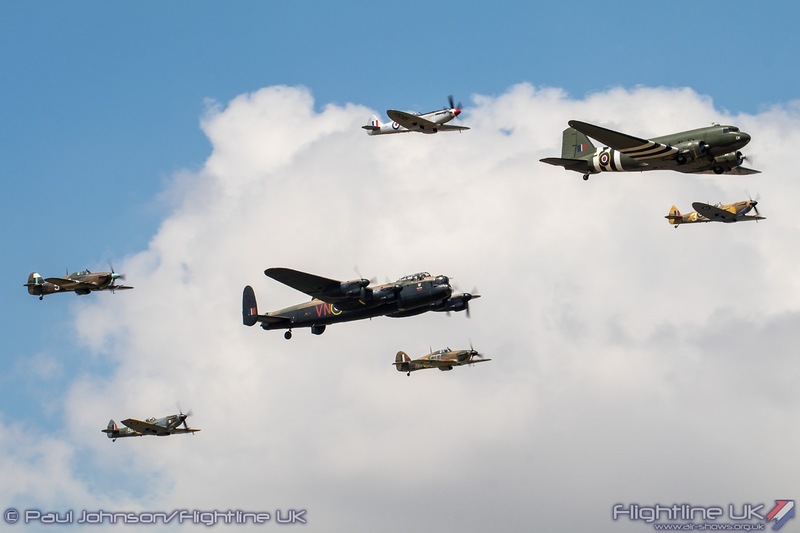 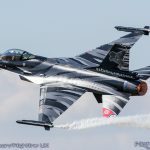 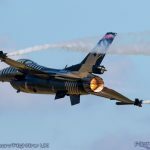 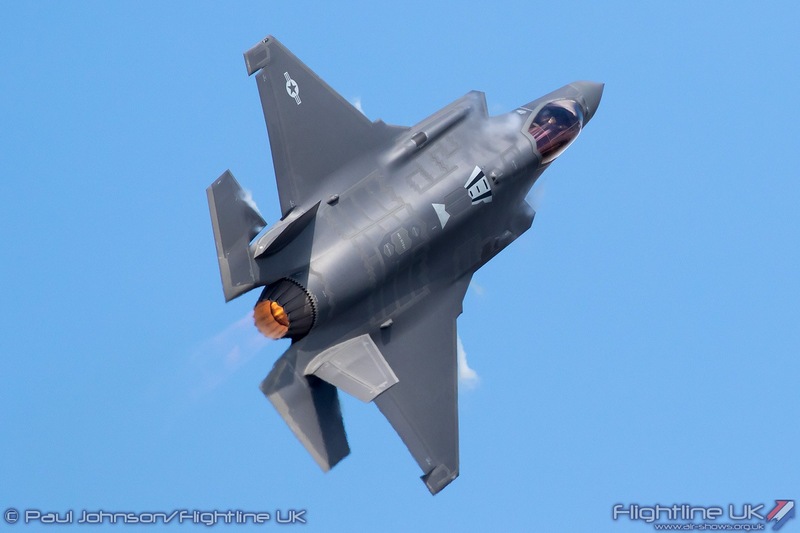 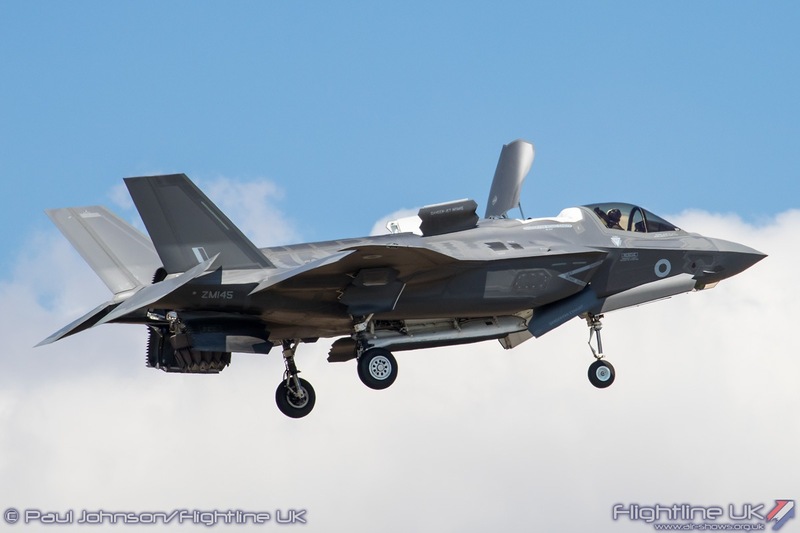 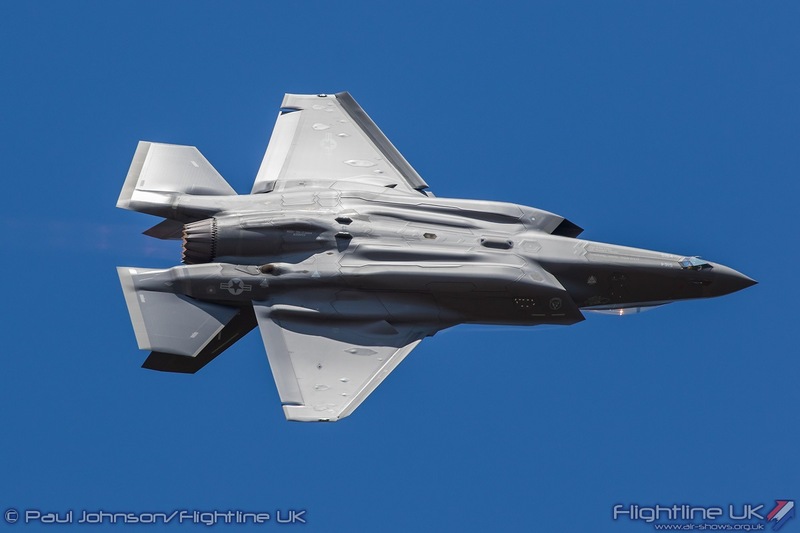 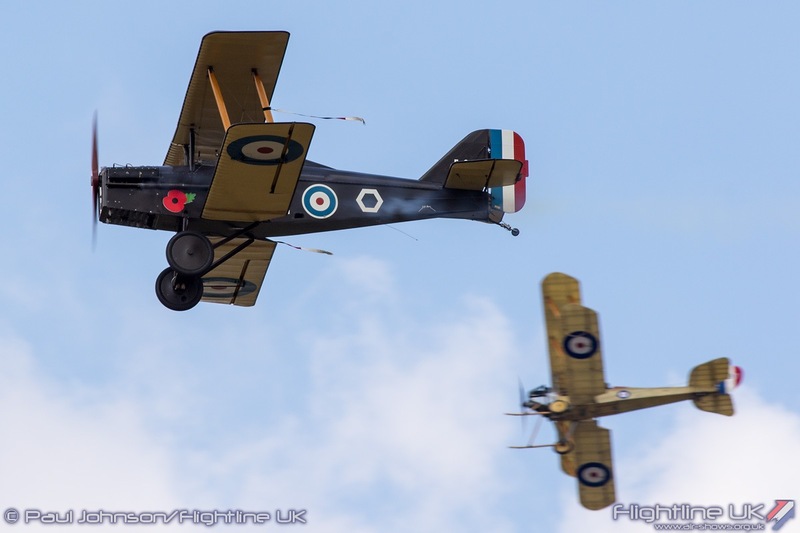 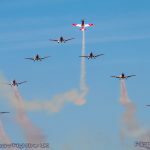 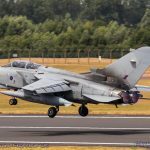 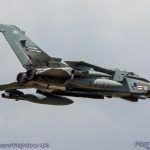 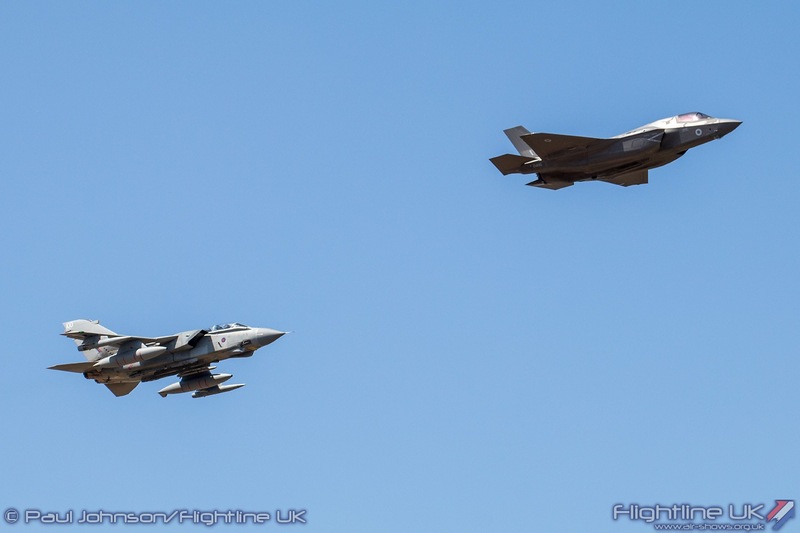 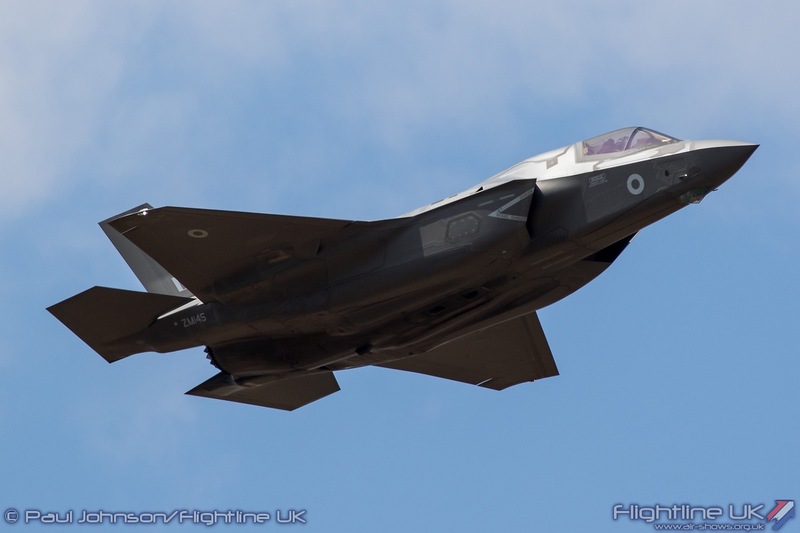 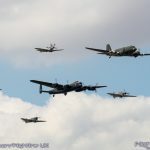 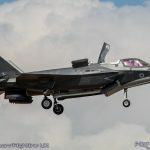 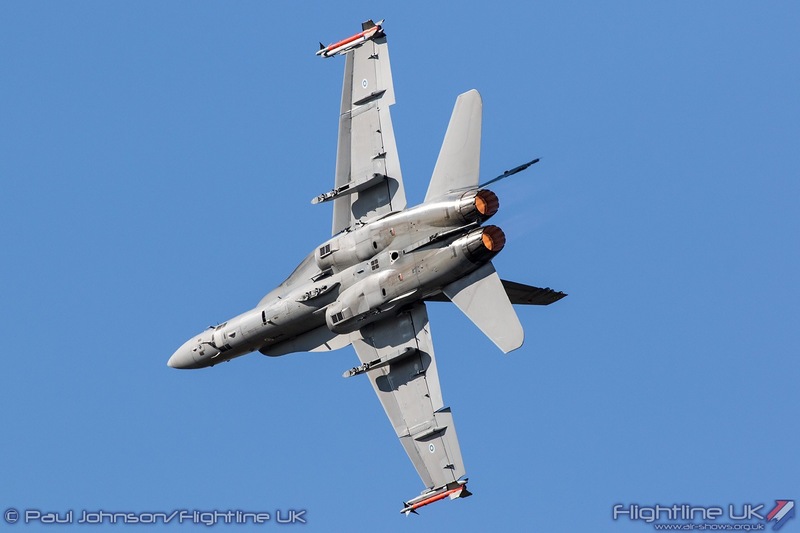 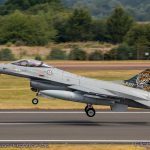 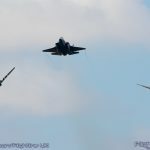 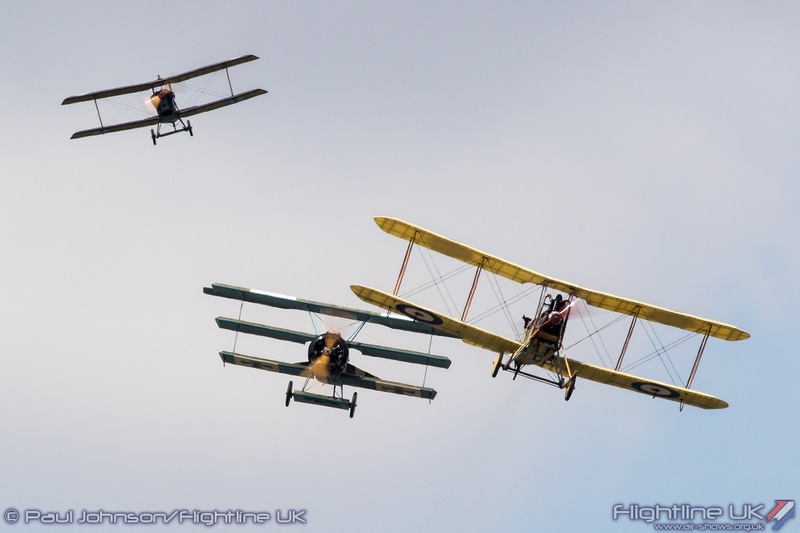 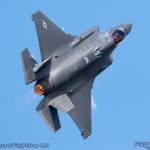 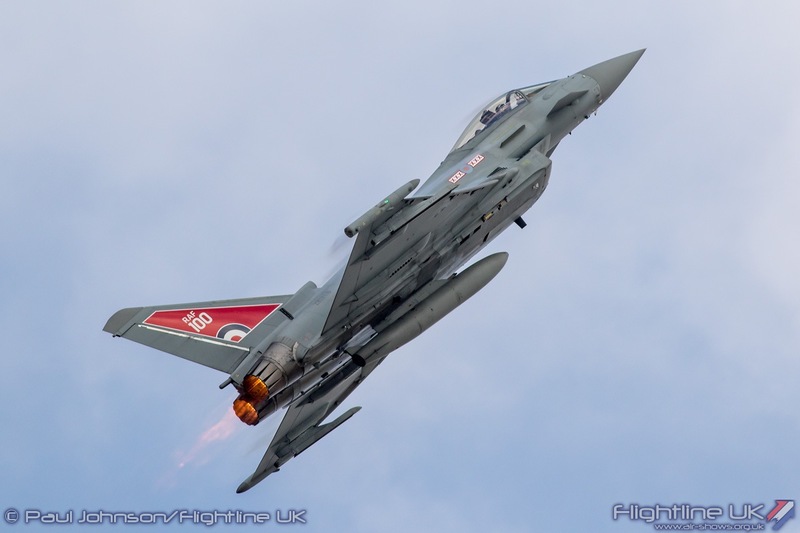 A week of Royal Air Force centenary celebrations in July came to a spectacular conclusion at a special three-day Royal International Air Tattoo (RIAT). 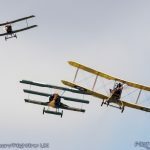 The event was the official “International Celebration” of the centenary following the national event which was held in London. 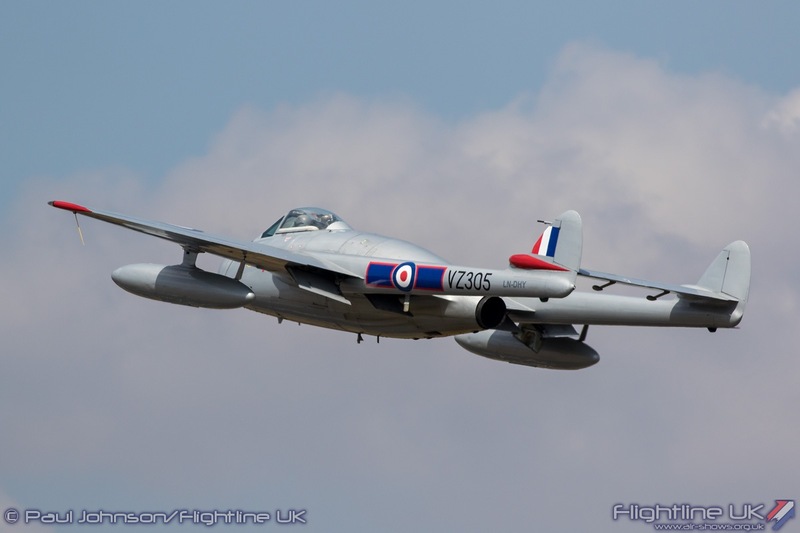 As such the event attracted just over 300 aircraft and a record number of participating air arms. 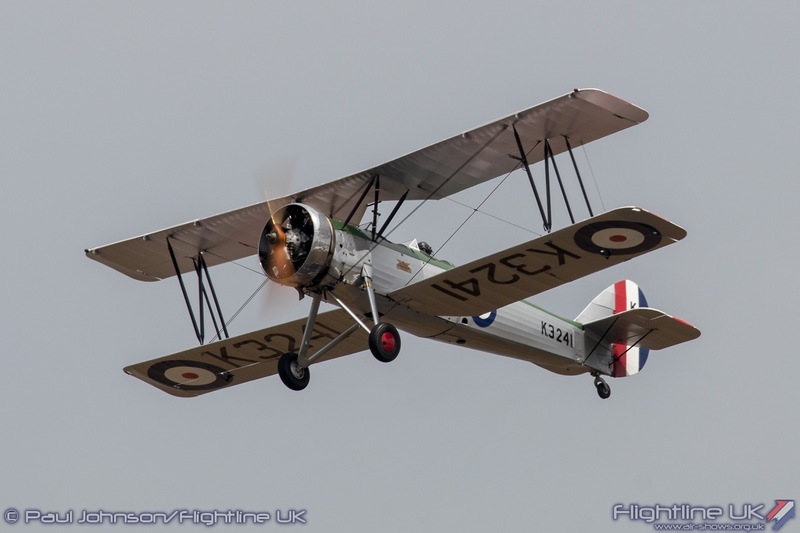 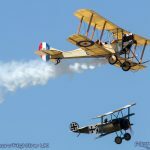 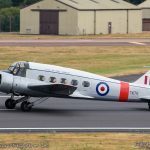 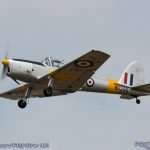 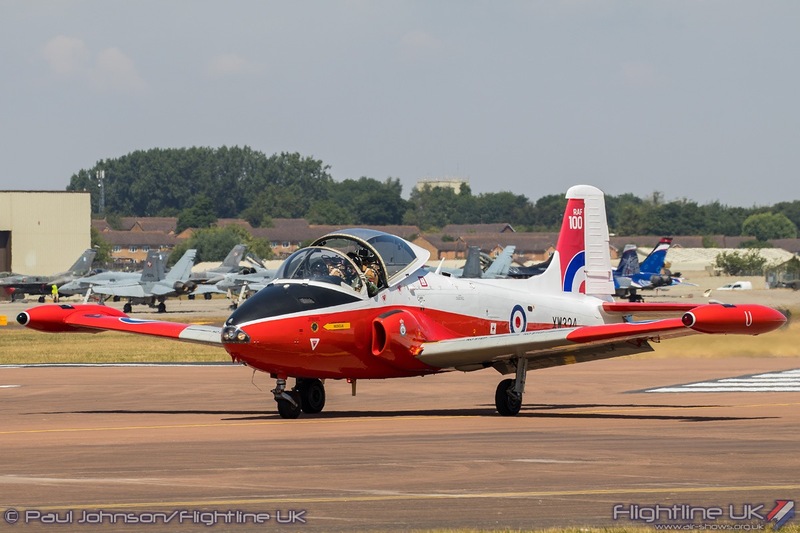 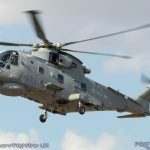 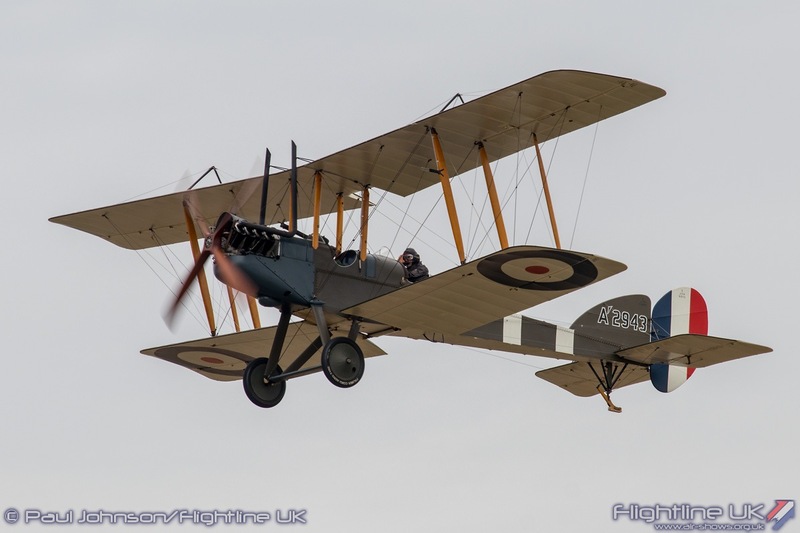 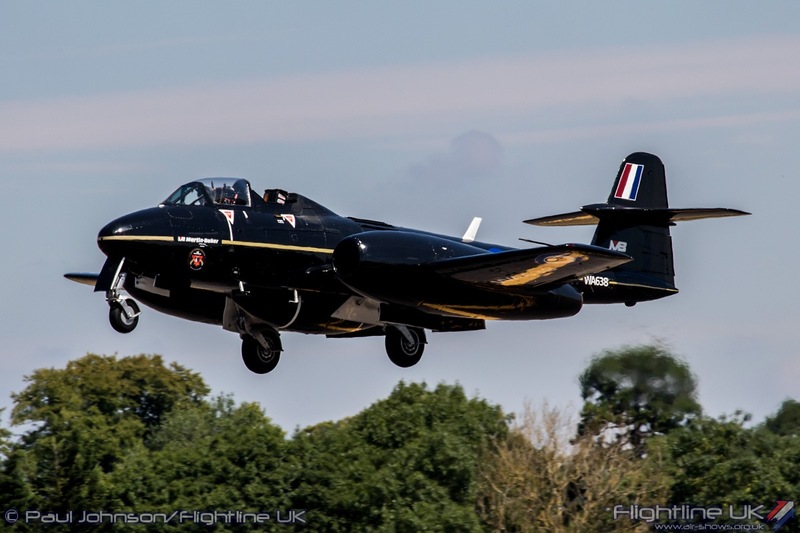 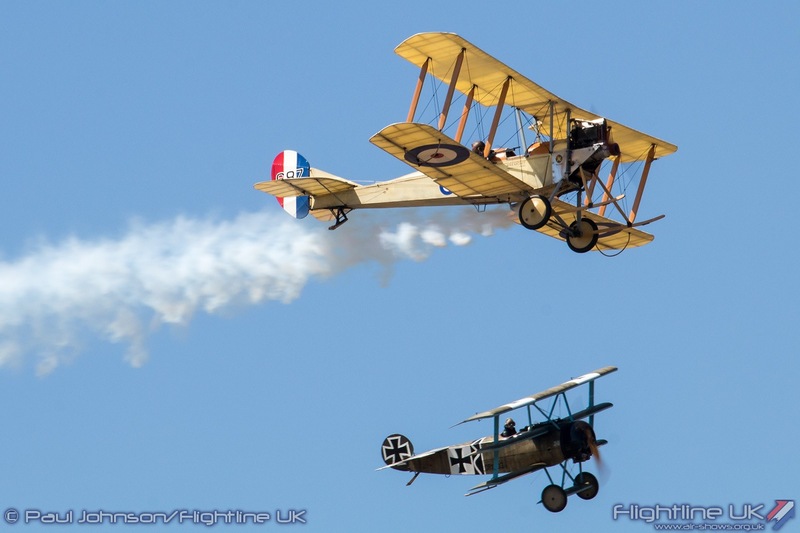 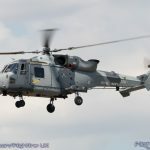 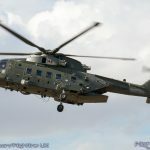 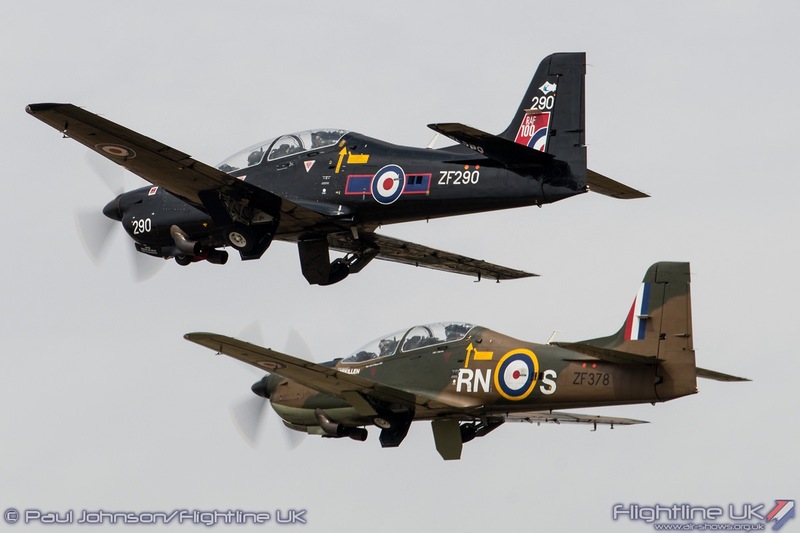 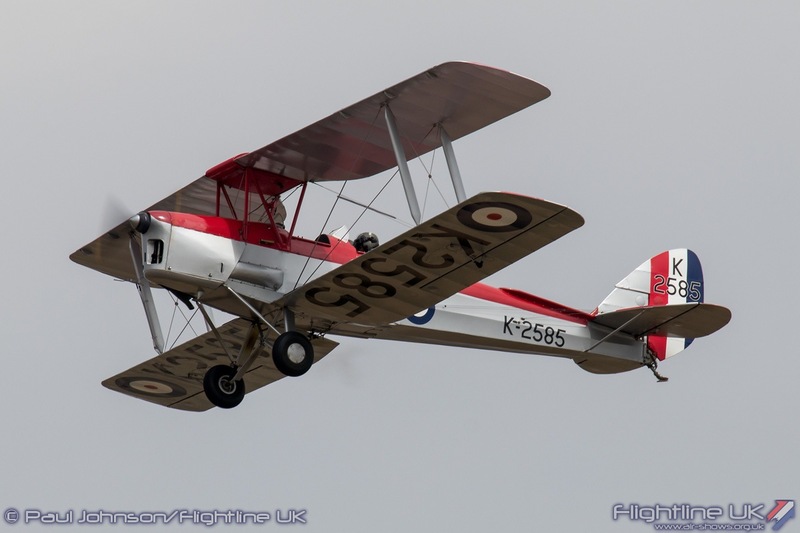 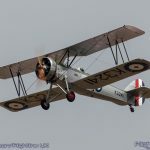 The event was also expanded to a full three days for the first time with the Friday including a Royal Review of personnel and participating aircraft as well as a full day of flying displays. 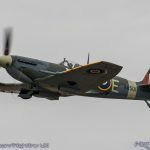 The 2018 Royal International Air Tattoo has been in planning for more than two years as one of the centrepiece events marking 100 Years of the Royal Air Force. 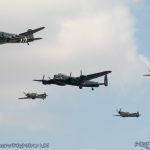 It came as the culmination of a week of major RAF100 events in early July and was the official “International Celebration” of the centenary. 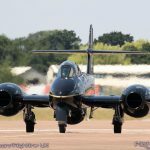 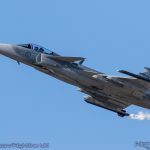 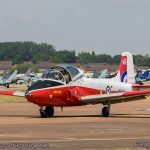 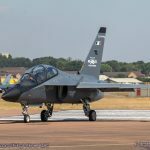 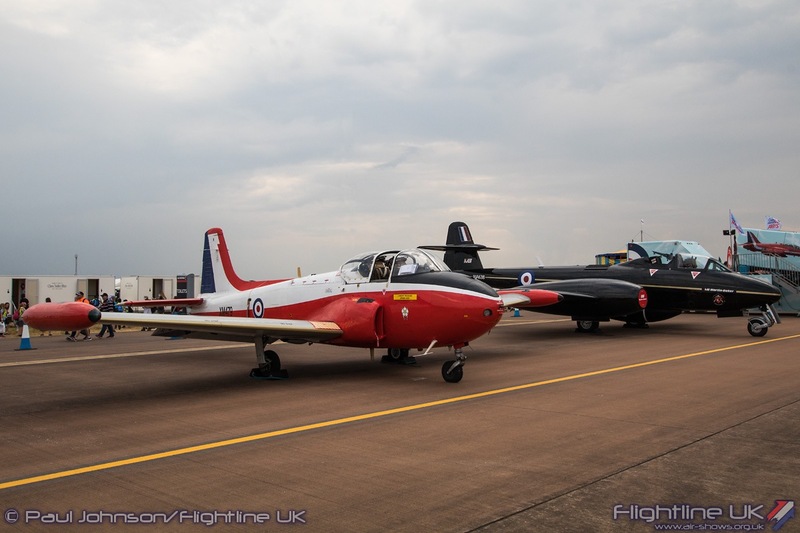 Though all recent RIAT’s have been open to the public for three days, 2018 was the first year that the opening Friday became a ‘full’ show-day with a eight hour flying display and the whole showground opened up. 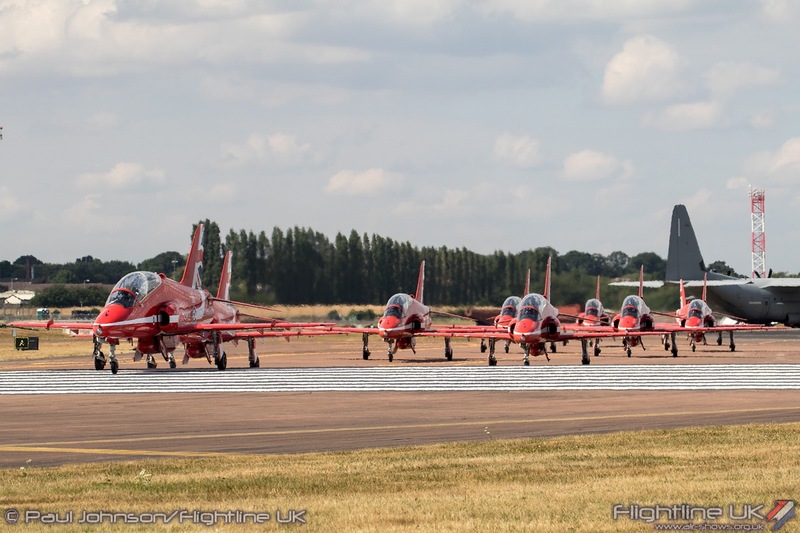 This meant that the arrivals days all shifted to the left so started on the Tuesday before the show not only to get aircraft in, but also allow enough time to validate many of the international displays. 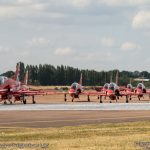 For the most devoted of RIAT attendees this meant they had a full seven day epic to enjoy with three arrivals days, three full show days and the traditional departures day. 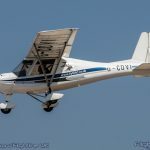 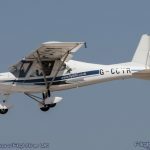 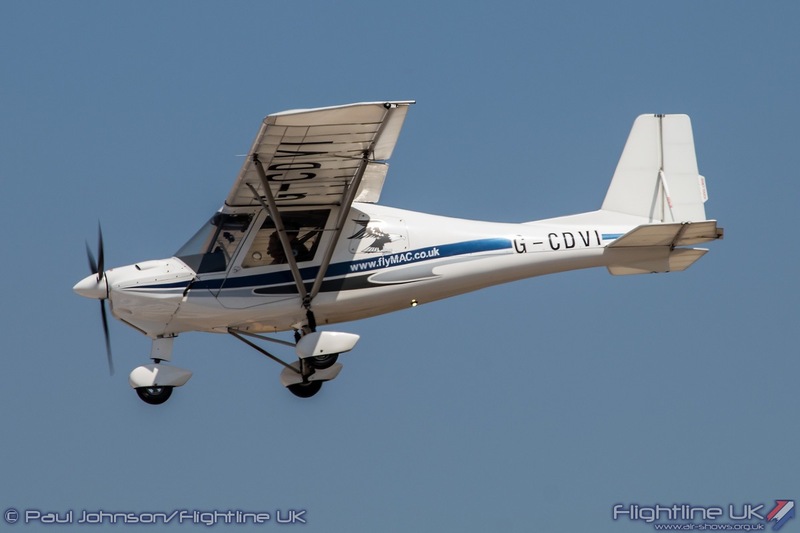 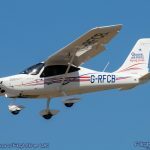 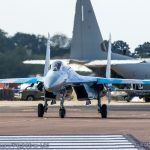 2018’s amazing streak of sunny warm weather continued throughout RIAT with the only blip occurring on the Friday which caused its own issues. 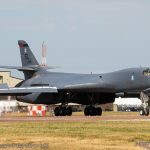 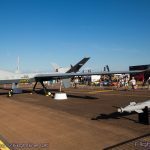 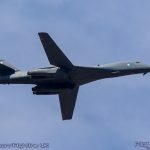 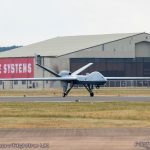 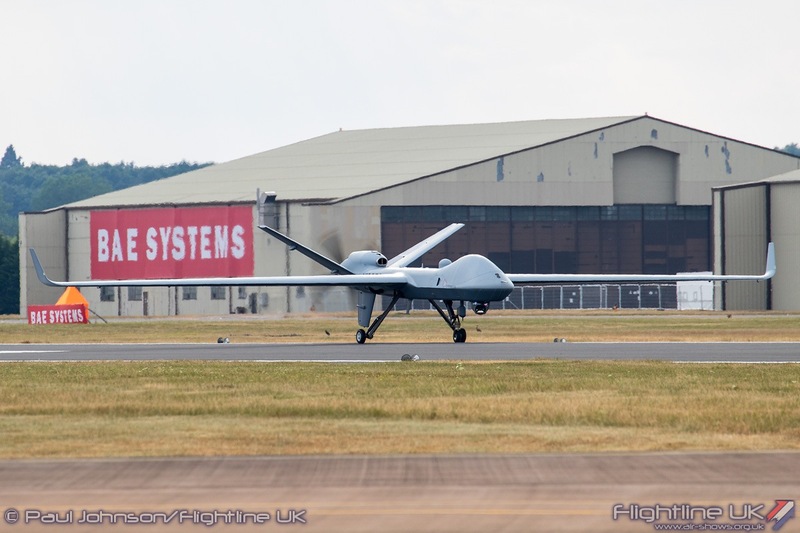 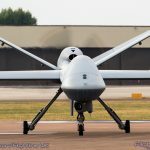 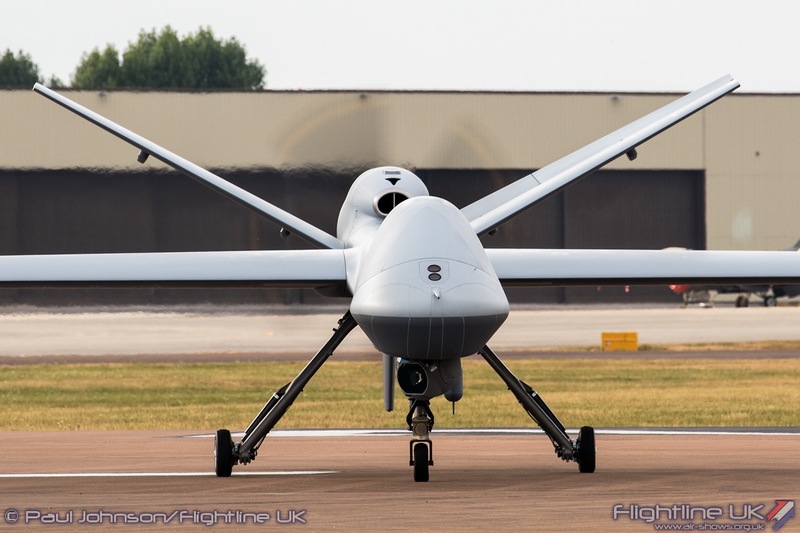 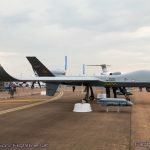 Perhaps the most significant moment during the arrivals came on the Wednesday when in the early evening, the General Atomics MQ-9B SkyGuardian Remotely Piloted Air System (RPAS) arrived in the Fairford circuit. 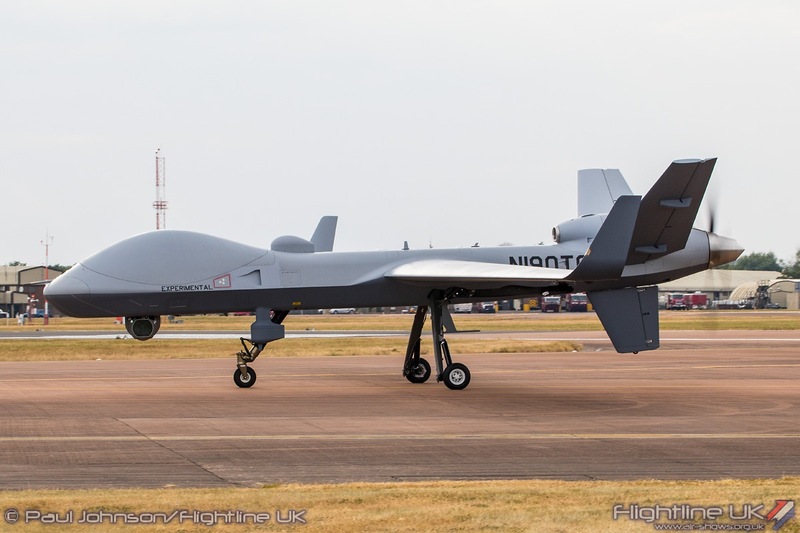 The Royal Air Force is the launch customer for the MQ-9B and it will be known as the Protector RG1 in UK service. 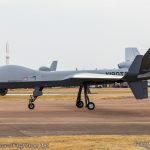 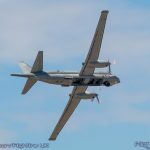 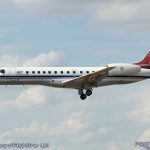 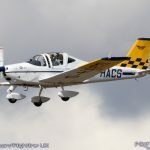 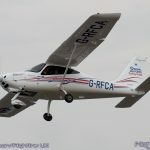 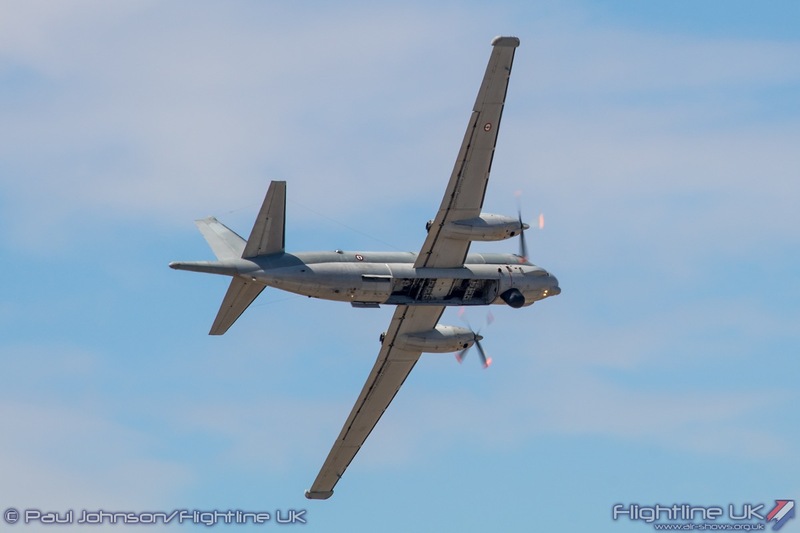 The arrival marked the first transatlantic flight performed by a medium-altitude remotely-piloted aircraft and the first to be entirely controlled by satellite communications in British airspace. 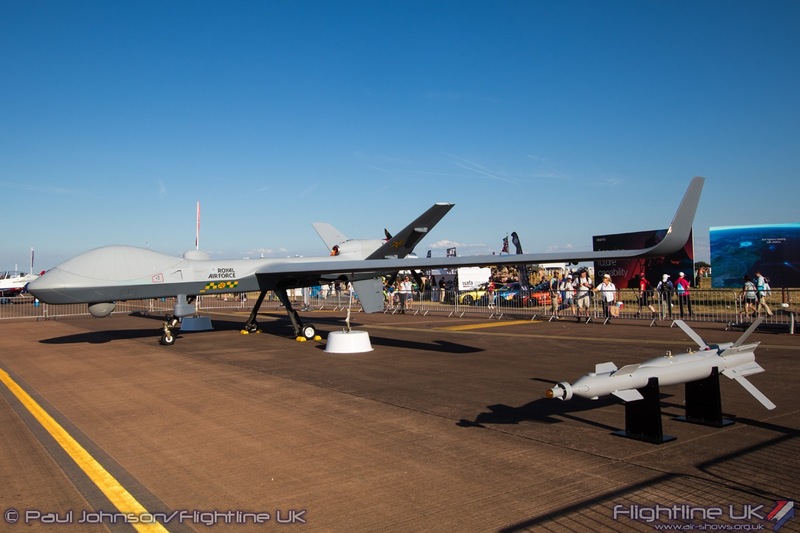 It was a unique and special project to bring together requiring a significant amount of co-operation between General Atomics, the Air Tattoo and the Airspace regulators. 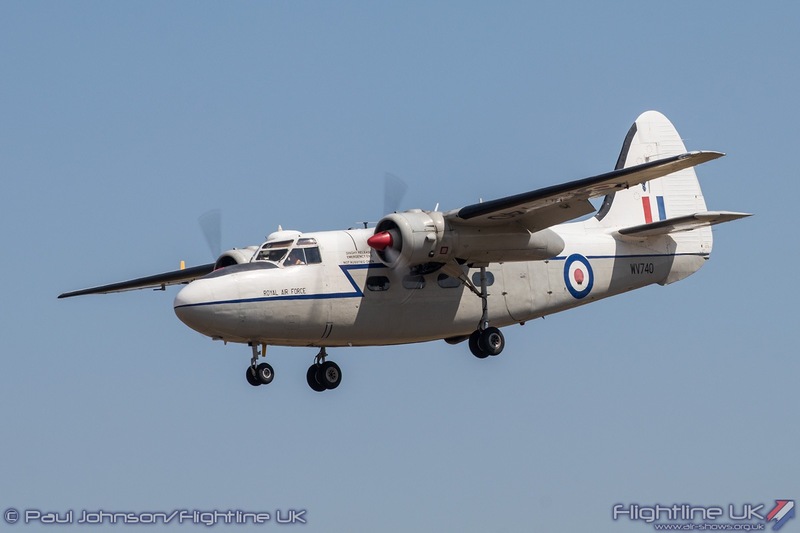 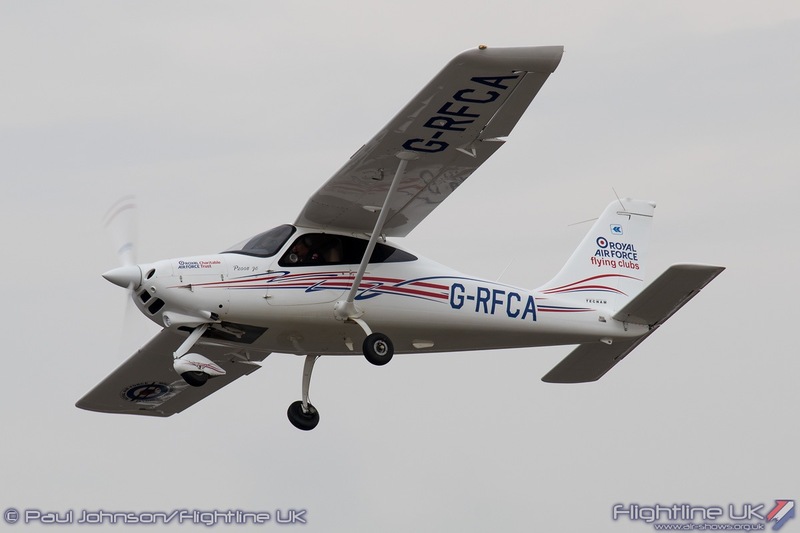 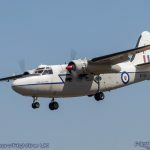 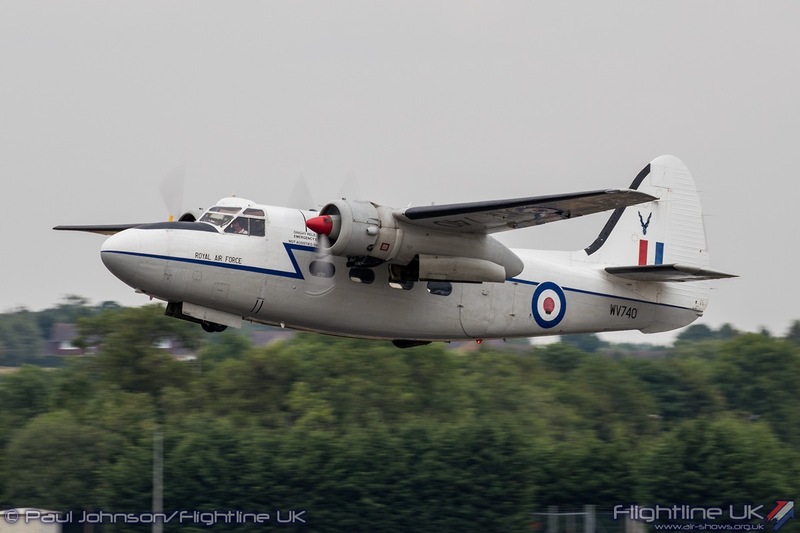 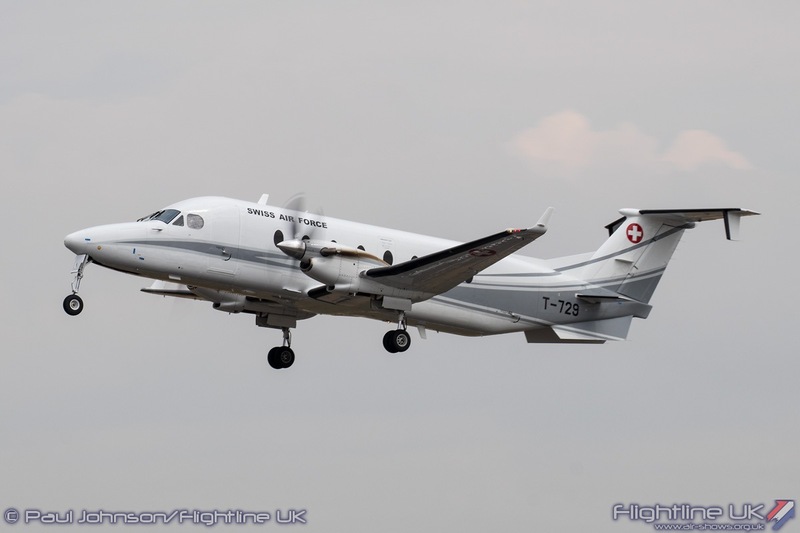 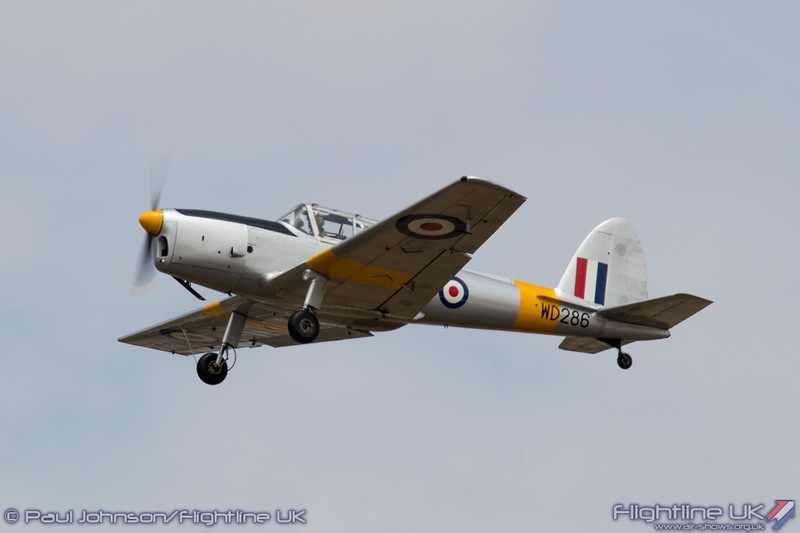 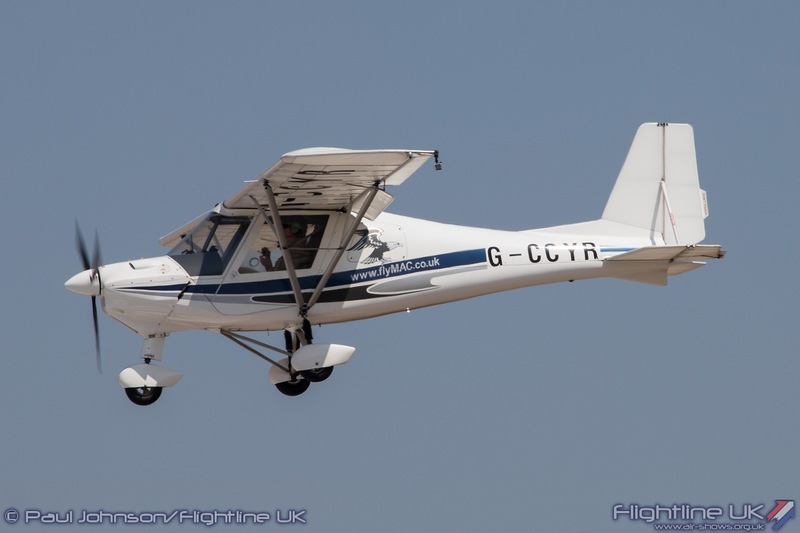 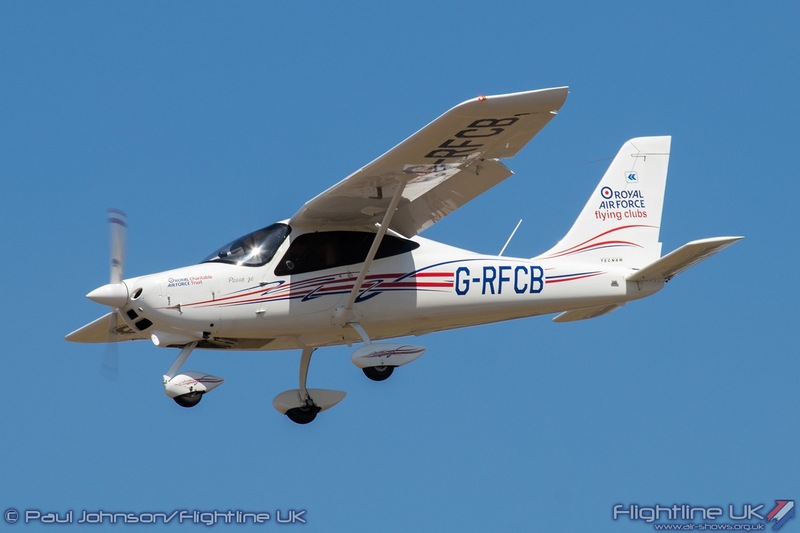 The aircraft was piloted by crews North Dakota taking 12 hour shifts as the aircraft flew over Canada, the Atlantic and around southern Ireland before reaching the UK mainland in west Wales. 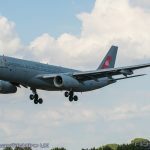 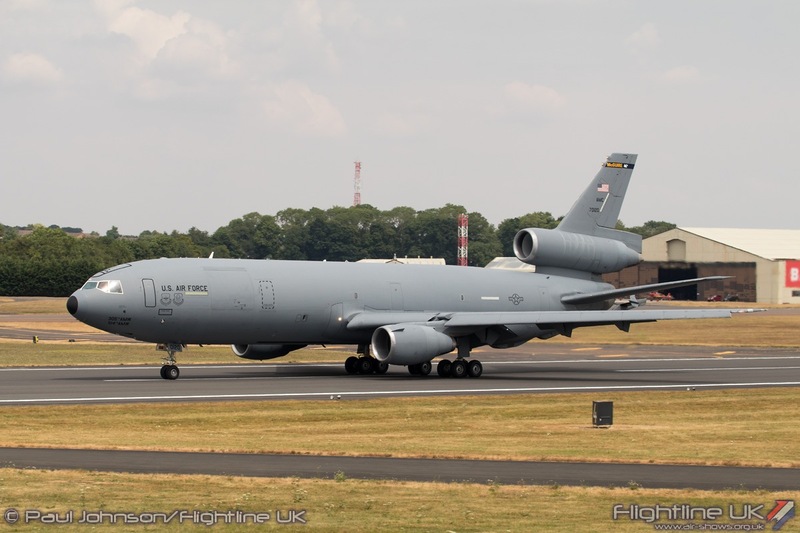 The aircraft arrived in UK airspace quite early, but was able to loiter just to the North of RAF Fairford before arriving exactly on schedule following a 24 hour, 2 minute flight. 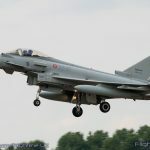 Air Tattoo Chief Executive Andy Armstrong said: “Air Tattoo has a proud history of featuring aviation firsts. 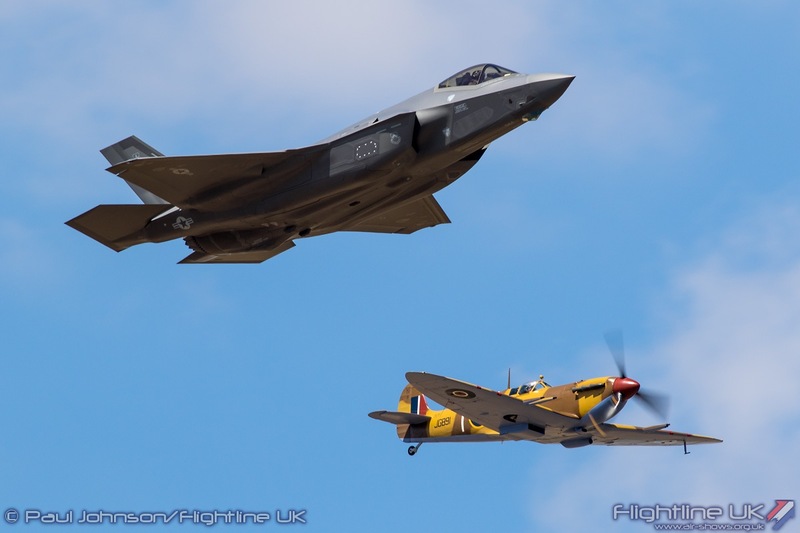 It’s appropriate that on the RAF’s centenary – we present not only aircraft from the RAF’s illustrious past and present but also offer a rare glimpse of its future“. 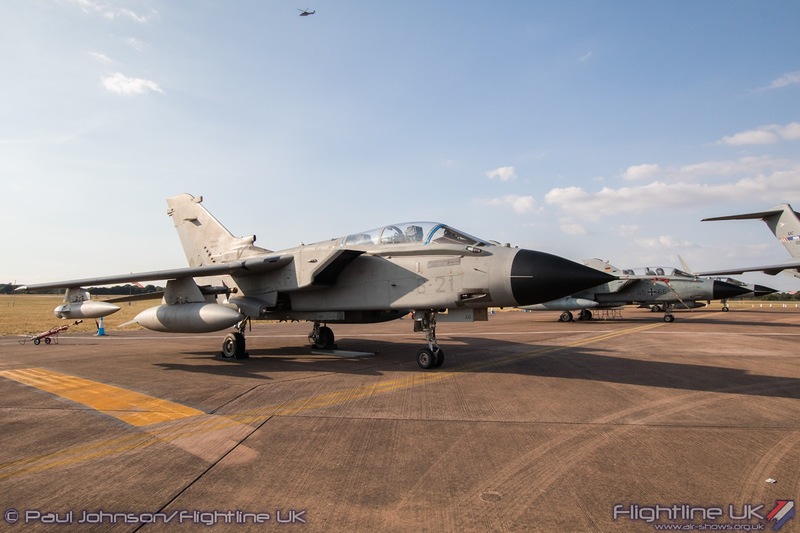 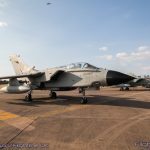 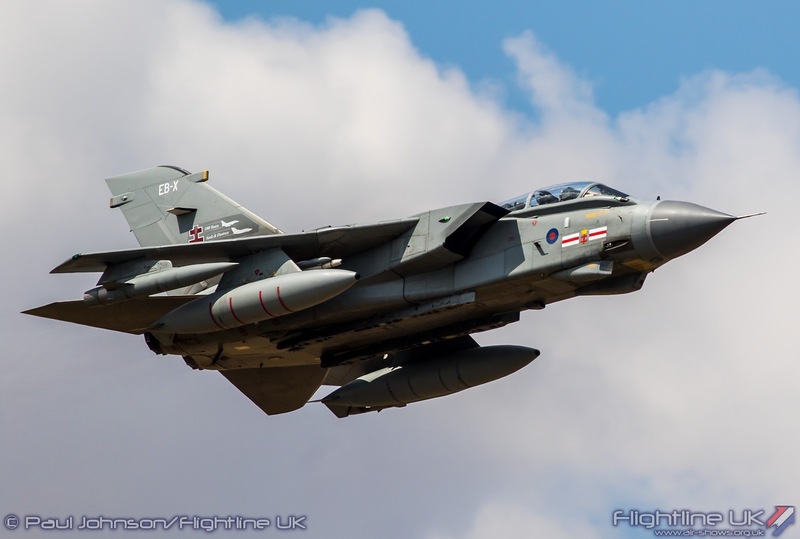 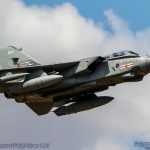 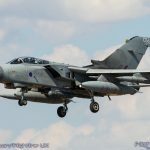 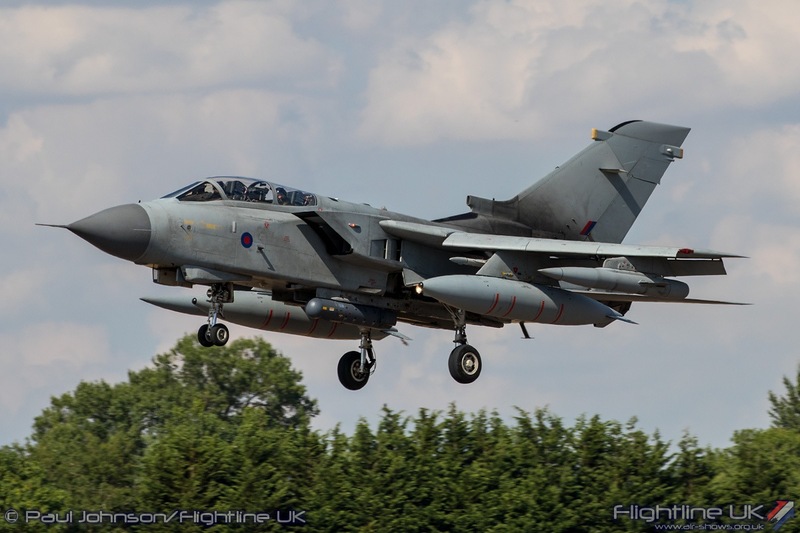 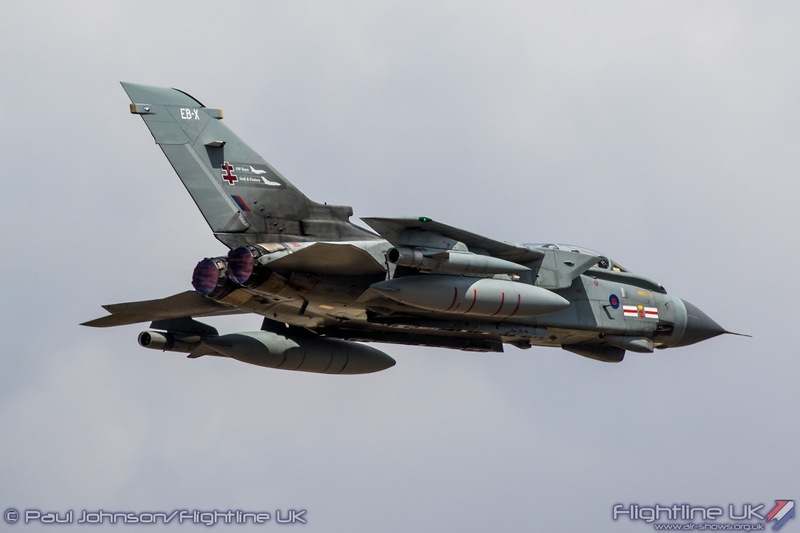 Earlier that same day at the Air Power Conference, it announced that 31 Squadron which formally flew the Tornado would stand up as the first Protector squadron at RAF Waddington. 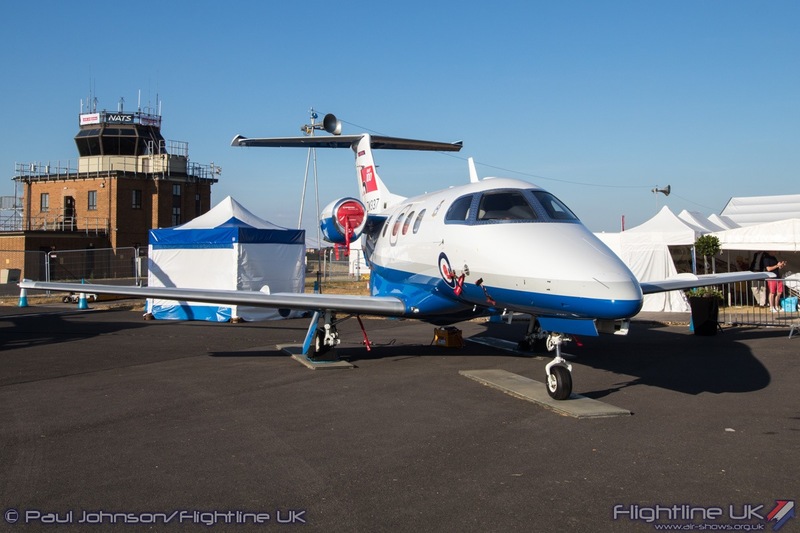 Over the weekend, the SkyGuardian appeared on static display wearing RAF colours and the unit markings of 31 Squadron. 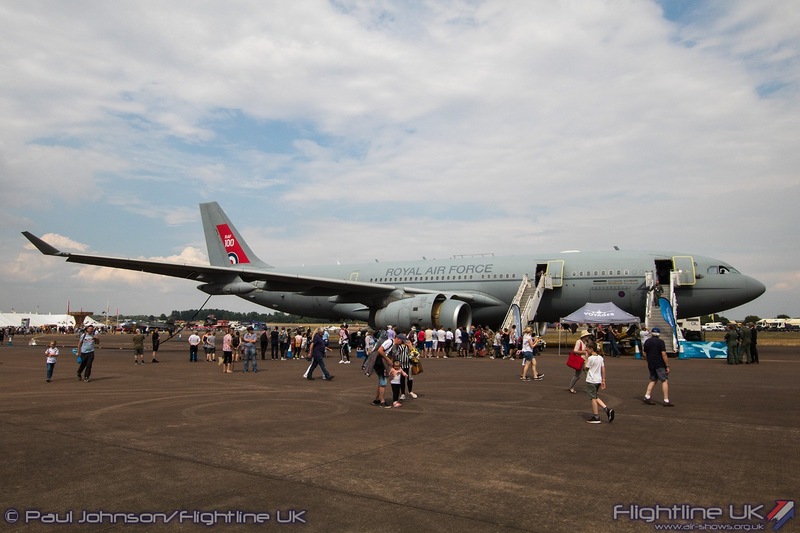 The static display area itself was larger than usual. 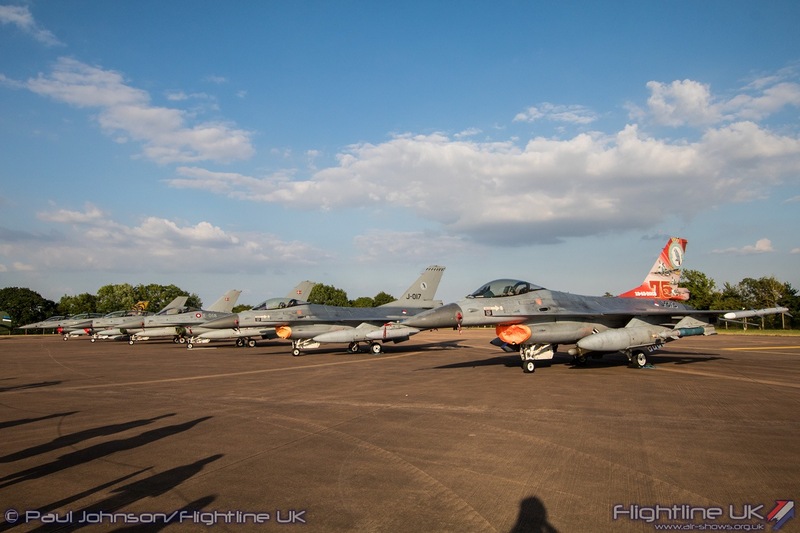 To accommodate more aircraft, the Red and Green entrance points at either end of RAF Fairford were moved outwards and more off-base parking was allocated. 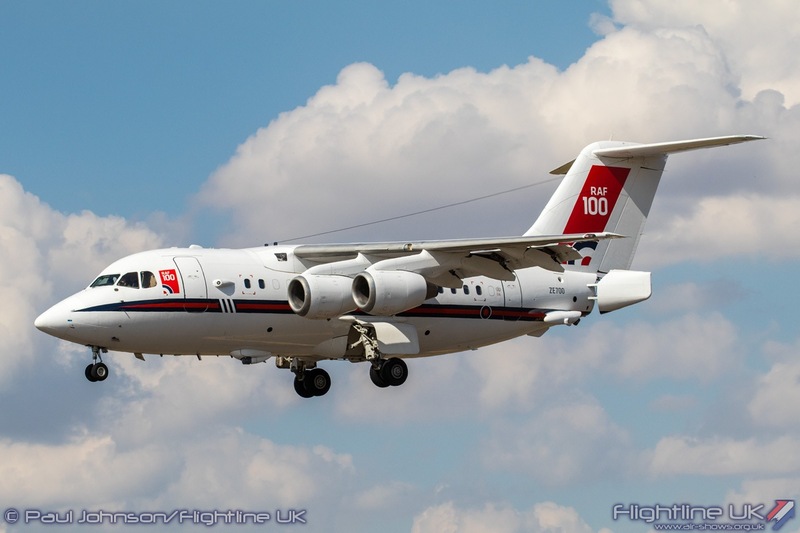 For photographers this meant a welcome return of the western loop for static aircraft with its uncluttered backgrounds. 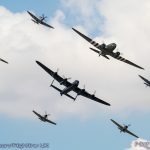 The extra space at the Eastern end became home to the “RAF Experience” which included a larger RAF Village area and a static display of Royal Air Force and Commonwealth aircraft. 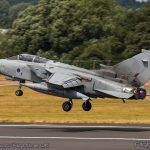 Sadly however, operational and serviceability issues always mean there are a fair few cancellations and it did seem in some areas of the static that there were a few gaps. 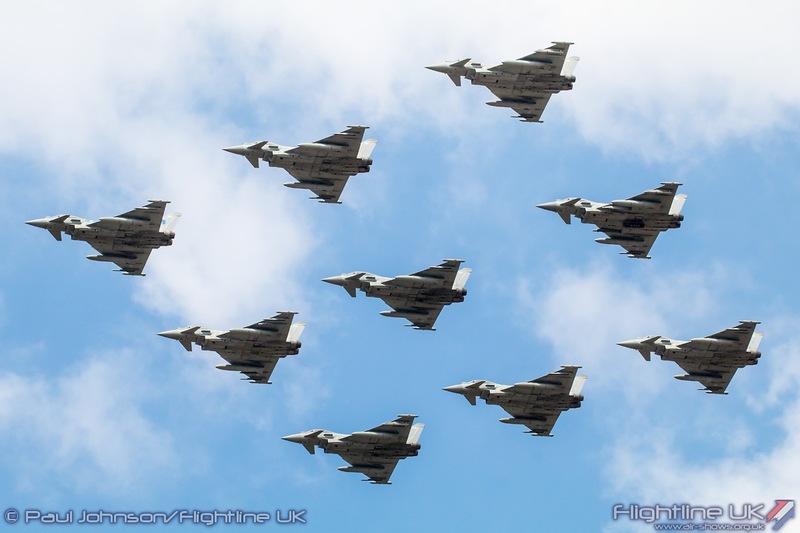 The RAF Experience area did include some notable attendees with many wearing the RAF100 fin-flash motif. 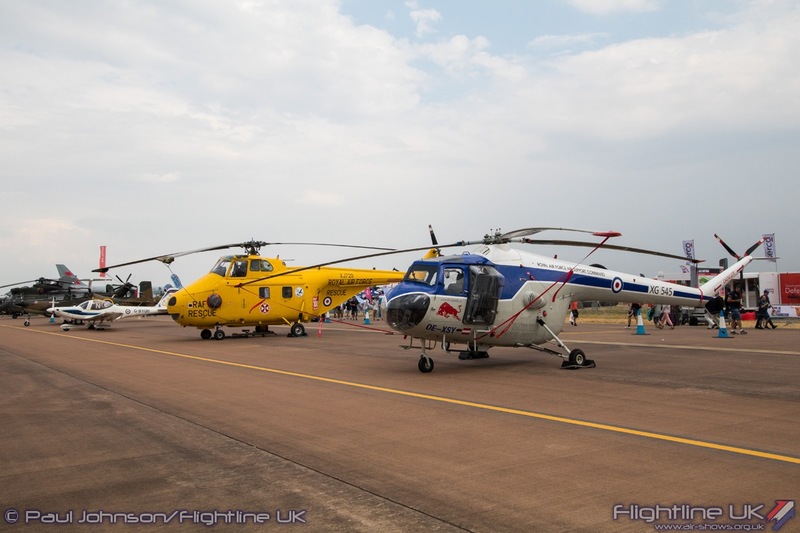 All of RAF Waddington’s manned ISTAR types were presented in the static display. 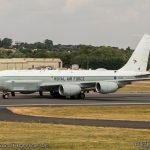 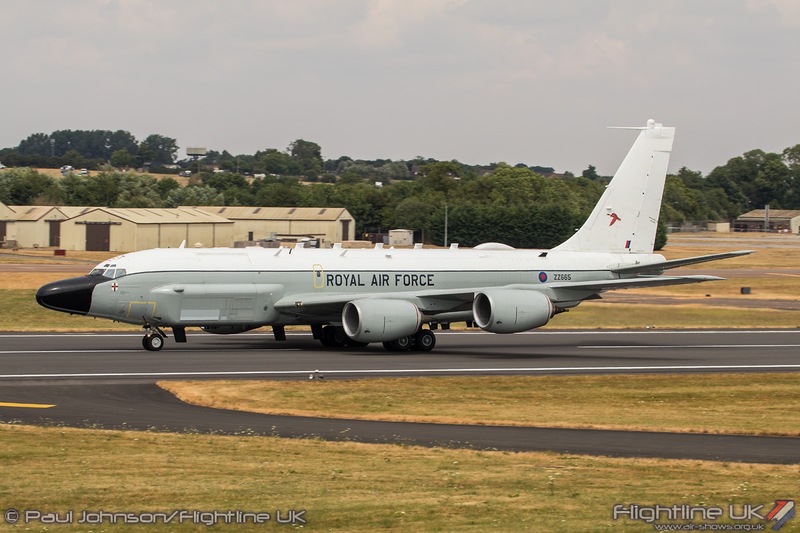 51 Squadron sent one of their three Boeing RC-135W Rivet Joint aircraft which was the types first static display appearance at any UK airshow. 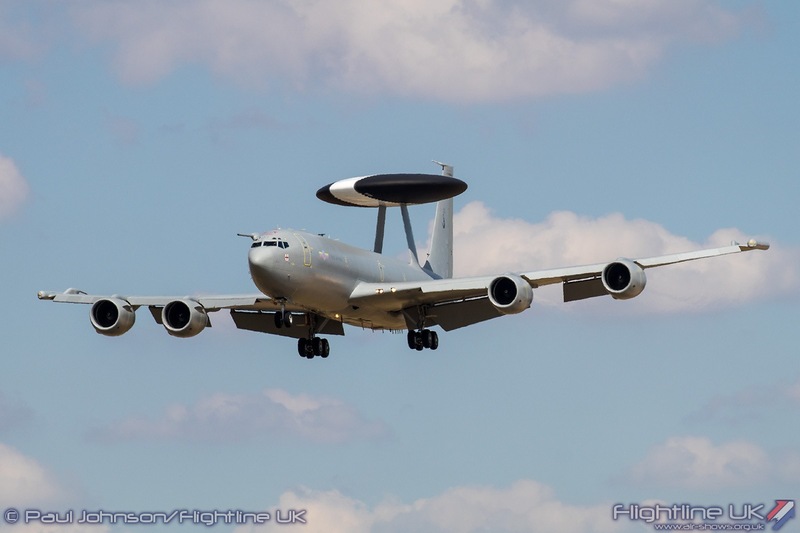 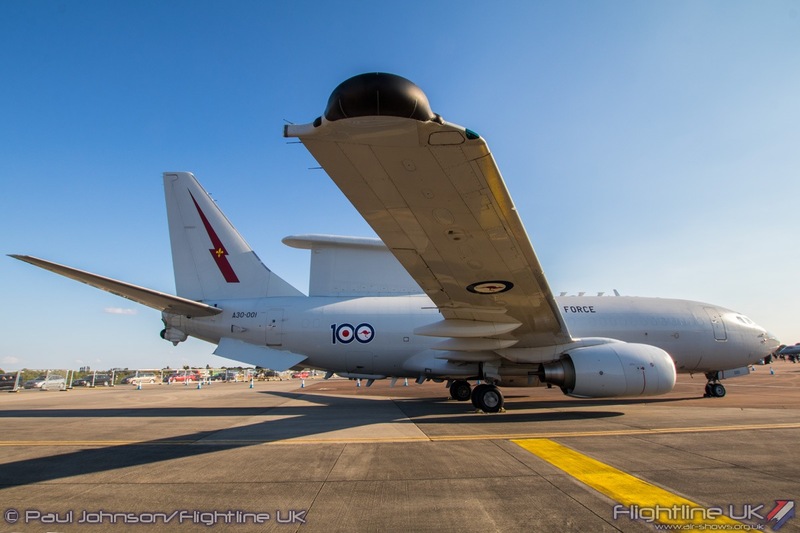 Alongside it were V(AC) Squadron’s Raytheon Sentinel R1 and 8 sqn’s Boeing E-3D Sentry AEW1. 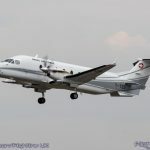 Though a Shadow R1 was absent, a Beechcraft King Air 350i used by 14 Squadron for crew training was on static display. 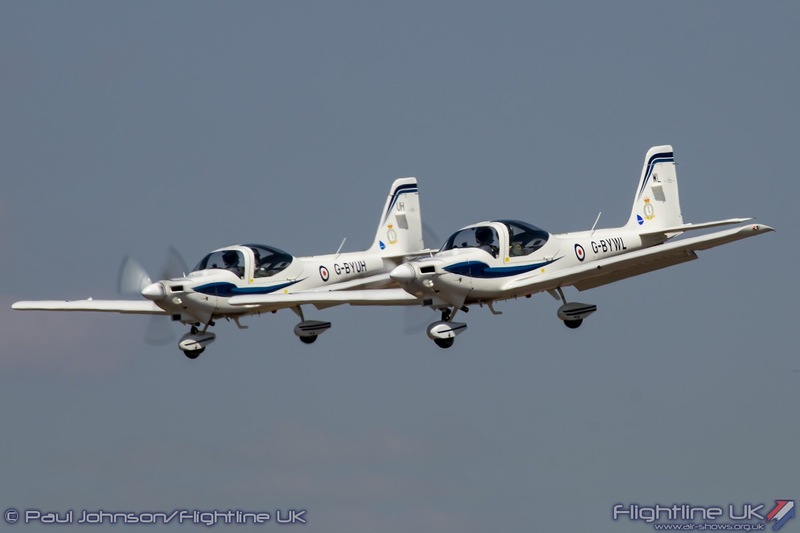 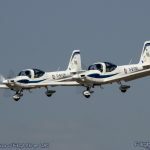 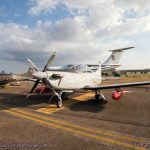 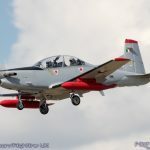 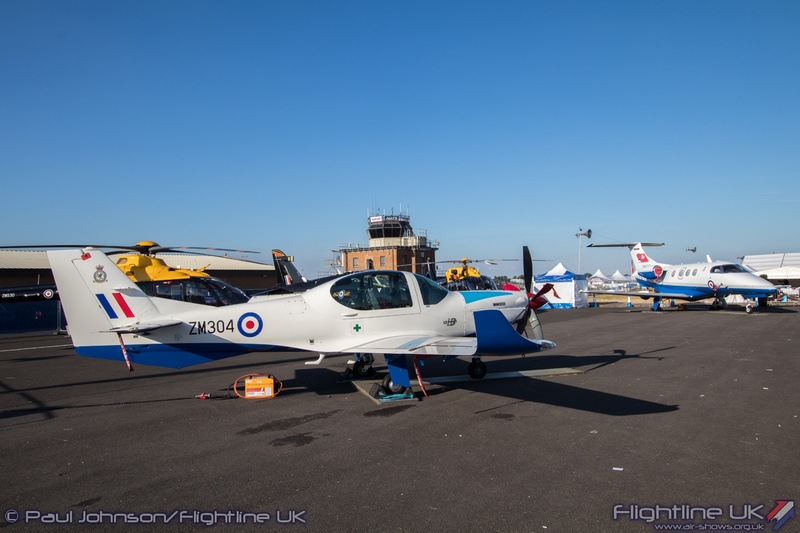 Another nice “set-piece” saw most of the new Military Flying Training System aircraft grouped together with the Grob Prefect T1, BAE Systems Hawk T2, Airbus Juno T1, Airbus Jupiter T1 and Embrear Phenom 100 on show. 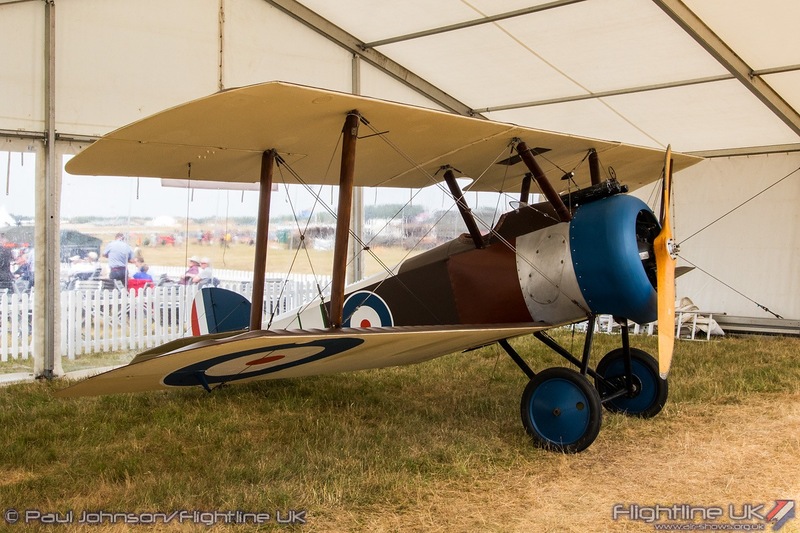 The Experience area also included historic aircraft. 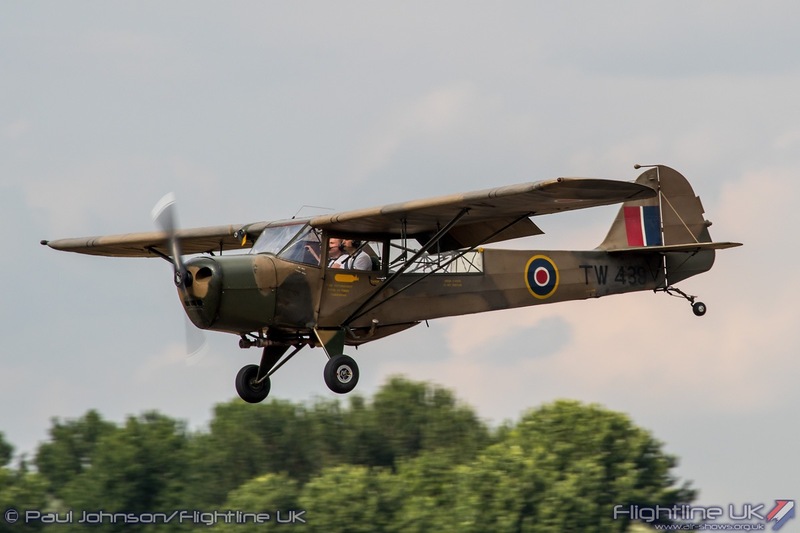 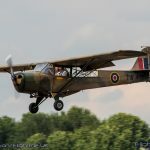 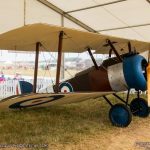 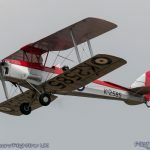 There was a rare public appearance by Tony Bianchi’s Sopwith Camel, WHAT’s RAF BE2e plus the Shuttleworth Collection with Avro Tutor, de Havilland DH82a Tiger Moth and Supermarine Spitfire Vc. 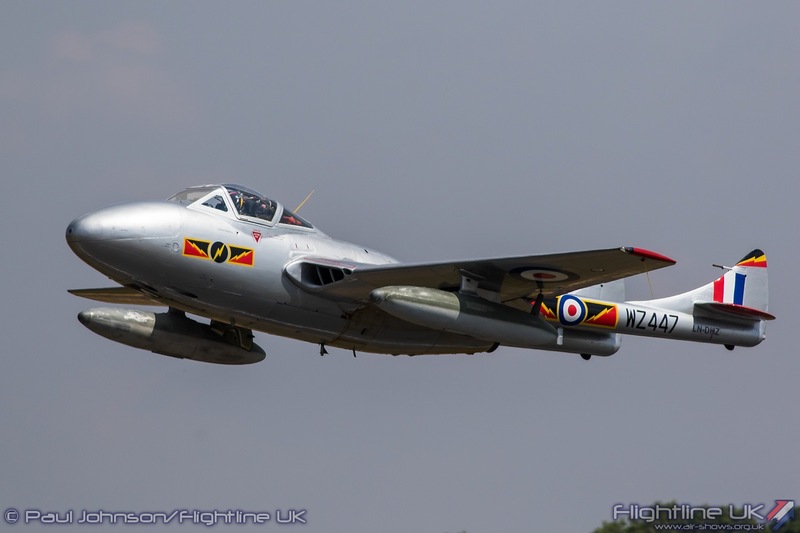 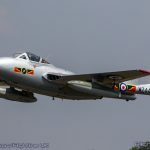 Showcased alongside their modern counterparts were a selection of post war historic types including Mart Stott’s Percival Pembroke, the Flying Bulls’ Bristol 171 Sycamore, a Hawker Hunter F58a from HHA and a trio of BAC Jet Provosts. 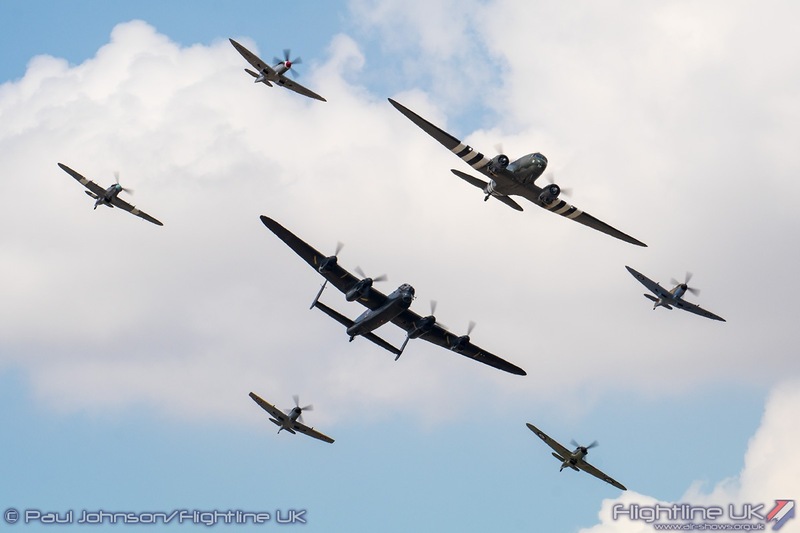 Perhaps the most notable participants within the RAF Experience came from the Commonwealth nations. 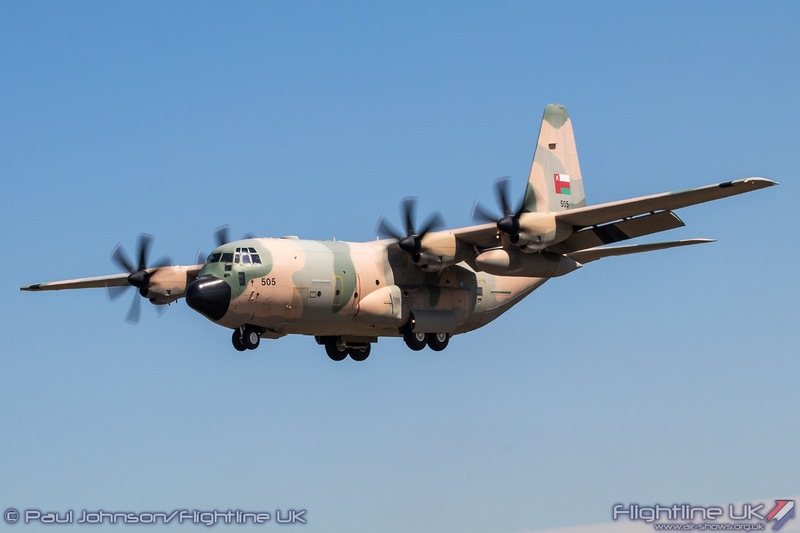 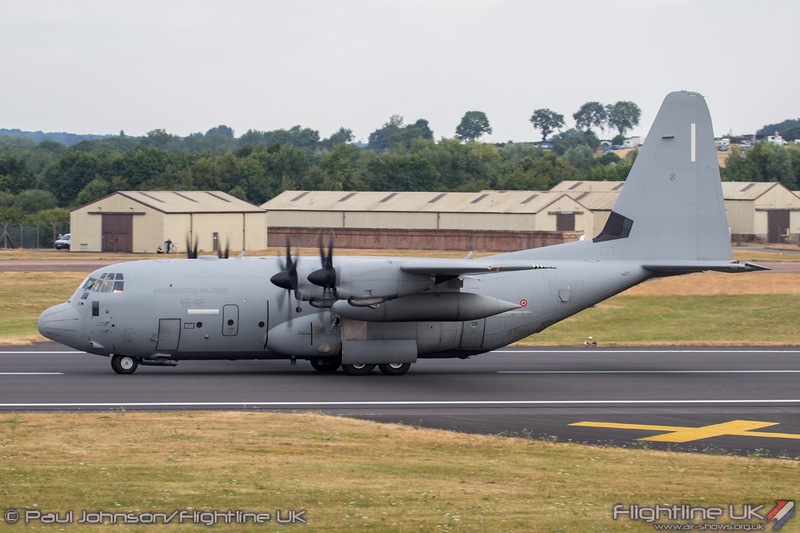 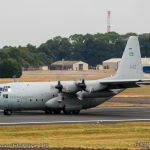 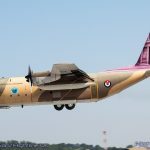 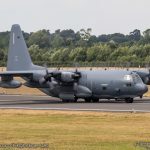 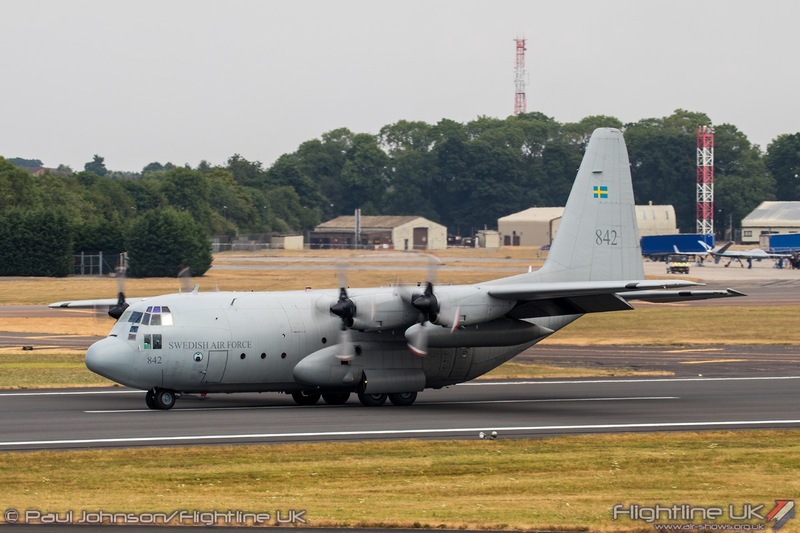 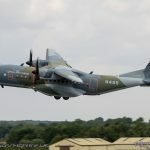 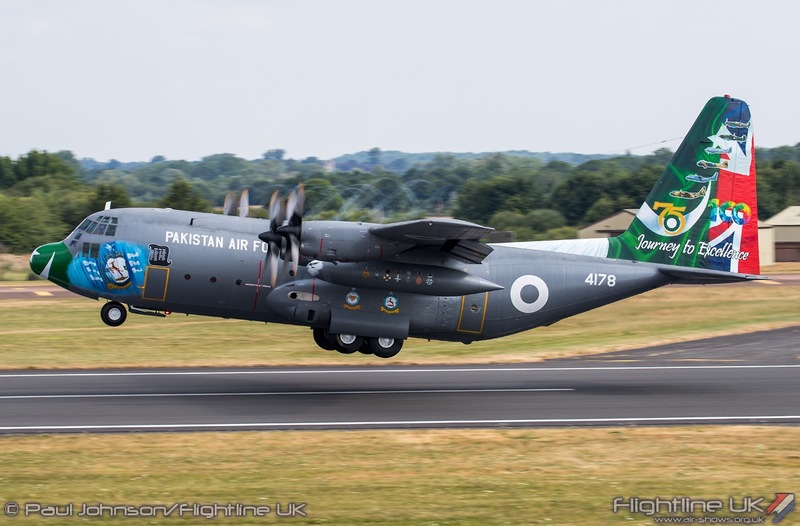 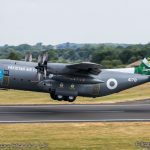 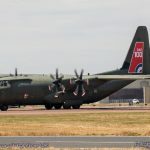 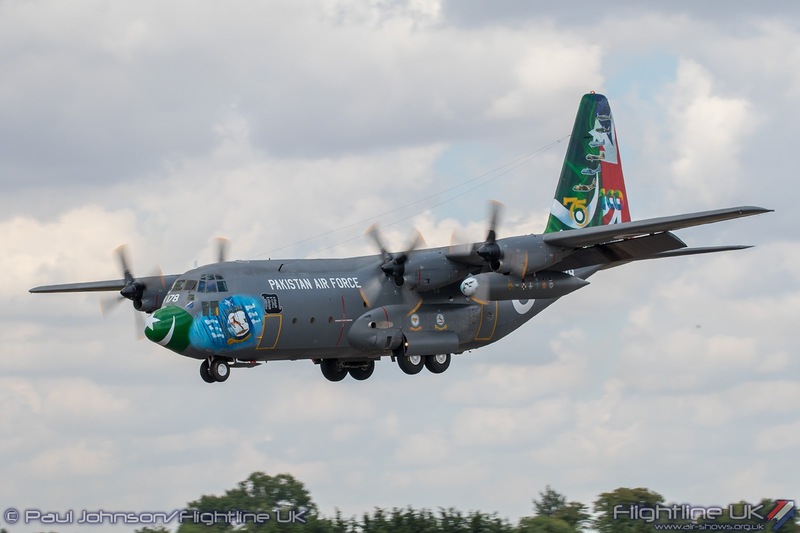 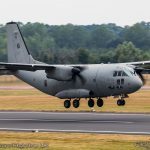 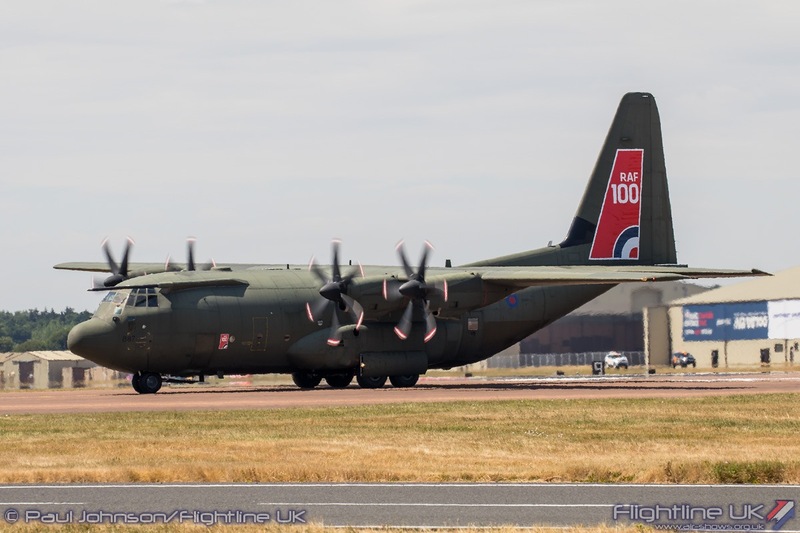 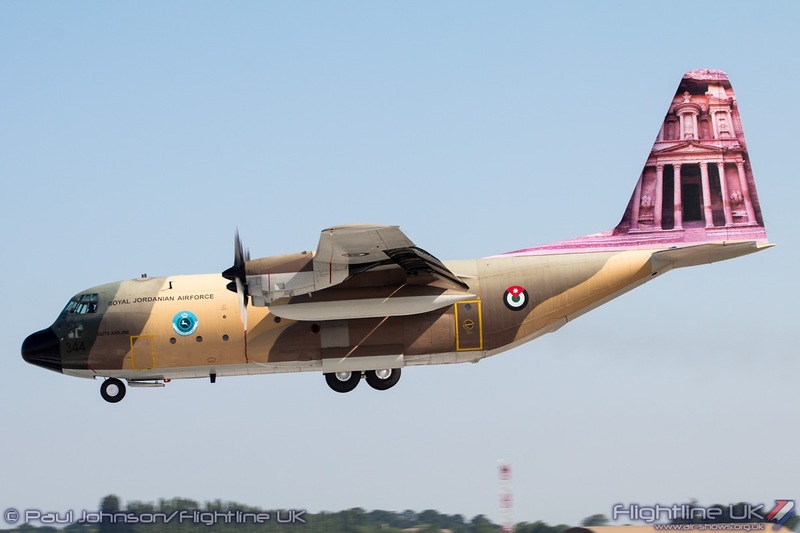 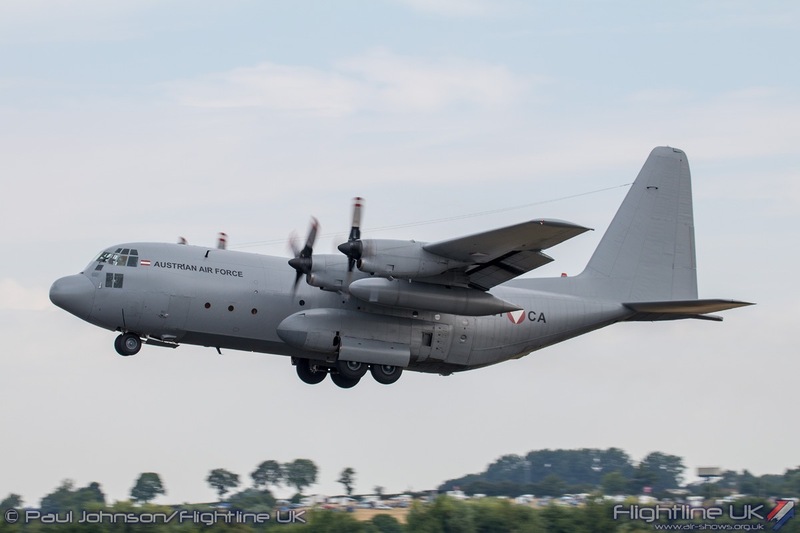 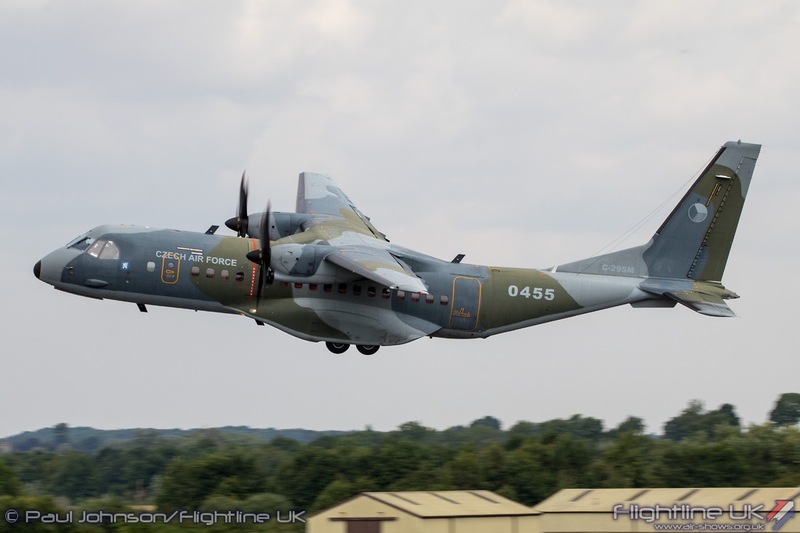 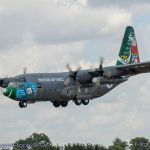 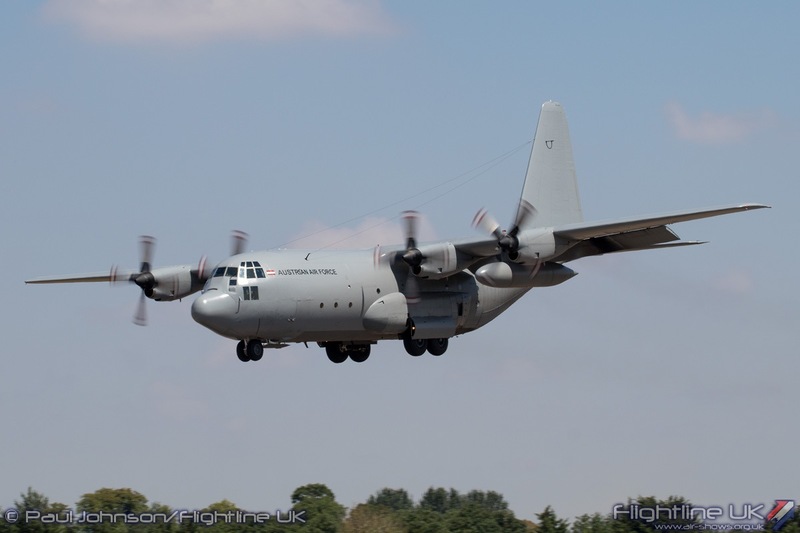 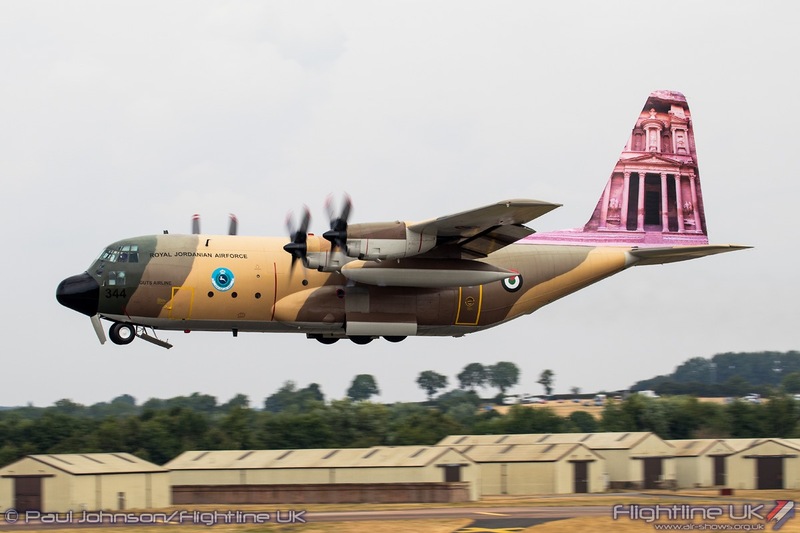 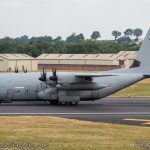 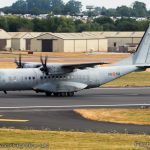 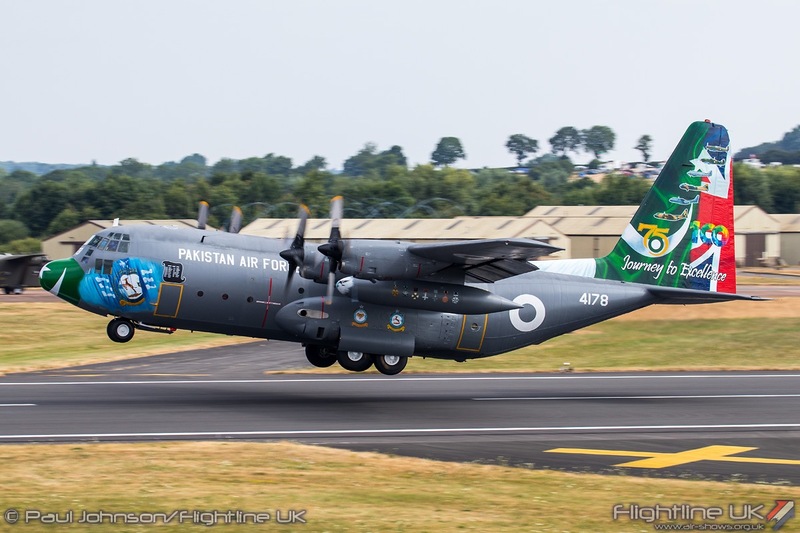 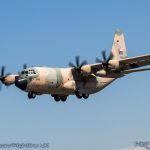 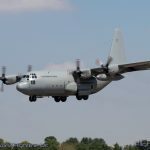 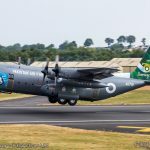 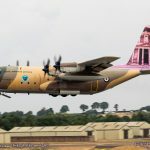 The Pakistan Air Force returned to Fairford with their Lockheed C-130E Hercules wearing an eye-catching special scheme celebrating the strong bond between their Air Force and the RAF. 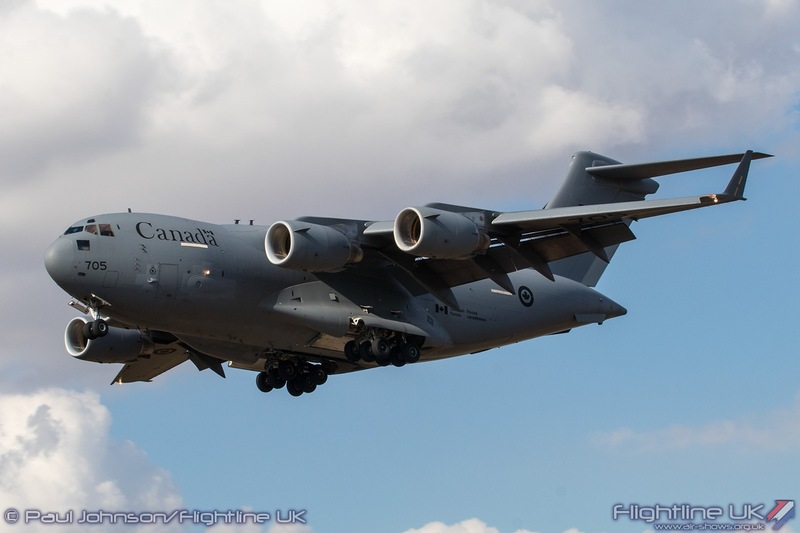 The support from Canada was truly exceptional. 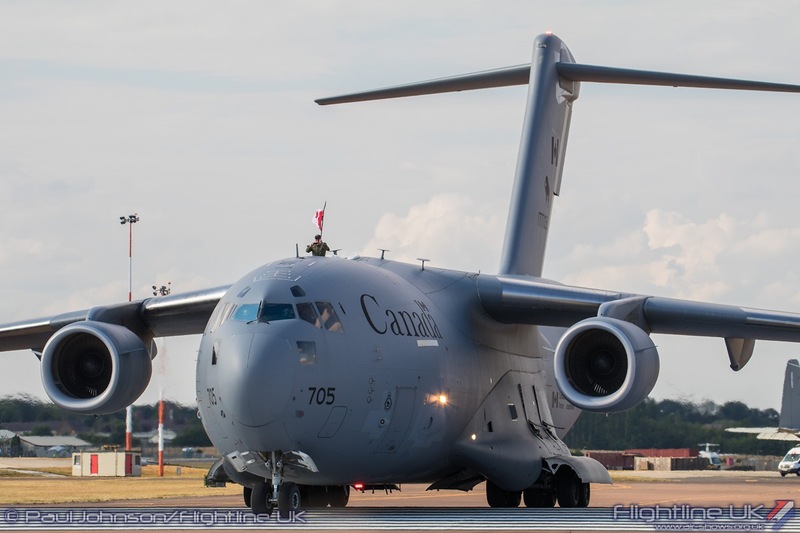 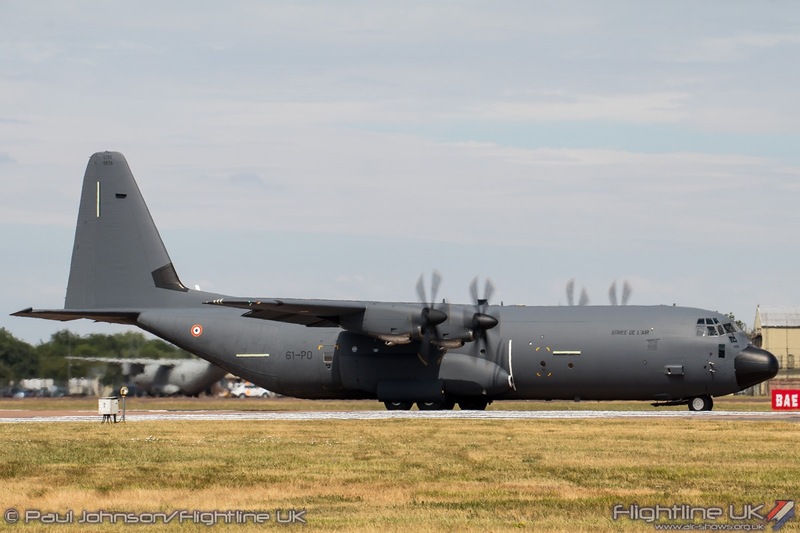 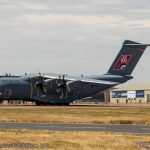 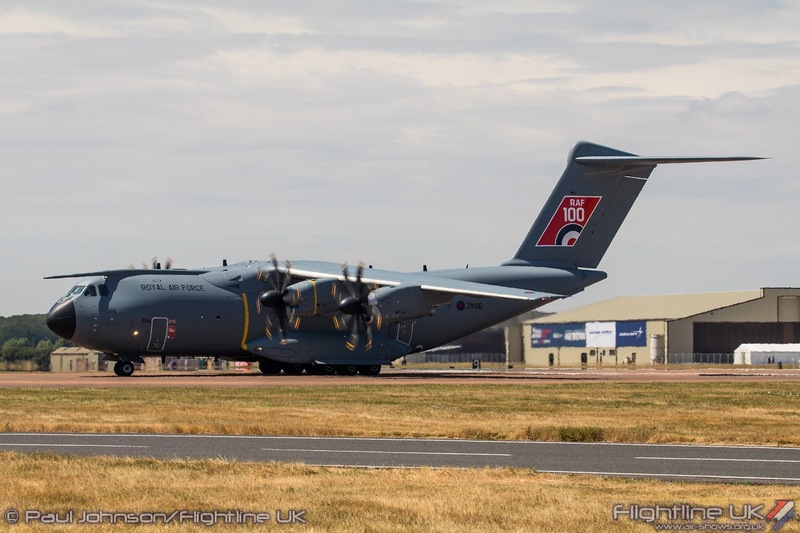 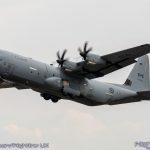 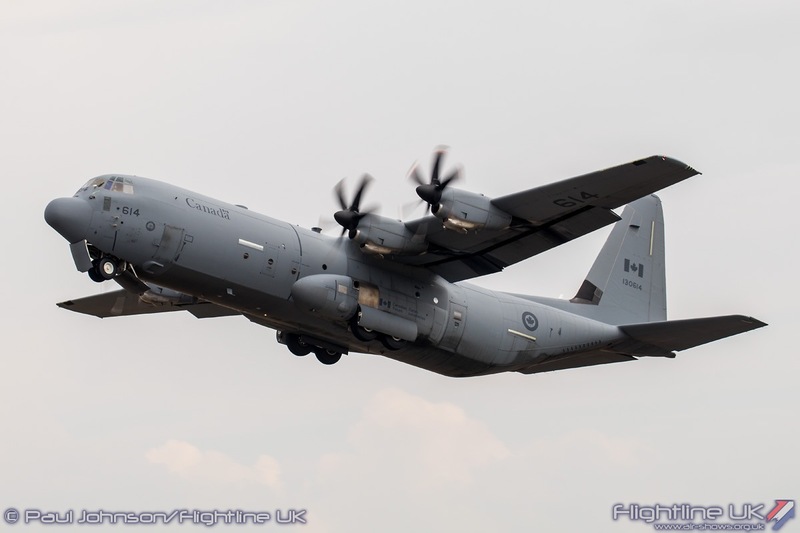 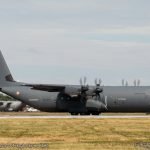 As well as the Lockheed Martin CC-130J-30 Hercules II supporting the CF-18 Demo Team’s UK tour, the Royal Canadian Air Force also sent a Boeing CC-177 Globemaster III for a return visit having debuted last year. 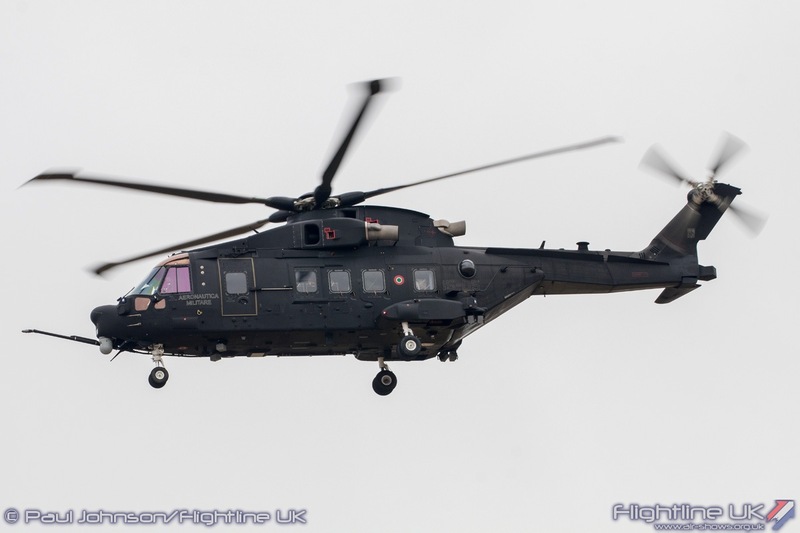 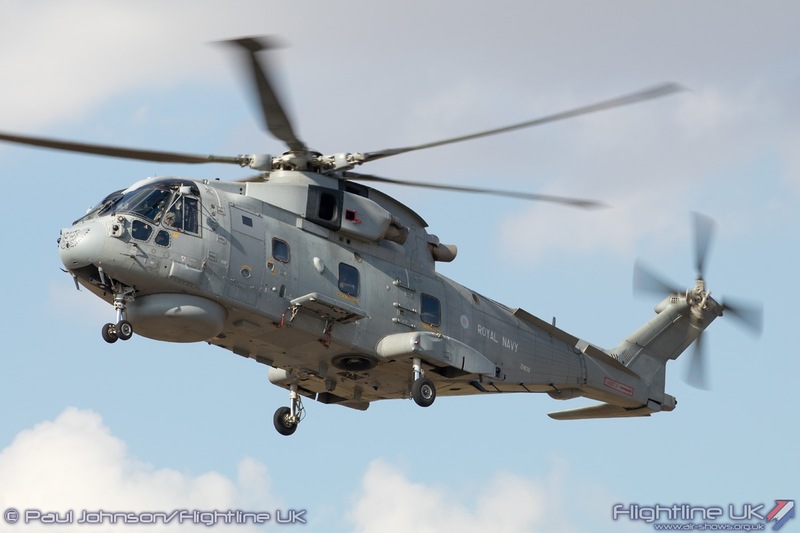 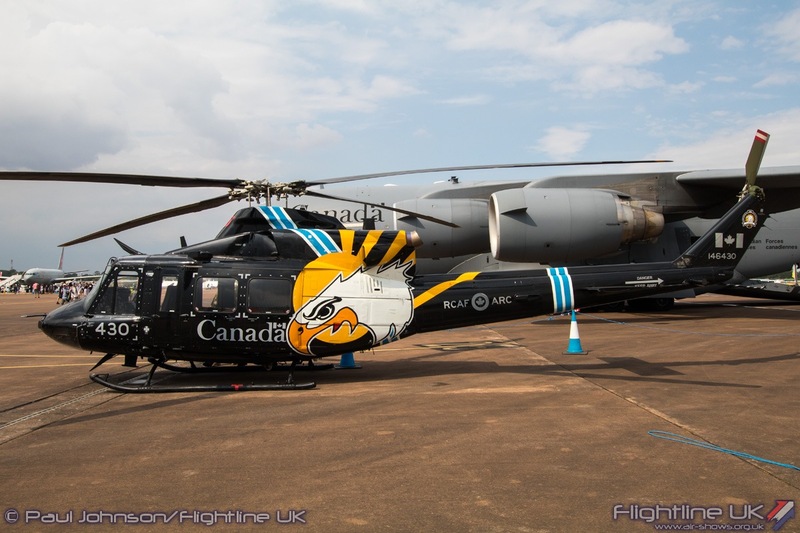 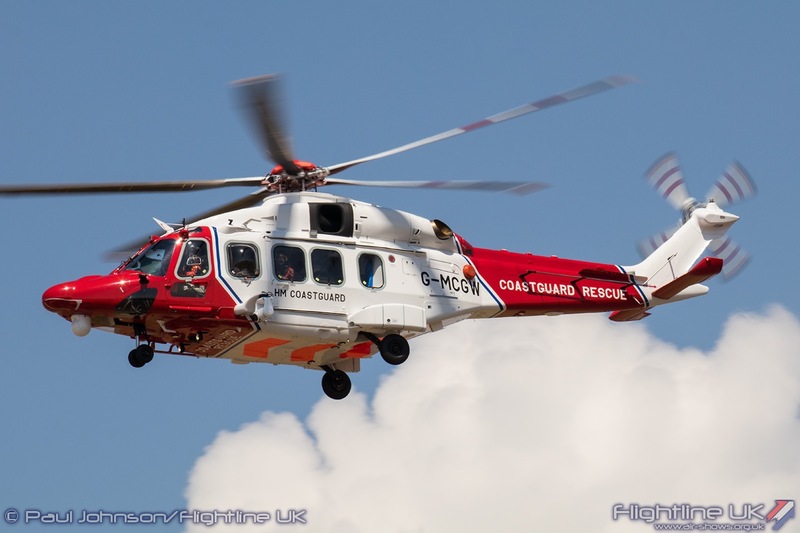 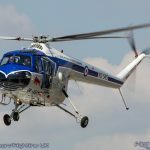 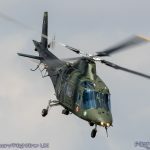 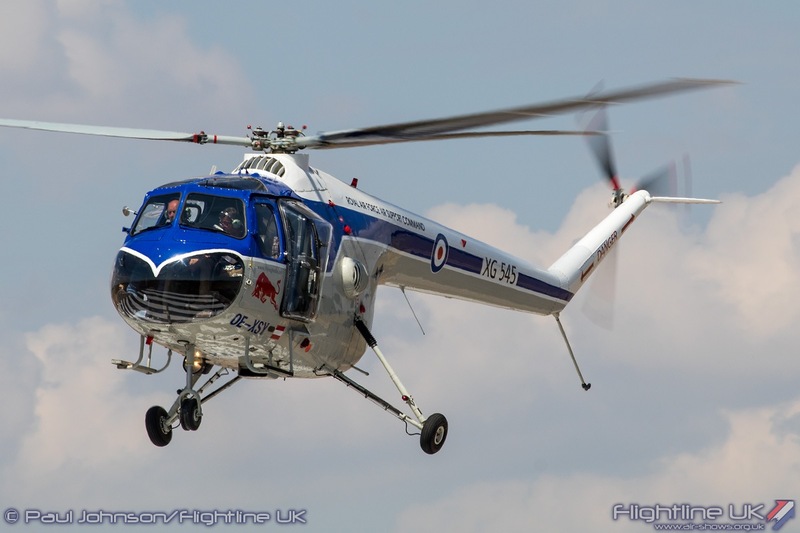 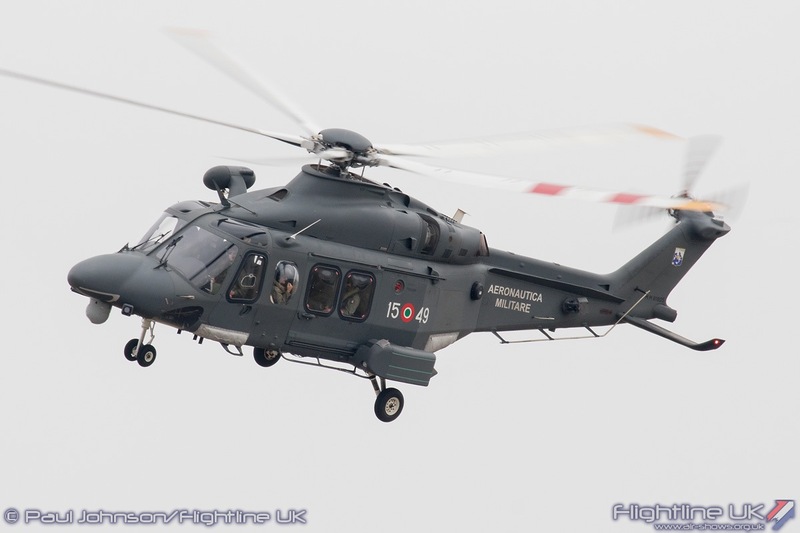 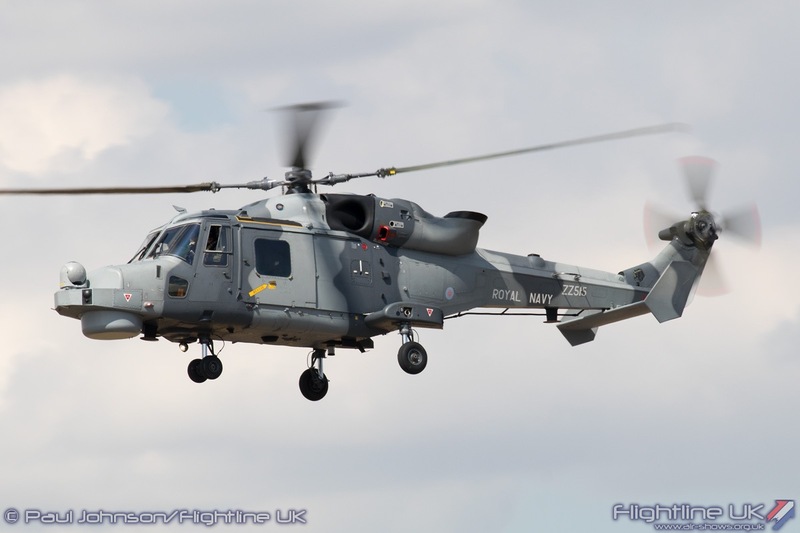 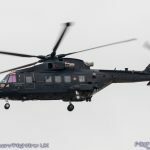 This year, it’s cavernous hold contained a further aircraft in the form of a Bell CH-146 Griffon utility helicopters. 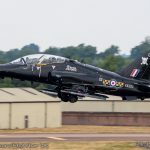 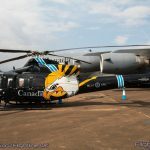 The Griffon came from 430 Squadron and wore one of the best special schemes at the show celebrating the squadron’s 75th anniversary. 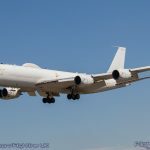 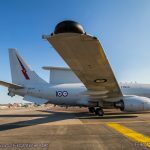 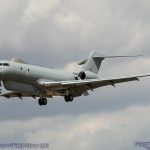 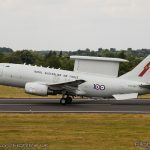 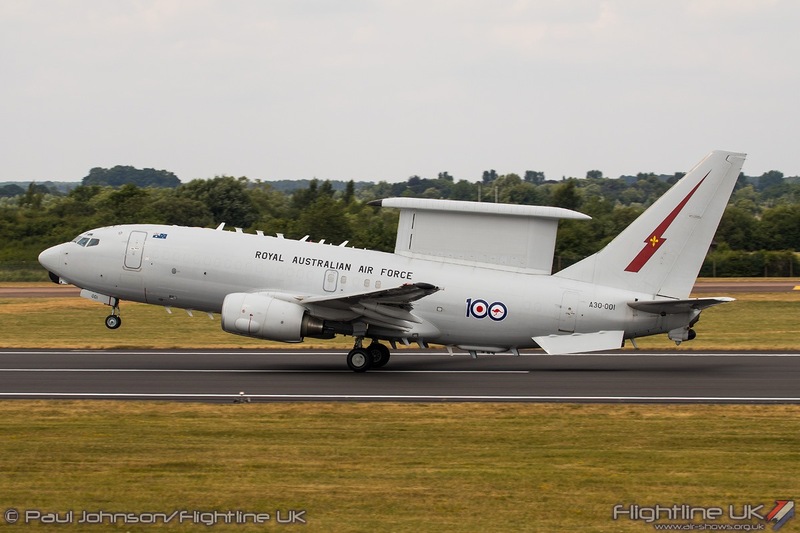 The Royal Australian Air Force deserved an award for their commitment to get to Fairford with their specially marked Boeing E-7A Wedgetail. 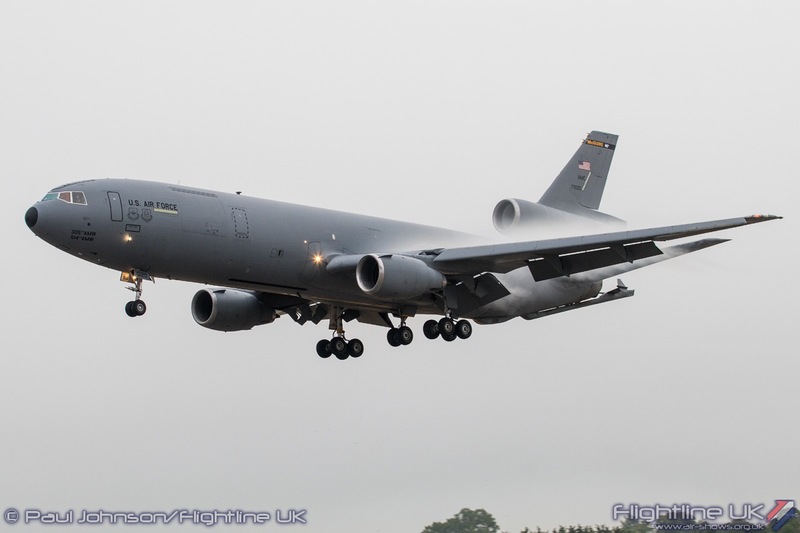 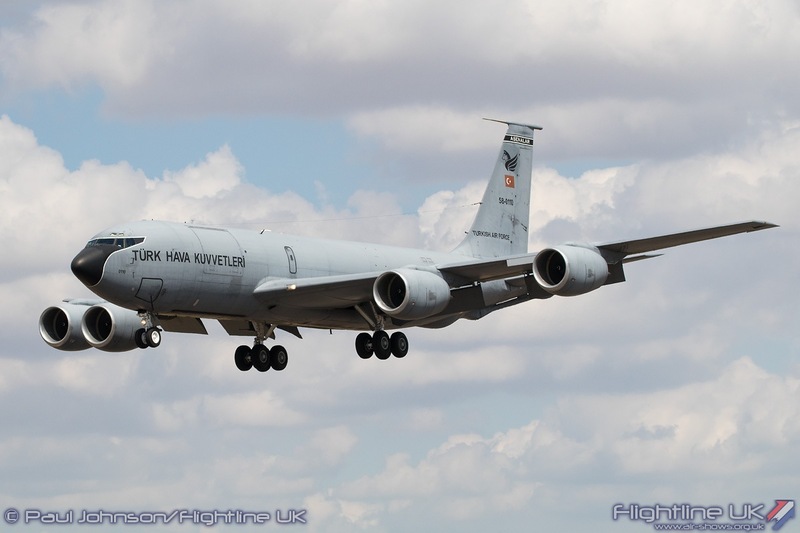 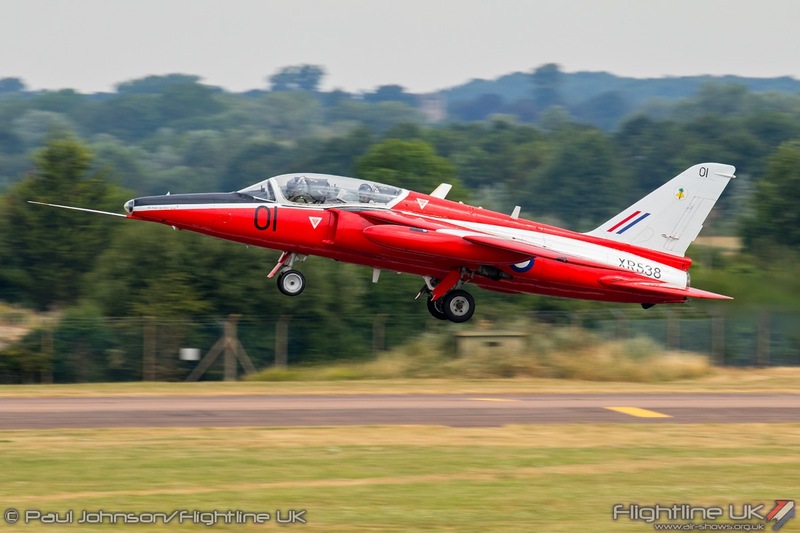 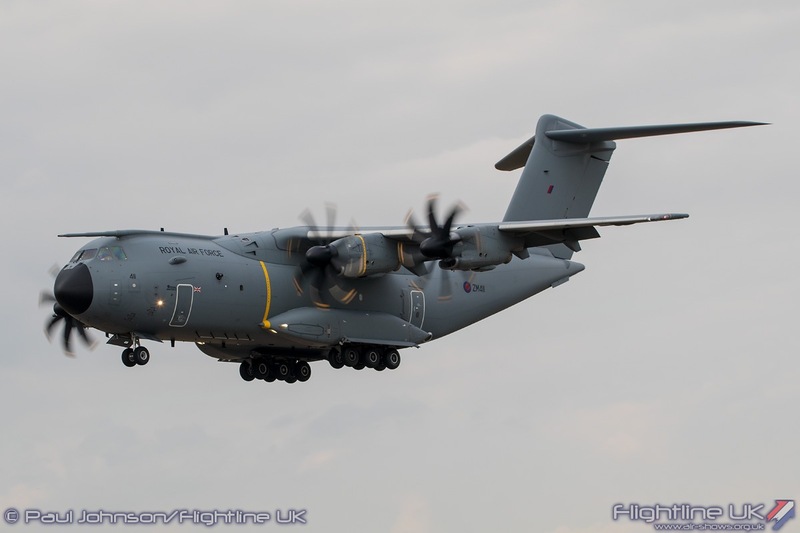 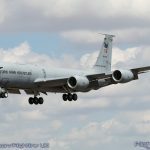 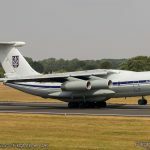 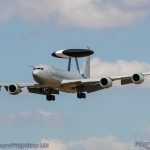 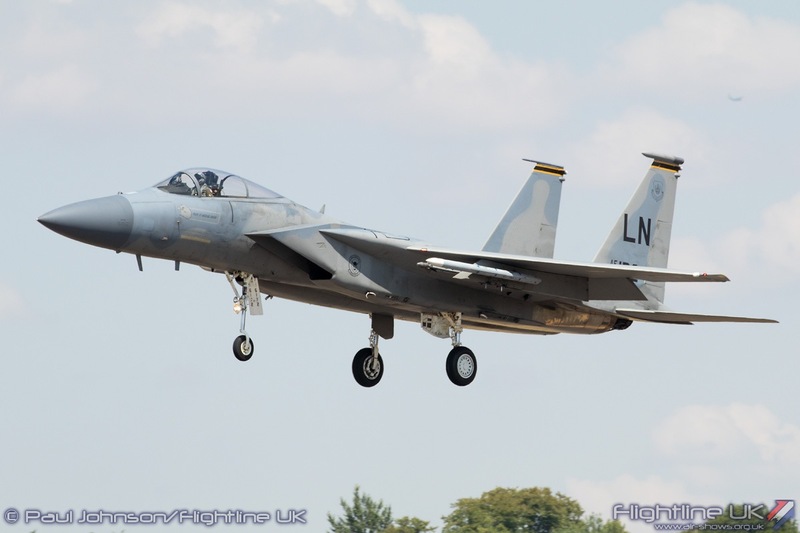 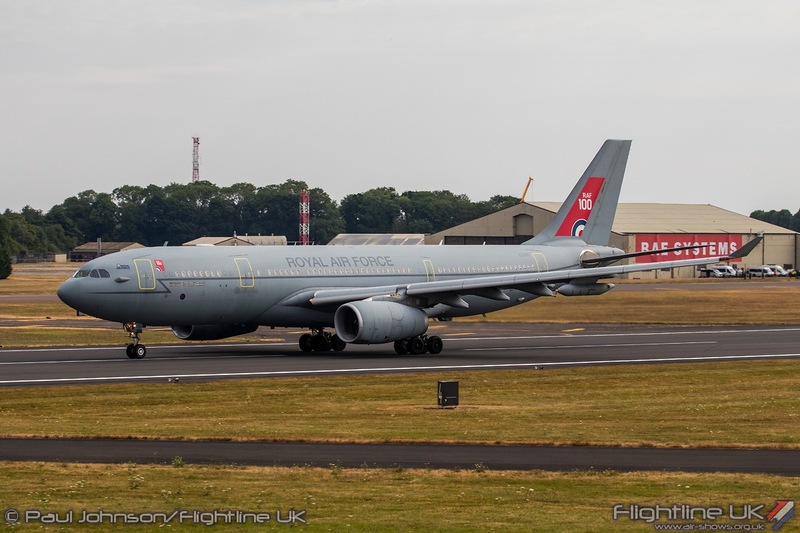 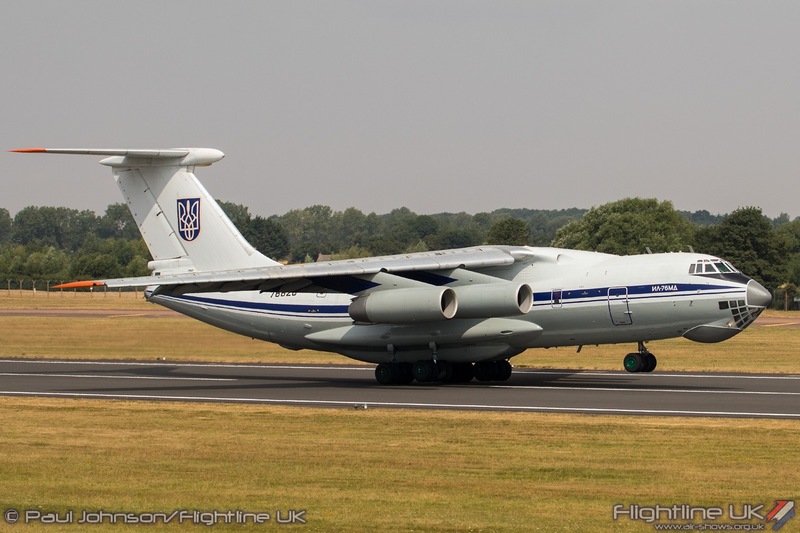 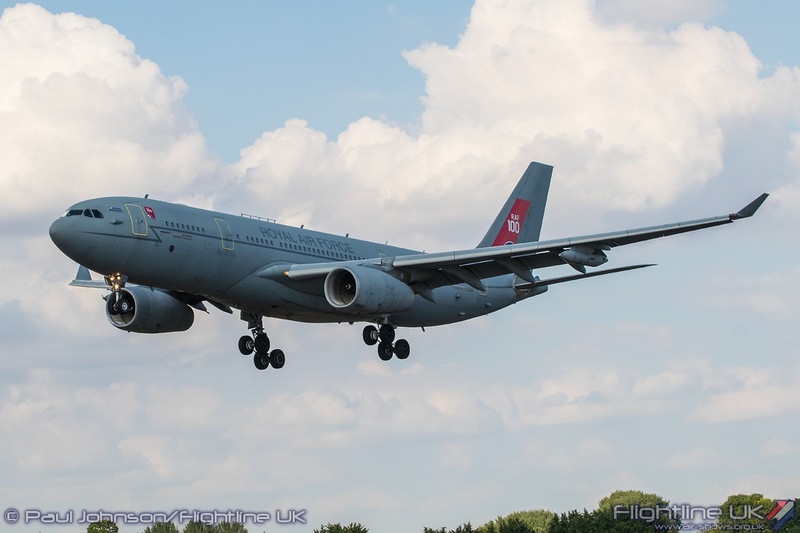 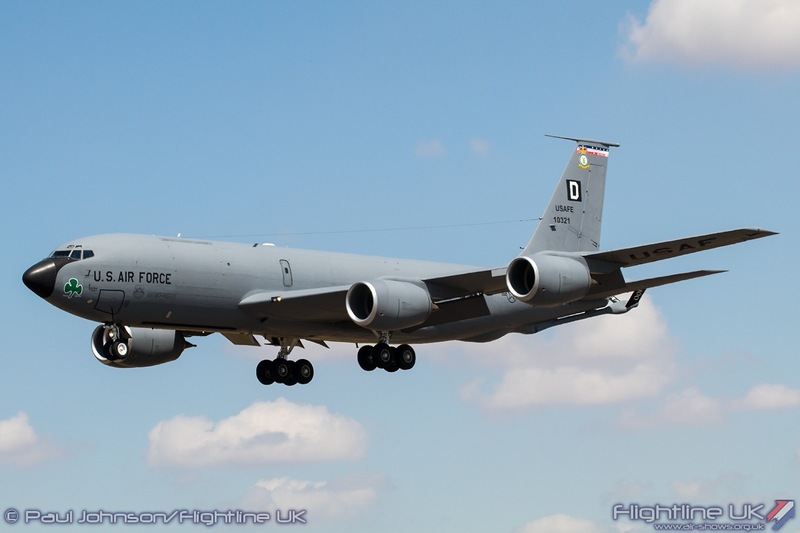 News reached Fairford early in the week that the aircraft was stuck en-route with technical issues. 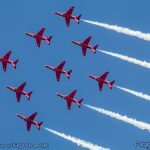 It would have been easy there and then to cancel the trip to the UK knowing they would miss the opening day of the show. 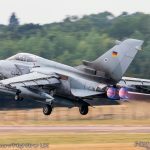 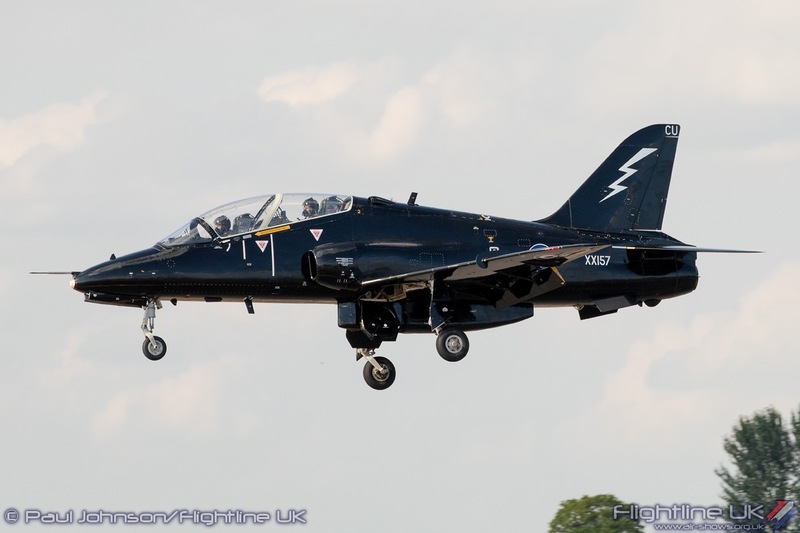 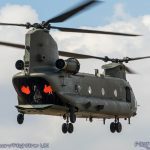 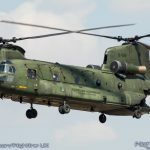 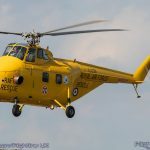 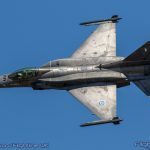 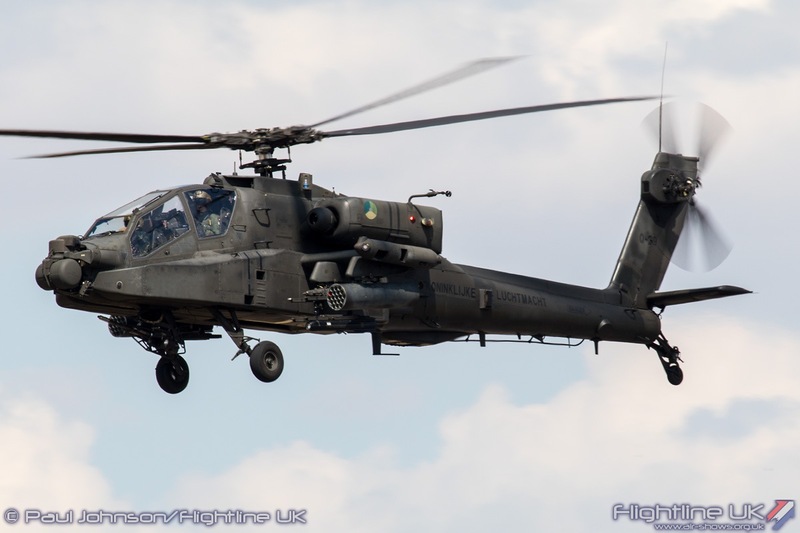 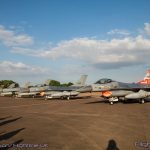 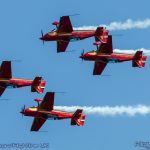 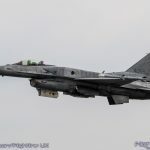 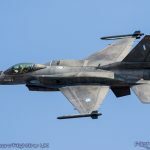 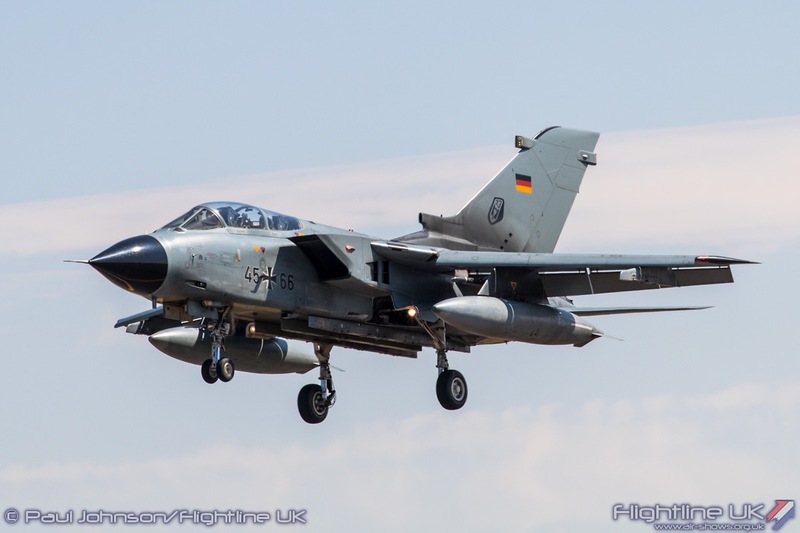 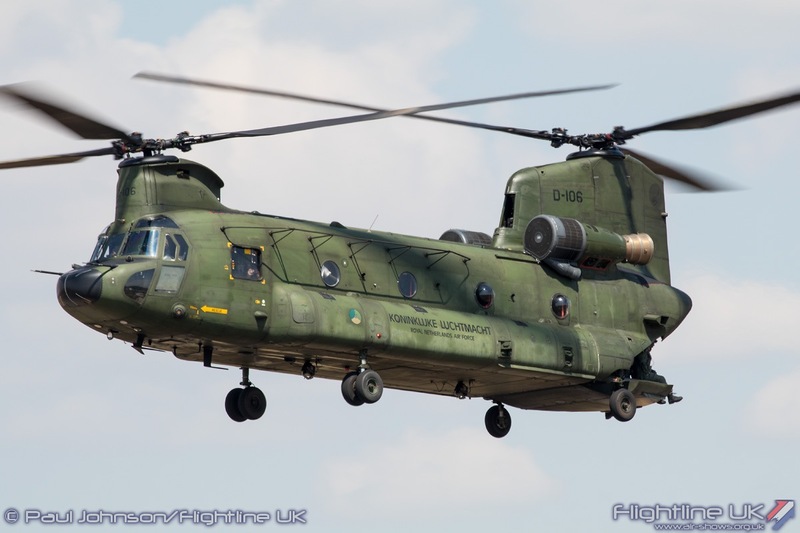 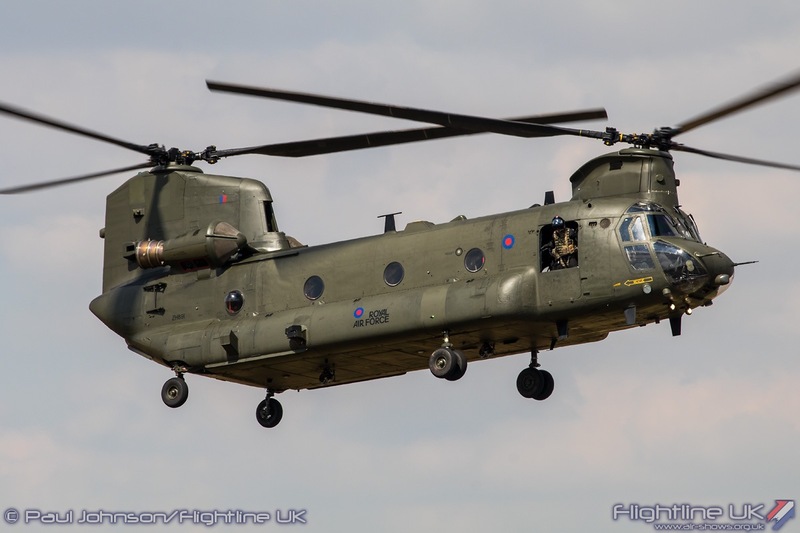 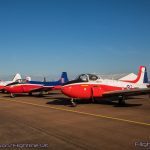 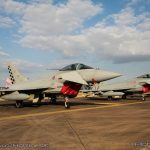 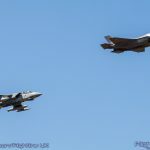 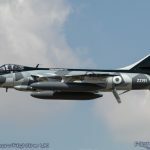 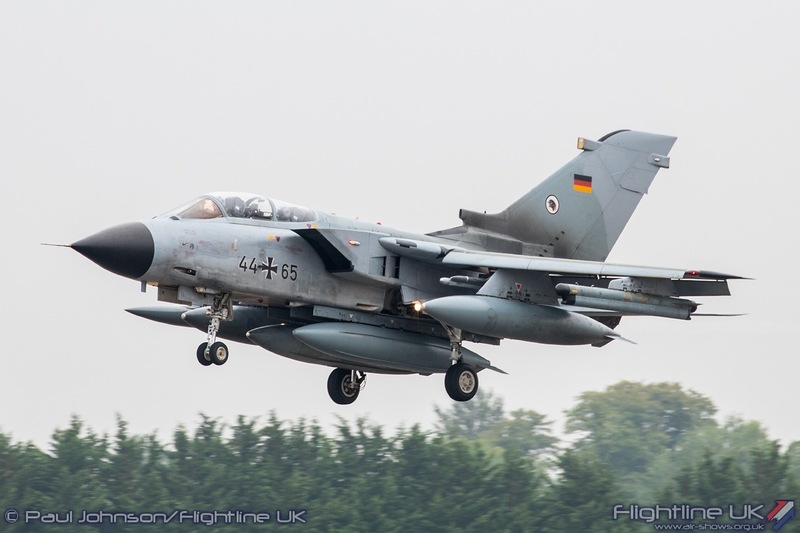 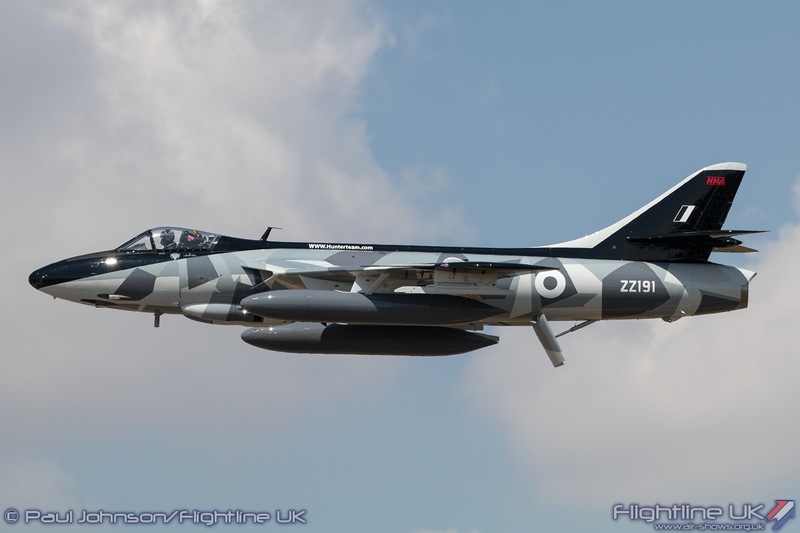 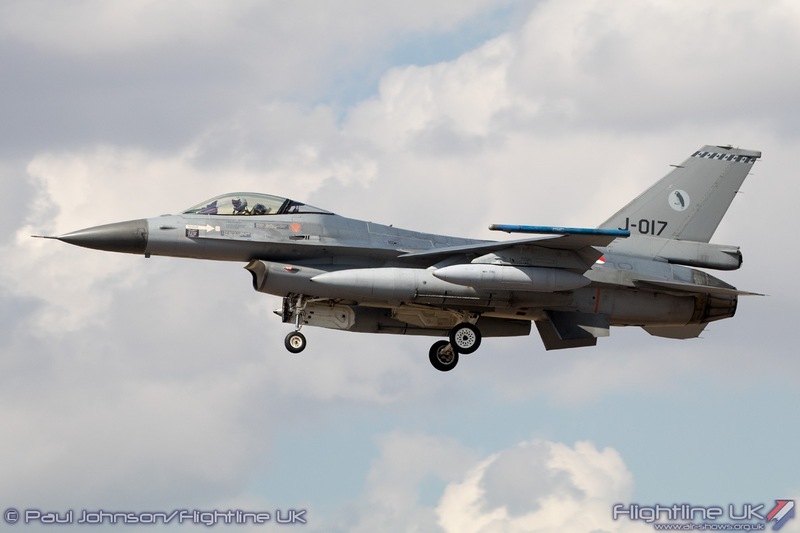 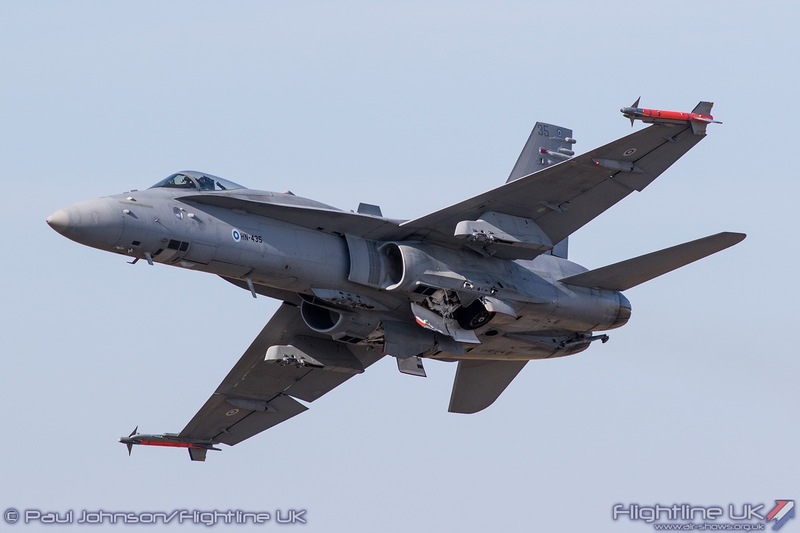 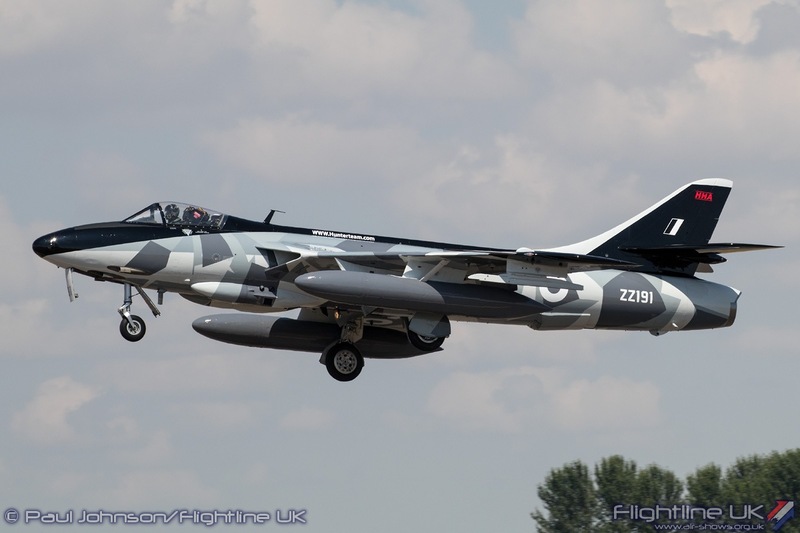 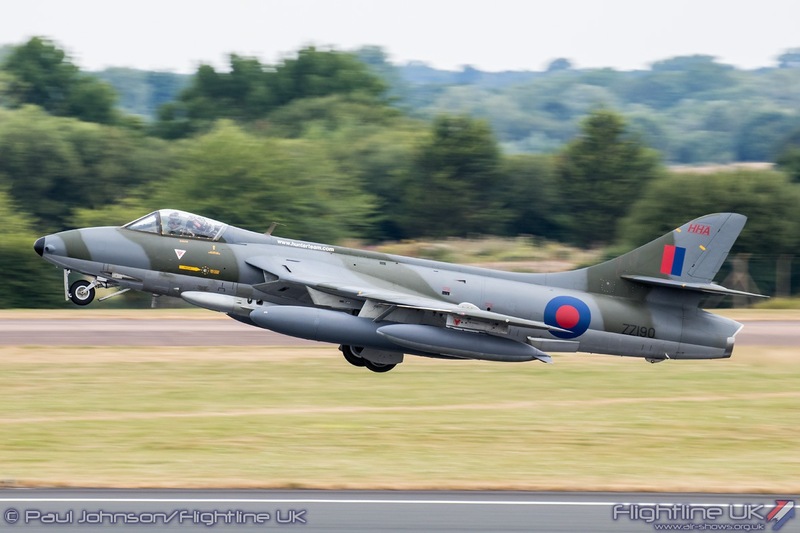 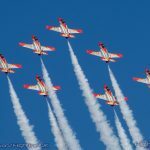 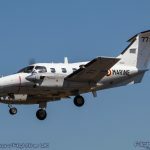 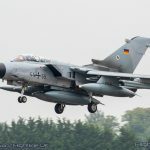 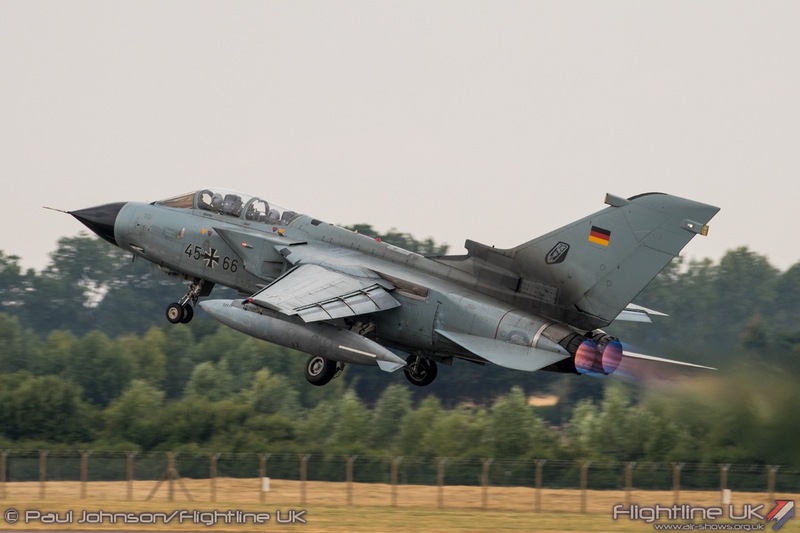 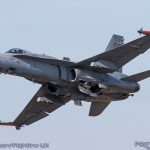 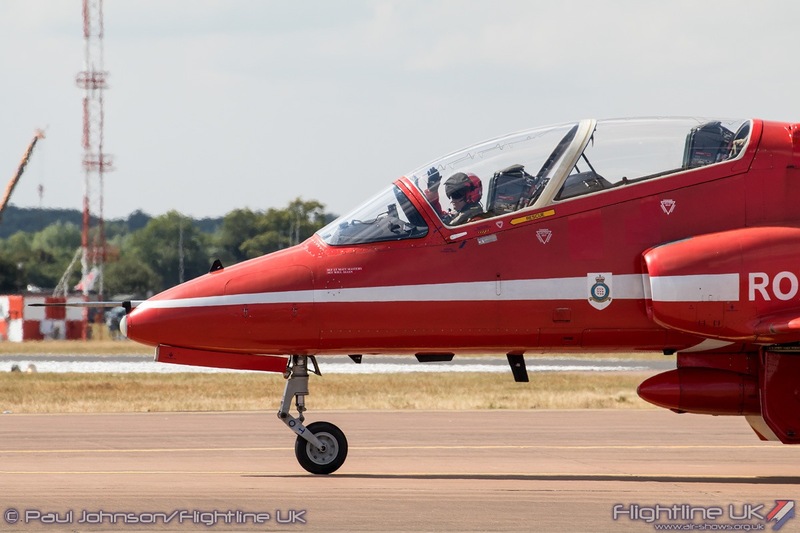 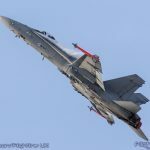 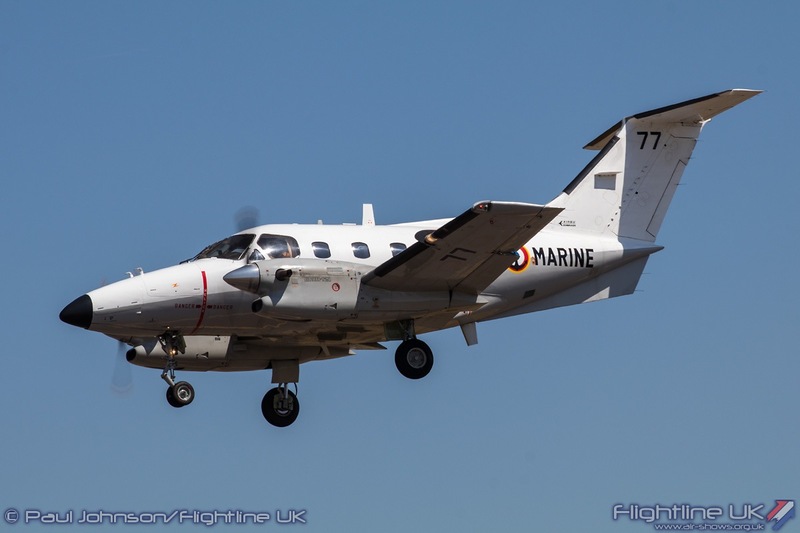 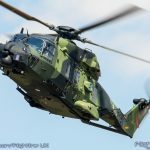 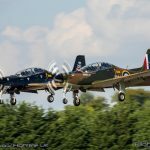 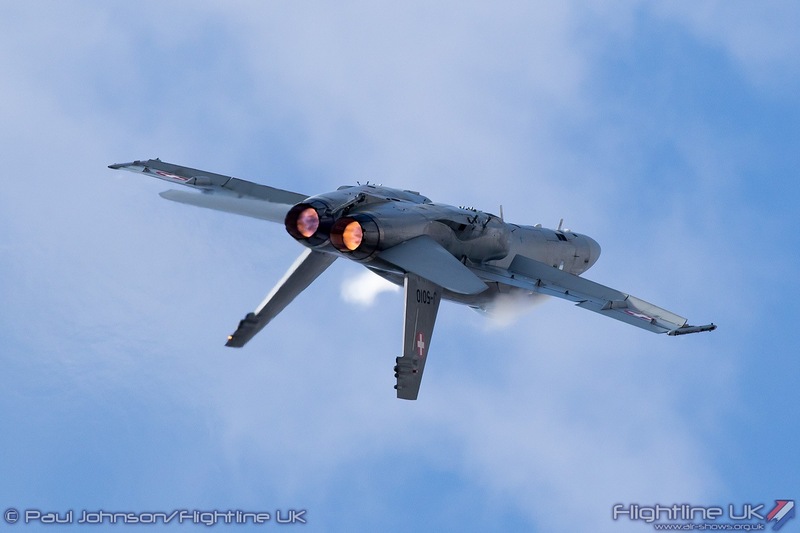 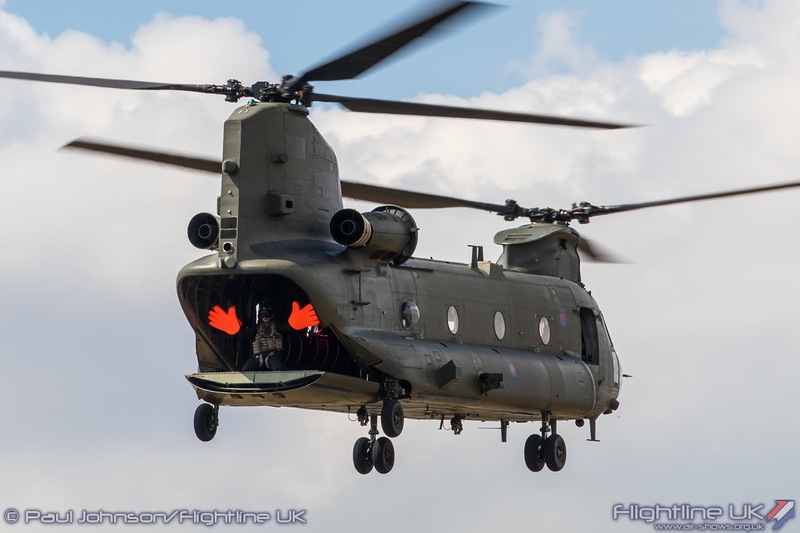 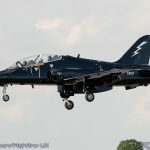 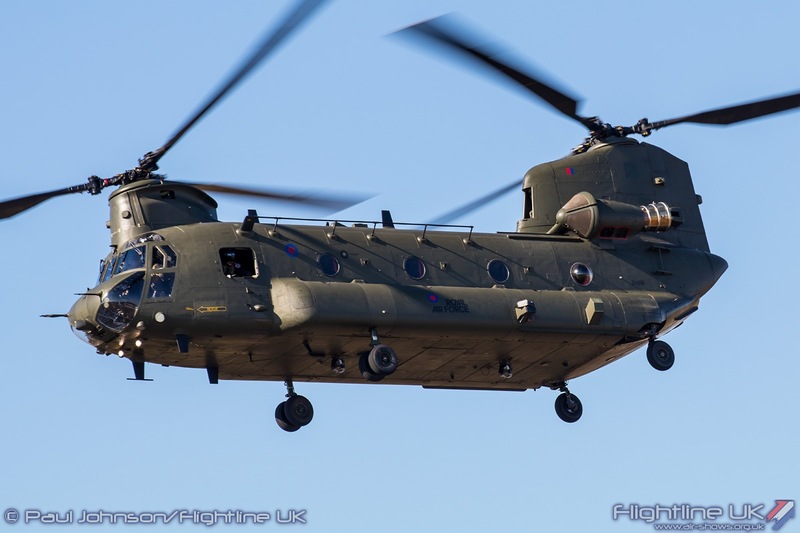 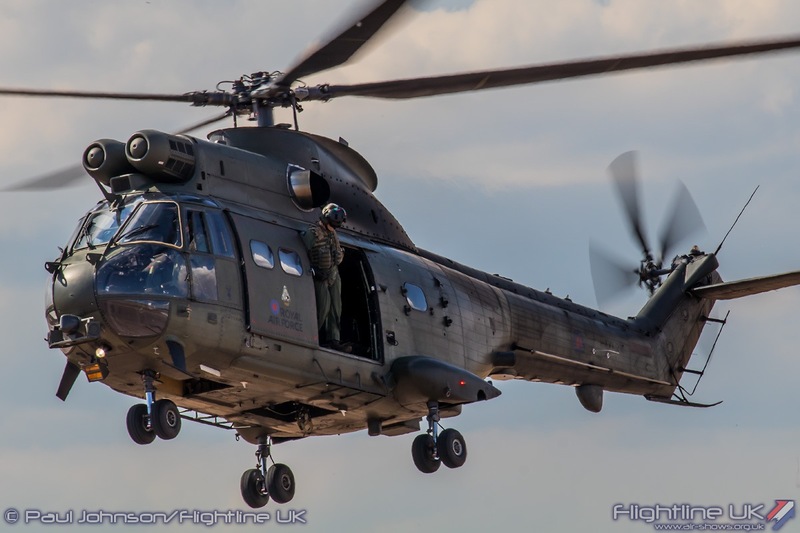 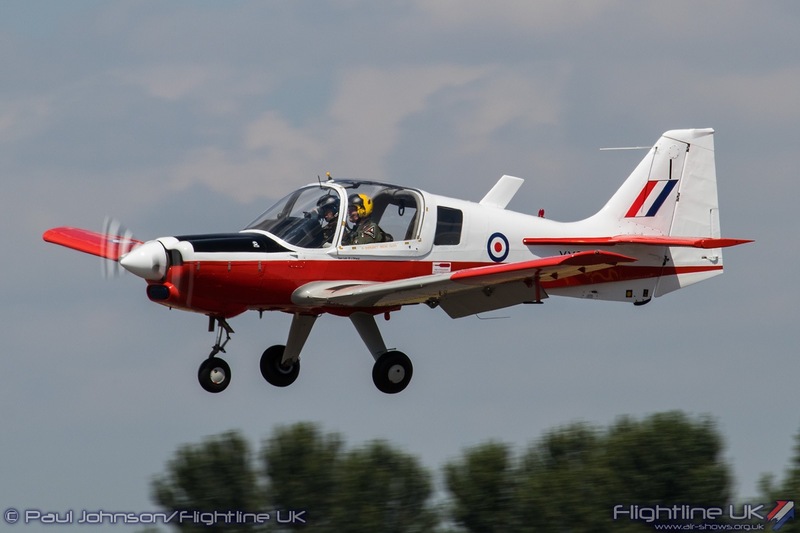 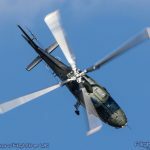 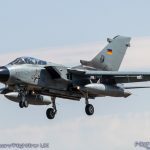 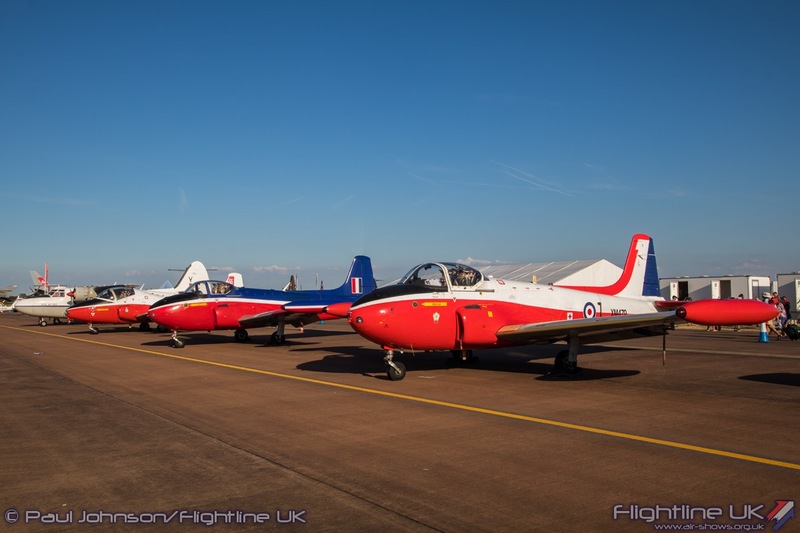 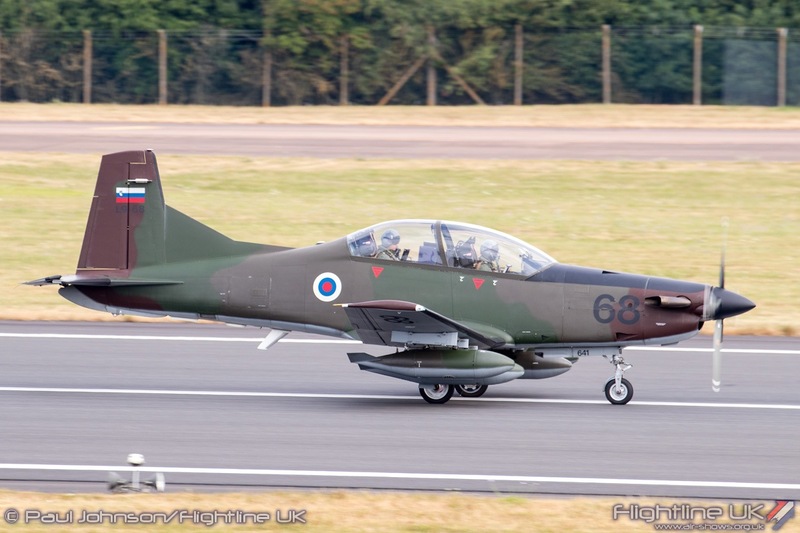 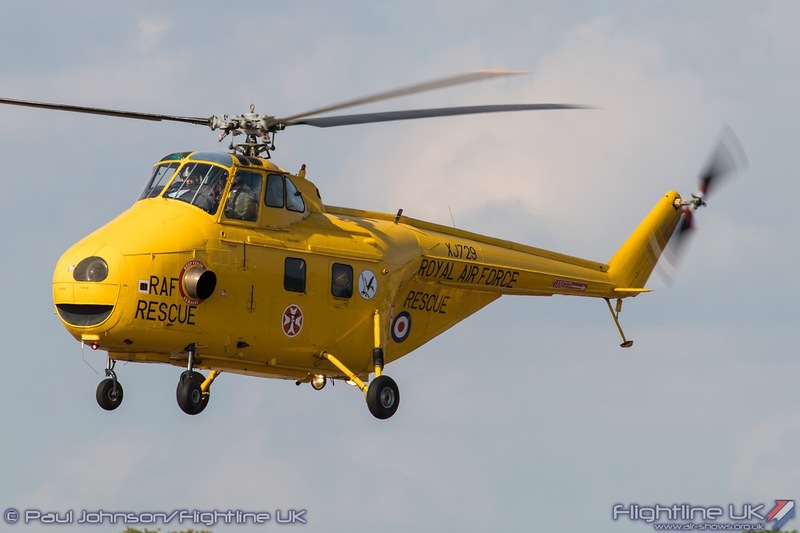 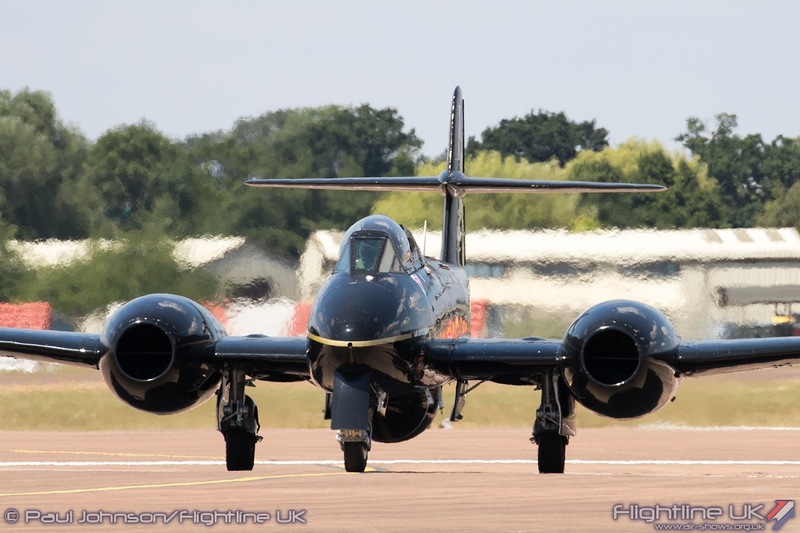 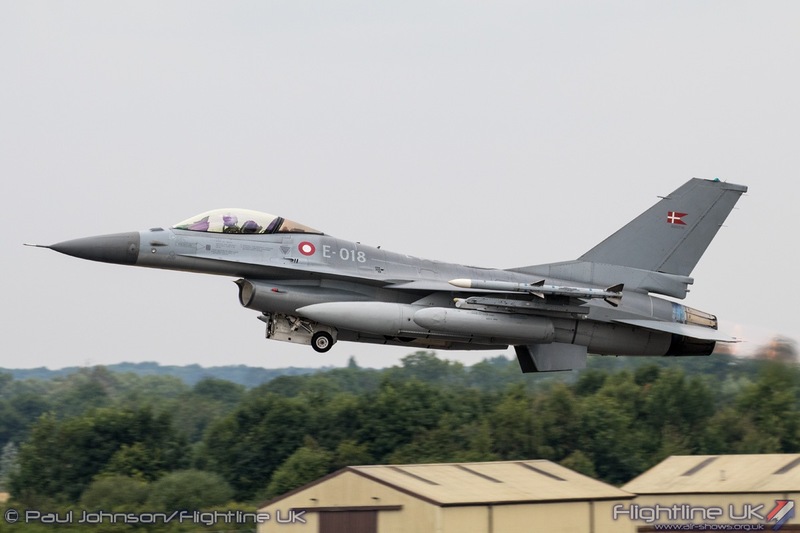 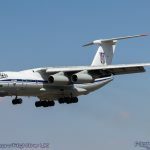 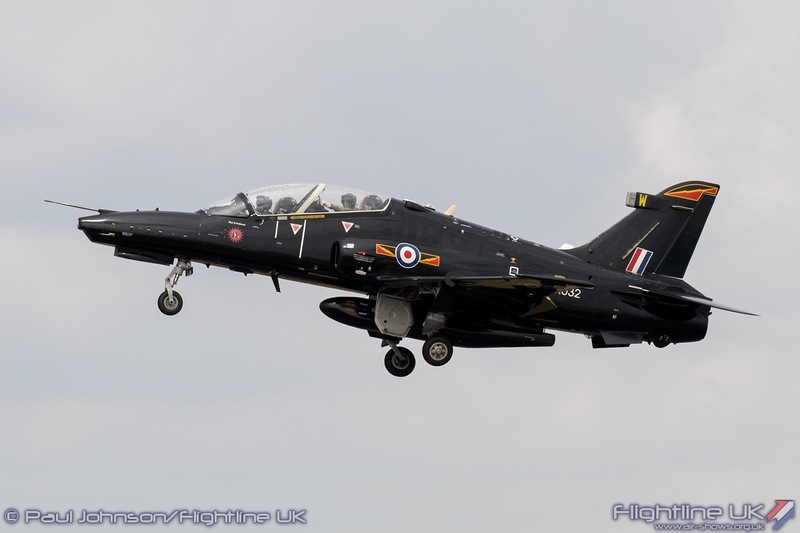 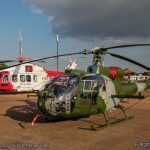 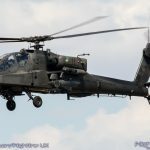 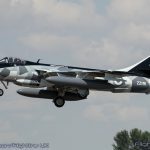 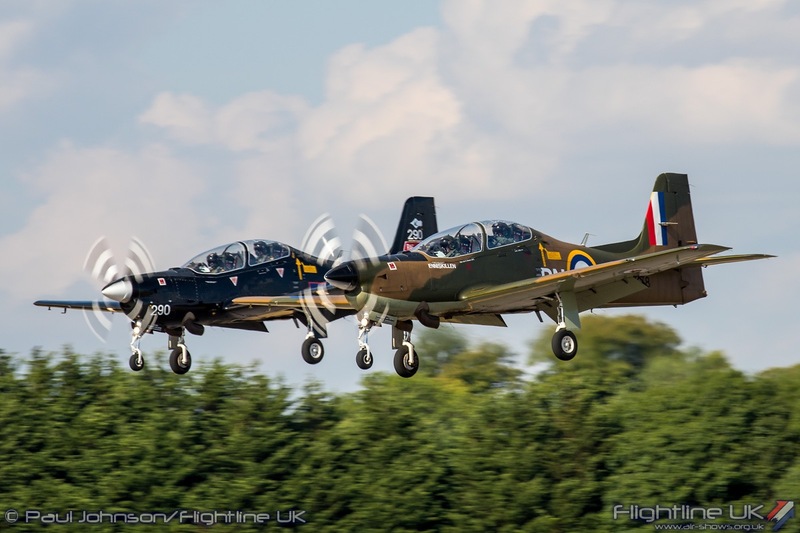 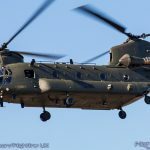 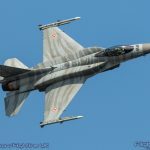 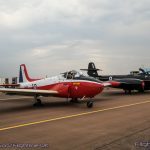 However, they stuck to their plan once the aircraft was made serviceable arriving late on Friday and joining the static line-up for the main weekend days. 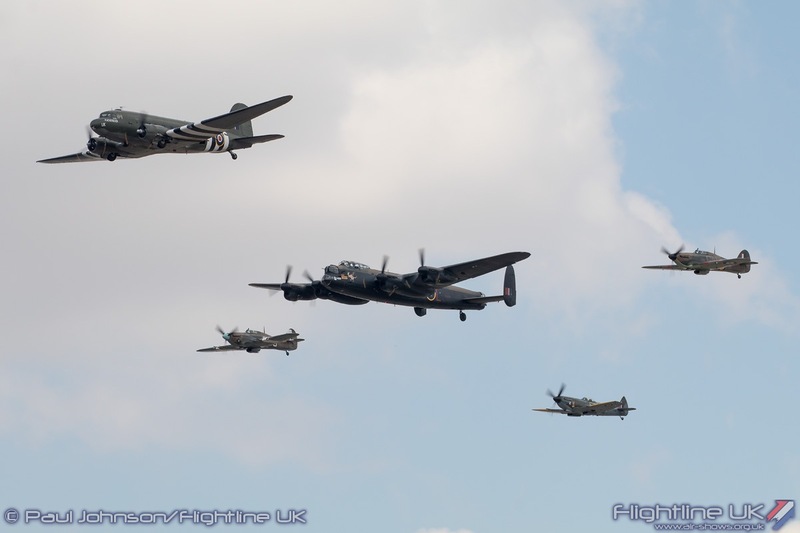 Both the Army Air Corps and Royal Navy supported the show. 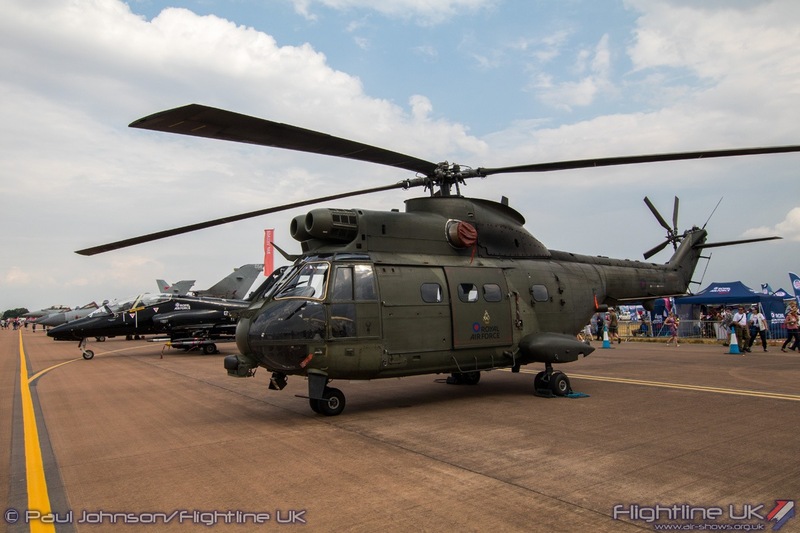 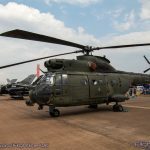 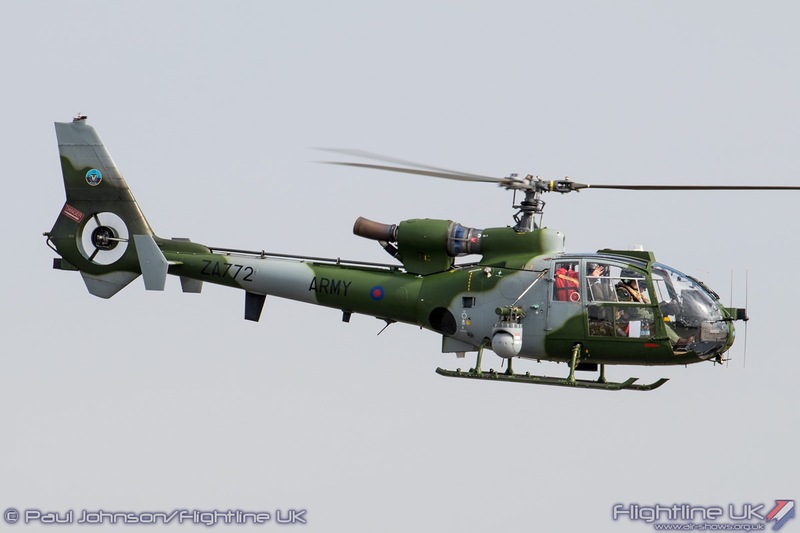 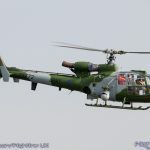 The Army had just one aircraft on show with the Westland Gazelle AH1 but the Royal Navy has a number of aircraft on show with a BAE Systems Hawk T1 from 736NAS, a Leonardo Merlin HM2 from RNAS Culdrose, Merlin HC3i from RNAS Yeovilton and one of HHA’s Hawker Hunter F58a wearing its new splinter camouflage. 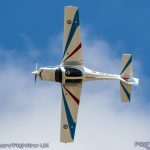 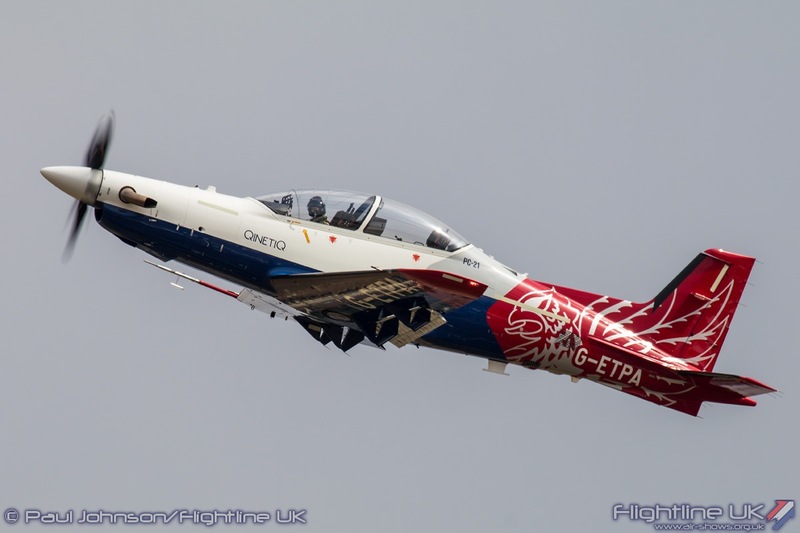 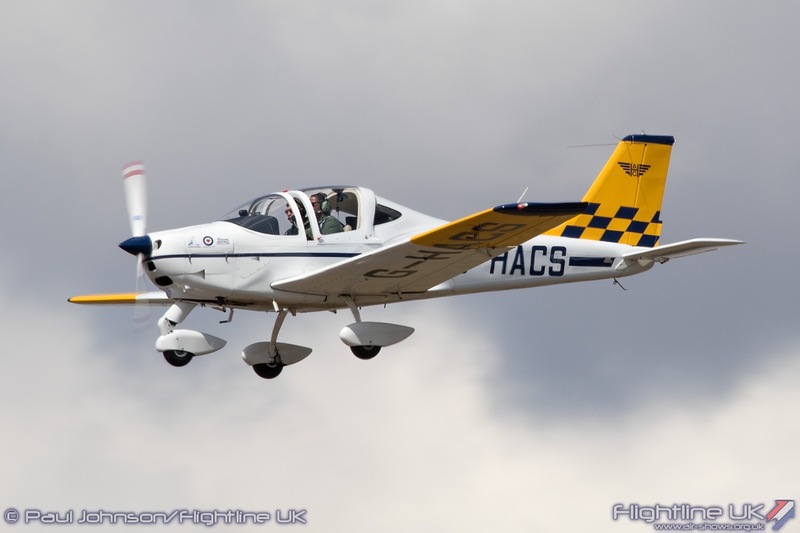 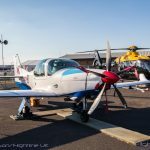 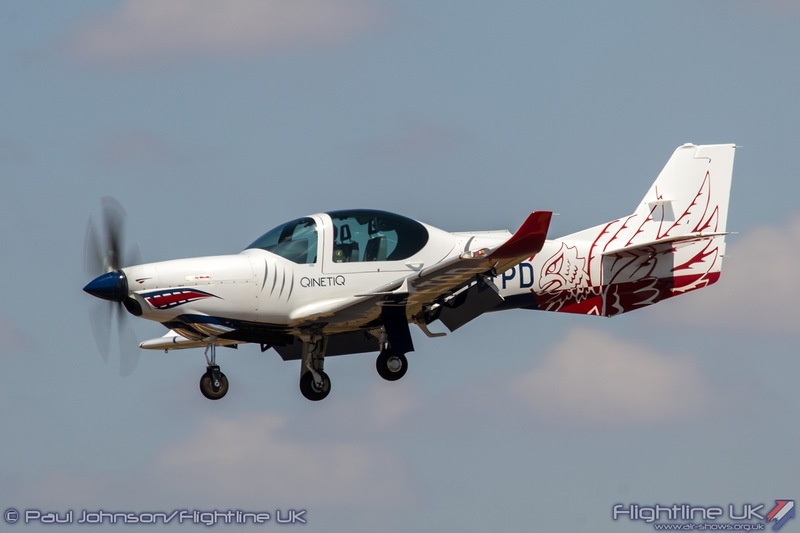 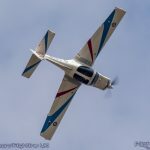 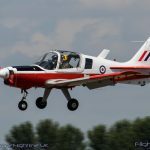 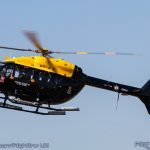 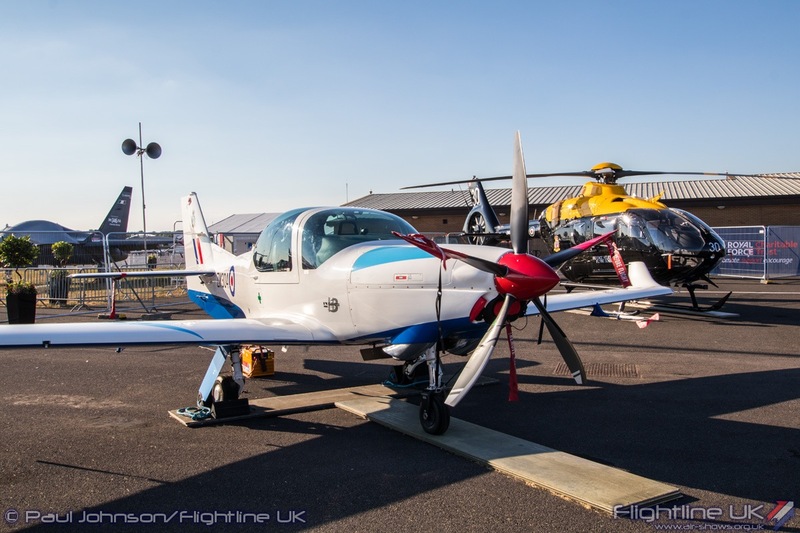 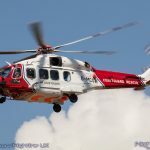 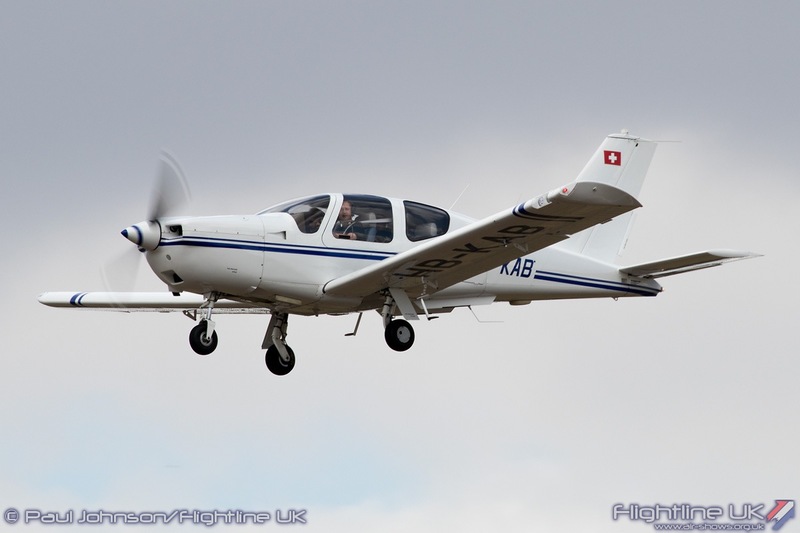 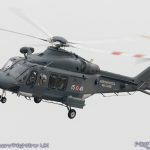 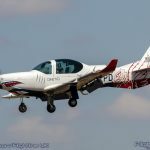 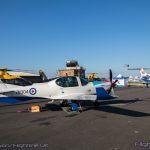 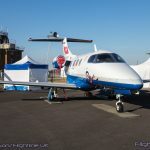 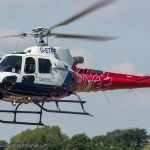 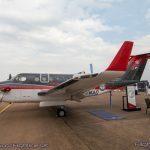 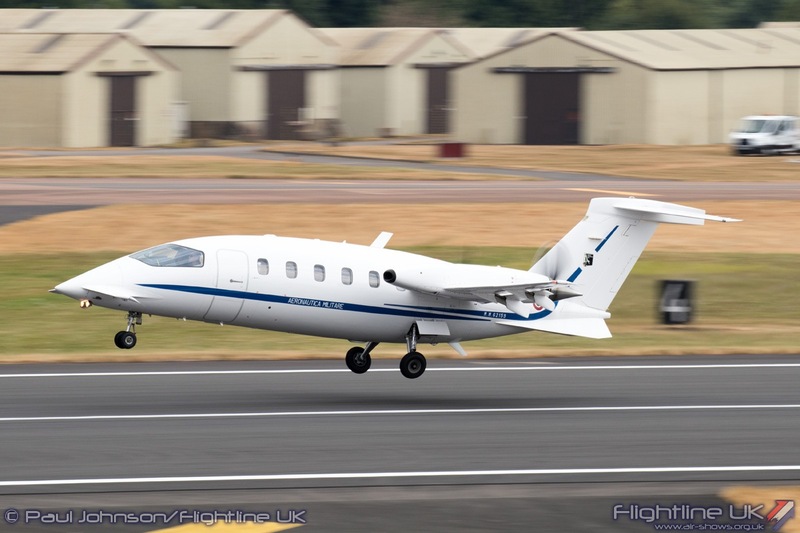 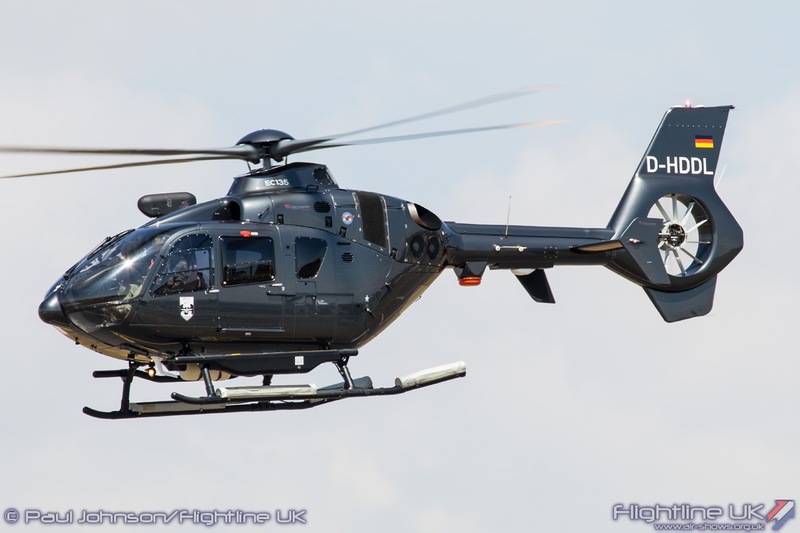 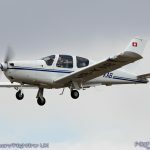 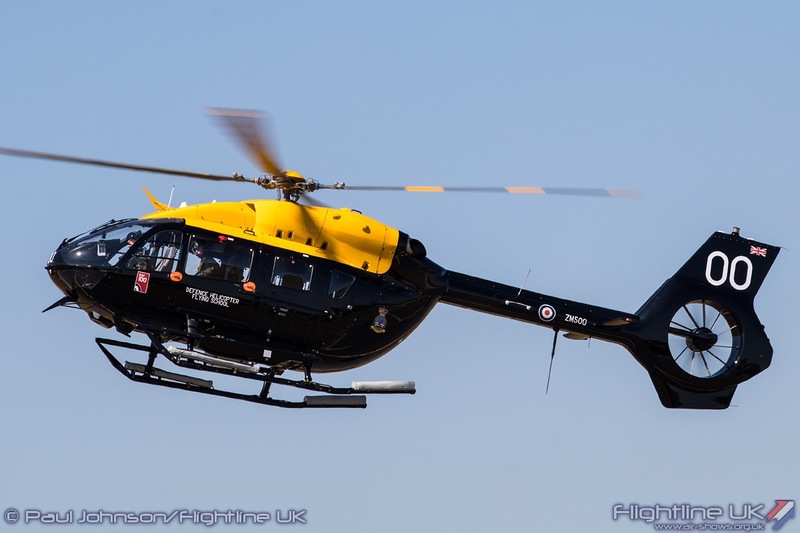 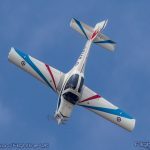 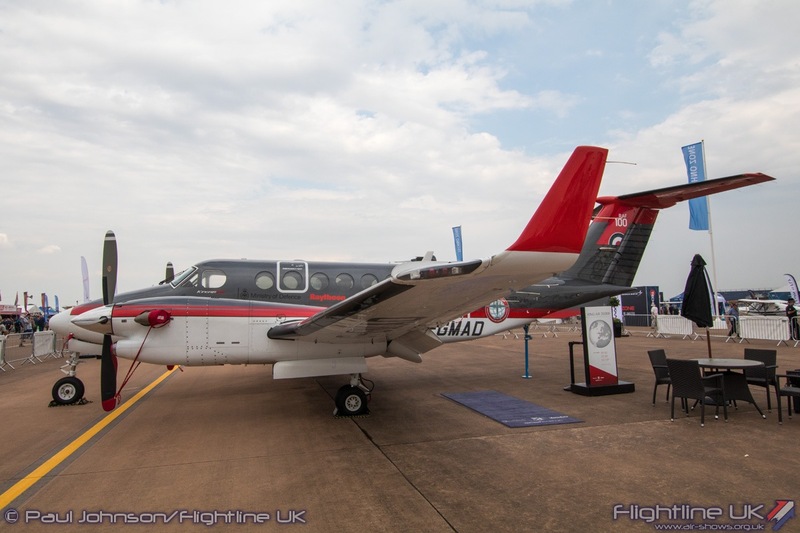 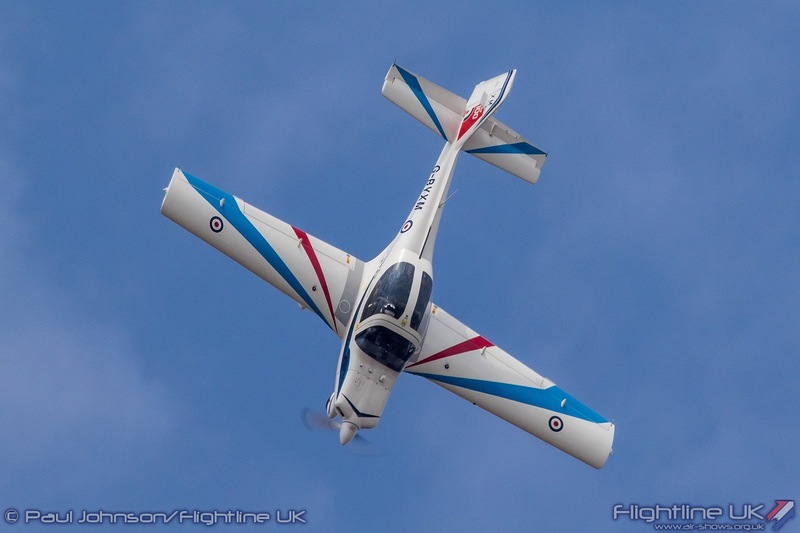 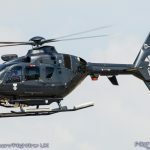 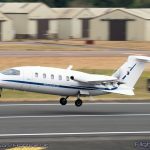 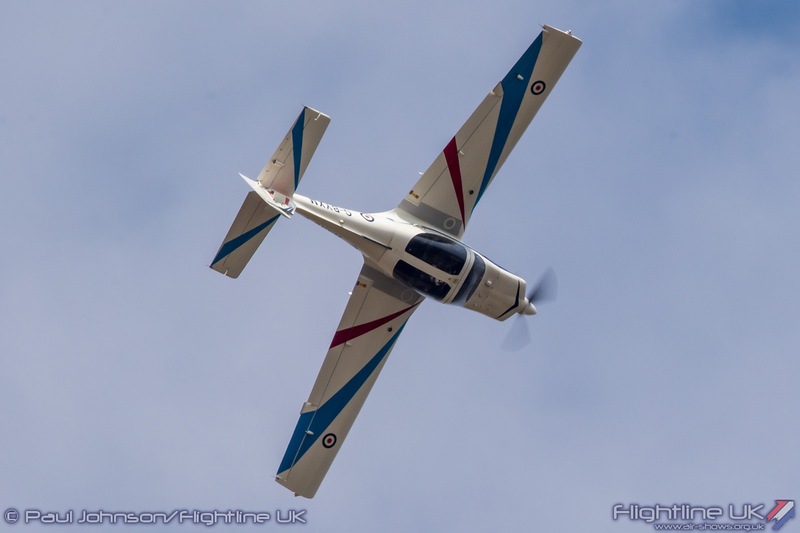 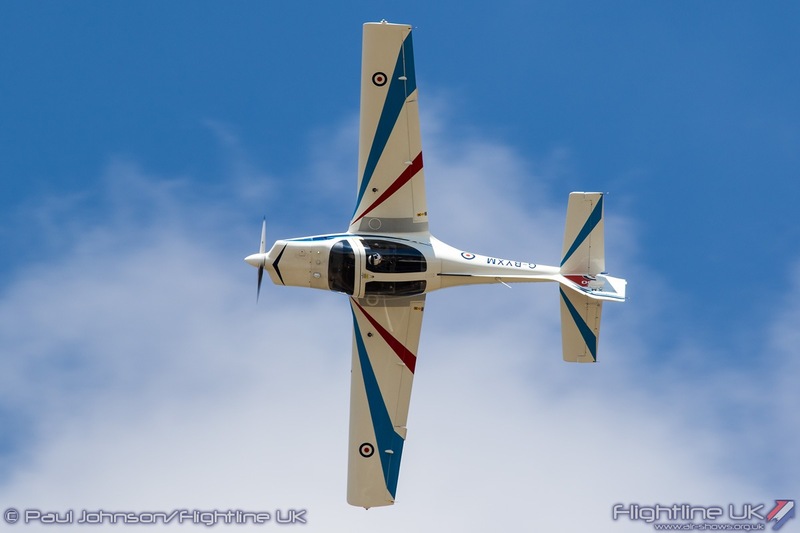 QinetiQ showcased all of the types in its new fleet with the Grob 120TP and Airbus Helicopters H125 joined by one of their brand new Pilatus PC-21s making its airshow debut. 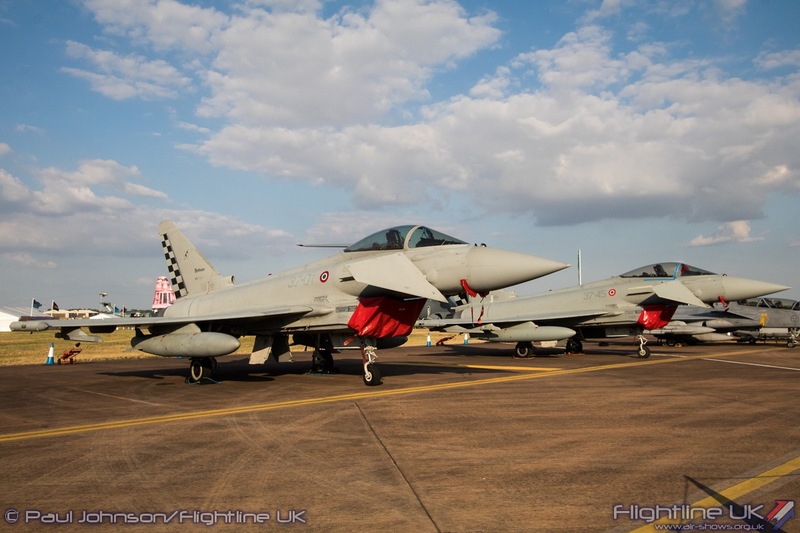 Every Royal International Air Tattoo welcomes a diverse range of aircraft from around the world for static display or in support of the flying displays and visiting delegations. 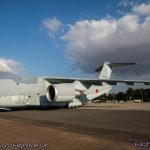 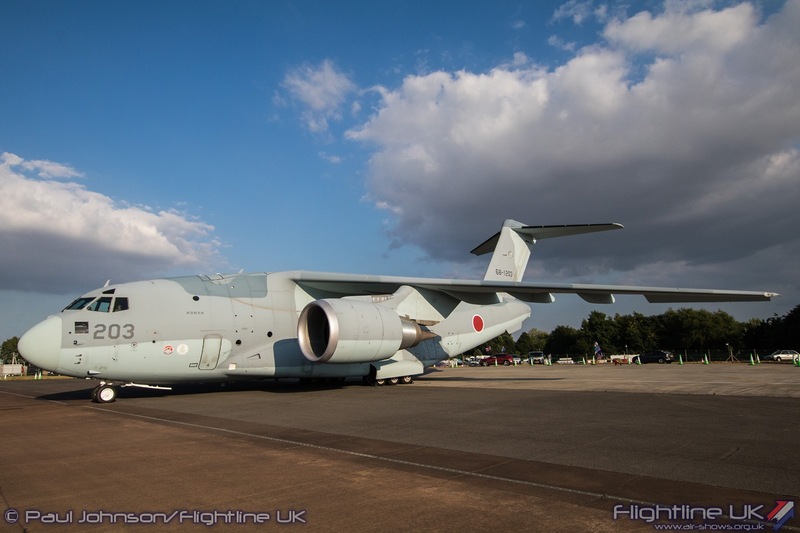 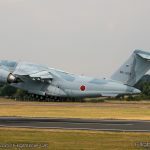 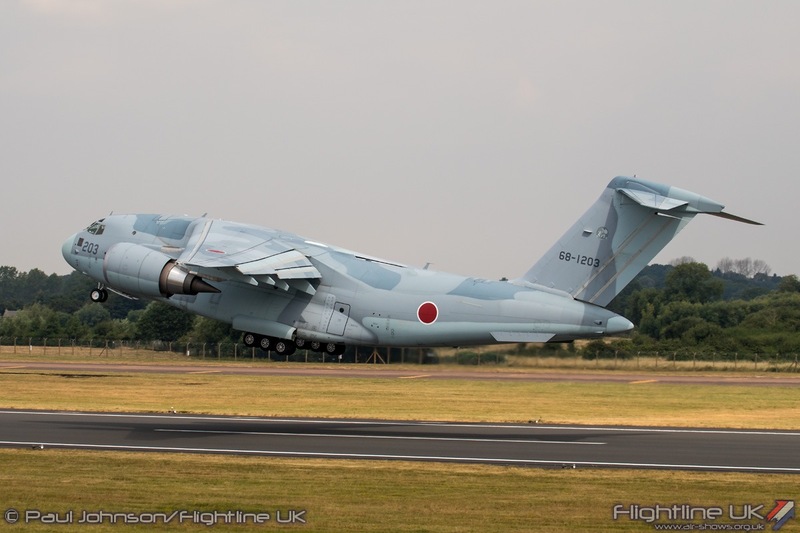 The star of the international line-up in the static display was the Kawasaki C-2 from the Japanese Air Self-Defence Force. 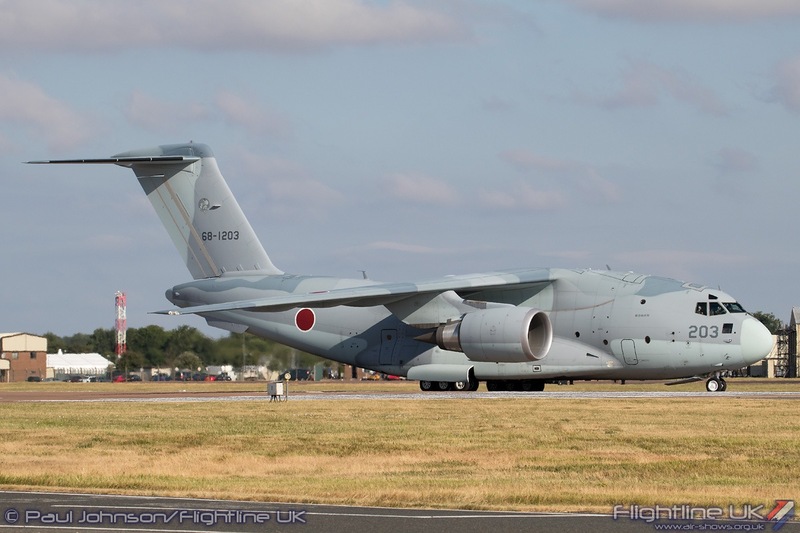 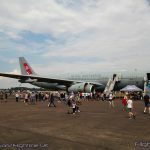 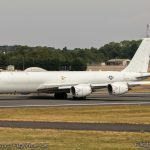 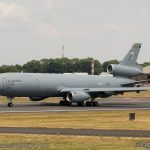 In recent years the JASDF have become great supporters of the Air Tattoo with their Boeing KC-767J tanker so it was great to see a new shape at Fairford with their latest generation of airlifter. 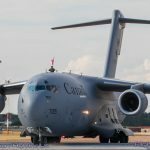 The C-2 sits between a C-130 and a C-17 and with two big turbofan engines and a high T-tail. 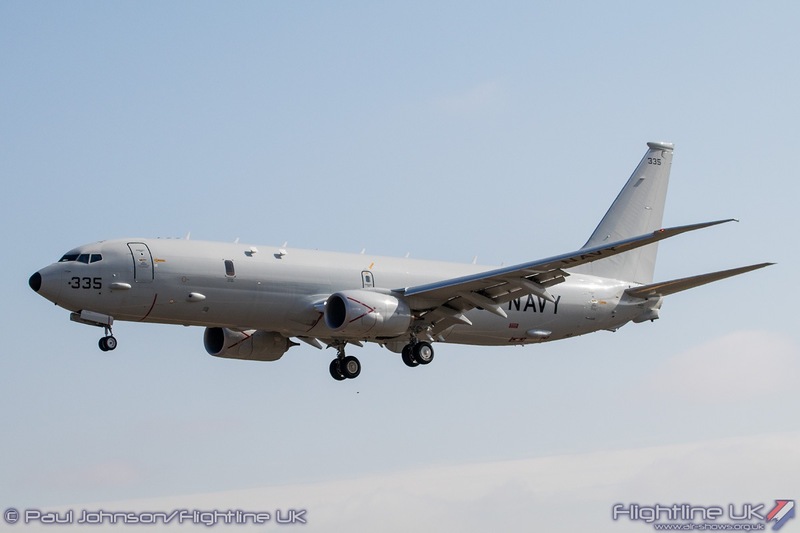 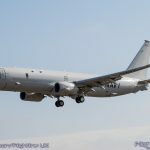 The aircraft has been developed in Japan alongside the P-1 maritime patrol aircraft. 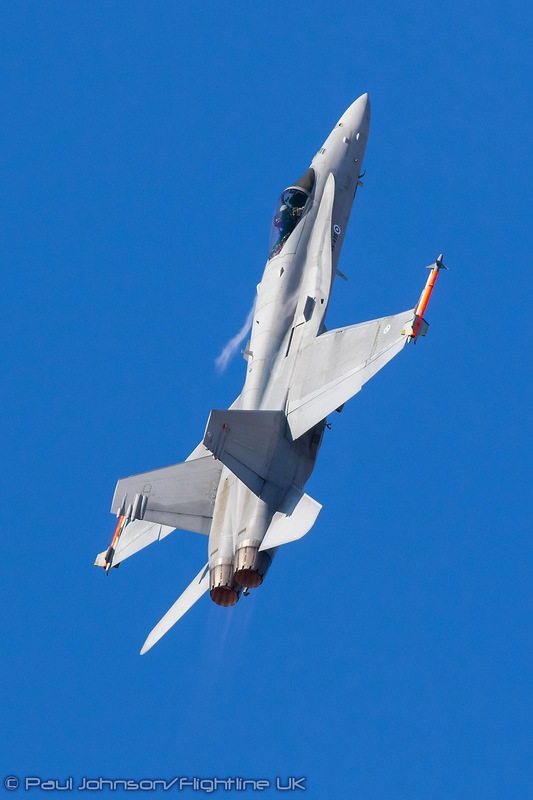 To save costs, both types share parts, avionics and even basic wing structures. 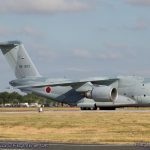 As with the P-1, Japan is offering the C-2 to overseas nations with interest reported from both New Zealand and the United Arab Emirates. 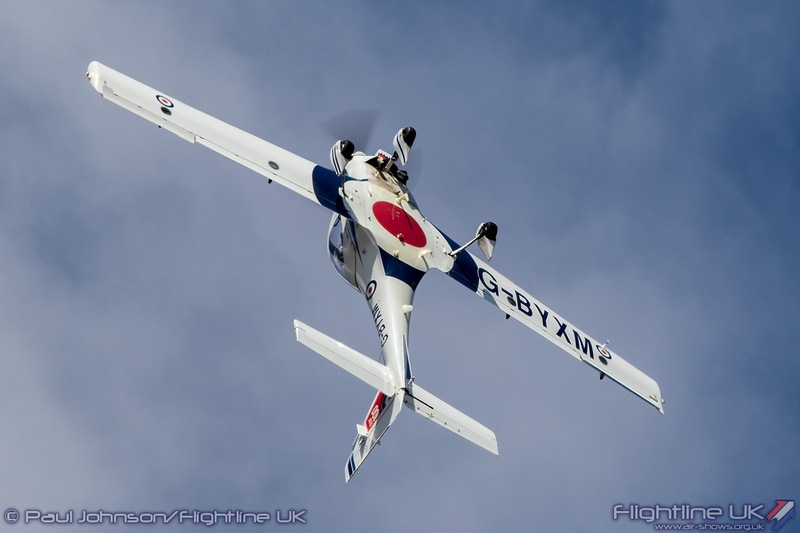 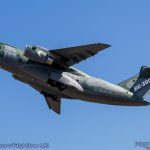 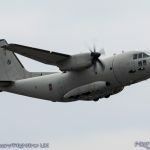 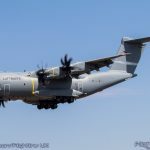 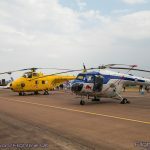 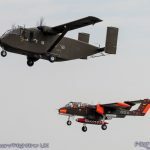 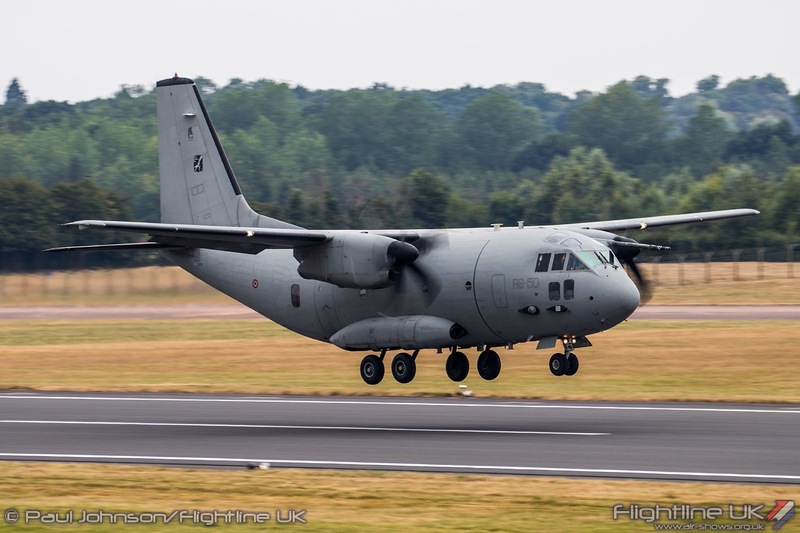 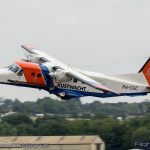 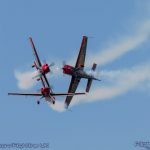 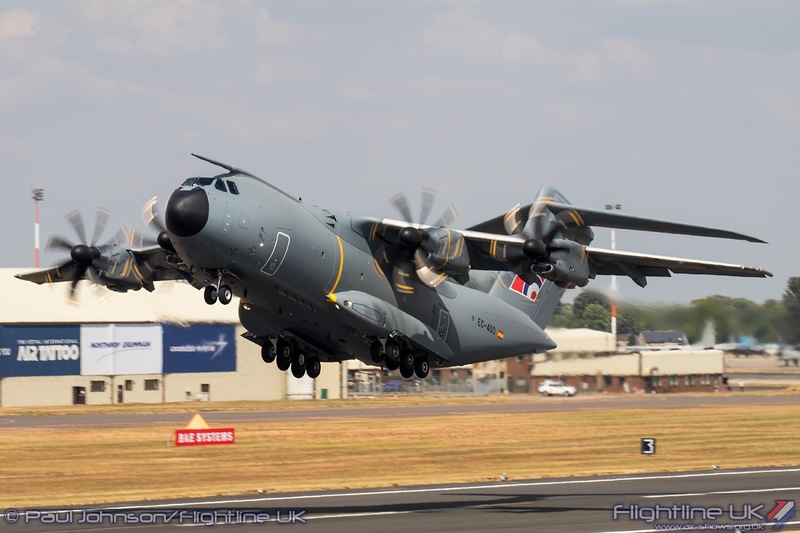 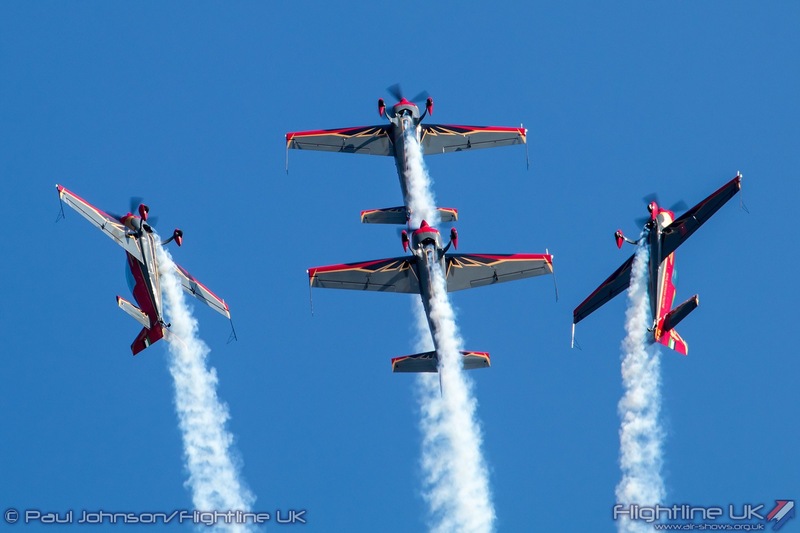 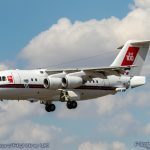 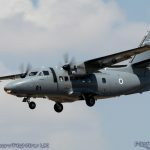 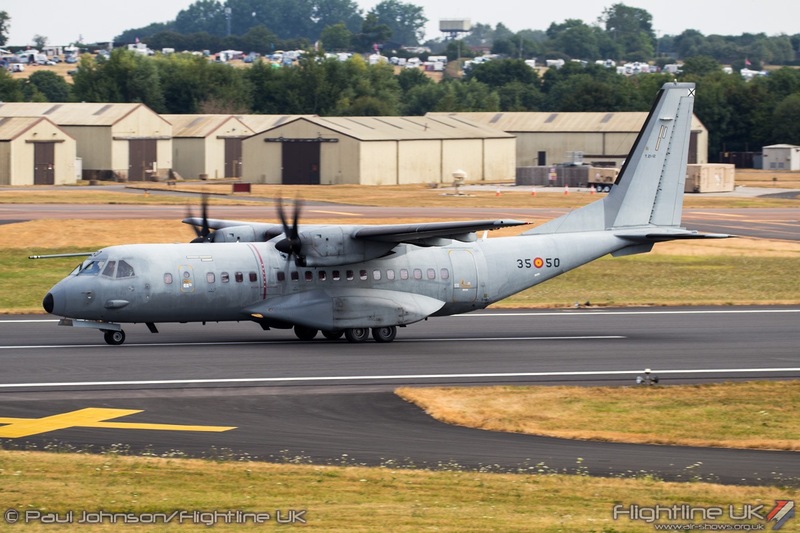 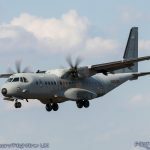 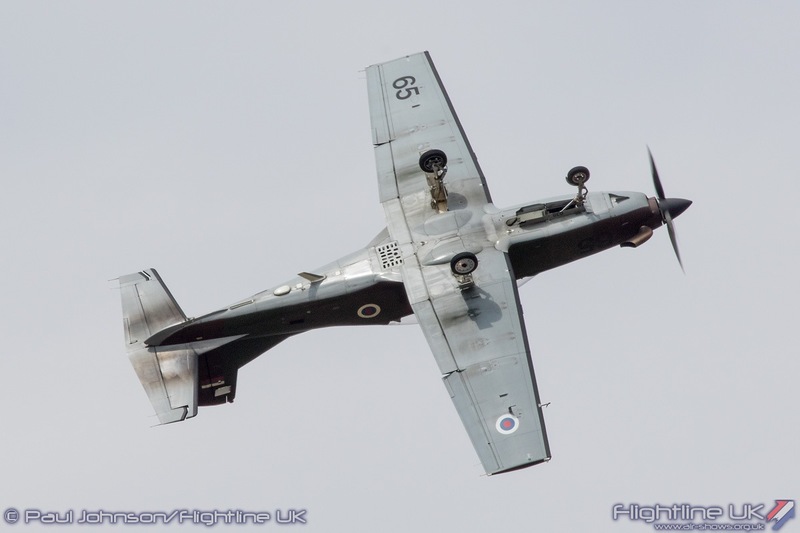 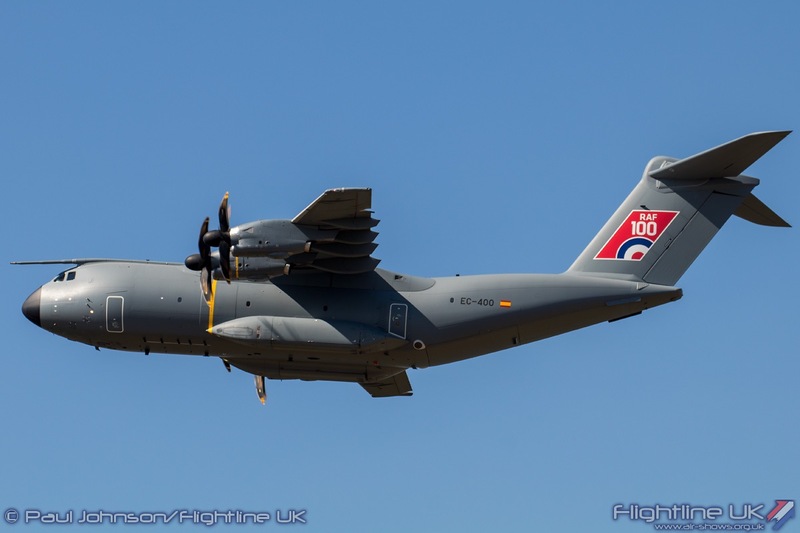 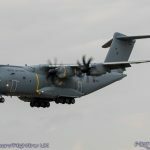 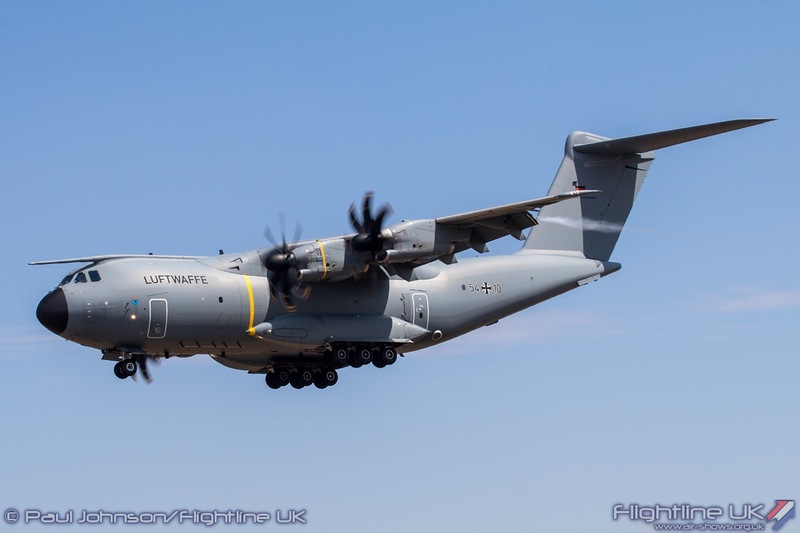 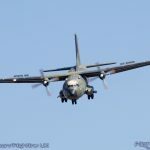 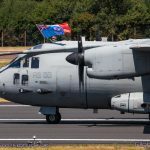 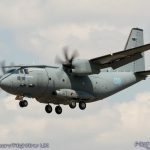 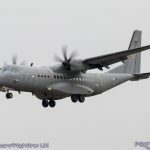 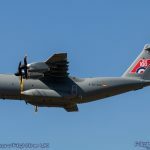 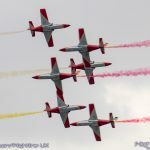 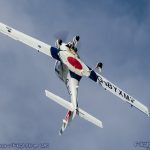 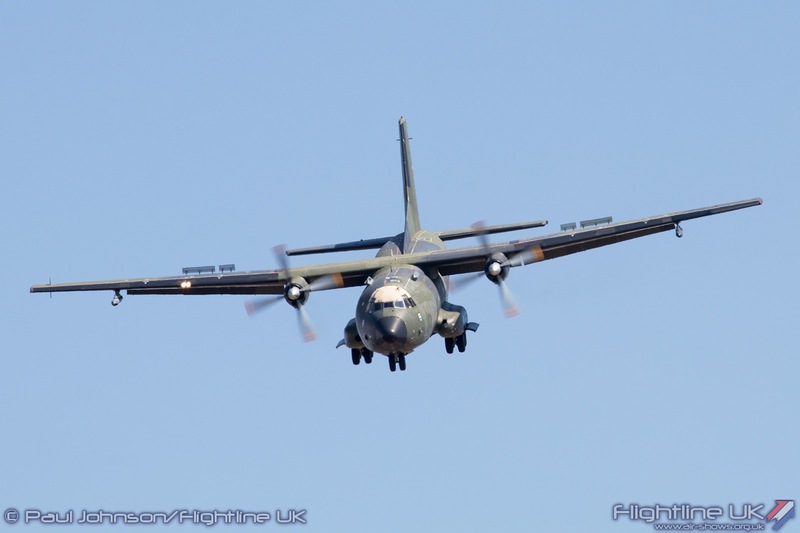 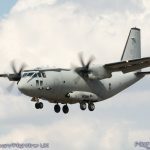 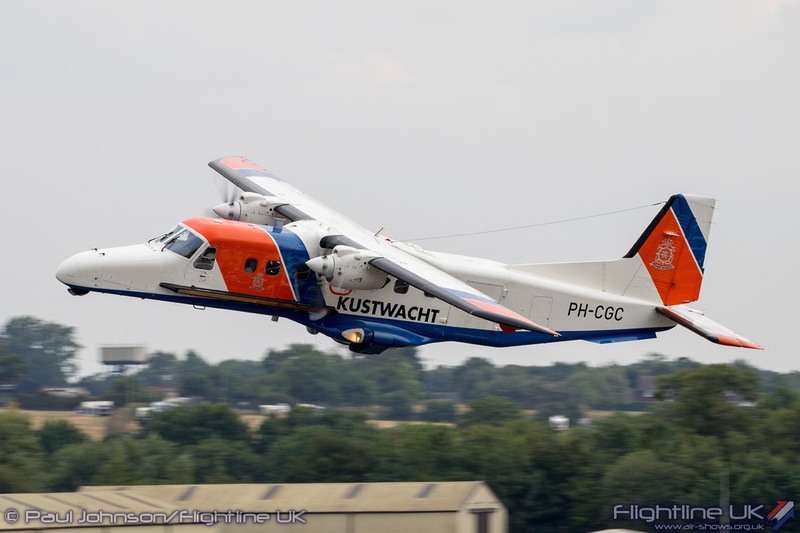 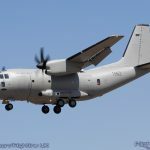 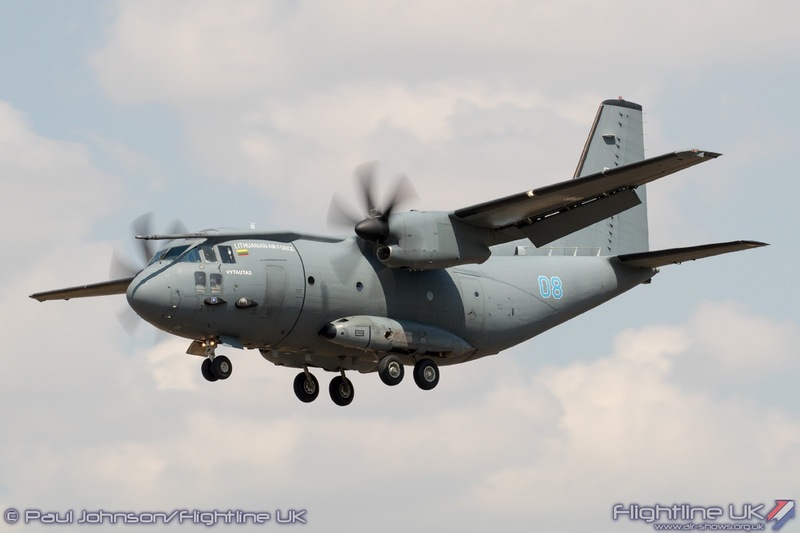 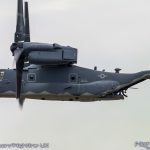 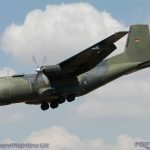 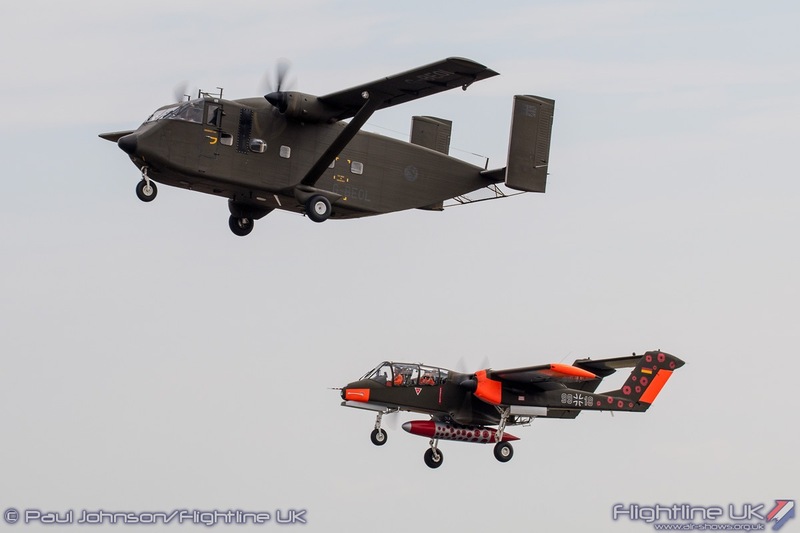 The C-2’s appearance at RIAT marks the type’s second overseas airshow appearance having made it international debut at the Dubai Airshow last year. 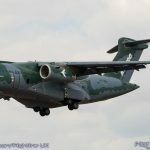 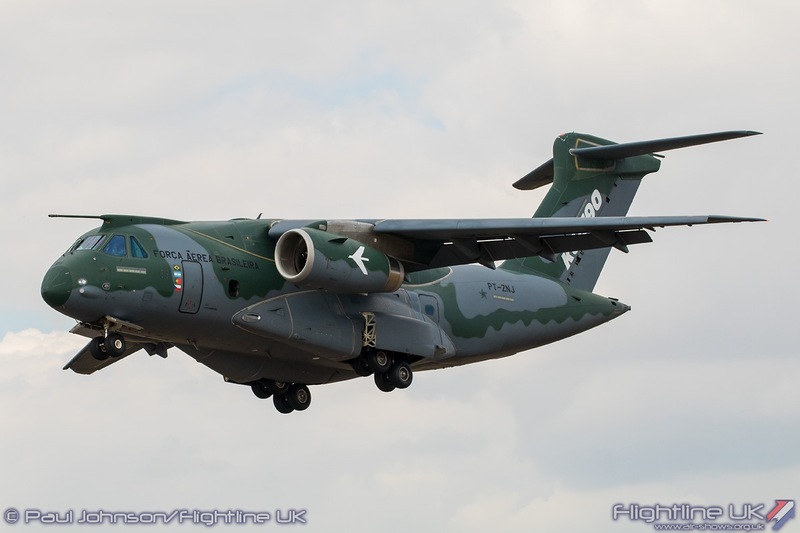 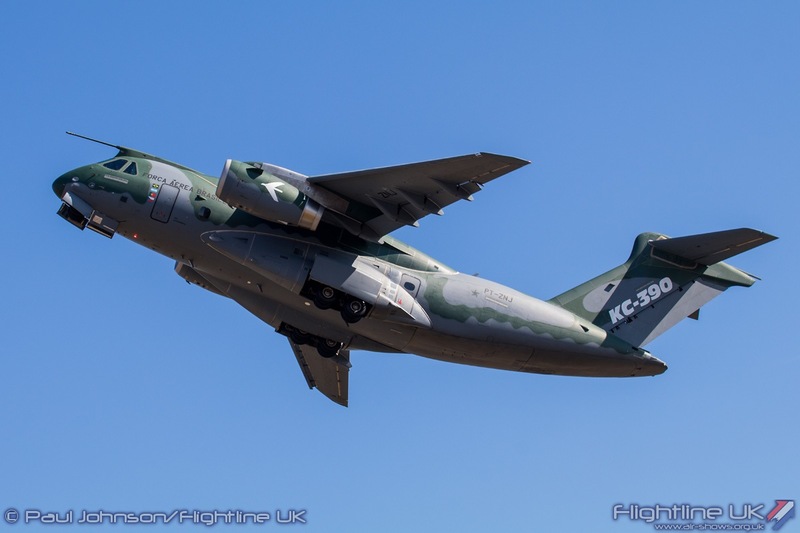 Also making its Air Tattoo debut was the Embraer KC-390 from Brazil which made for an interesting comparison with the C-2. 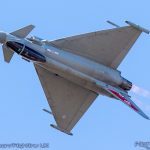 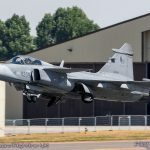 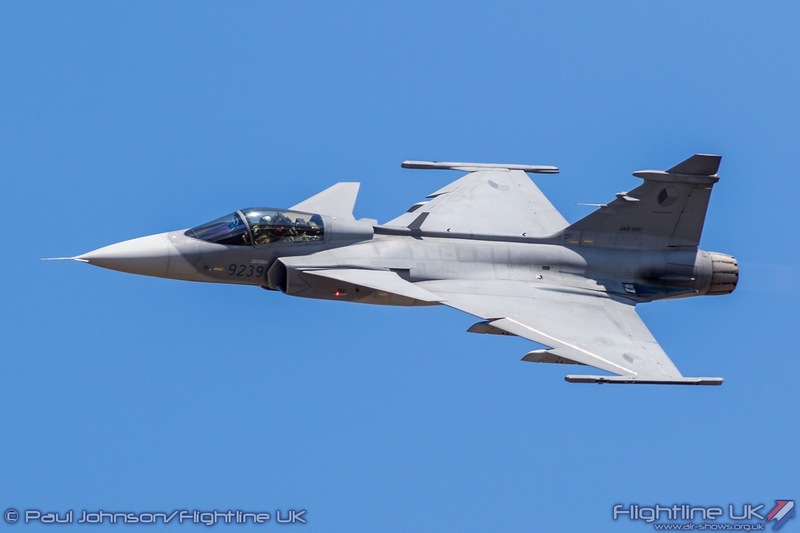 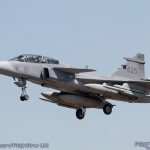 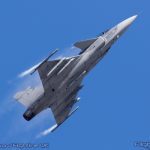 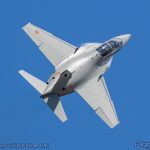 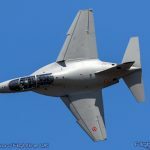 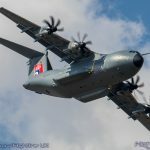 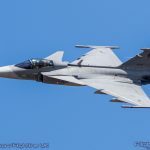 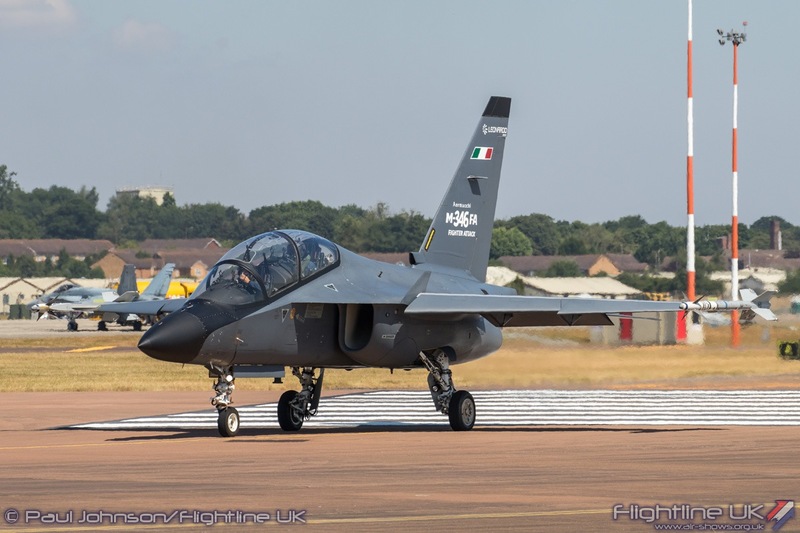 The aircraft is still in testing ahead of joining the air forces of Brazil, Argentina, Portugal, the Czech Republic and Chile. 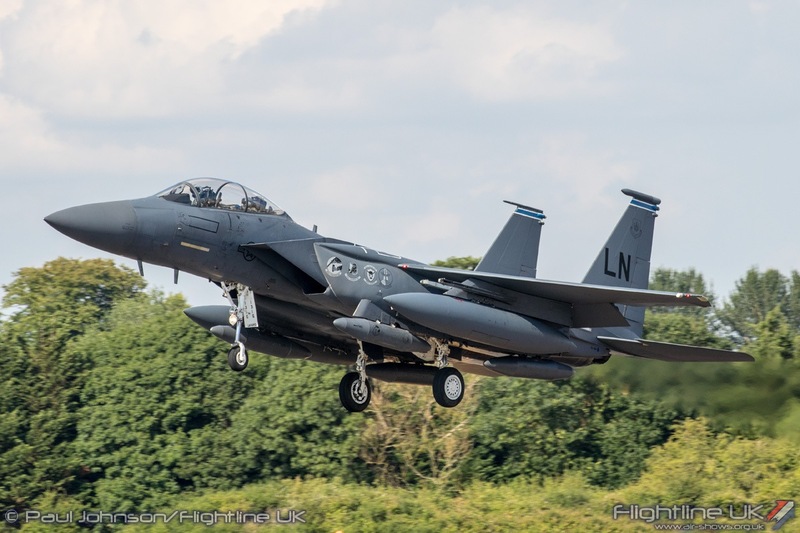 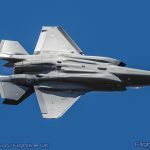 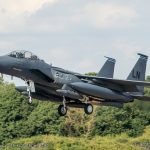 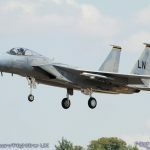 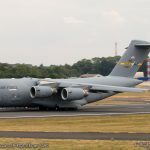 The United States Air Force made a notable contribution to the Air Tattoo in 2018 following the 70th Anniversary celebrations last year. 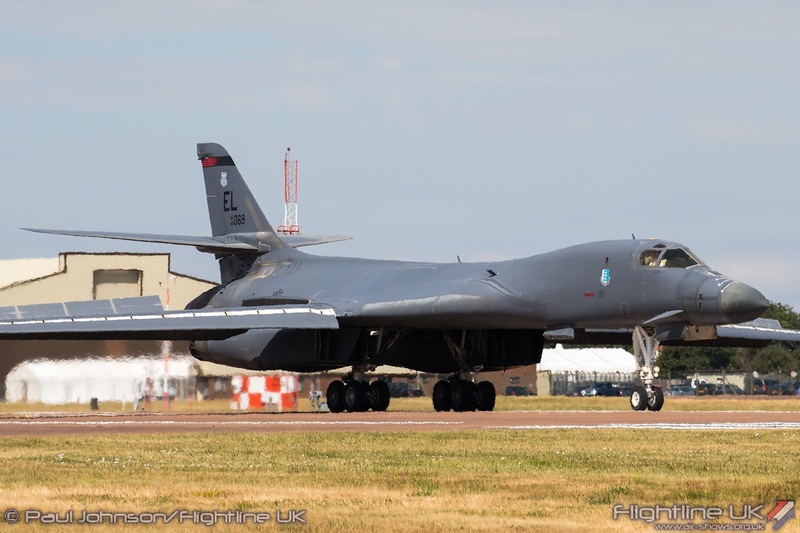 Though sadly the scheduled B-52H cancelled, the connections between RAF Fairford and USAF bombers were still marked by the Rockwell B-1B Lancer. 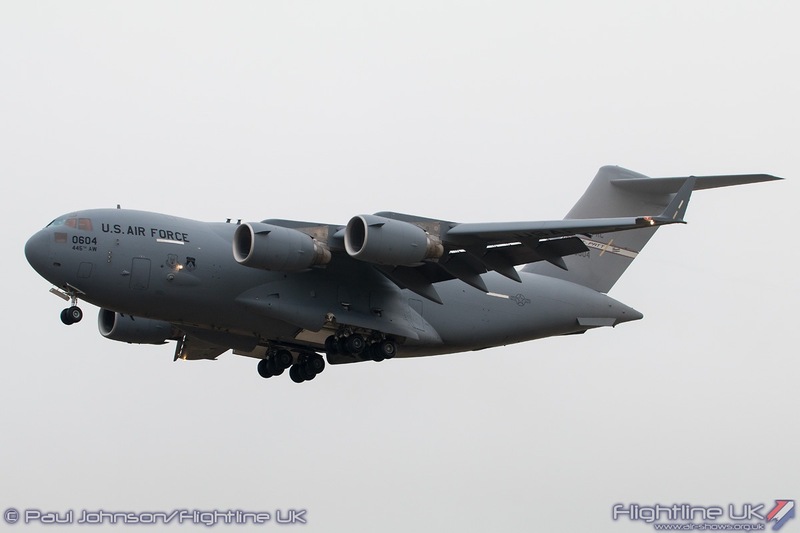 A further four aircraft also made the trip from the continental United States (CONUS). 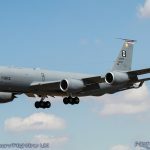 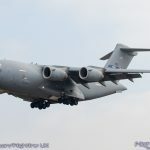 The 315th Airlift Wing from Charleston made a welcome return with a C-17A Globemaster III while the 78th Aerial Refuelling Squadron from McGuire AFB brought a McDonnell Douglas KC-10A Extender in support of the Heritage Flight Team. 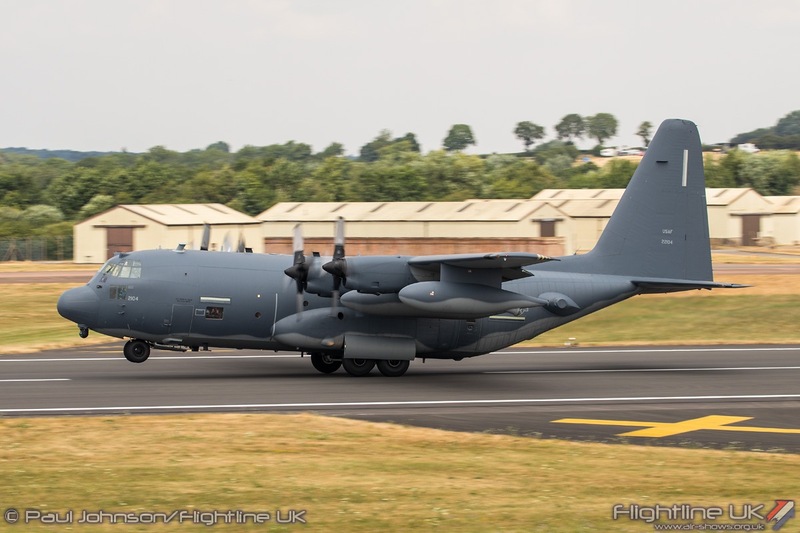 A pair of CONUS based USAF Reserve Command aircraft also made the trip over the Atlantic. 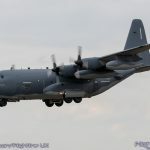 Flying over under its own steam was a Lockheed HC-130P Combat King. 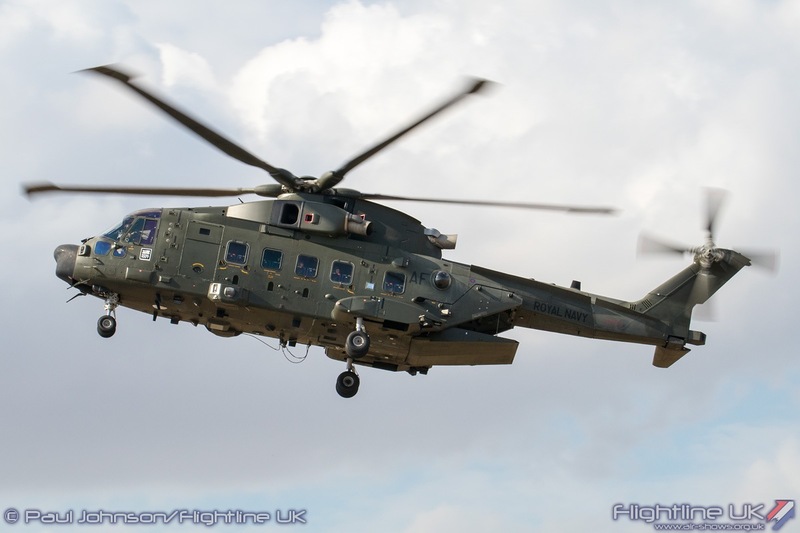 The King is used to rapidly deploy to forward operating bases in support of combat search and rescue operations. 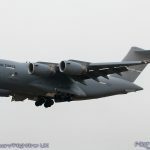 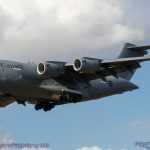 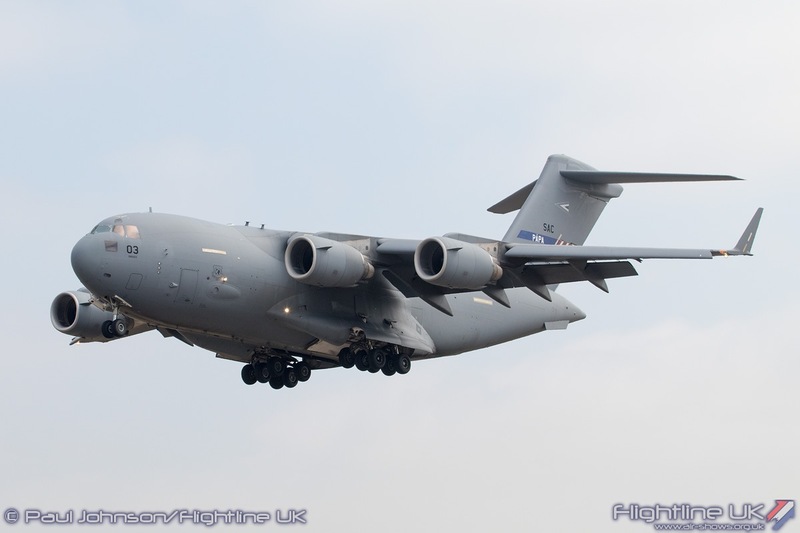 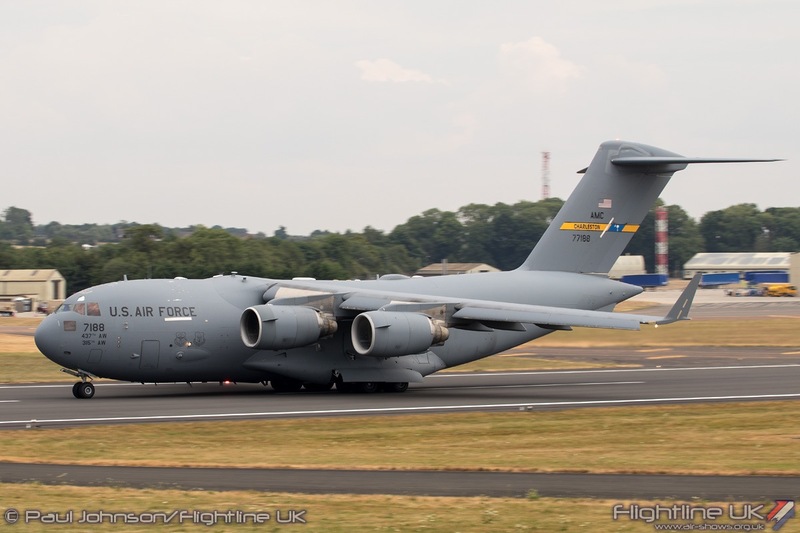 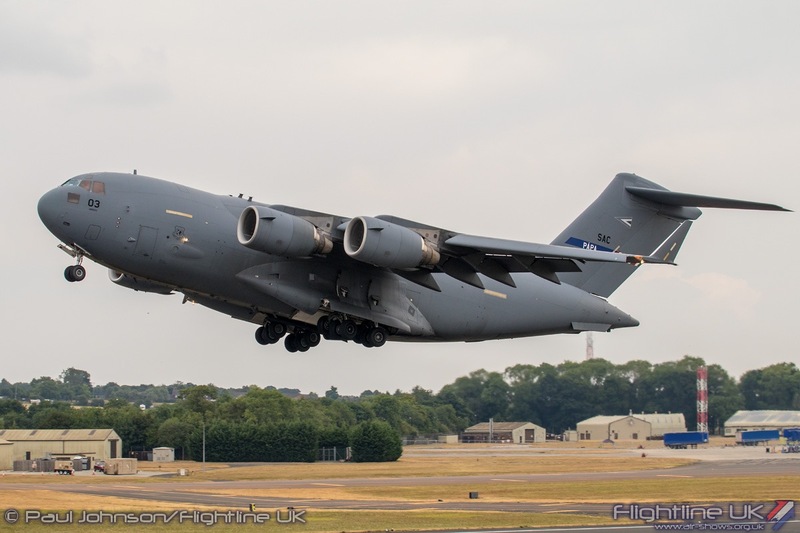 The other reserve command aircraft arrived early on Wednesday in the hold of a supporting C-17 from Travis AFB. 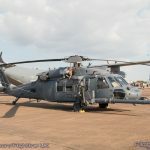 This was a Sikorsky HH-60G Pave Hawk from the 305th Rescue Squadron, part of the 920 Rescue Wing based at Davis Mothan AFB, Arizona. 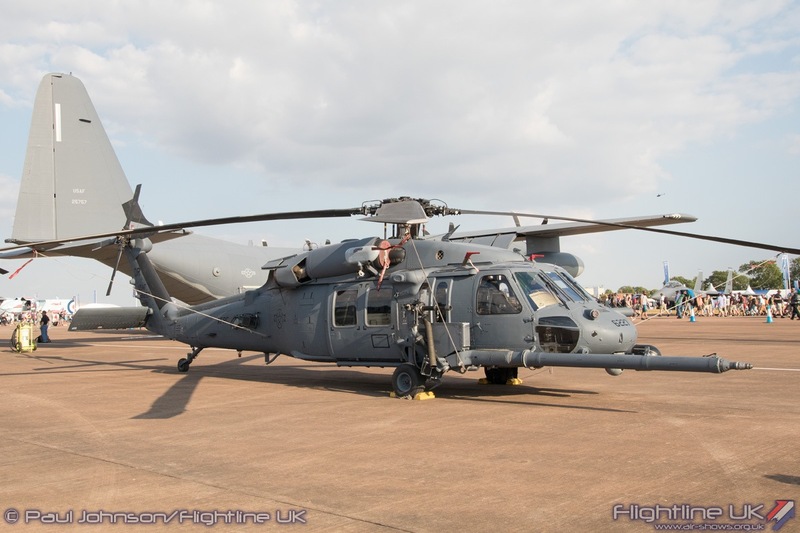 Like the Combat King, the Pave Hawk is used for Combat Search and Rescue operations and is capable of flying long distances thanks to the ability to refuel in the air. 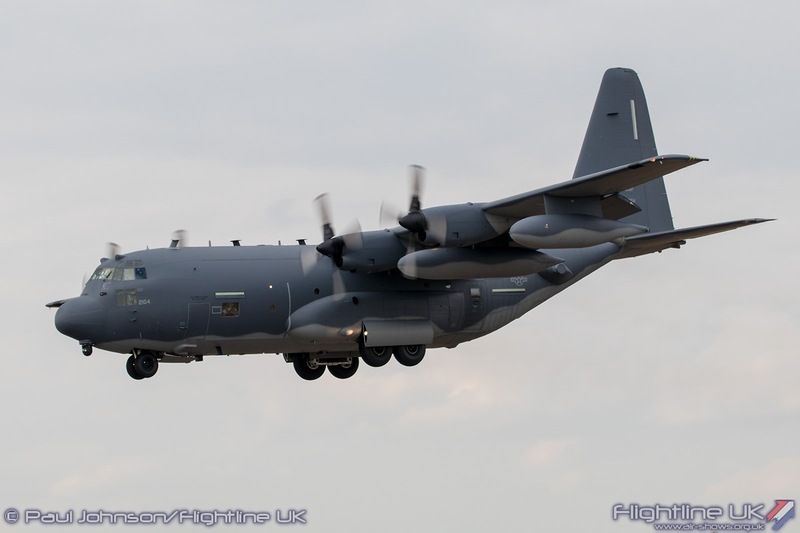 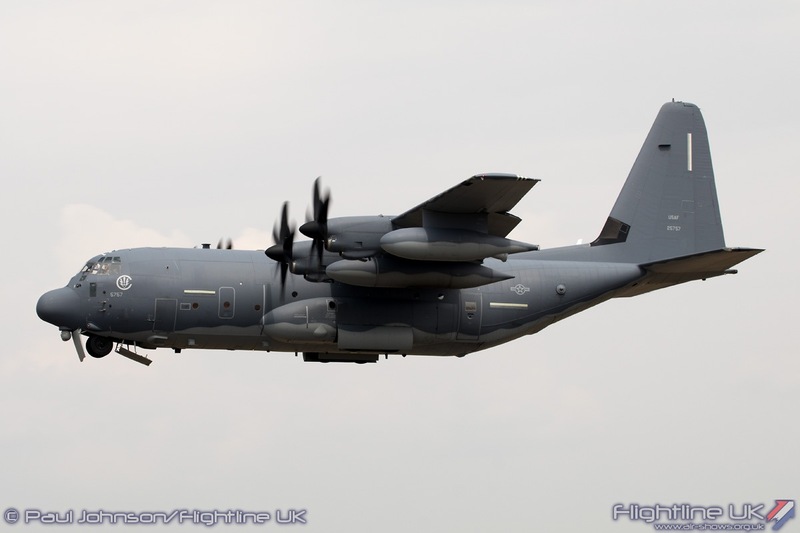 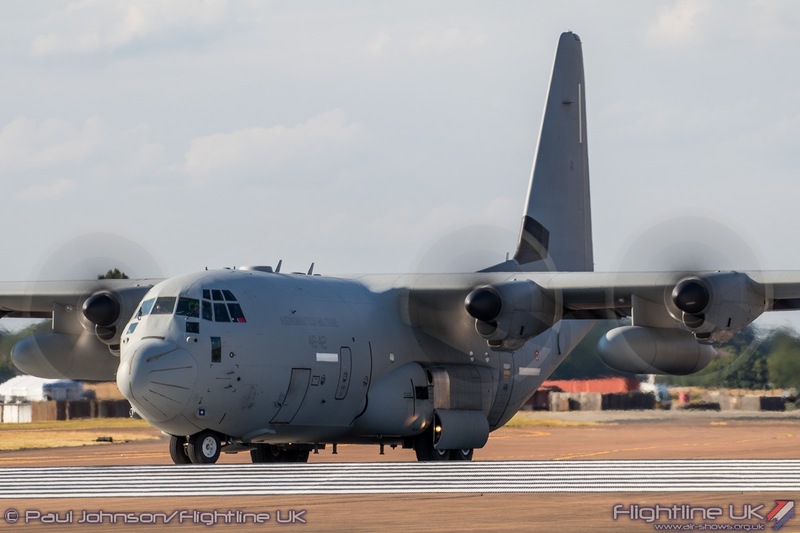 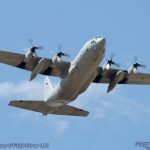 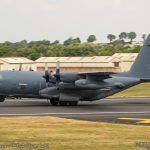 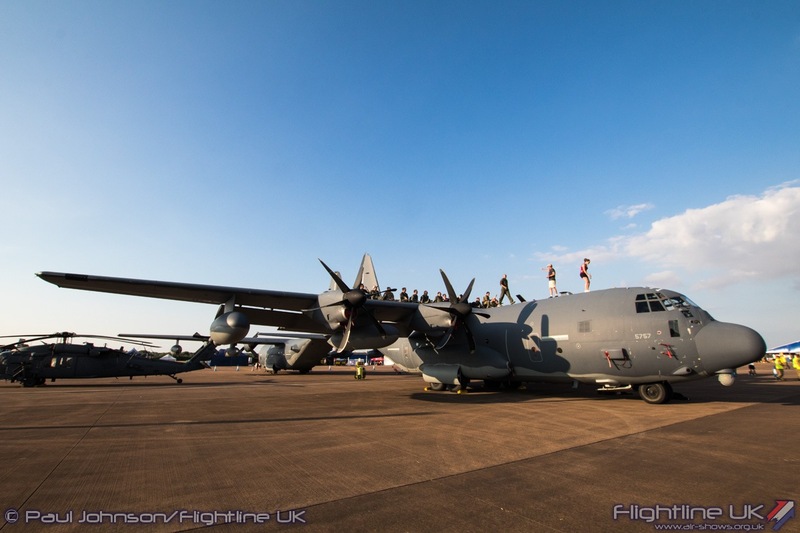 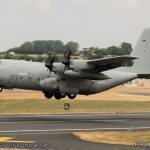 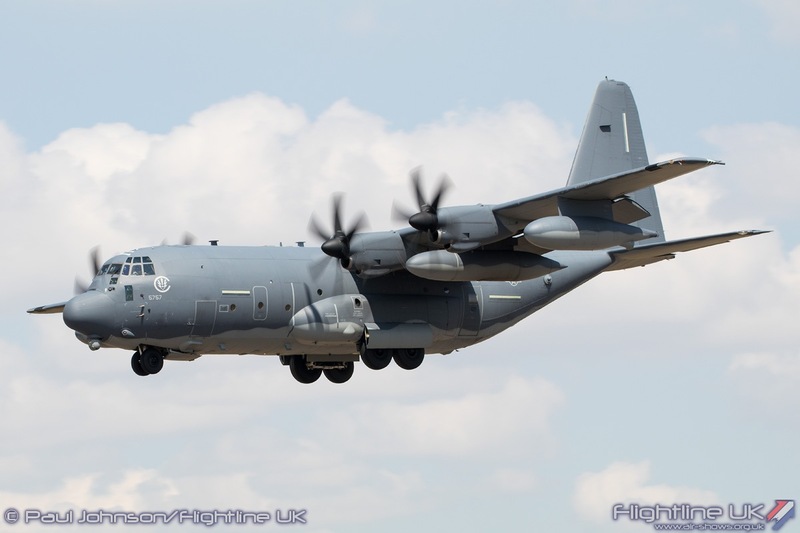 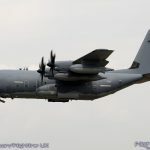 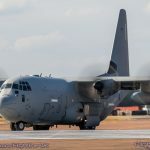 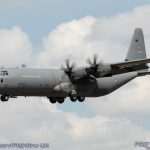 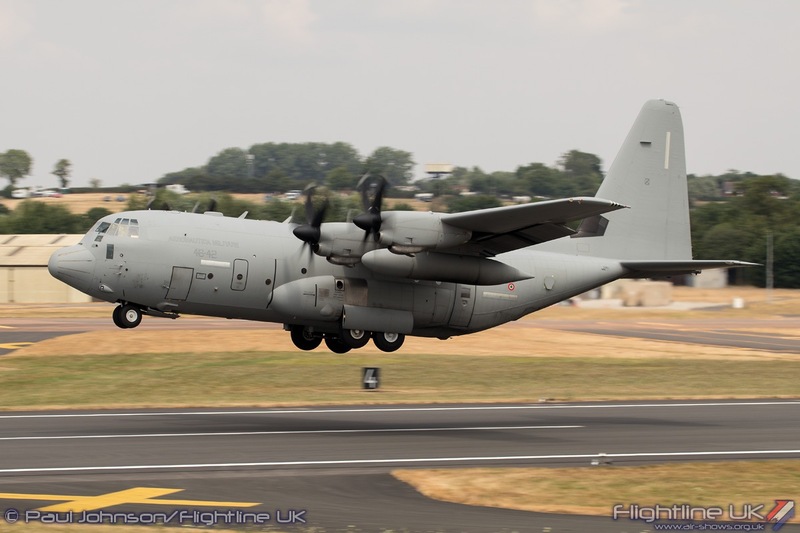 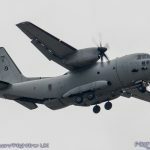 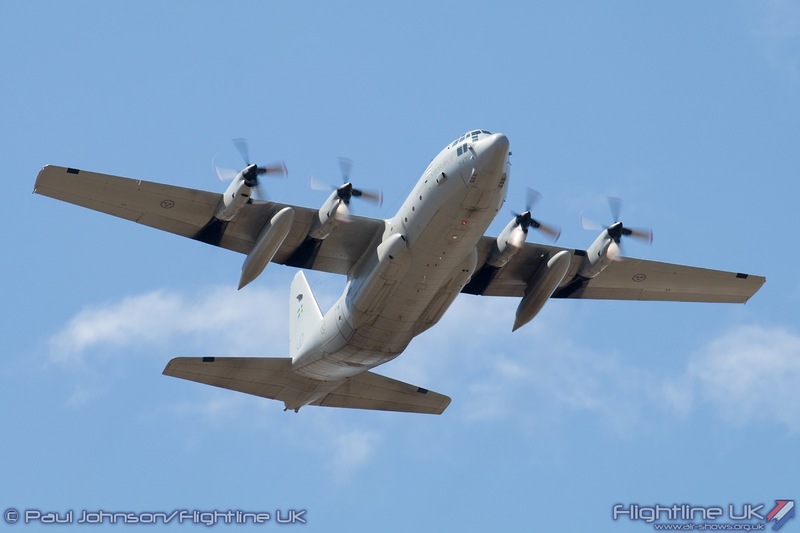 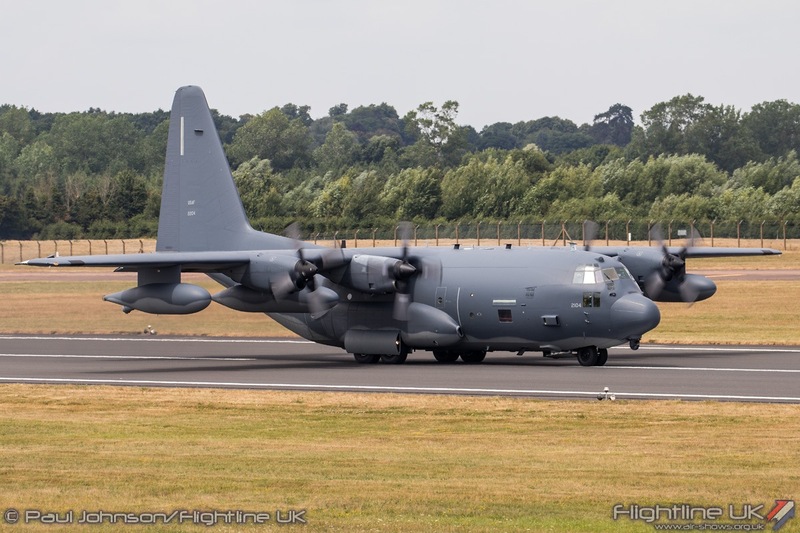 Both the HC-130P and HH-60G were displayed alongside European based USAF Special Operation Command aircraft in the form of the Lockheed Martin MC-130J Commando II and Bell/Boeing CV-22B Osprey both from RAF Mildenhall. 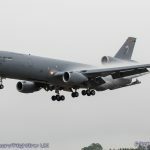 The United States Air Forces in Europe were represented in the static displays by a 100ARW Boeing KC-135R Stratotanker plus McDonnell Douglas F-15C and F-15E Eagles. 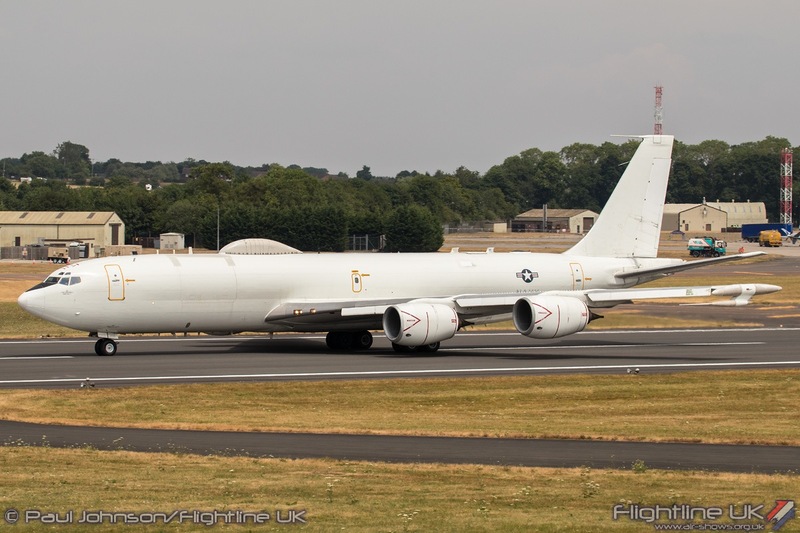 The US Navy were not left out. 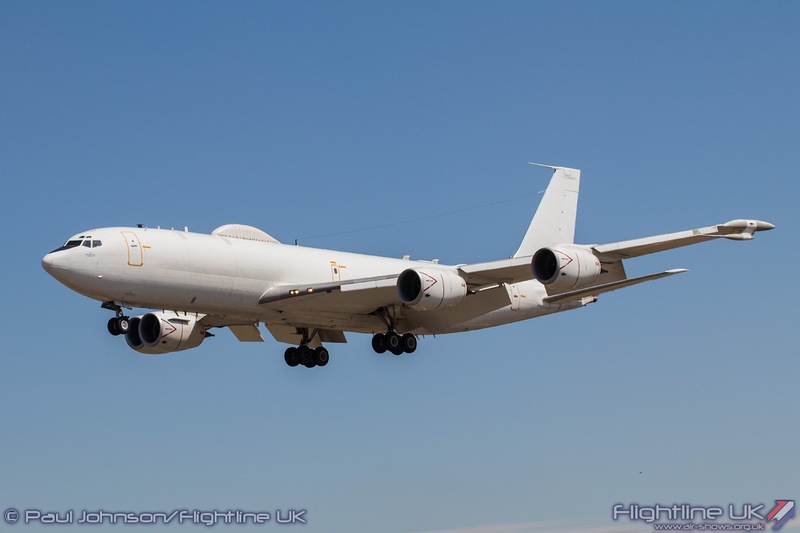 A Boeing P-8A Poseidon from VP-10 was joined by a Boeing E-6B Mercury from VQ-4. 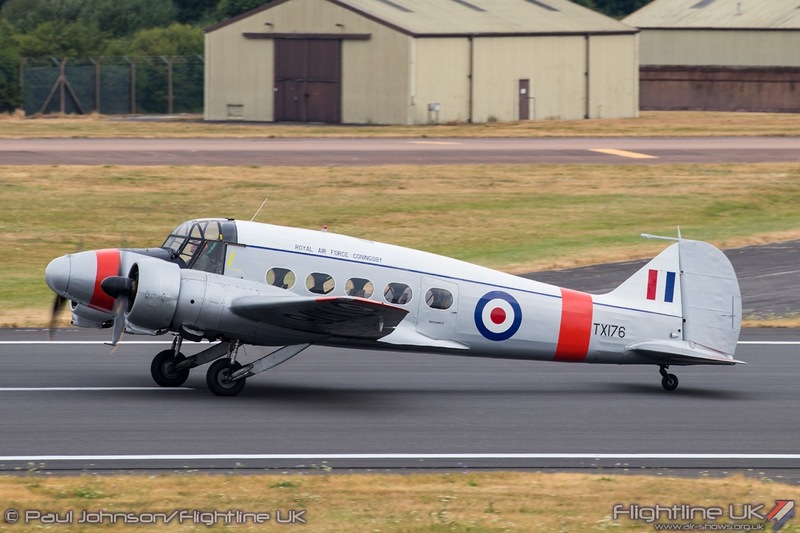 It was a very welcome for the Mercury which was something of a regular in the static display up until 2012. 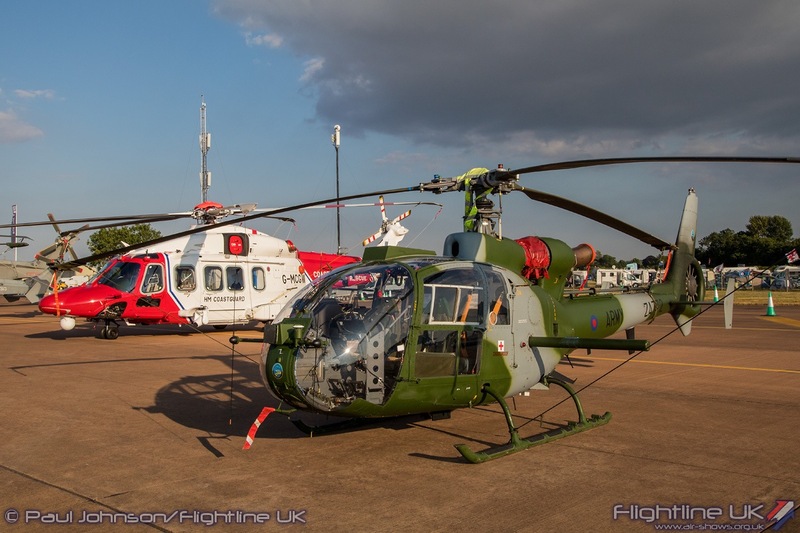 There were a few nostalgic nods to the Air Tattoo’s golden years in the static display. 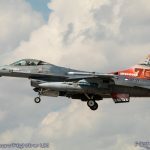 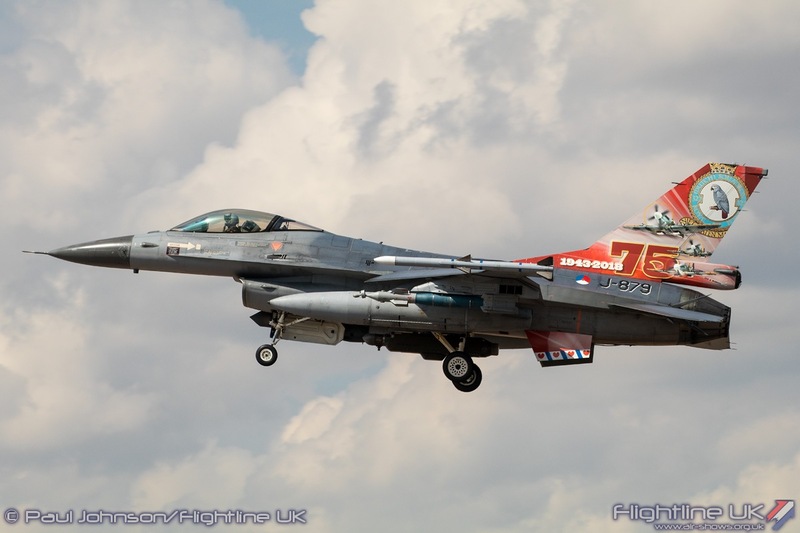 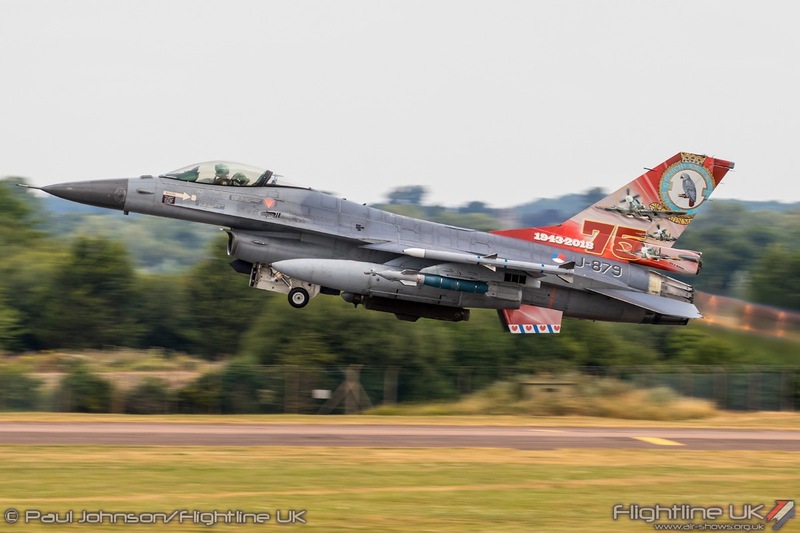 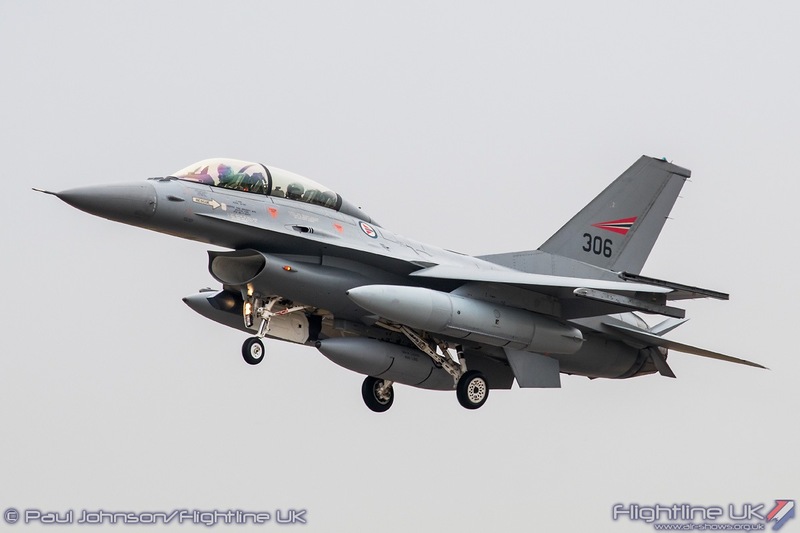 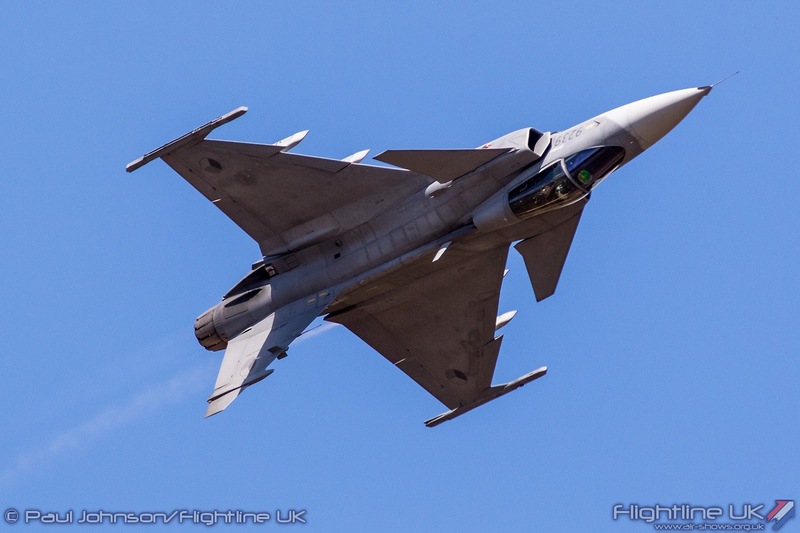 In the western loop there was an impressive line-up of Lockheed Martin F-16s from Norway, Denmark and the Netherlands. 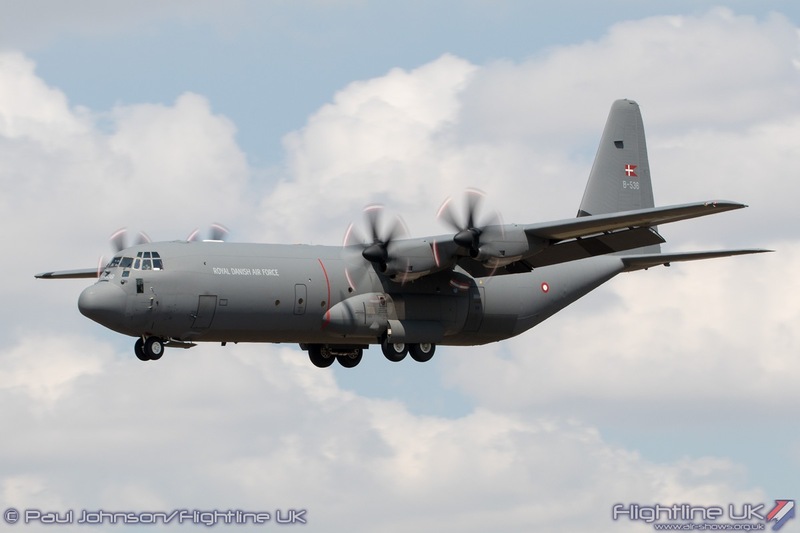 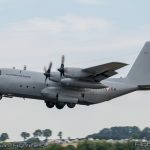 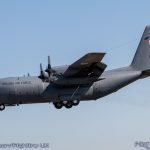 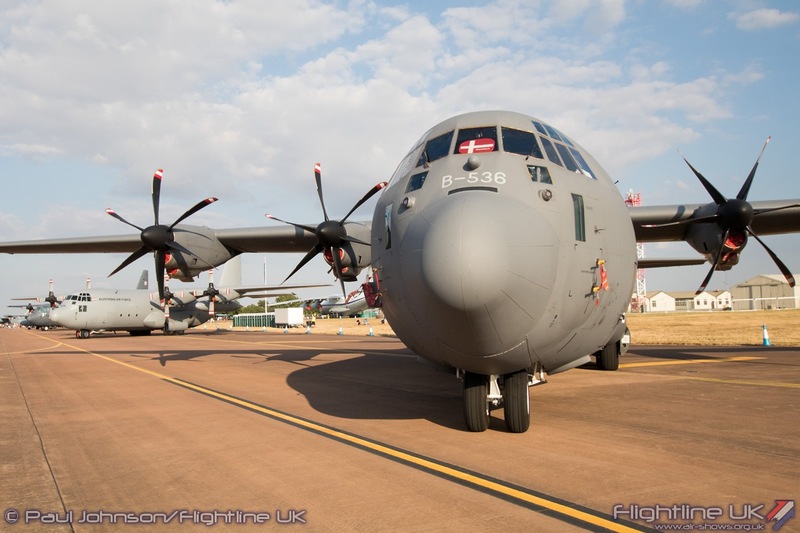 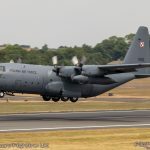 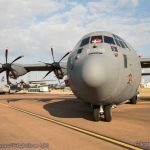 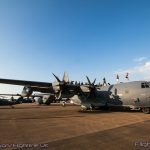 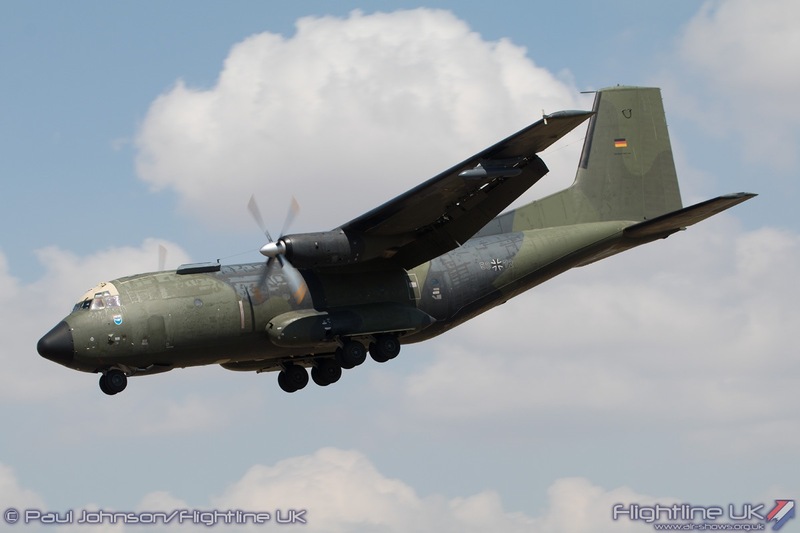 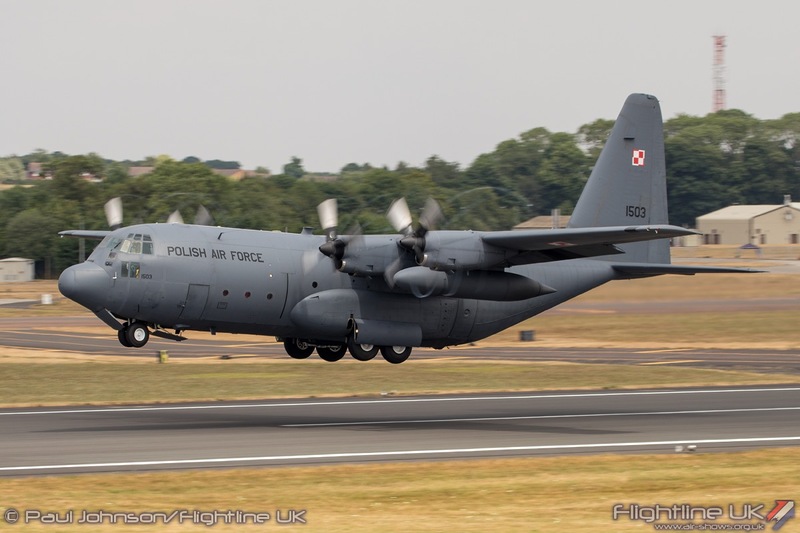 There were also multiple examples of the C–130 Hercules in the static display with Austrian, Danish, Jordanian, Oman and Polish examples on display. 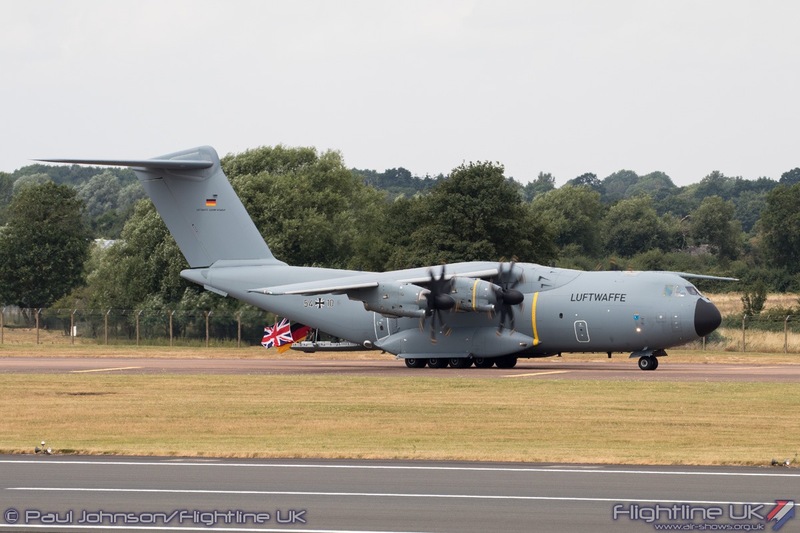 Joining the C-130’s were all manner of other airlifters with a Luftwaffe AirbusDS A400M, a Strategic Airlift Capability C-17A Globemaster marking SAC’s UK debut plus C-27J Spartans from Italy, Lithuania and Slovakia (The latter also making the types debut in Slovakian service). 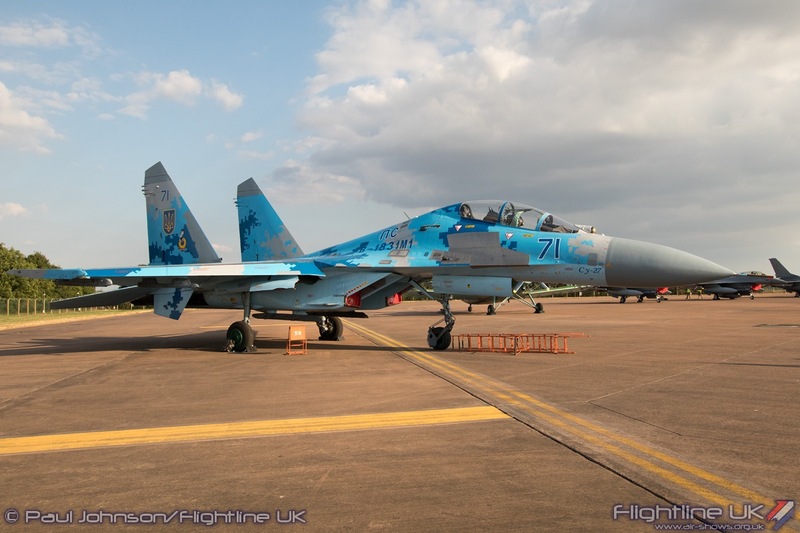 The collection of Eastern European hardware on static display was quite small this year. 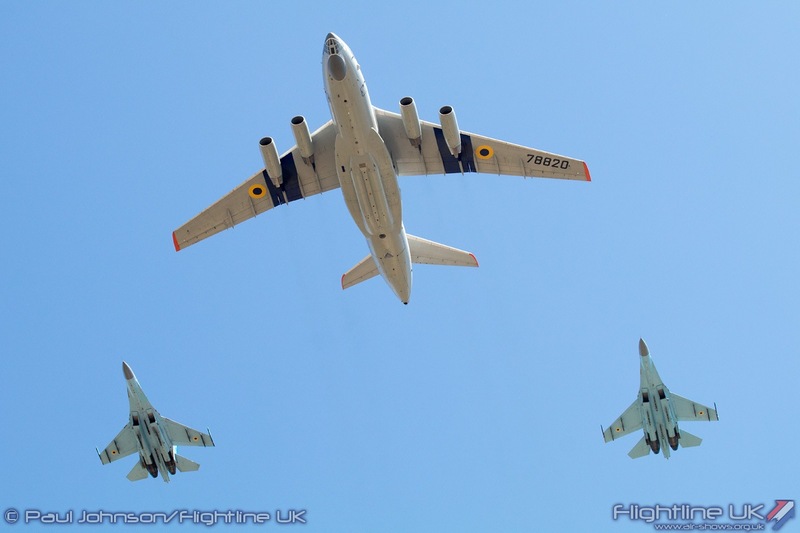 Once again the Ukrainian Air Force dominated with their Illyushin Il-76MD and Sukhoi Su-27UB Flanker-C standing over other participants. 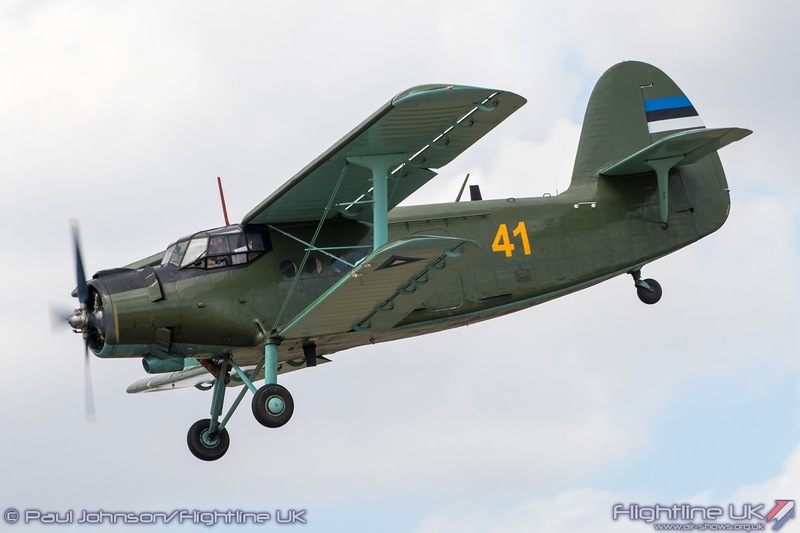 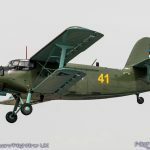 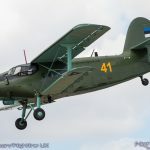 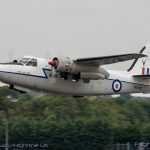 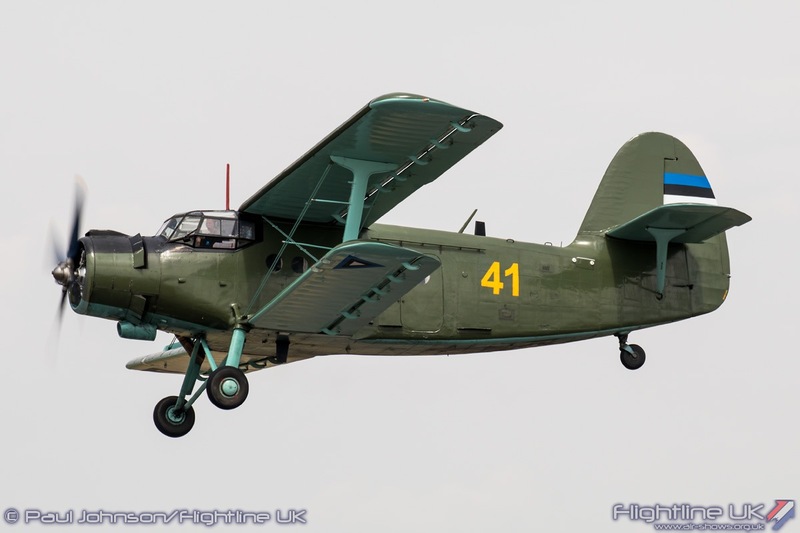 It was also good to see the Estonian Air Force return to the Air Tattoo with their Antonov An-2 transport aircraft. 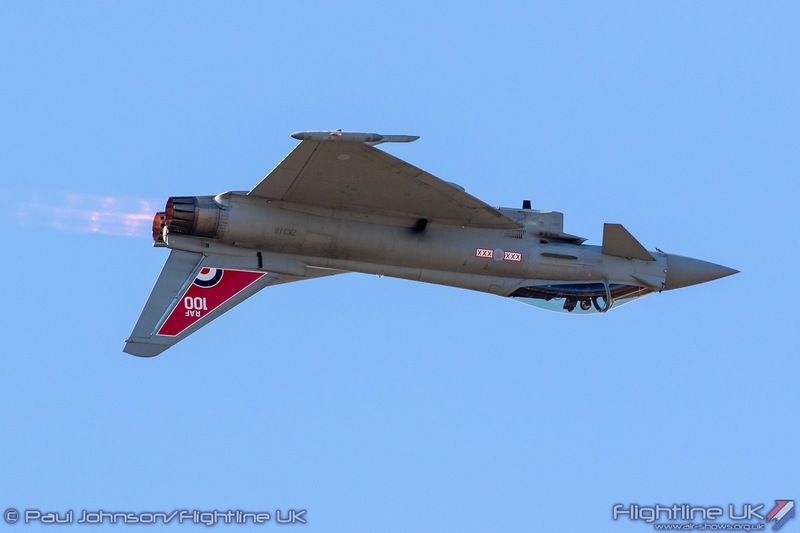 All three show days saw full flying displays with Saturday and Sunday’s displays running over eight and half hours. 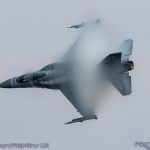 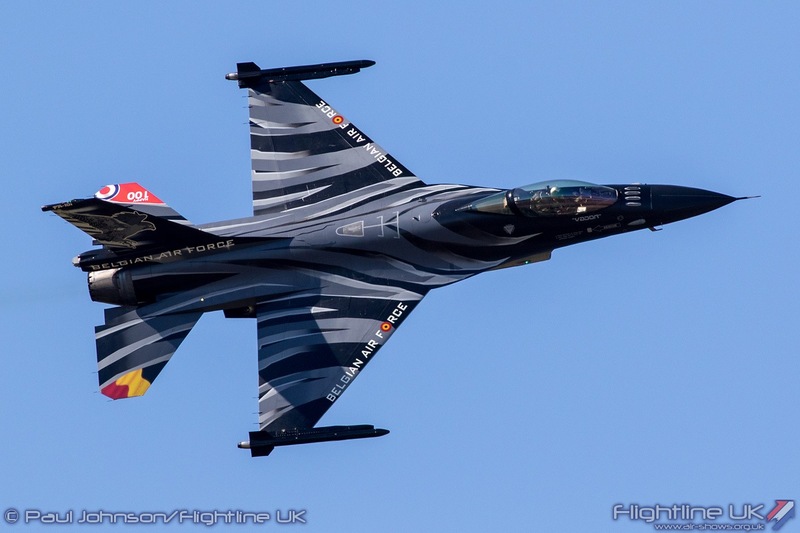 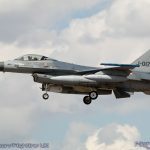 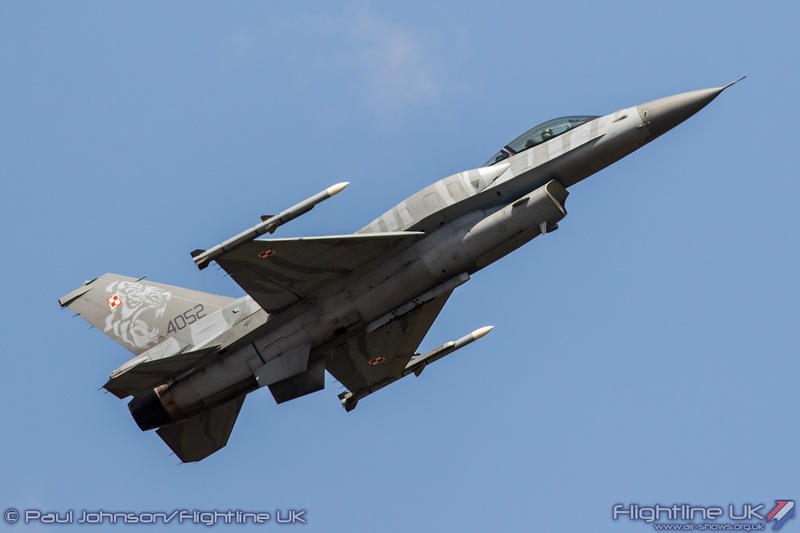 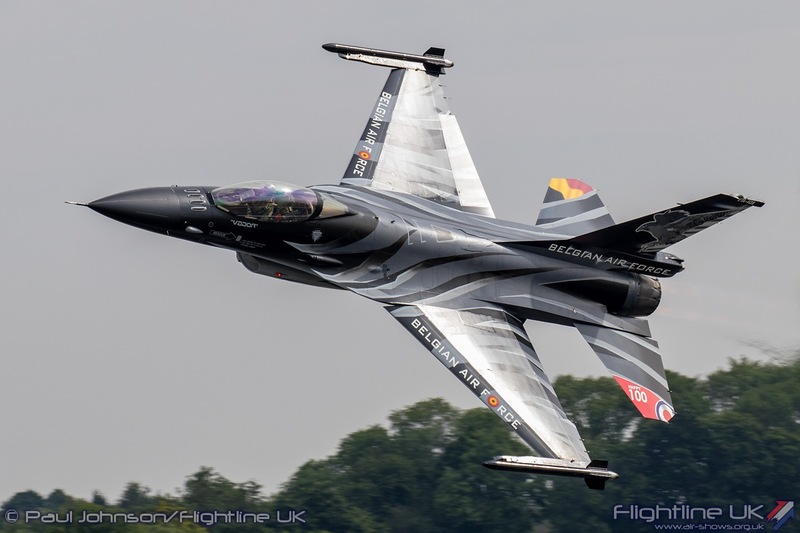 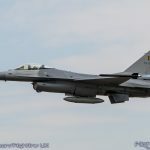 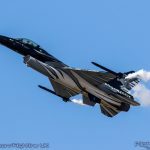 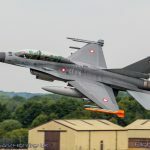 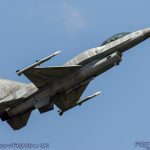 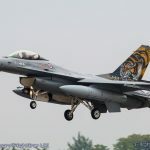 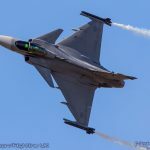 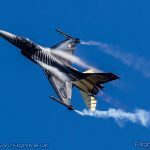 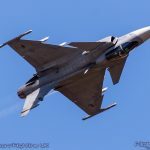 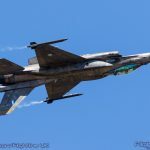 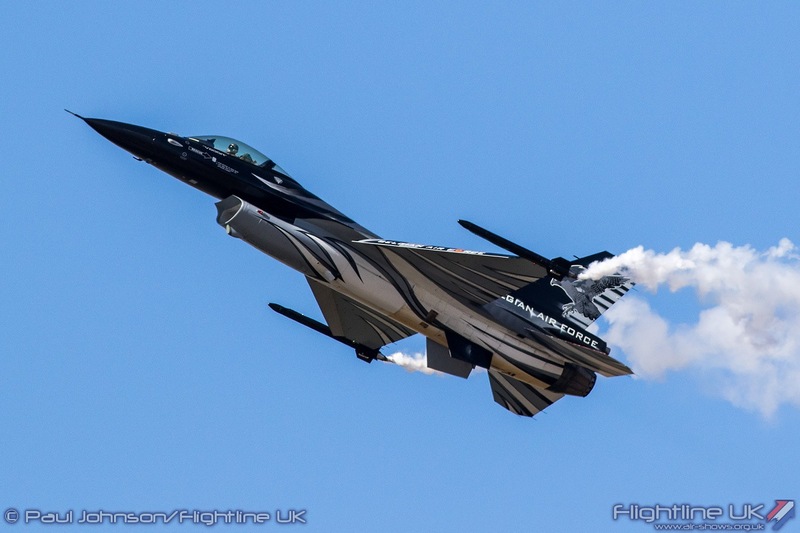 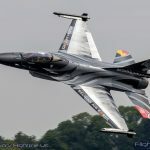 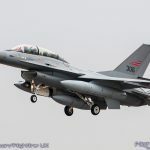 RIAT attracted more displays it could sensibly fit into each day flying display so each day featured slightly differing line-up of fast jets, particularly the F-16 displays. 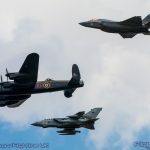 Friday was billed as a very special day in the RAF100 calendar. 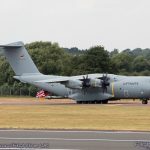 Though for much of the public it may have appeared to be a normal RIAT day, it was also the day of the Royal Review and Parade. 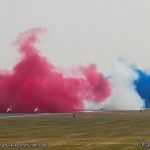 A special parade ground was situated near the centre of the airfield for a display by the Queen’s Colour Squadron and other RAF personnel to honour the new colours bestowed to the Royal Air Force earlier in the week at a service in London. 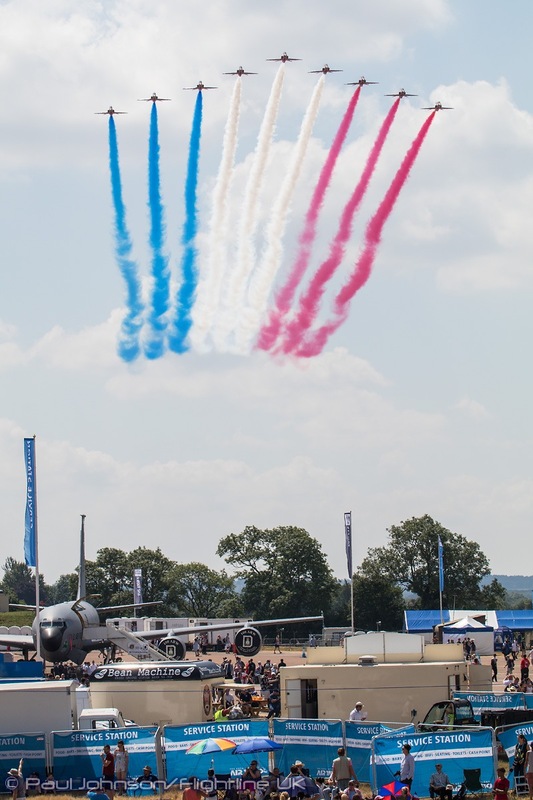 Following on from the parade, a Royal Review took place, where HRH Prince Michael of Kent viewed the international line-up of static aircraft. 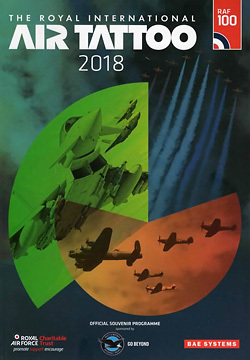 HRH the Duke of Kent reviewed the RAF and Commonwealth aircraft and also met veterans in the Vintage Village, whilst The Rt Hon Tobias Ellwood MP, the Veterans’ Minister, toured the RAF Experience and the Techno Zone. 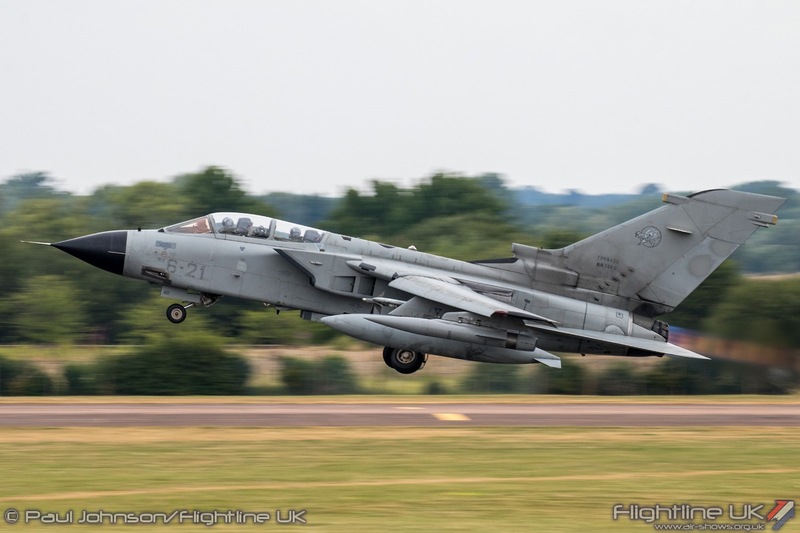 Sadly, as mentioned earlier Friday saw an unusual blip in the generally good weather with a line of thundery showers forming in the western UK. 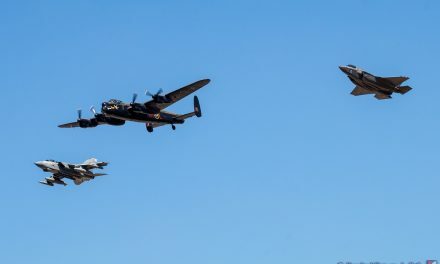 This led to the bitterly disappointing cancellation of the flypast which would have been the highlight of the day for many gathered along the crowdline. 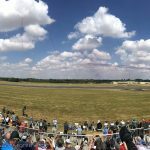 As a result for many and through no fault of the organisers, Friday felt rather ordinary and didn’t feel anyway near as spectacular as the two weekend days. 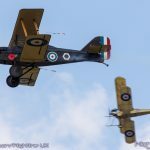 Surprisingly, there was only two contributions from civilian operated historic operators in the flying display to help mark RAF100. 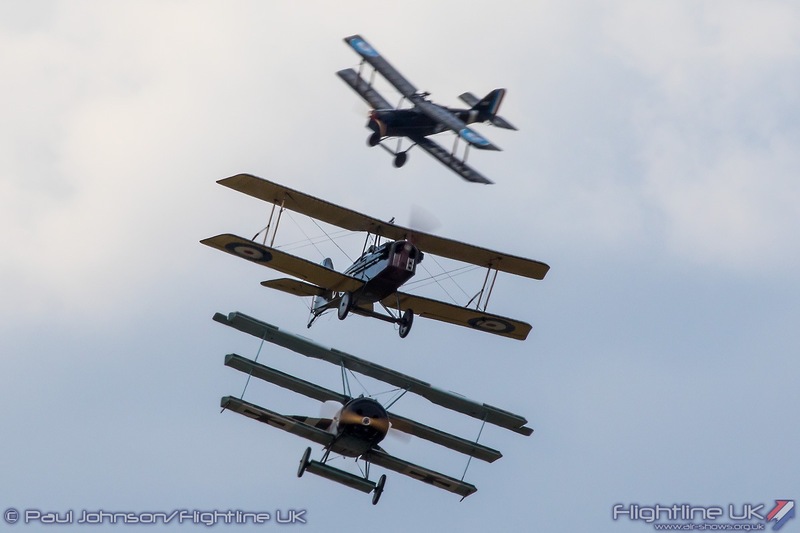 The genesis of the Royal Air Force was marked by the Great War Display Team appropriately operating from nearby RFC Rendcomb near Cirencester. 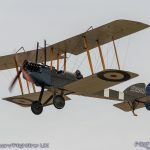 They gave an insight into the bitter air war which was fought by the Royal Naval Air Service and Royal Flying Corps over Europe during the First World War and ultimately led to the formation of the RAF. 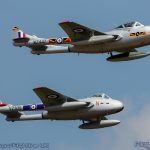 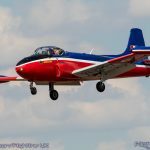 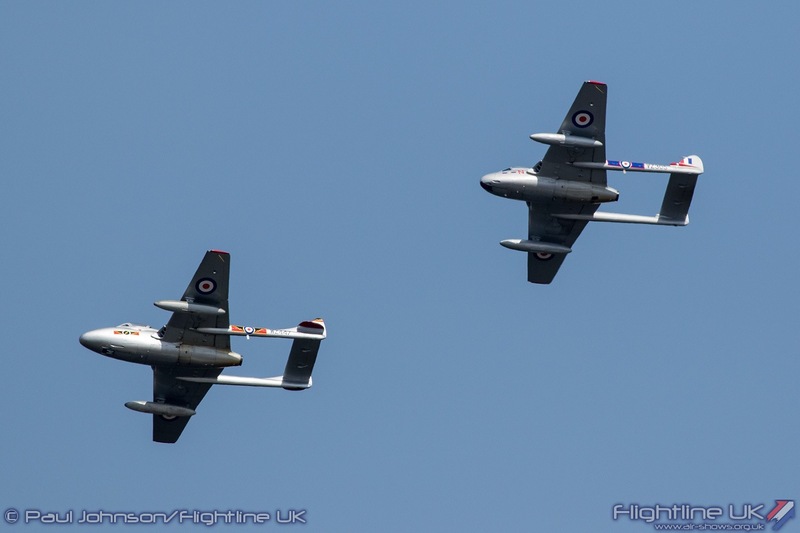 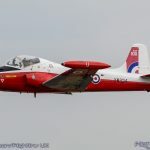 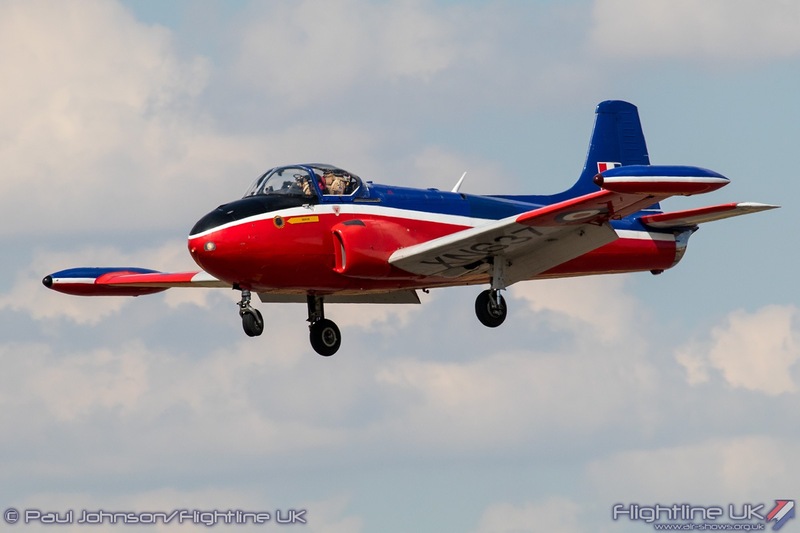 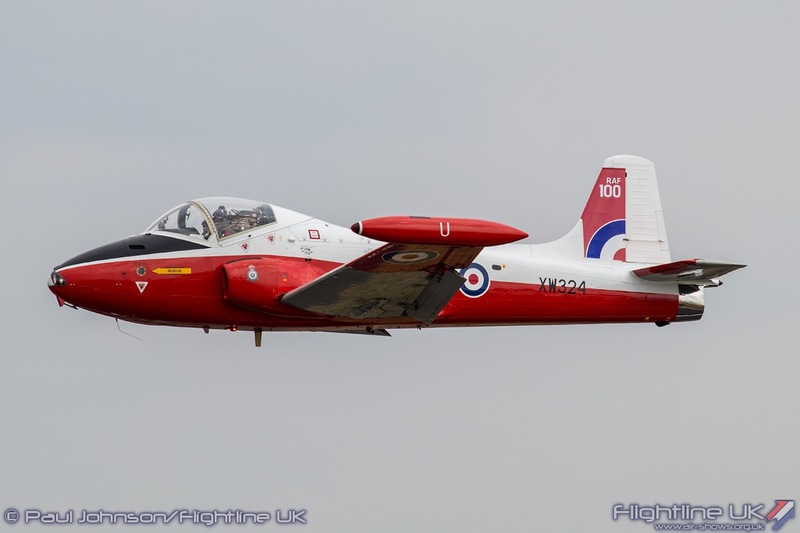 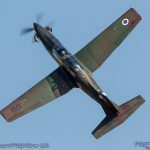 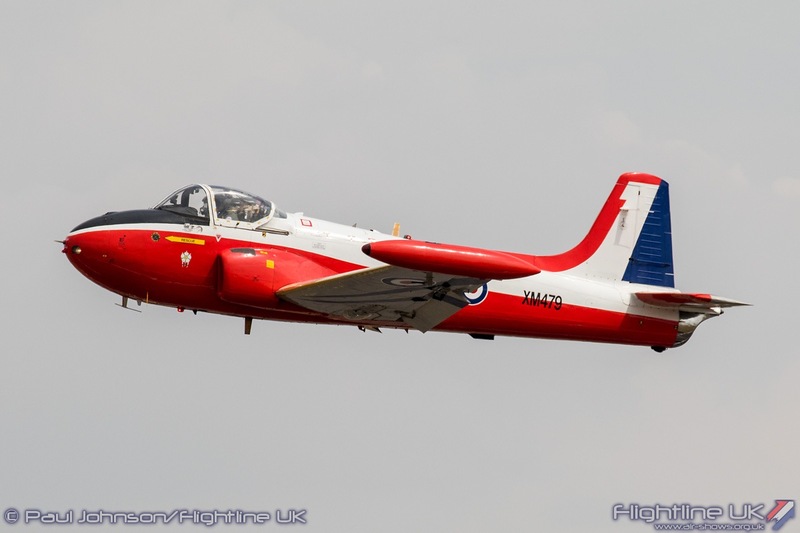 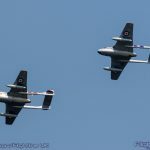 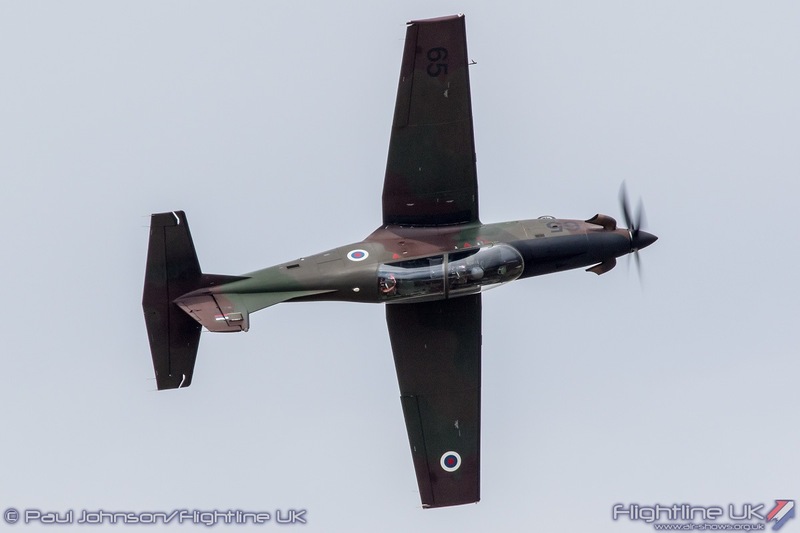 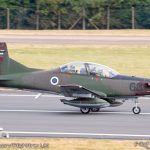 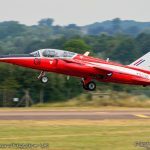 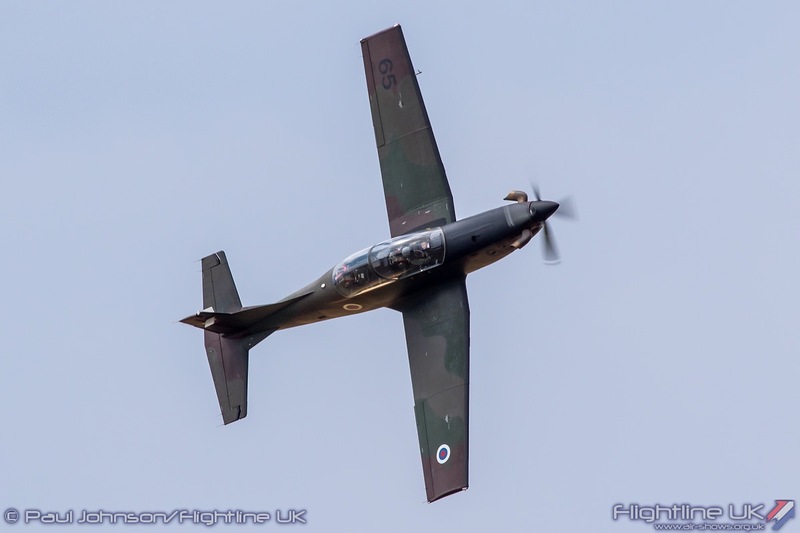 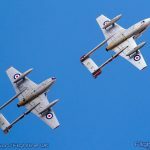 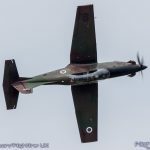 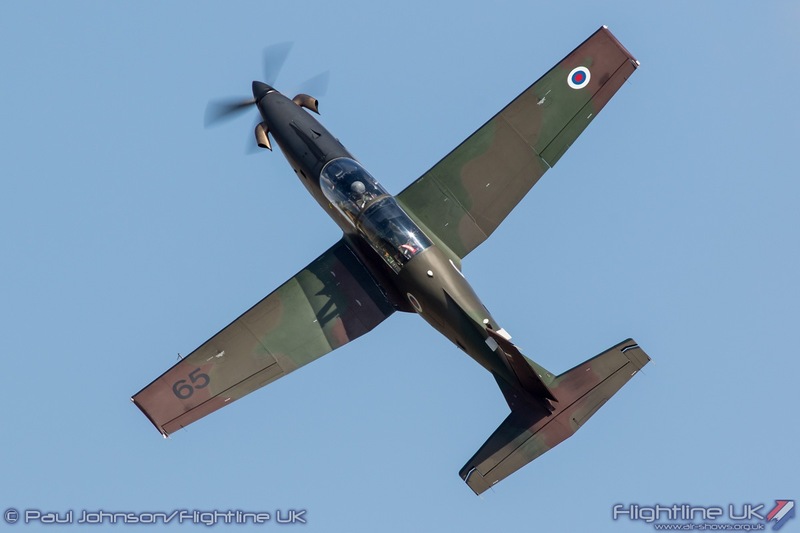 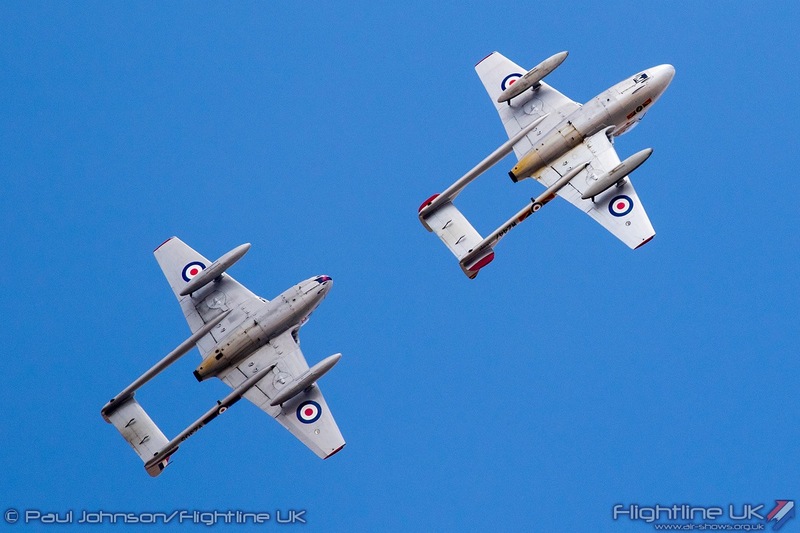 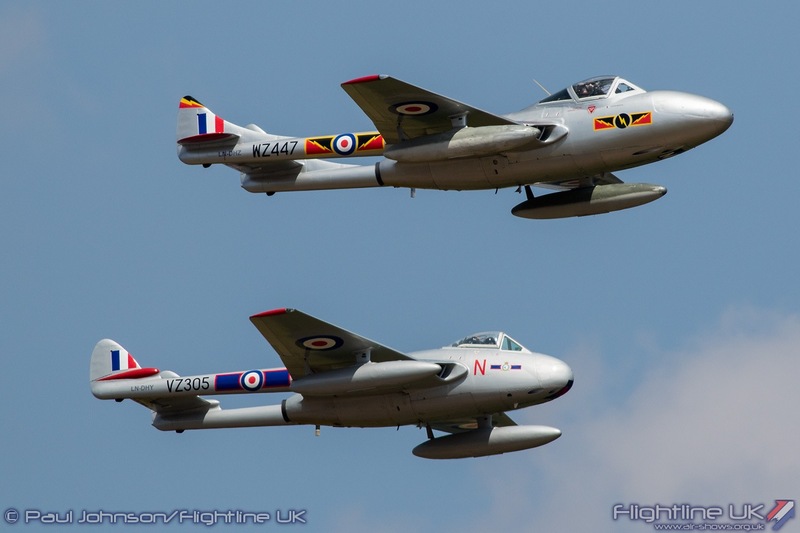 The Norwegian Air Force Historical Squadron have this year given their pairing of de Havilland Vampire FB52 and T55 RAF markings for the 2018 season. 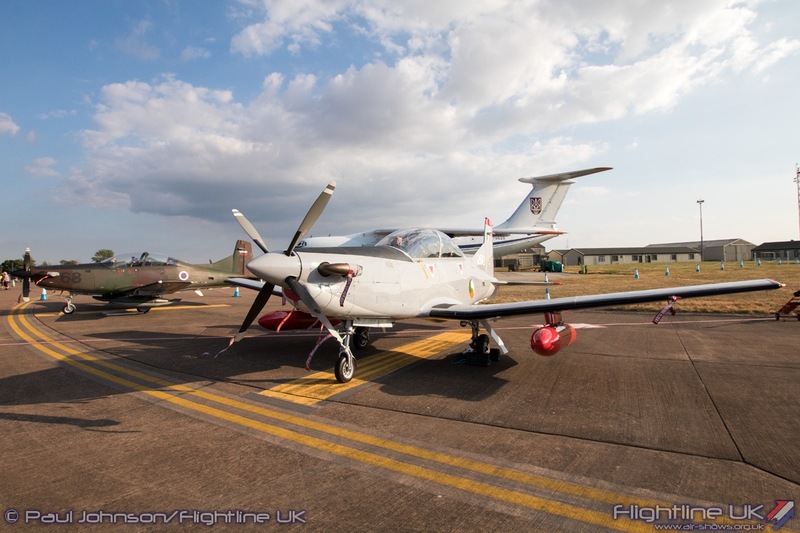 The aircraft represent 72 and IV squadrons respectively and have been a welcome addition to RAF100 celebrations at various airshows. 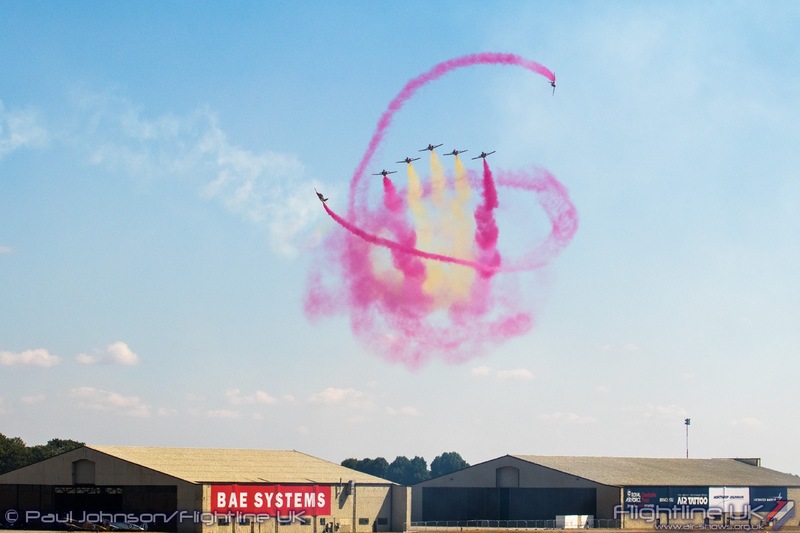 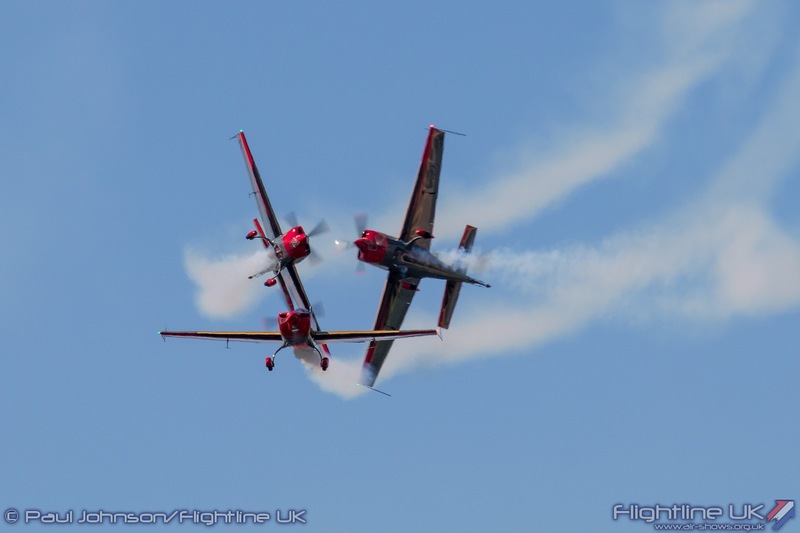 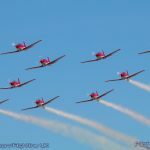 Kenneth Aarkvisla and Jyri Mattila put in a very graceful display of formation aerobatics to mark the RAF’s contribution to Cold War security after the Second World War. 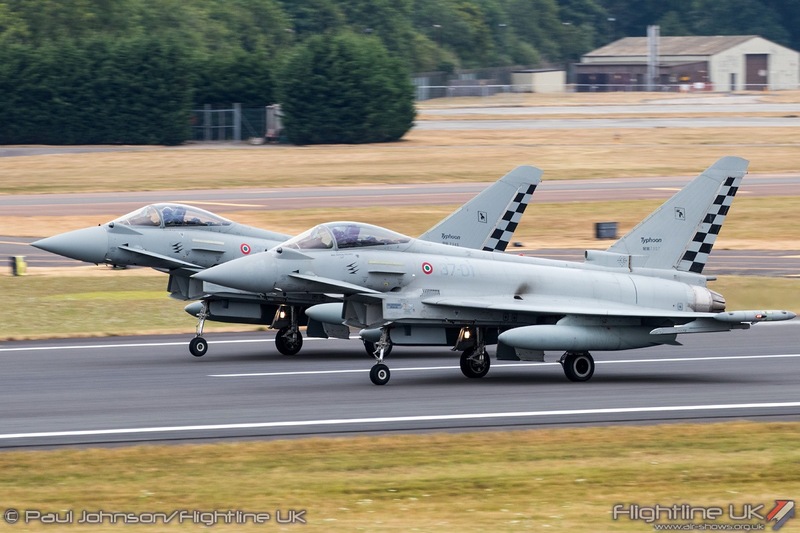 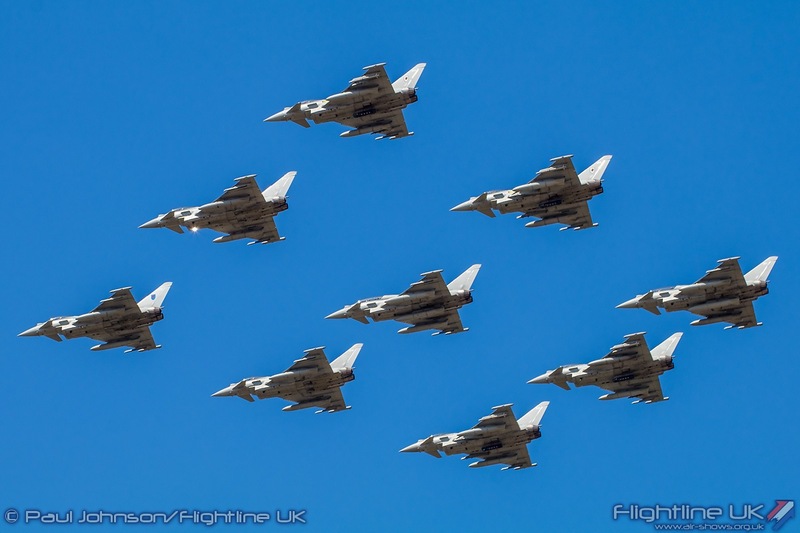 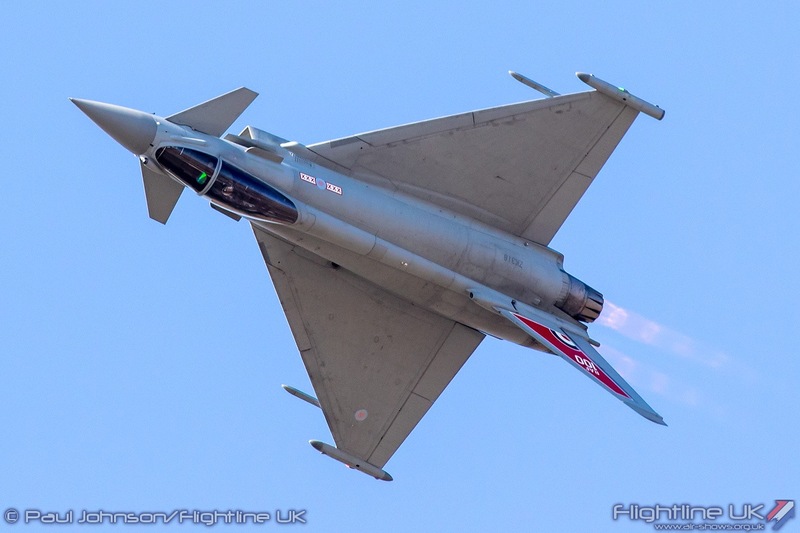 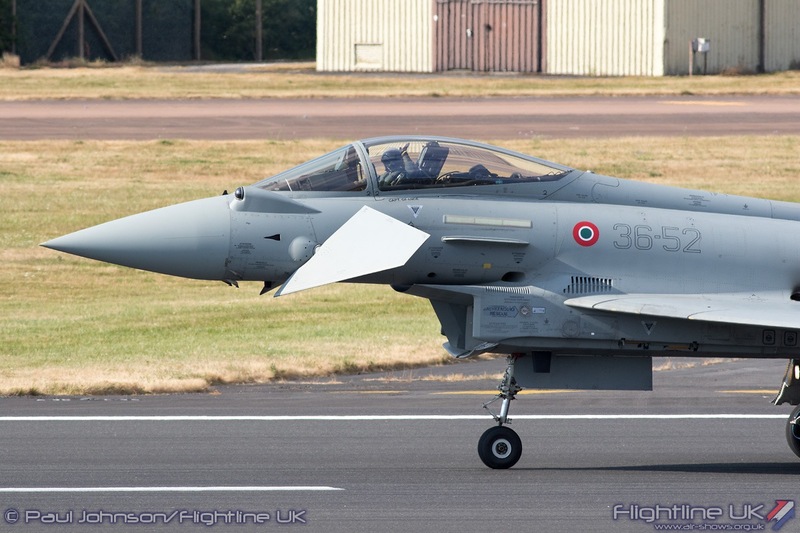 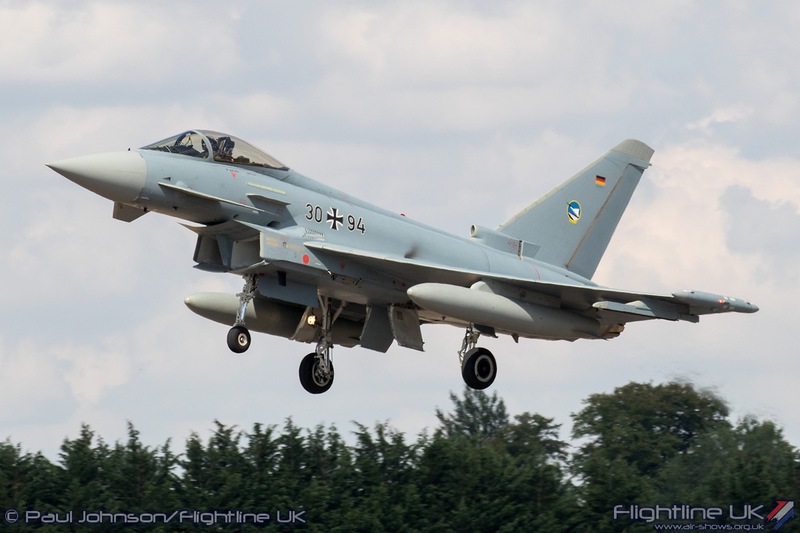 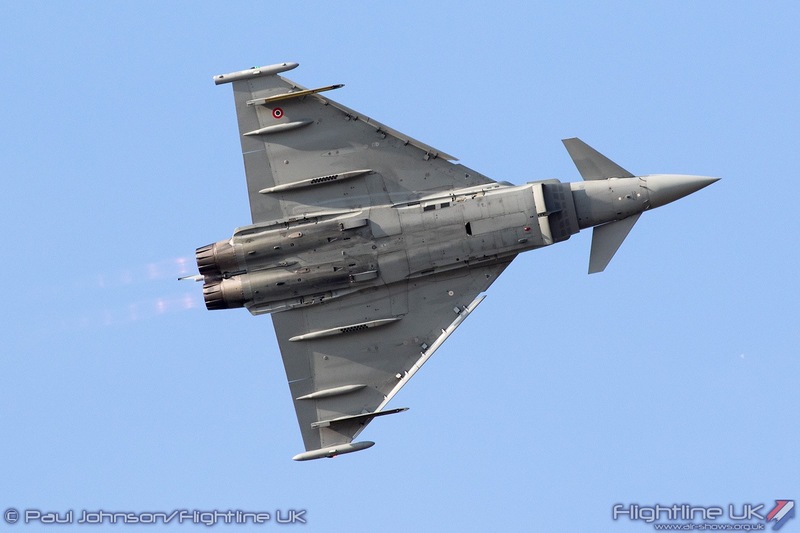 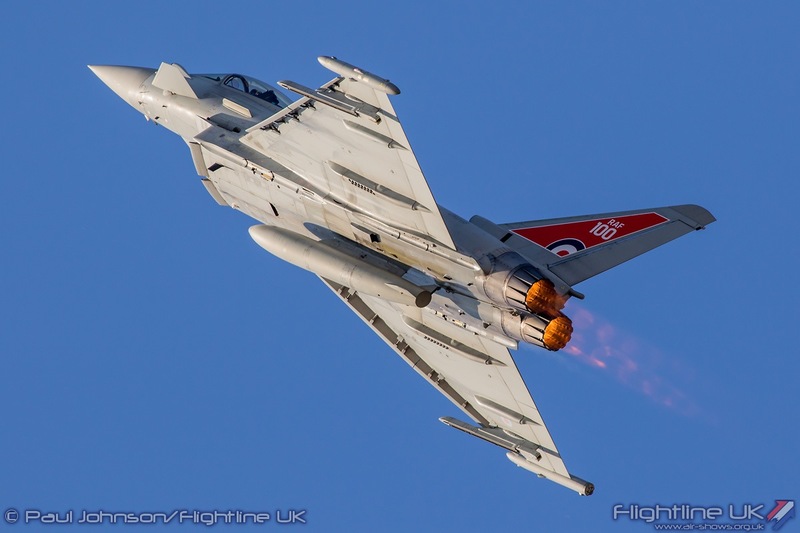 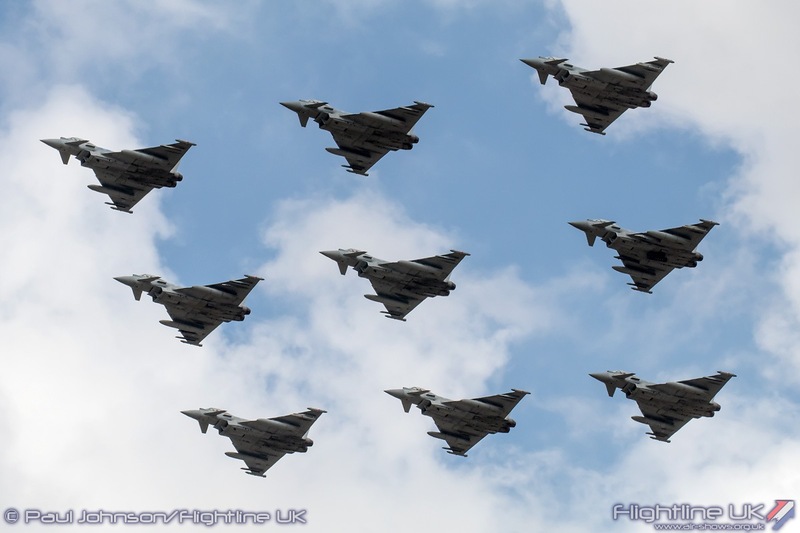 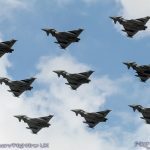 The present day Royal Air Force was marked in the RAF100 set-piece by a diamond-nine formation of Eurofighter Typhoon FGR4s and T3s from various units operating from RAF Coningsby. 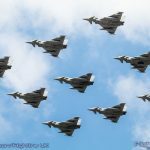 However the high point of the RAF100 display was a sequence which marked one of the service’s most famous squadrons, 617 Squadron. 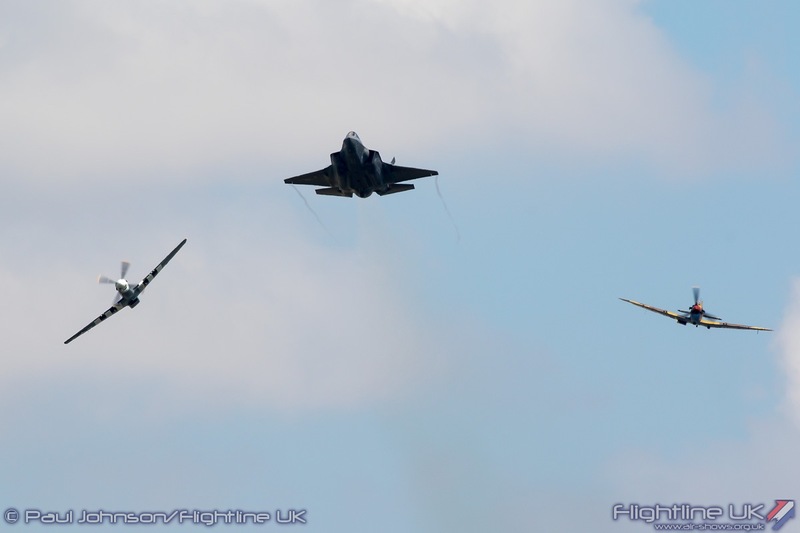 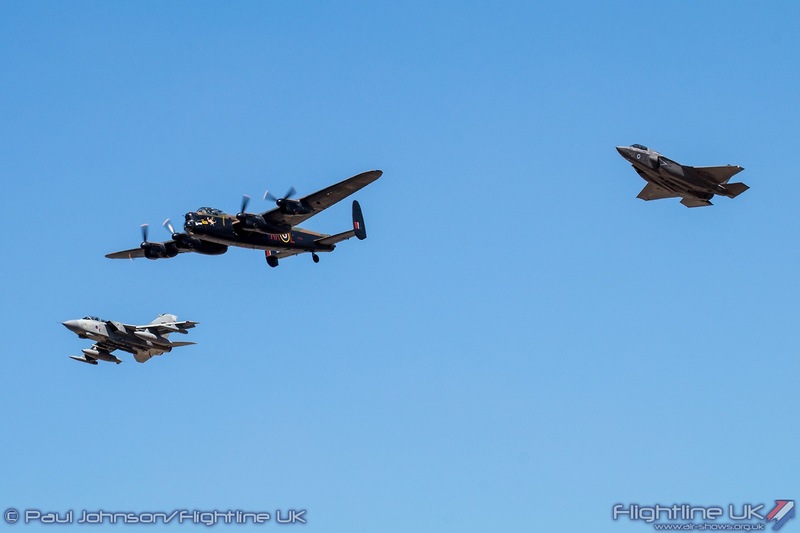 This opened with a very special formation of the BBMF Avro Lancaster B1 leading a Panavia Tornado GR4 and Lockheed Martin F-35B Lightning. 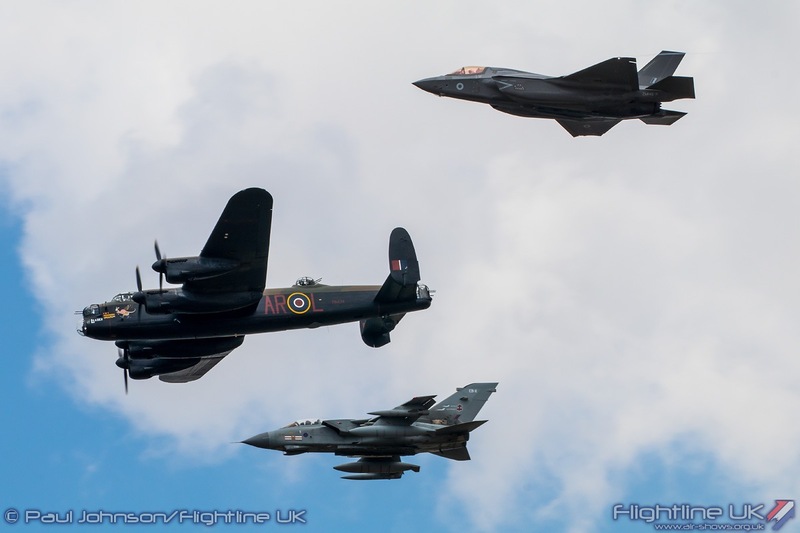 Following their pass with the Lancaster, the two jets returned not only to honour 617 Squadron’s latest incarnation as the lead F-35B Squadron but also mark the imminent retirement of the Panavia Tornado GR4, an aircraft which has been a true workhorse for the RAF in recent operations. 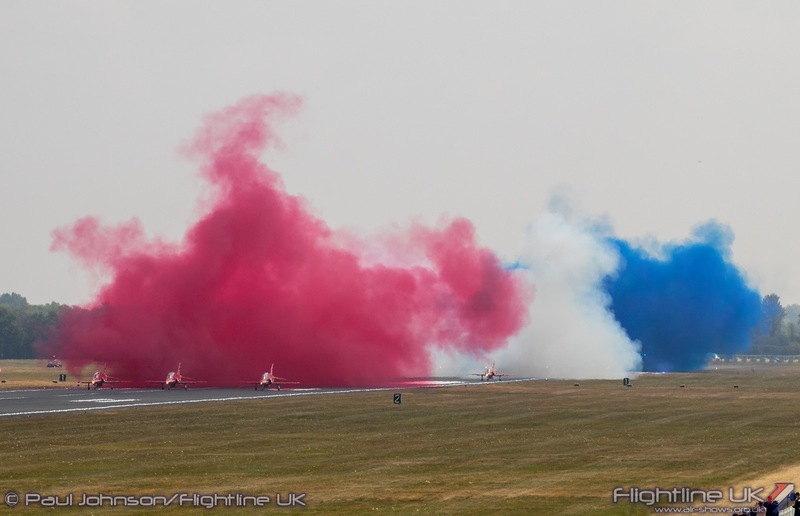 Following a pass with the two jet in line astern formation, the jets split for a final flourish. 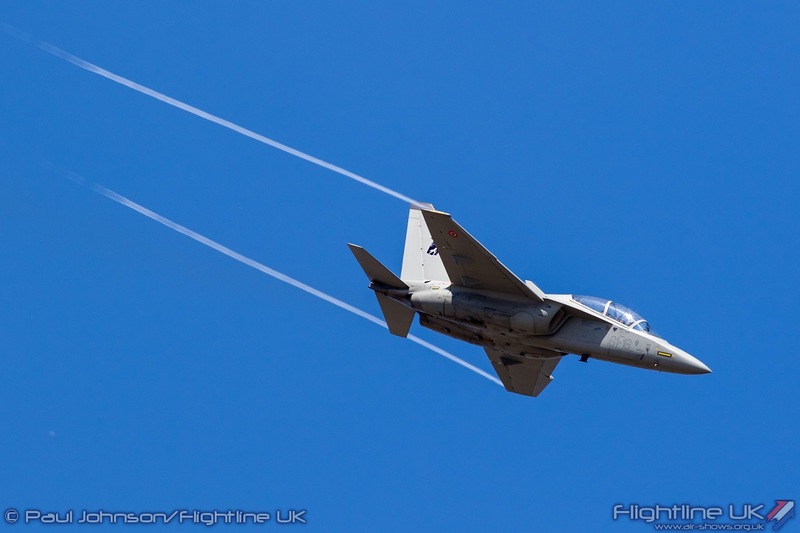 The Tornado bid farewell to the Air Tattoo with a fast pass with wings fully swept back before zoom climb into the clear blue skies. 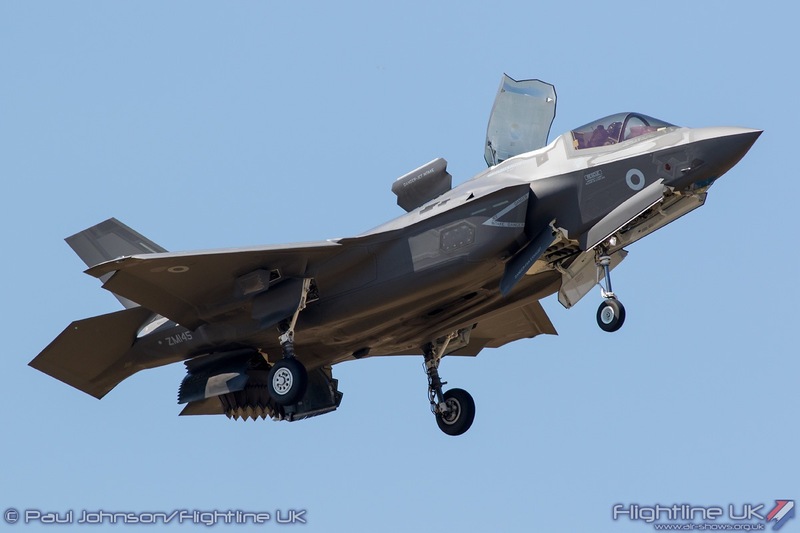 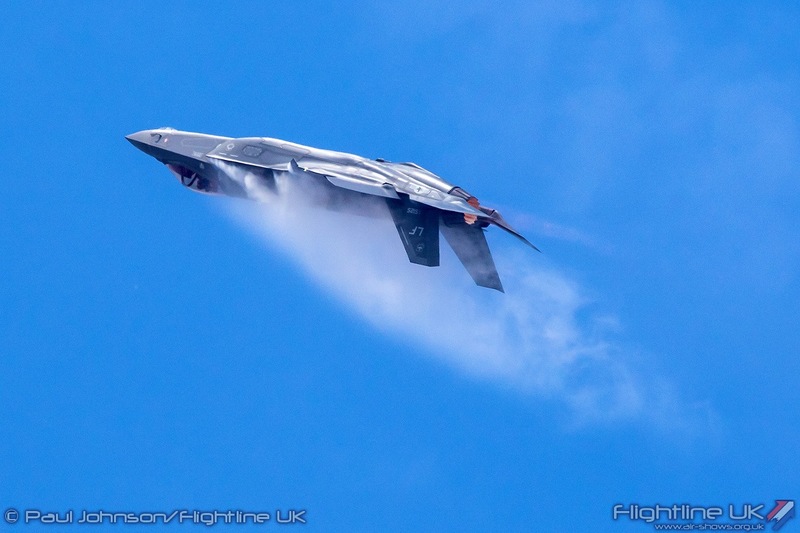 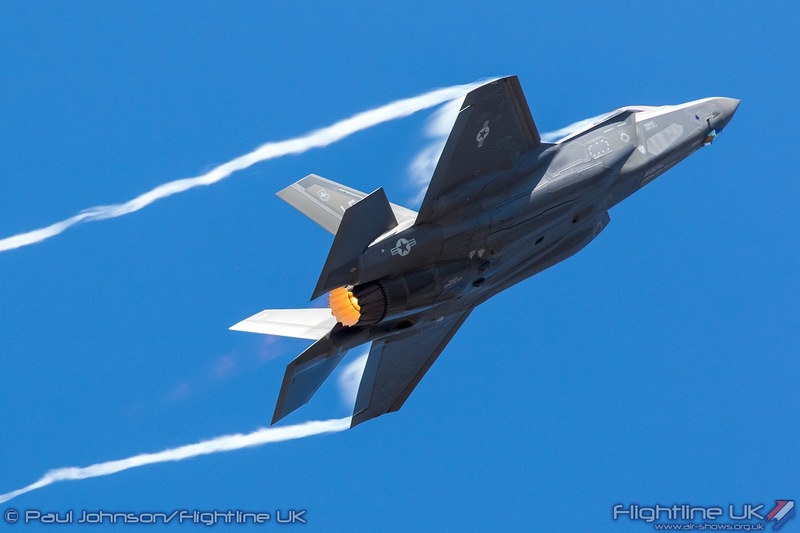 Closing the sequence was the F-35B which performed a slow pass before a brief hover at show centre. 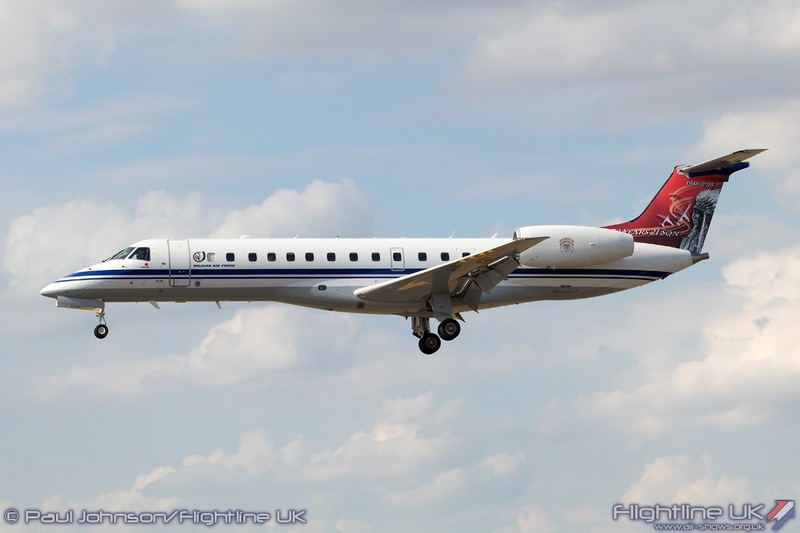 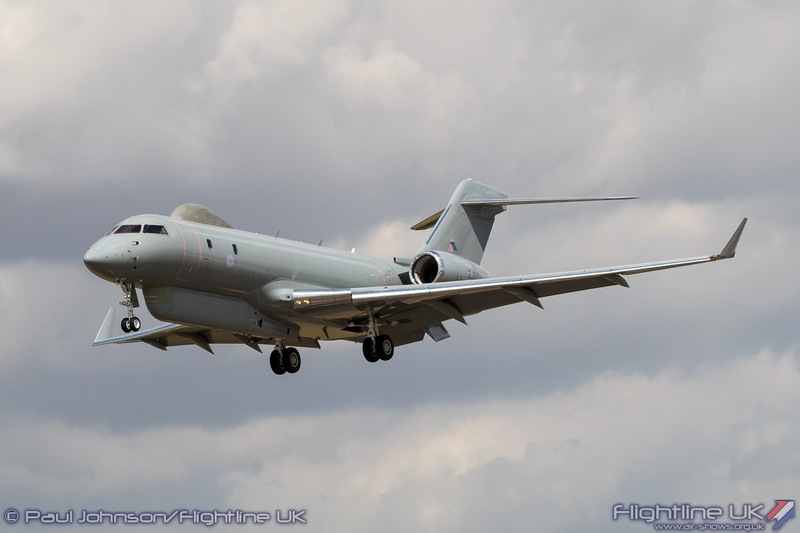 The RAF’s latest jet then powered away towards RAF Brize Norton before heading back to its base at Marham. 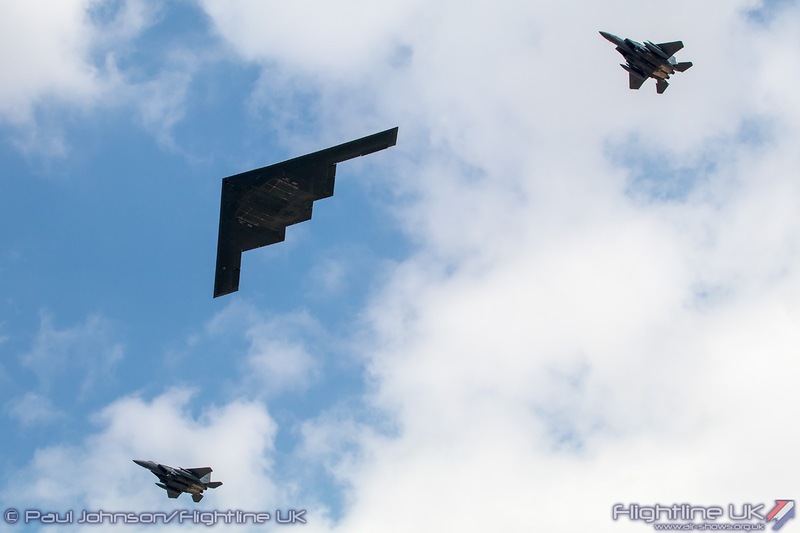 Following on from their 70th Anniversary celebrations held at the Air Tattoo in 2017, the United States Air Force returned the favour with a special twist to mark the RAF’s 100 anniversary. 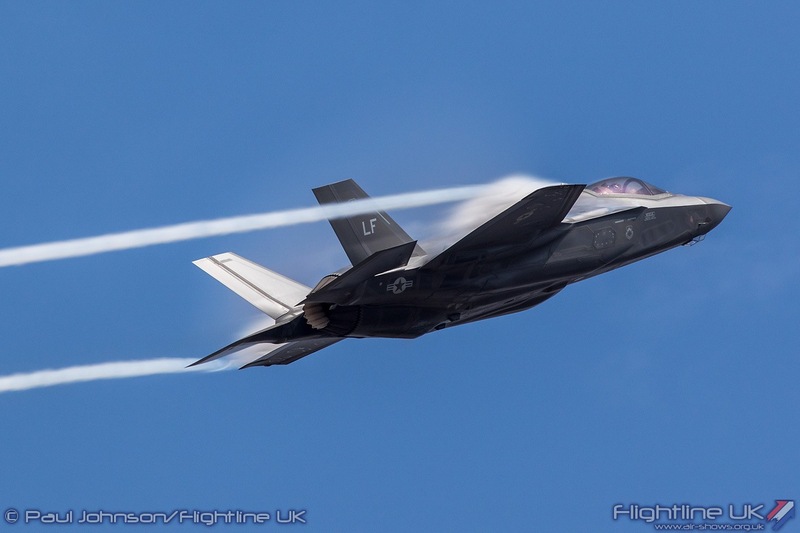 Making a welcome return to the Air Tattoo was the F-35 Heritage Flight Team. 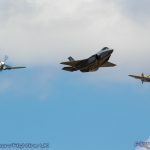 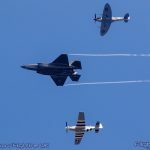 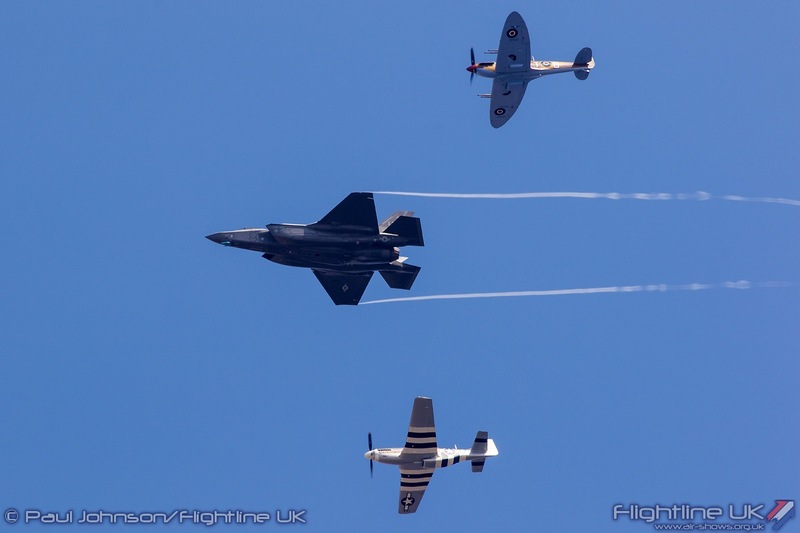 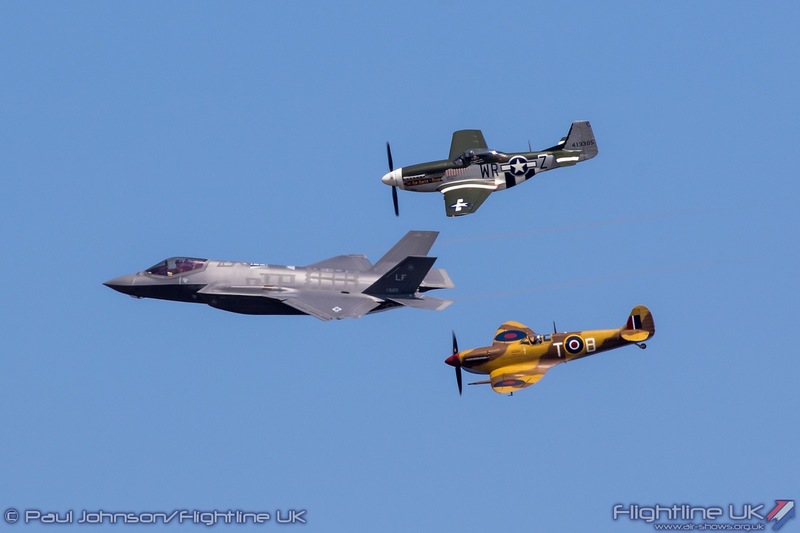 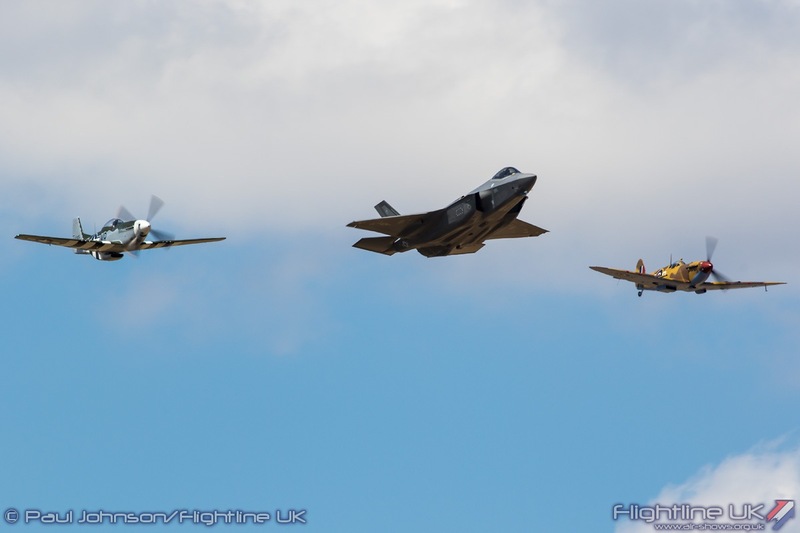 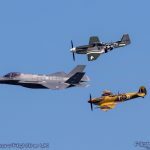 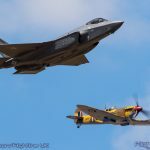 In the RAF100 year they presented a very special formation and tail-chase sequence with the Lockheed Martin F-35A Lightning II leading a North American P-51D Mustang flown by Dan Freidkin and Supermarine Spitfire Vc flown by Steve Hinton from US based operator Comanche Fighters. 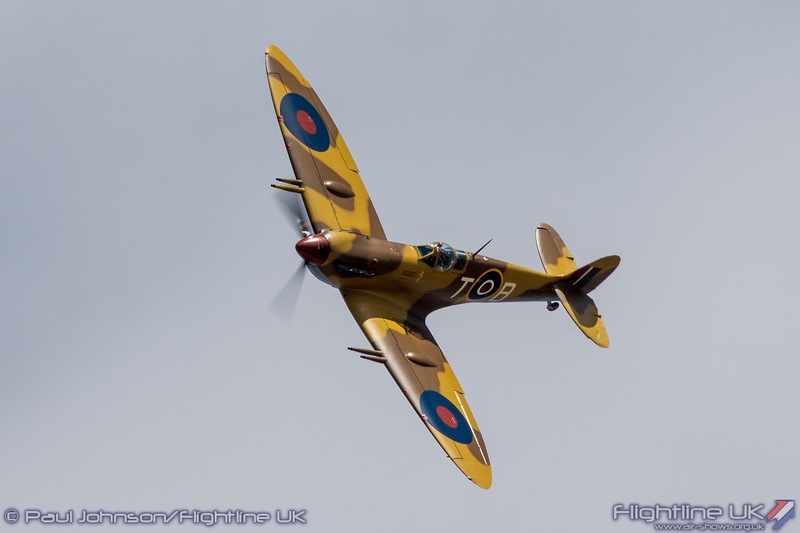 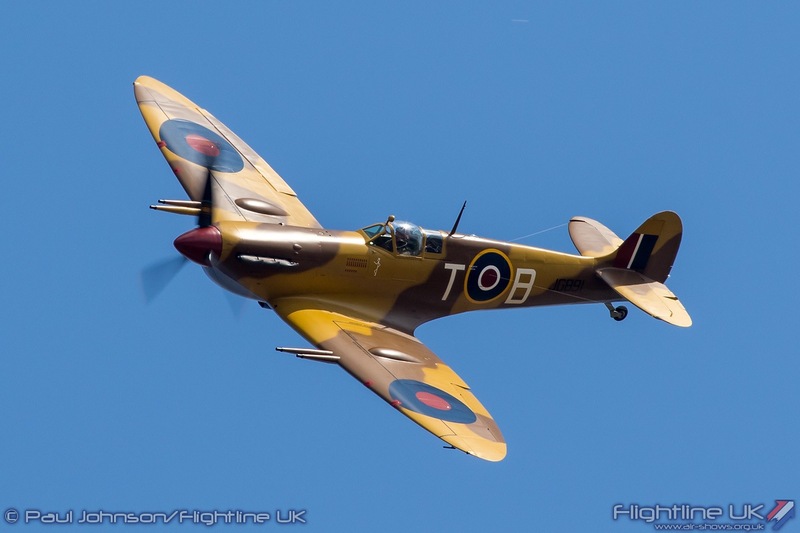 This marked the first time a Spitfire has participated in a Heritage Flight demo. 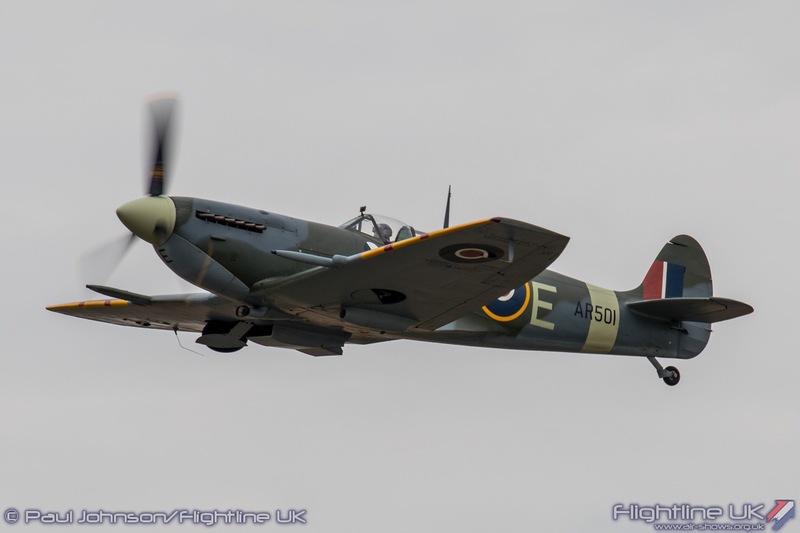 Both the Spitfire and Mustang were recently shipped to the UK, though both have previously appeared in the UK. 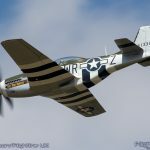 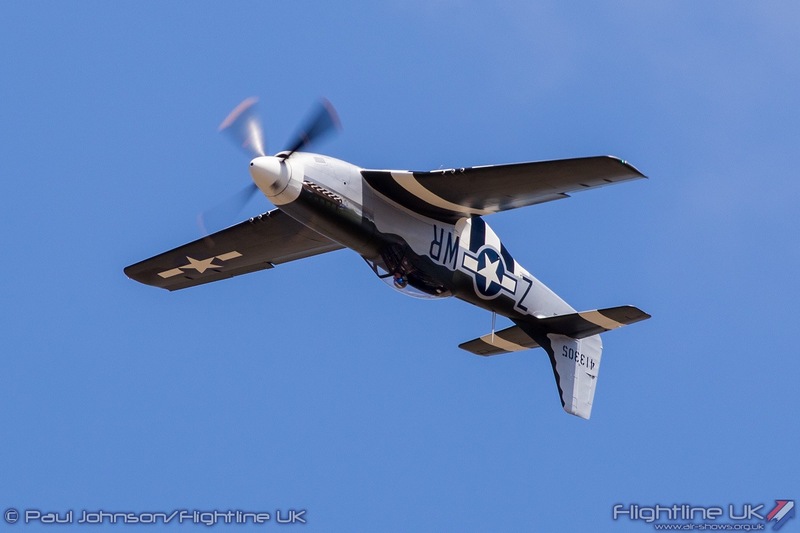 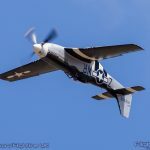 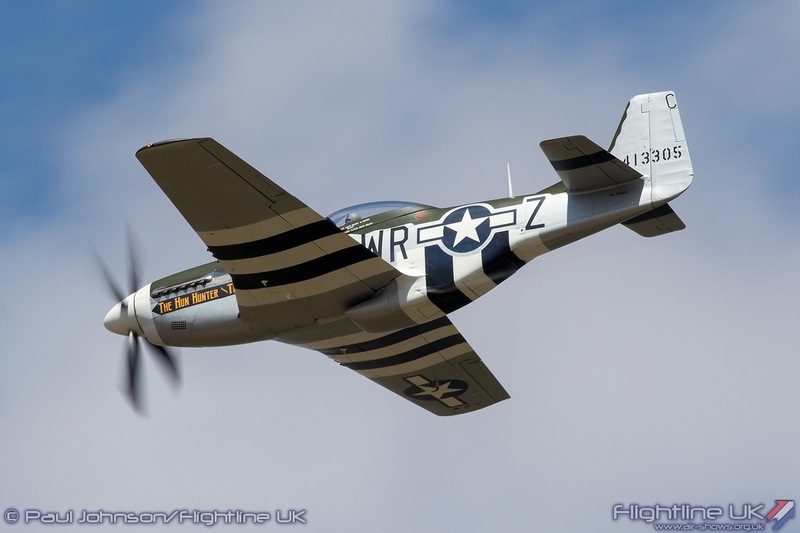 The P-51D, now painted as the ‘Hun Hunter / Texas’ of the 355th Fighter Group had previously appeared at Flying Legends as ‘February’ with the Horsemen Demo Team. 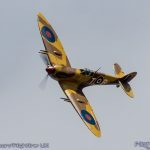 The Spitfire Vc JG891 was restored in the UK by Historic Flying and appeared at UK airshows for a season fitted with the distinctive Volkes Tropical Air Filter but now wears the colours of a RAF Spitfire Vc of 249 Squadron operating from Ta Qali airfield, Malta in 1943. 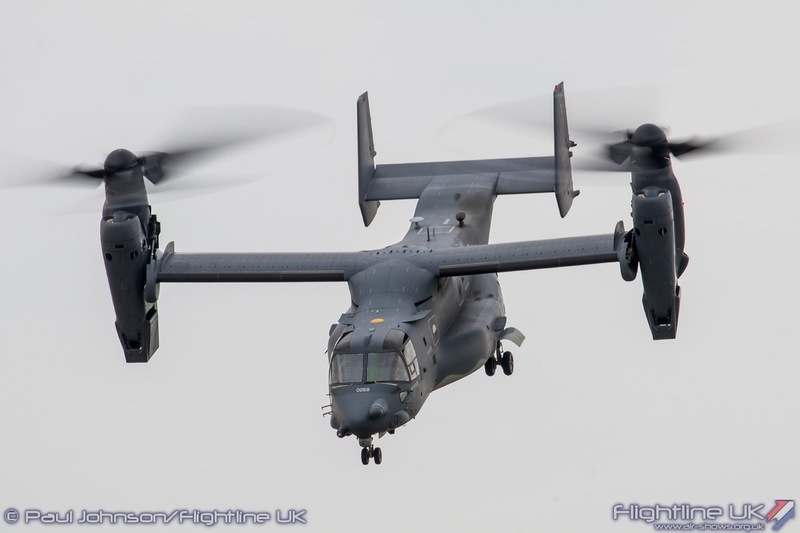 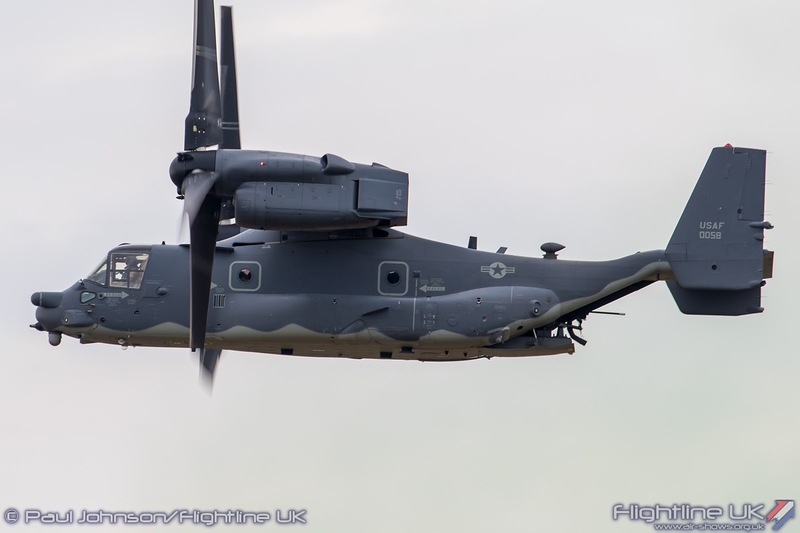 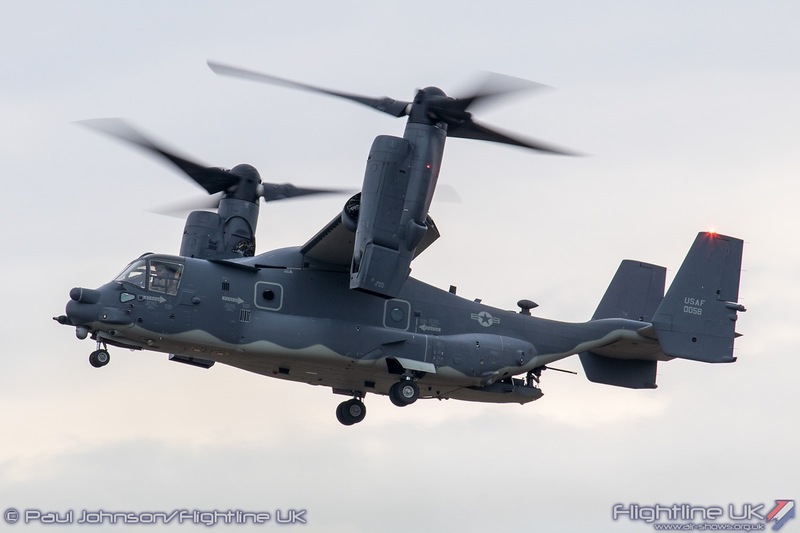 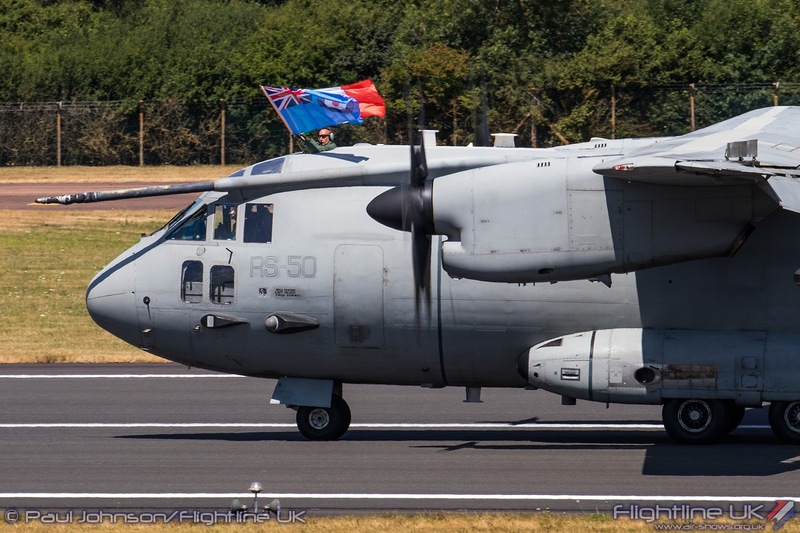 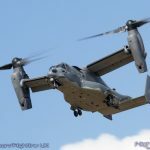 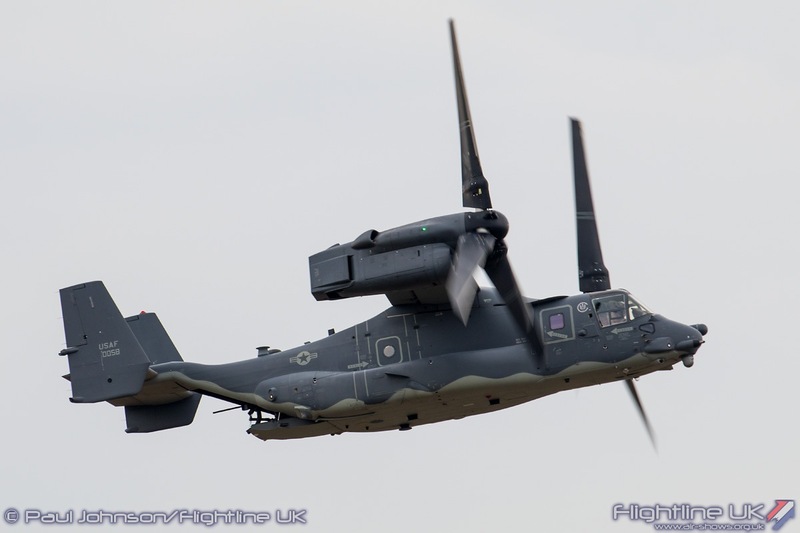 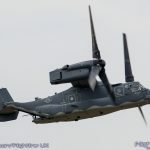 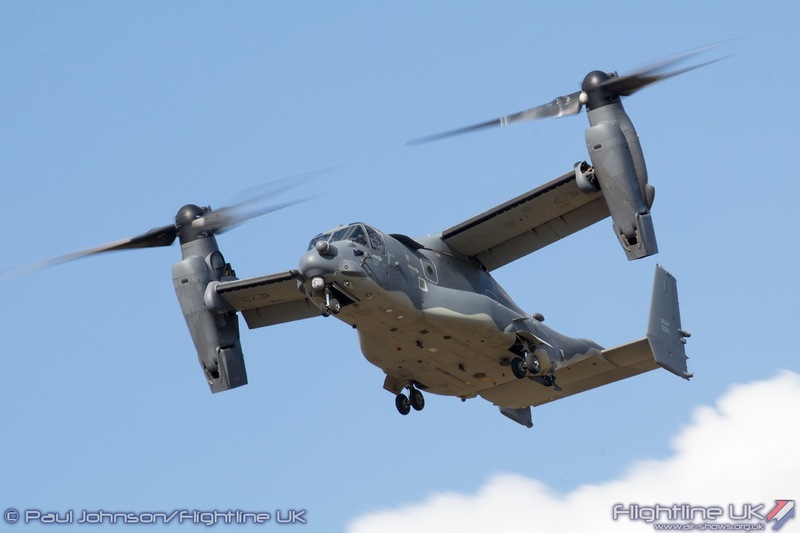 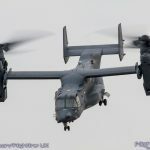 Further USAF support for the flying display came from the RAF Mildenhall based 302nd Special Operations Group with a display from a Bell/Boeing CV-22B Osprey. 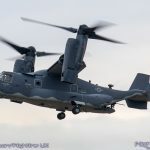 The tilt-rotor had been due to display on both the Friday and Saturday but was withdrawn from Saturday’s display due to timing issues. 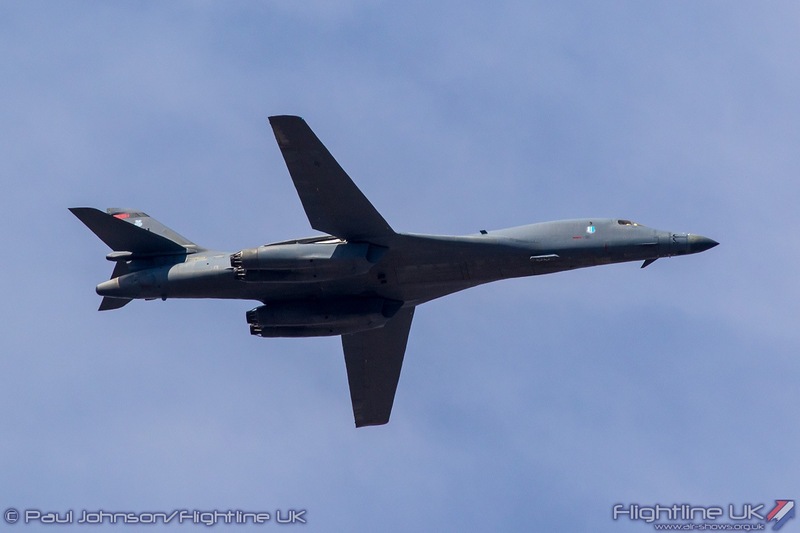 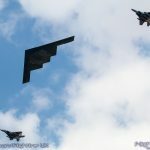 Saturday’s display did however see a ‘surprise’ and very brief flypast by a 509th Bomb Wing Northrop Grumman B-2A Spirit “Spirit of New York” escorted by 48th Fighter Wing F-15C Eagles. 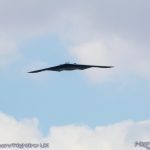 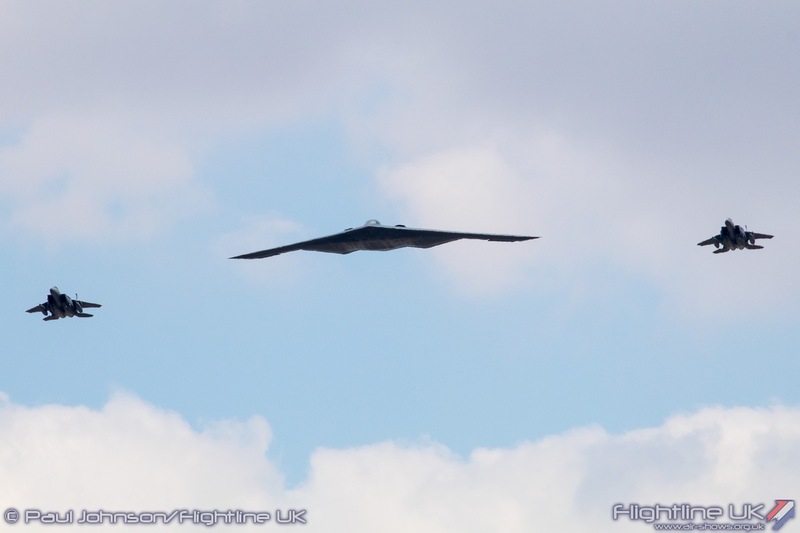 While it wasn’t quite the dramatic appearance seen in 2017, it was still a special moment to see the ‘Stealth Bomber’ back over the Air Tattoo. 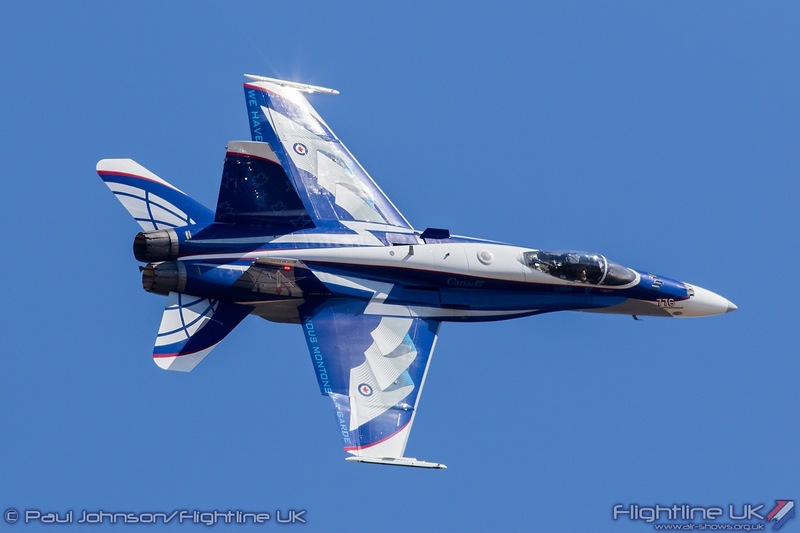 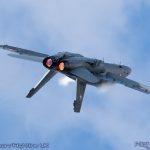 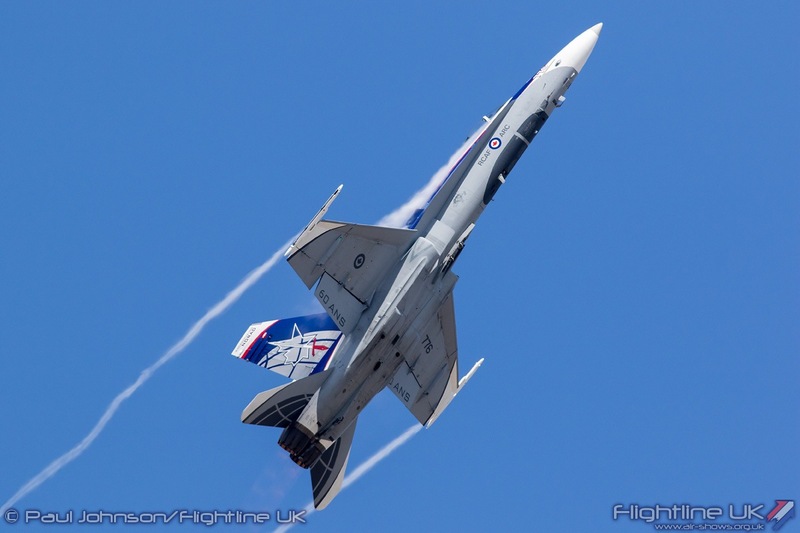 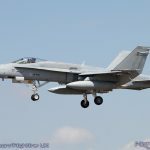 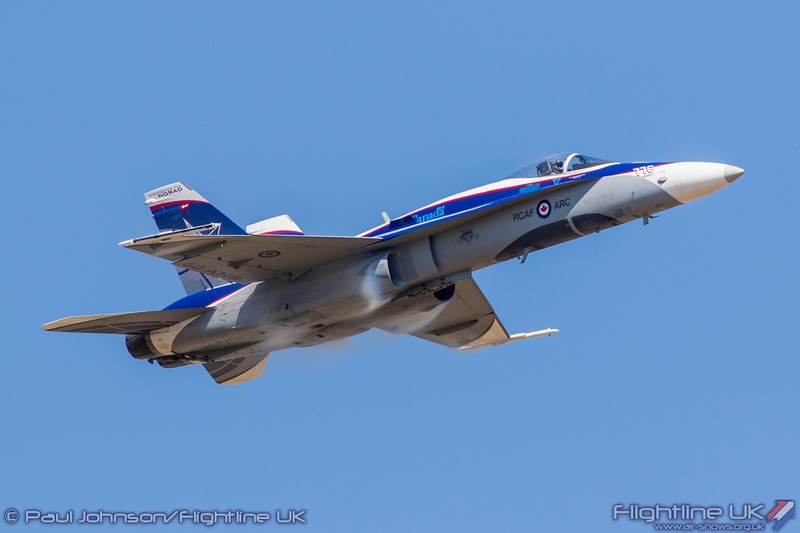 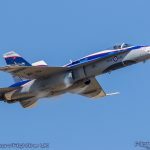 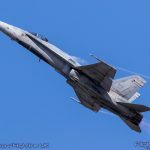 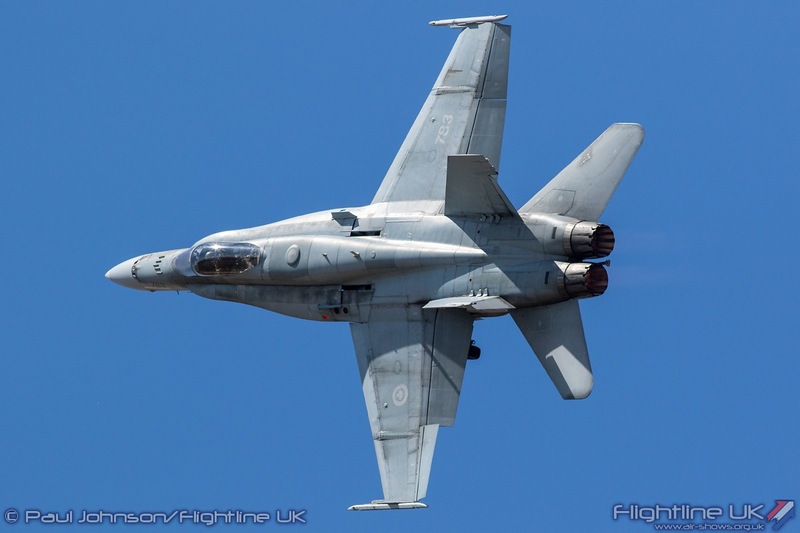 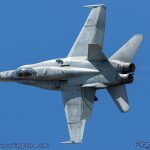 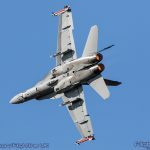 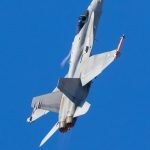 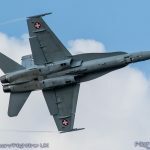 The CF-118 was not the only Hornet in the flying display. 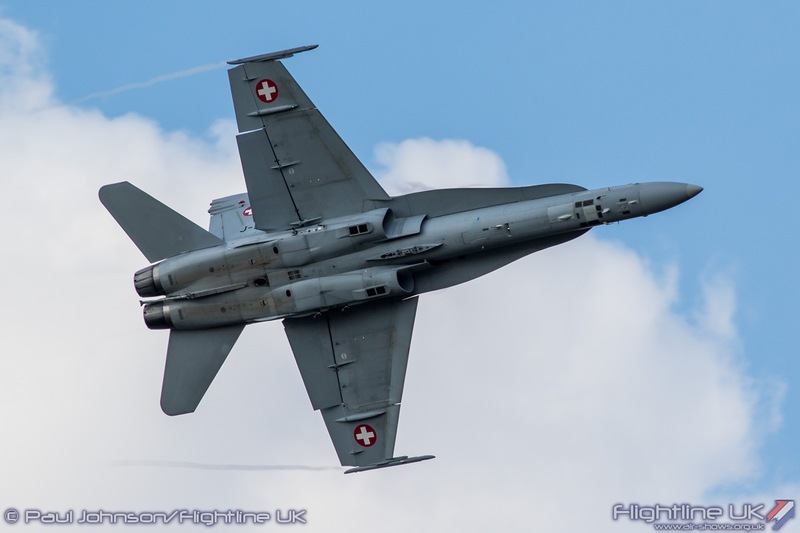 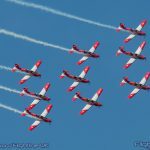 The Swiss Air Force F/A-18C Hornet Solo Display returned and displayed alongside the PC-7 Team showcasing Swiss military flying. 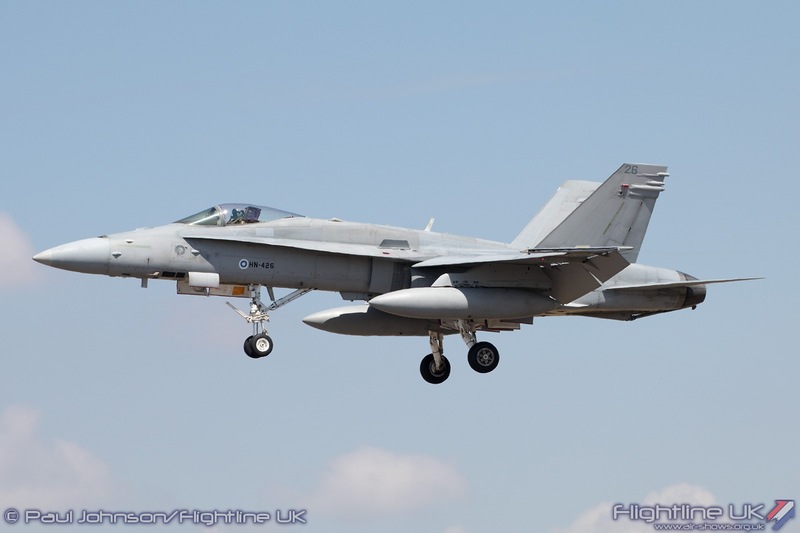 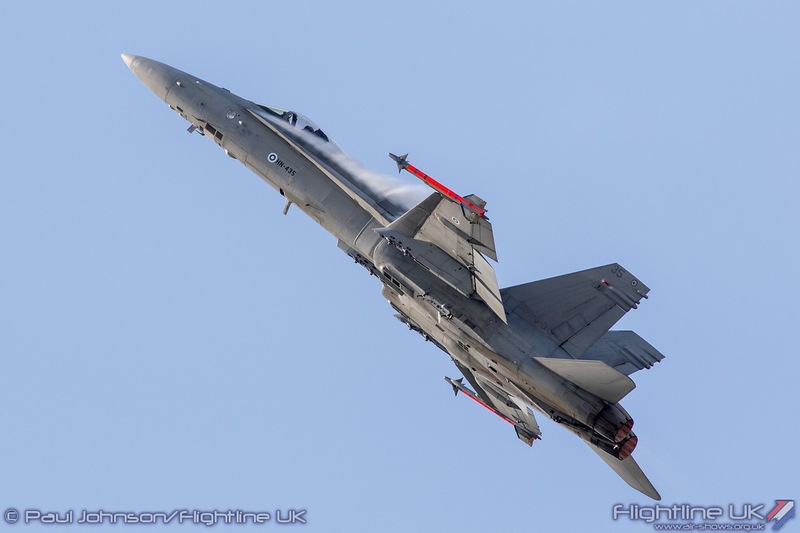 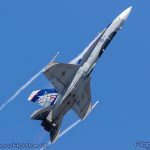 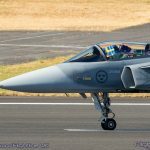 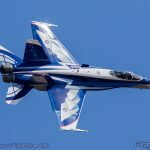 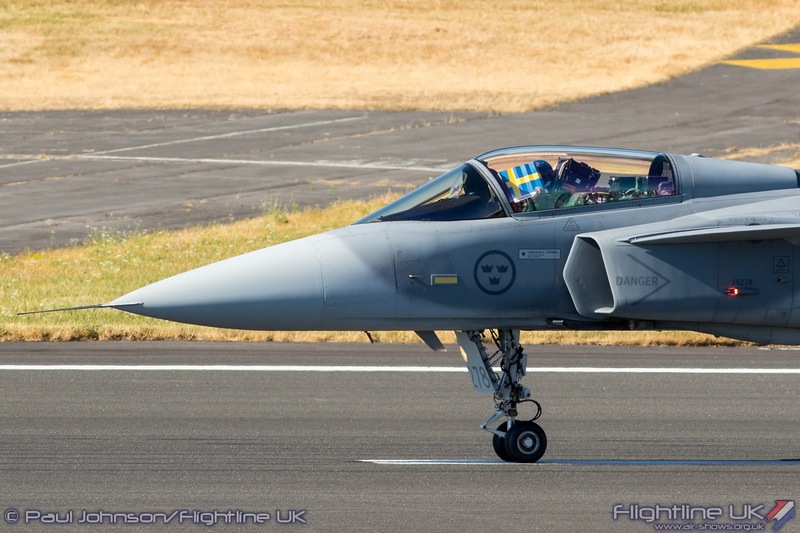 The Finnish Air Force, who also celebrates their 100th Anniversary this year, sent their F-18C Hornet solo. 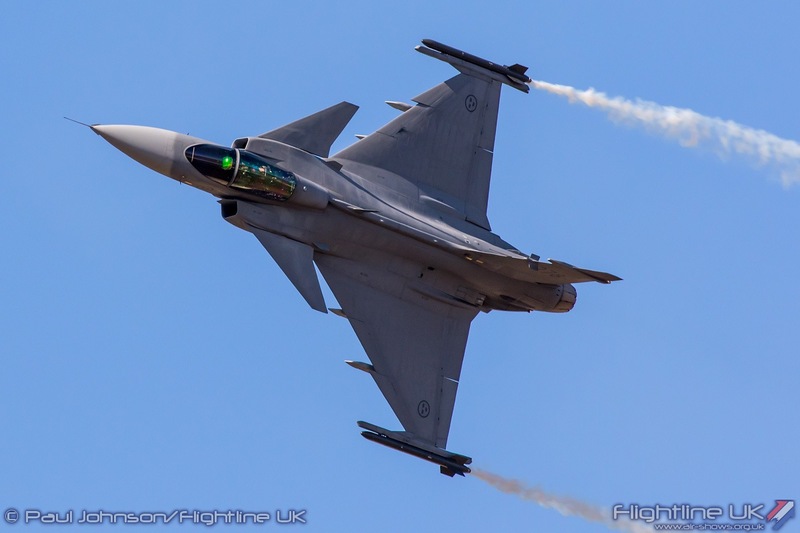 Pilot Capt Lauri Mäkinen won the Sir Douglas Bader Trophy for the best individual flying demonstration. 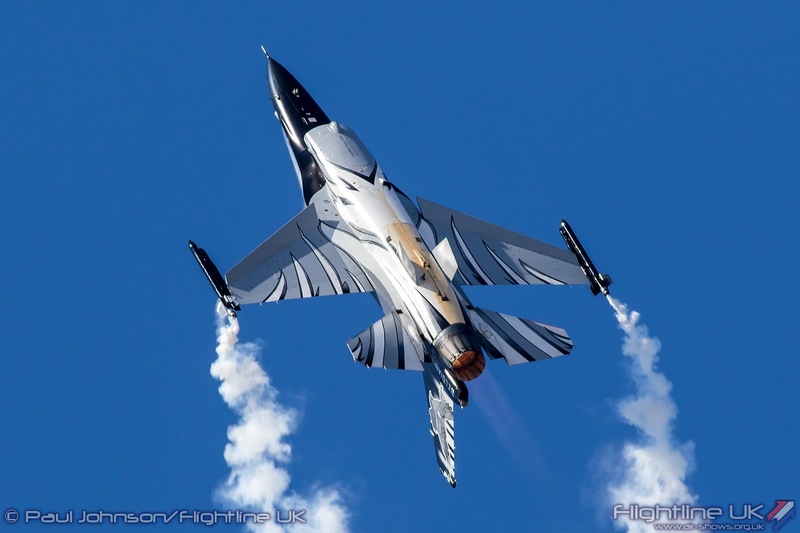 “Of course, it means a lot“, Mäkinen said. 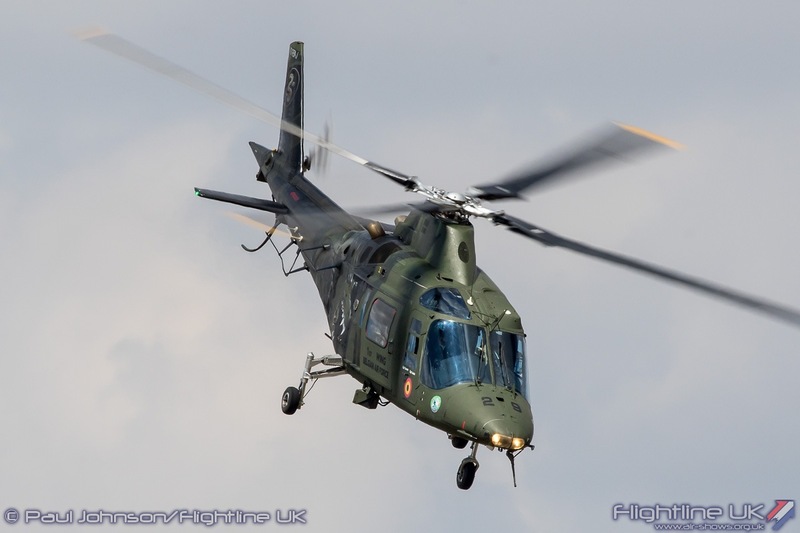 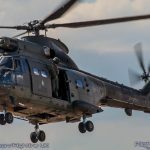 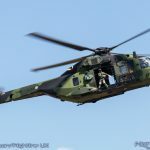 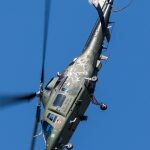 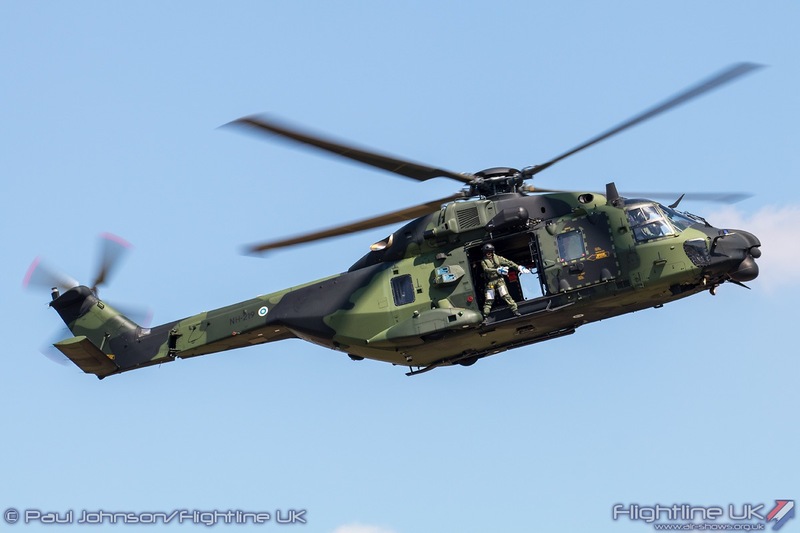 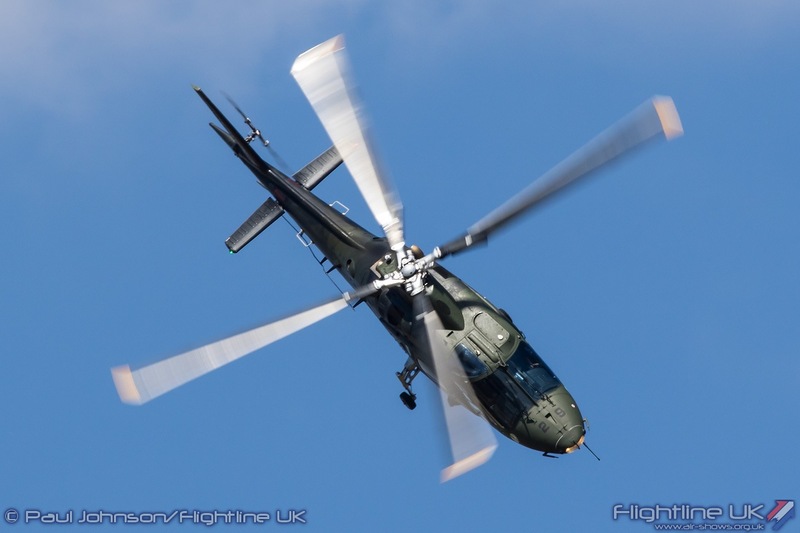 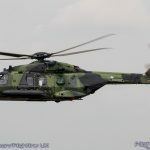 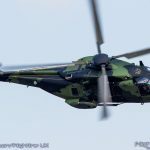 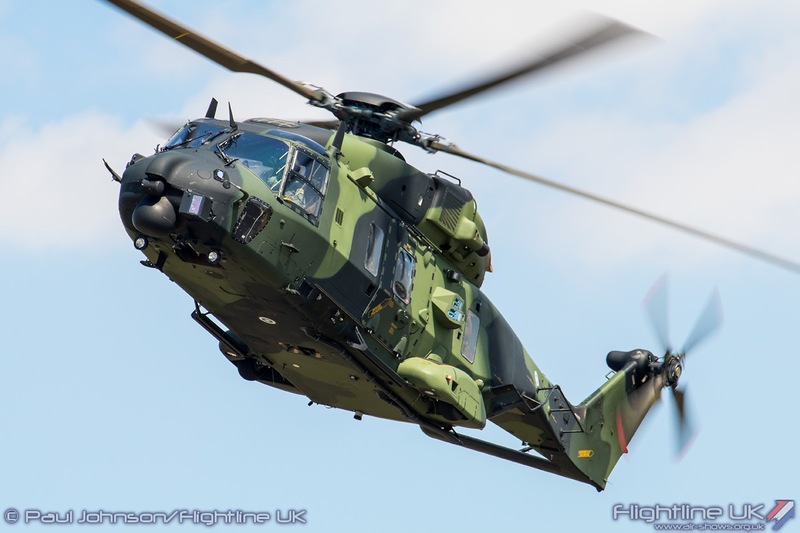 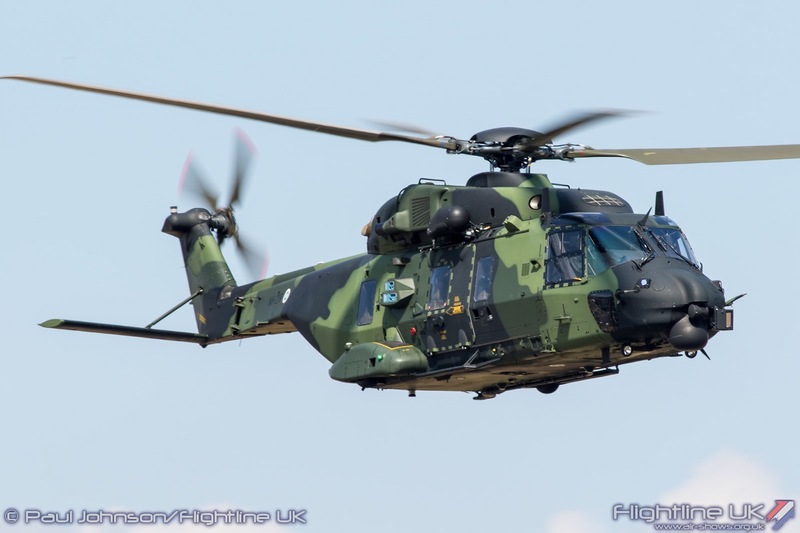 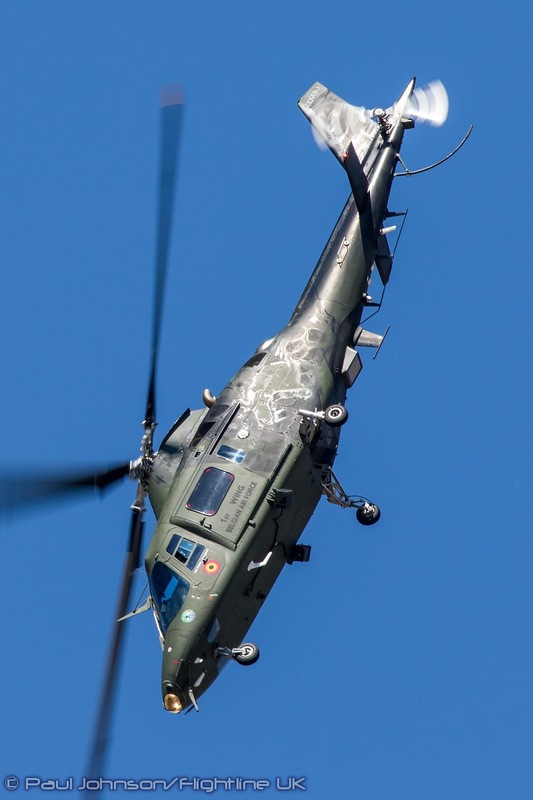 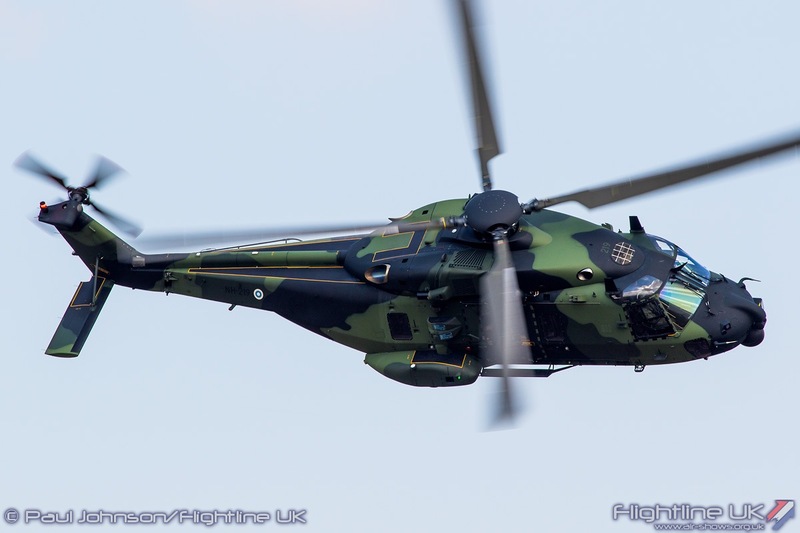 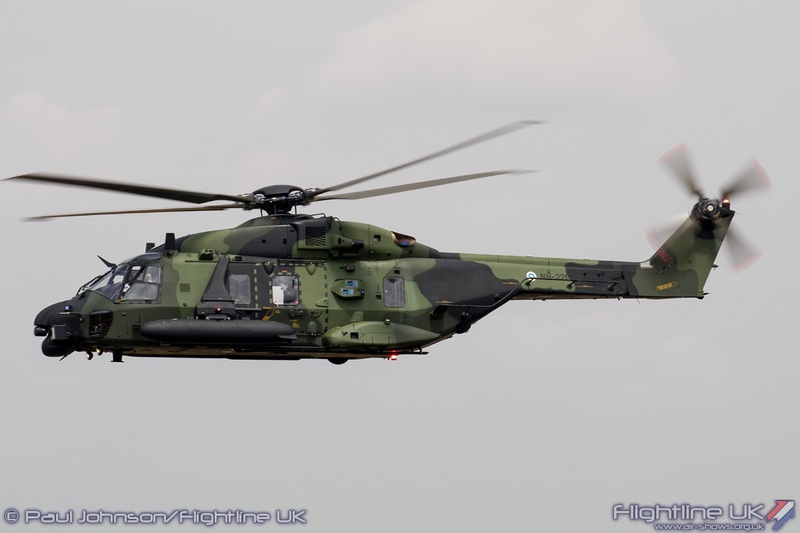 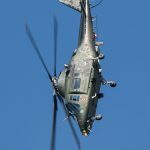 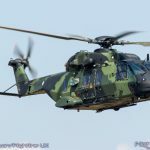 “I’m very honoured to get this trophy because I’ve seen a lot of great performances during this week.” Finnish Army Aviation were not to be left out either returning to the RIAT flying display with a display by an Airbus Helicopters NH90TTH. 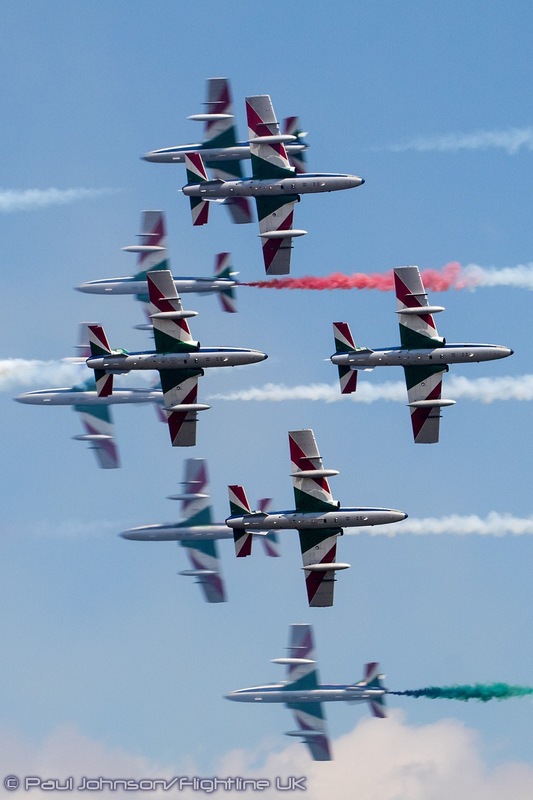 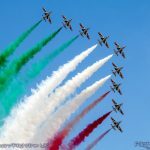 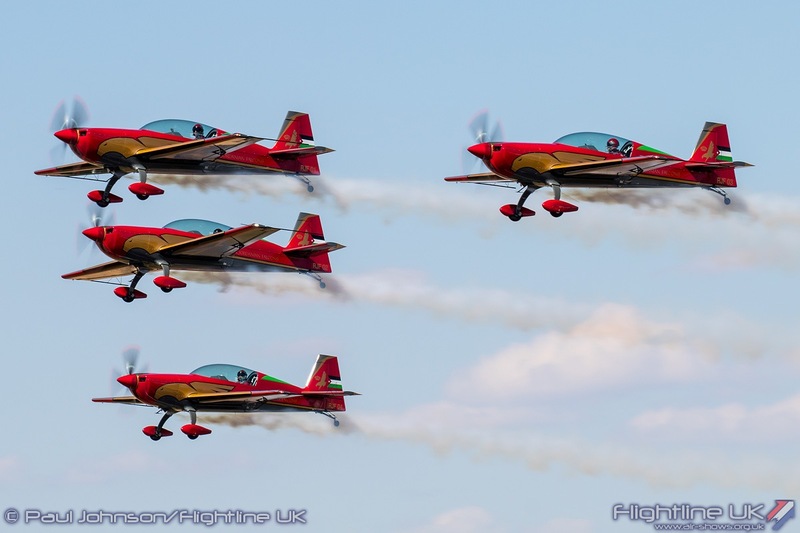 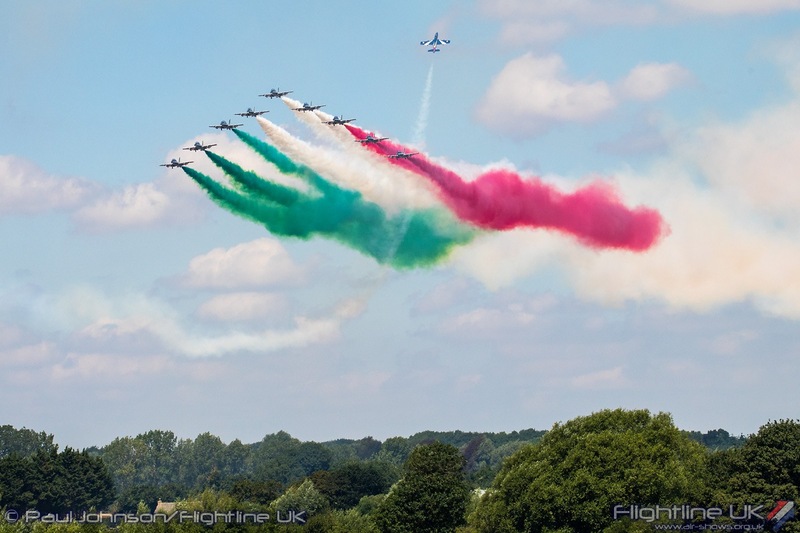 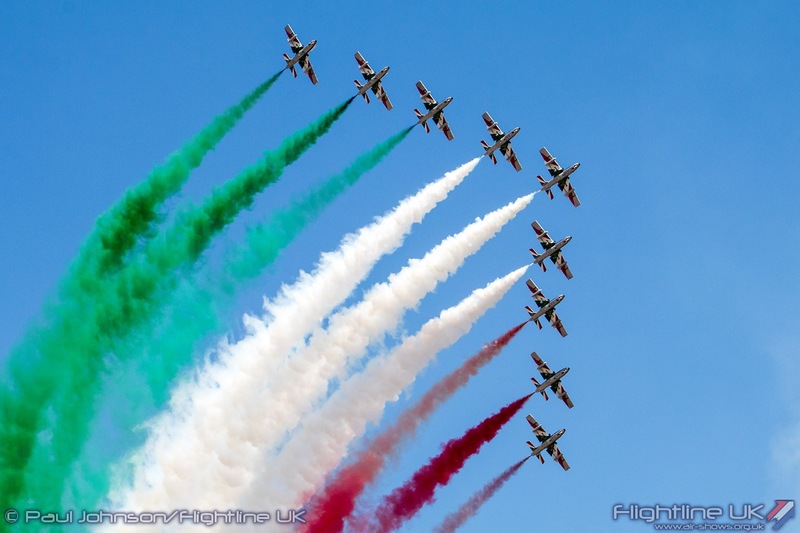 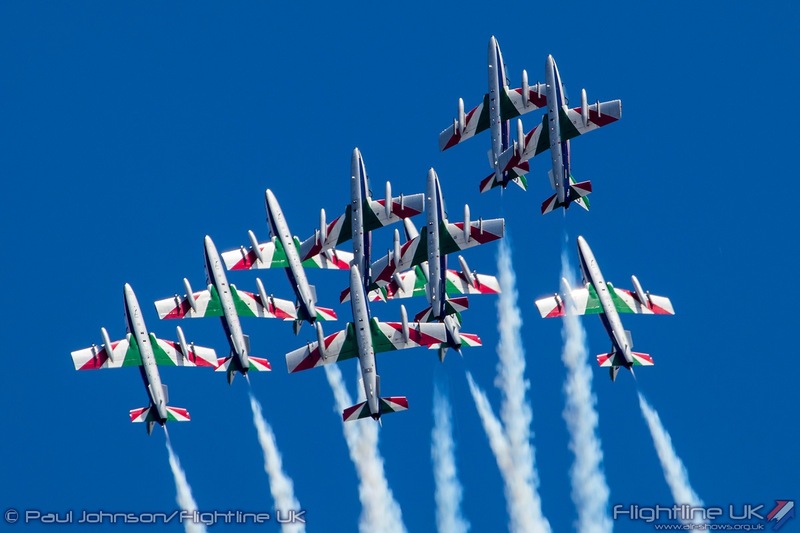 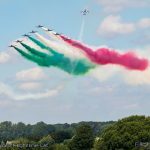 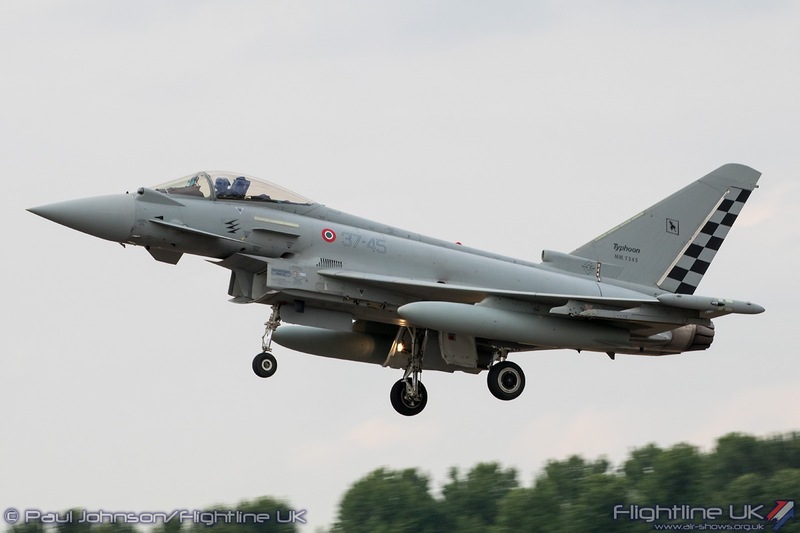 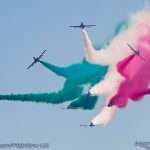 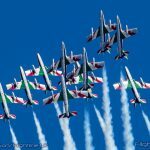 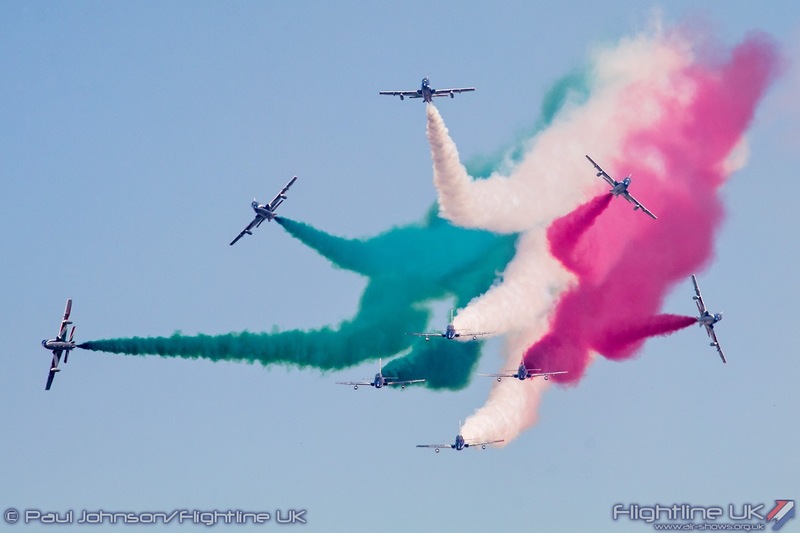 The Italian Air Force made one of the largest contributions to the flying display. 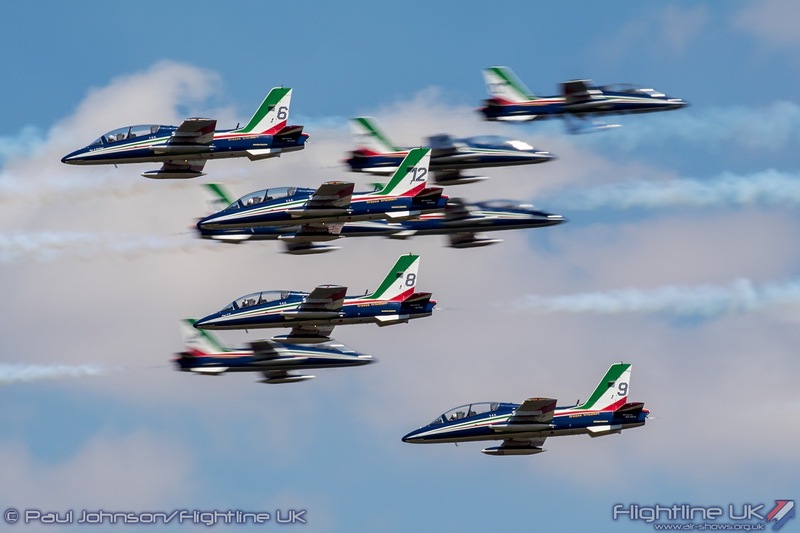 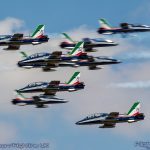 Headlining their line-up was Il Frecce Tricolori with their 10 Aermacchi AT-339PAN jet trainers. 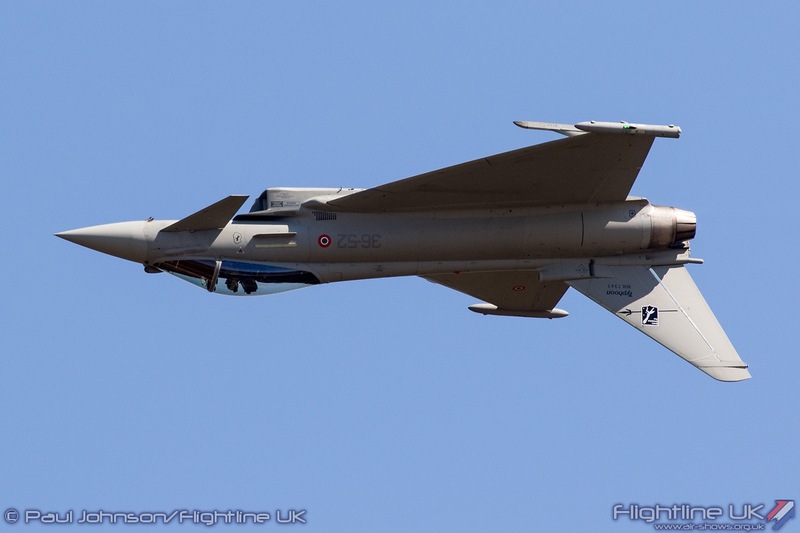 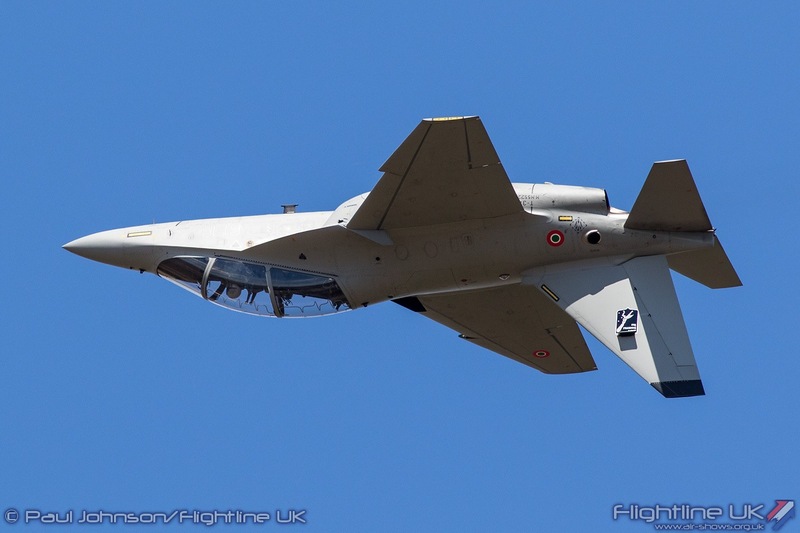 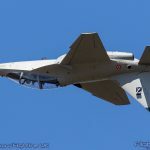 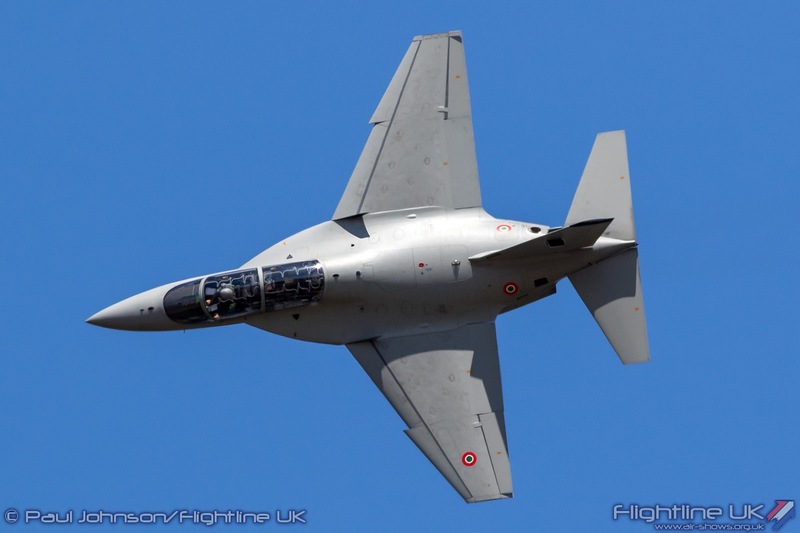 Joining them were three displays from the Italian Flight Test Centre, Reparto Sperimentale Volo (RSV). 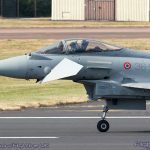 Solo jet displays came from the Eurofighter F-2000A Typhoon and the Leonardo T-326A Master. 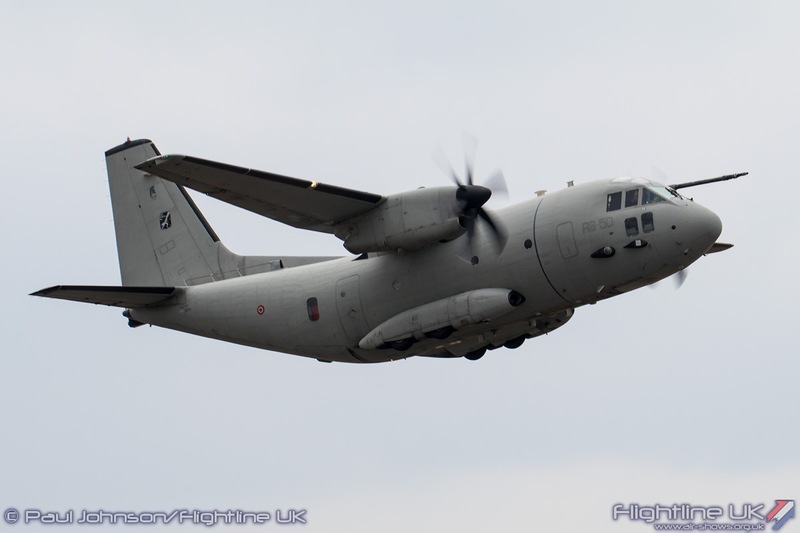 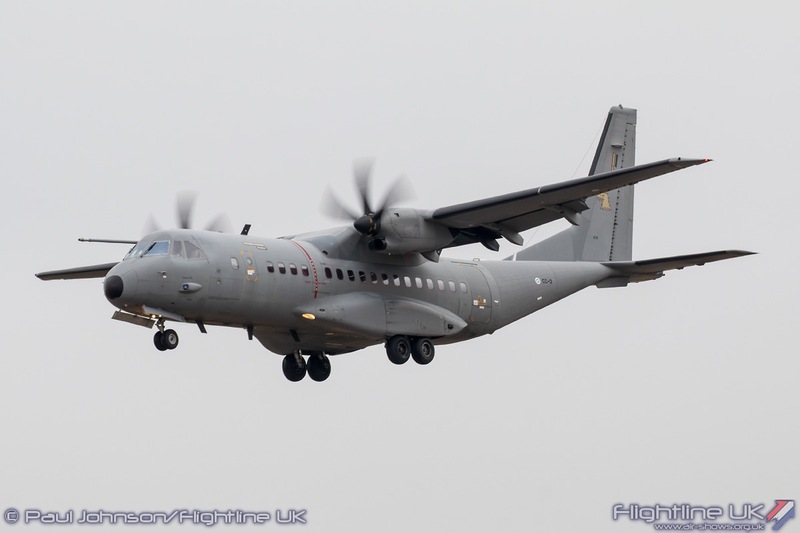 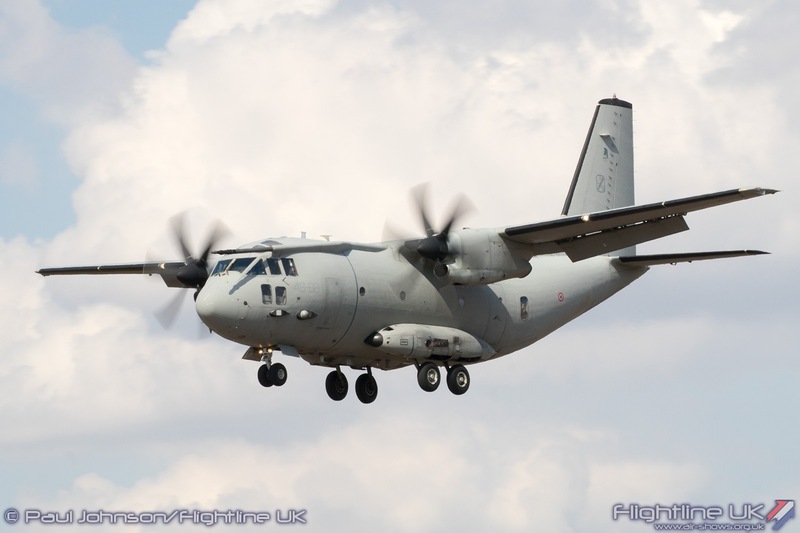 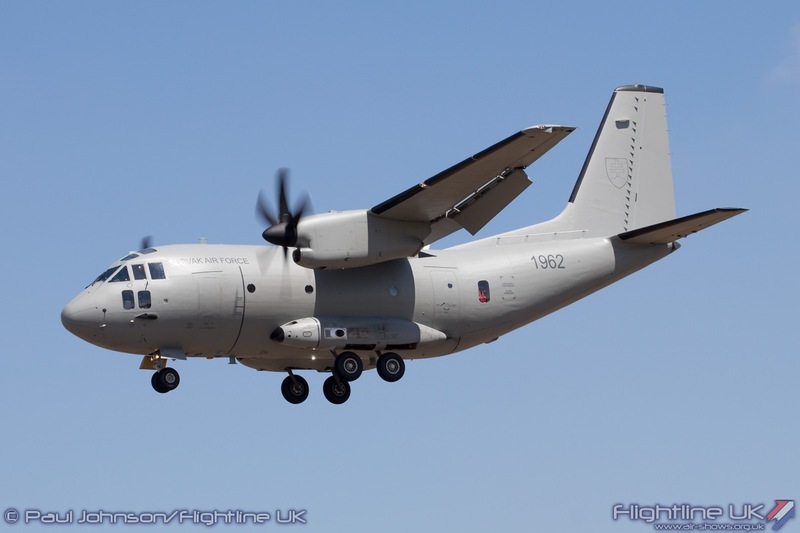 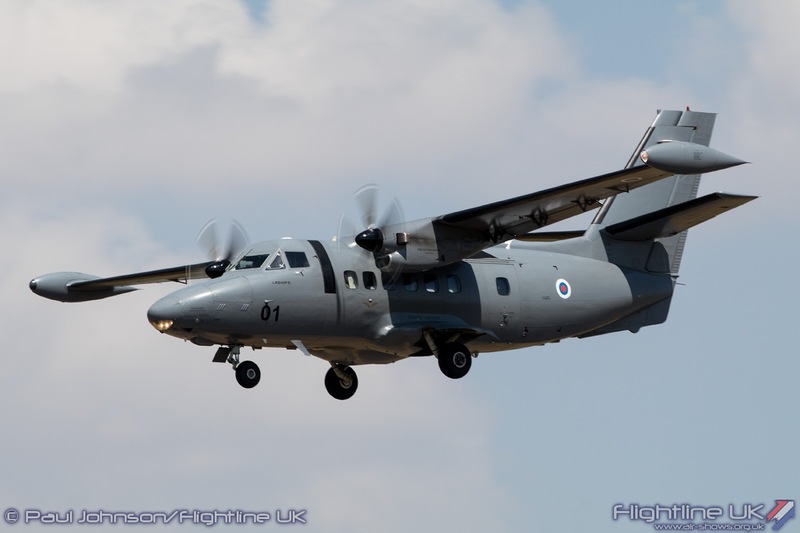 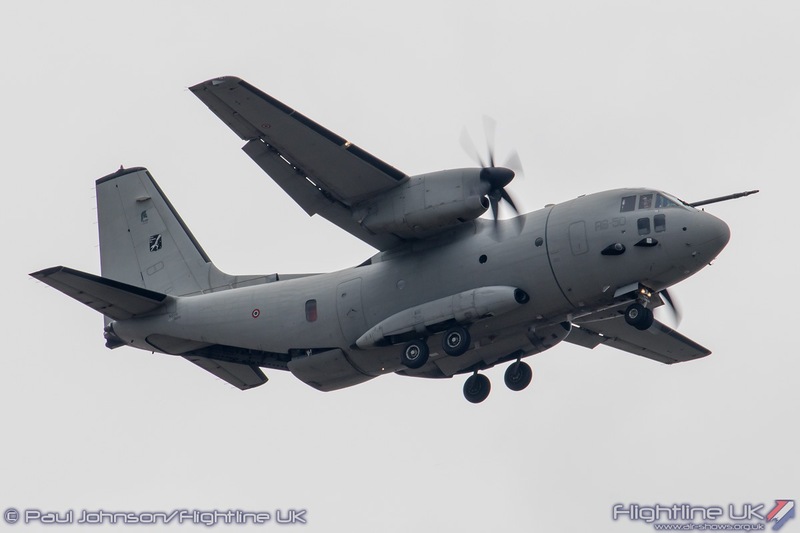 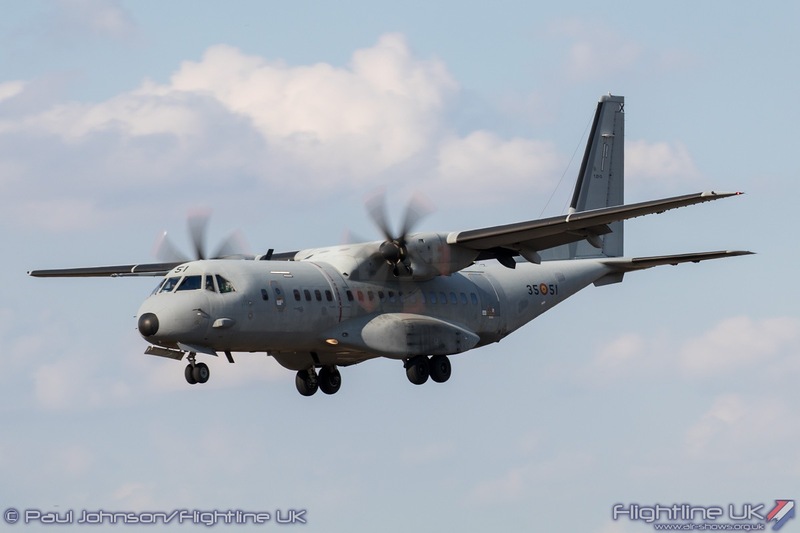 The RSV also presented their Alenia C-27J Spartan display which has changed considerably since its last visit. 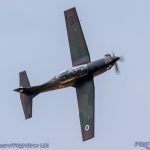 The Spartan is now put through more of a role demonstration rather than the dramatic aerobatic sequences seen at recent Air Tattoos. 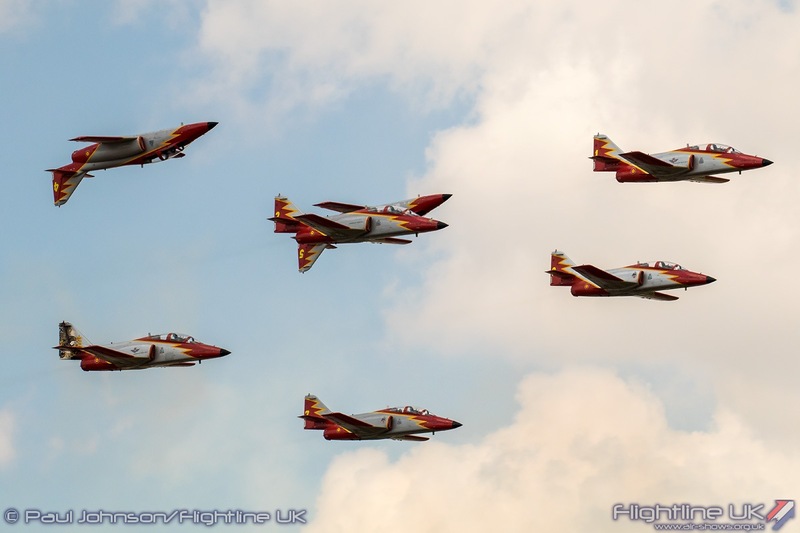 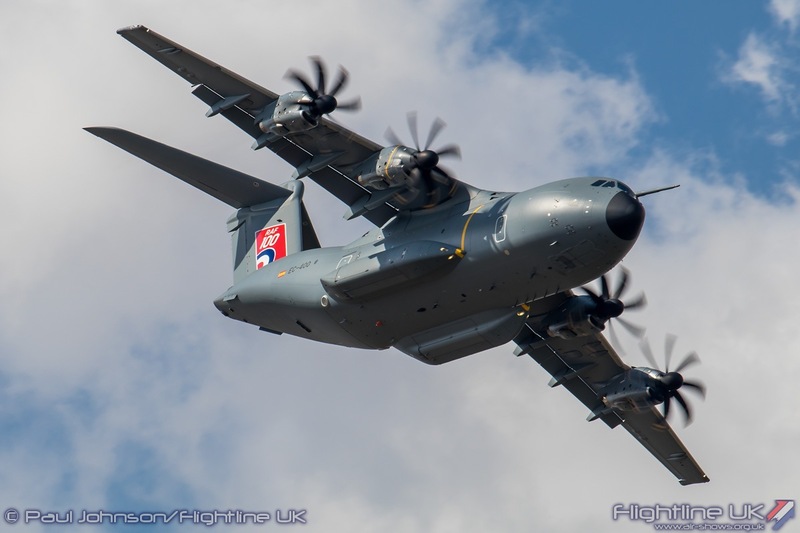 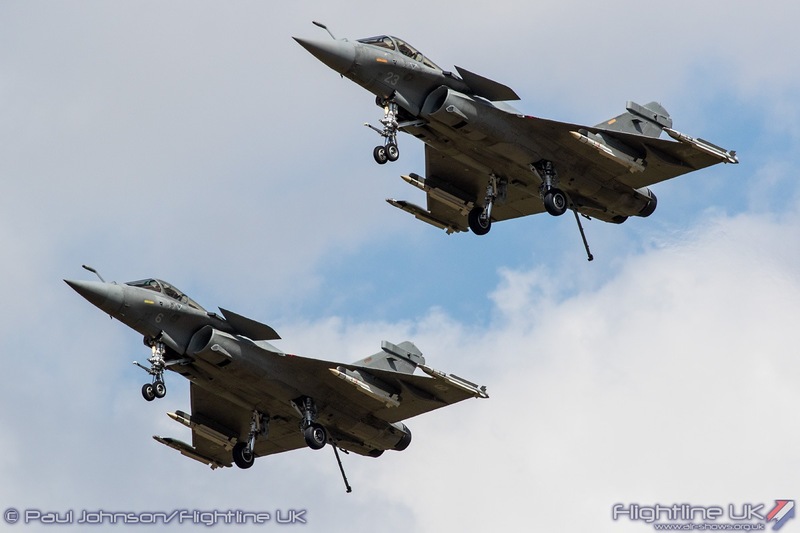 Both the French Air Force and Navy made a considerable contribution to the flying display. 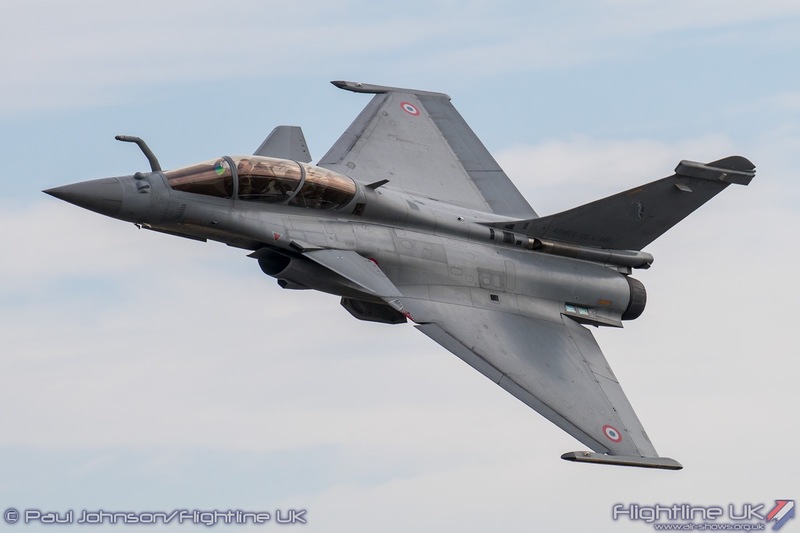 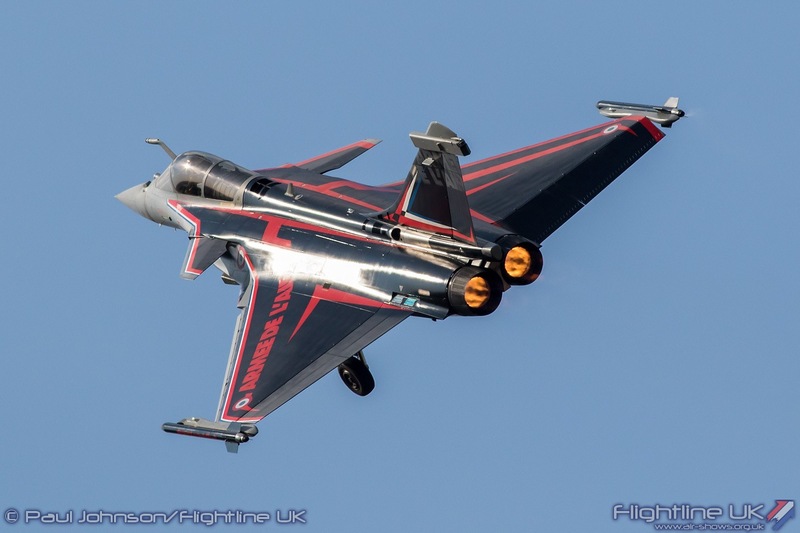 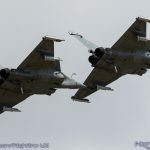 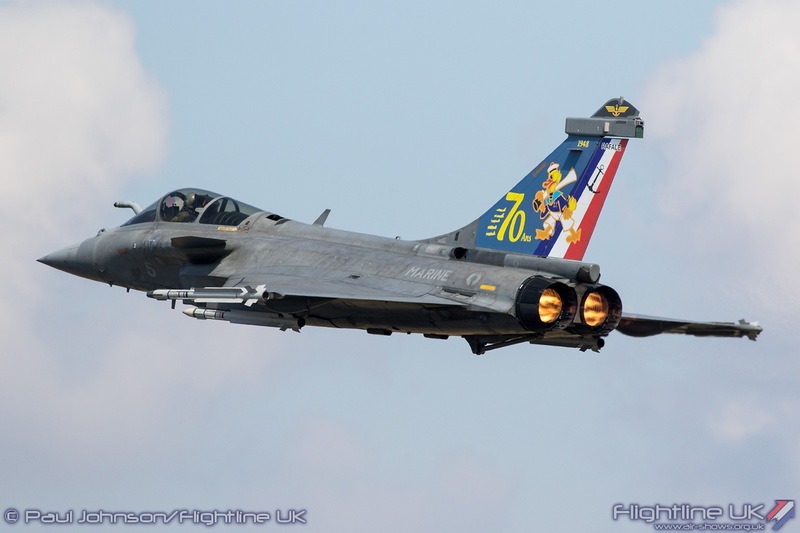 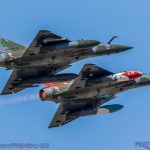 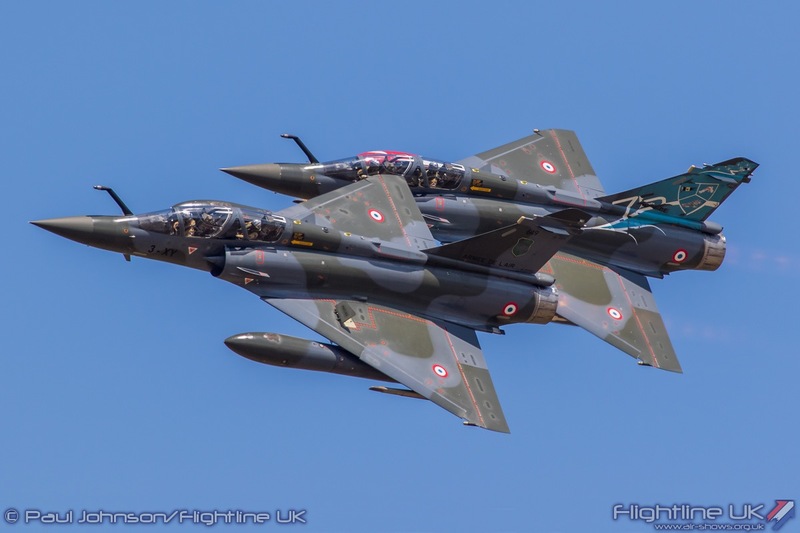 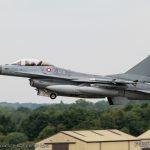 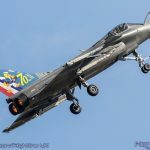 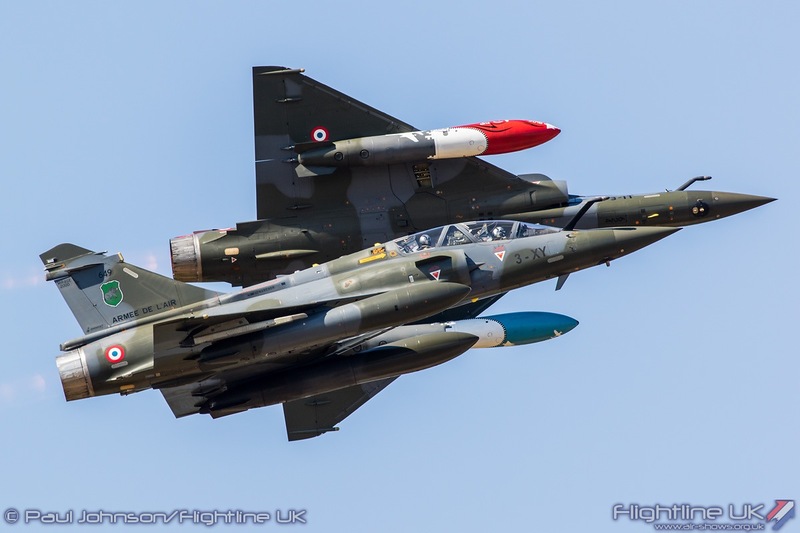 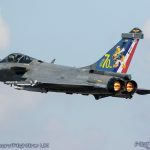 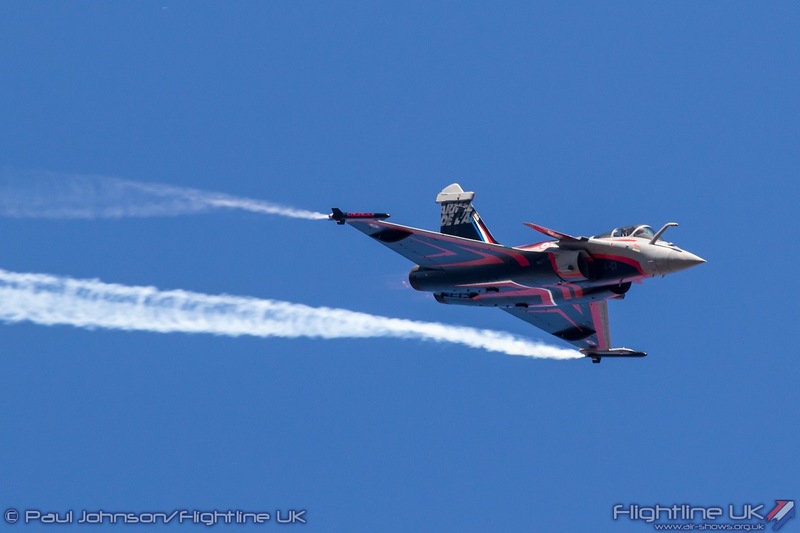 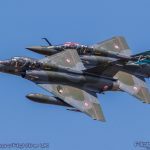 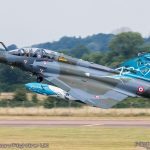 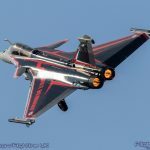 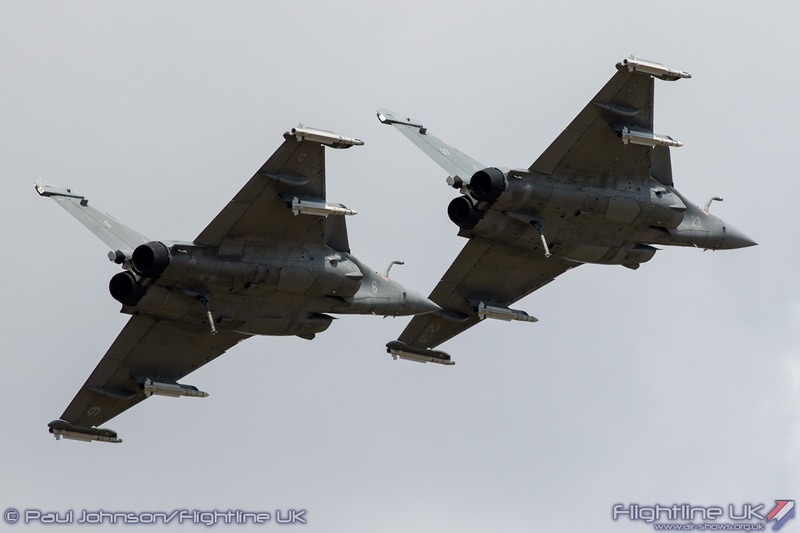 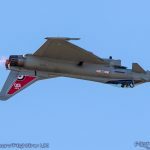 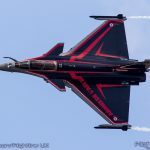 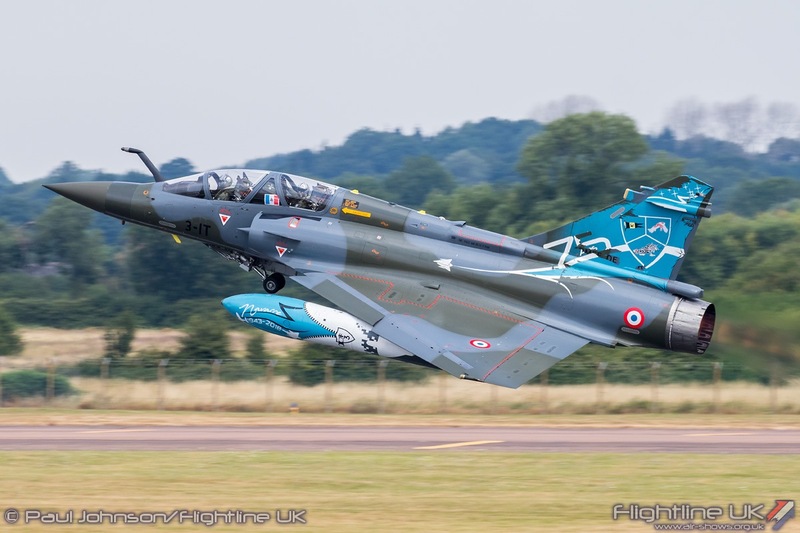 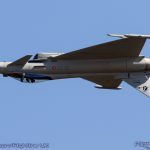 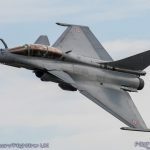 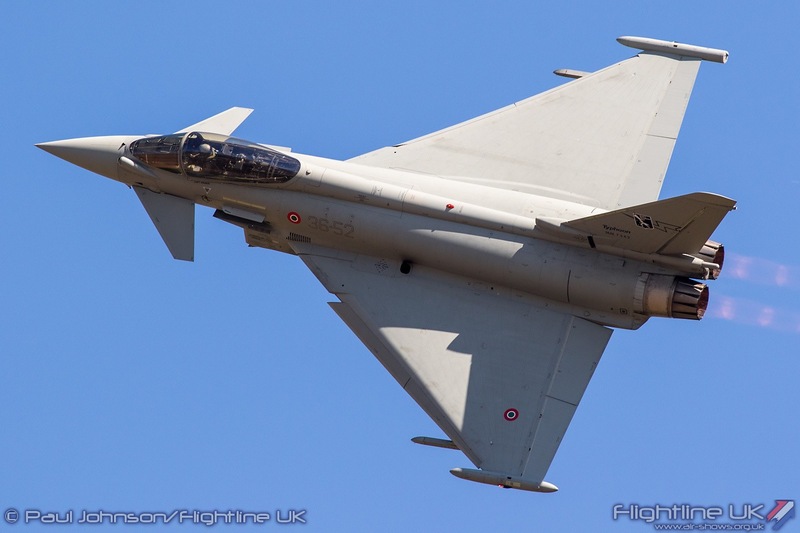 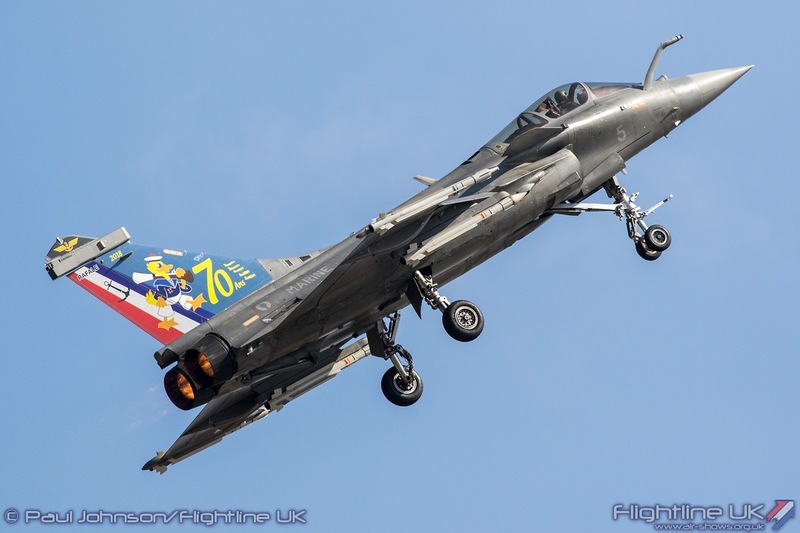 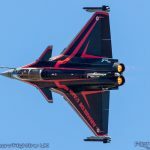 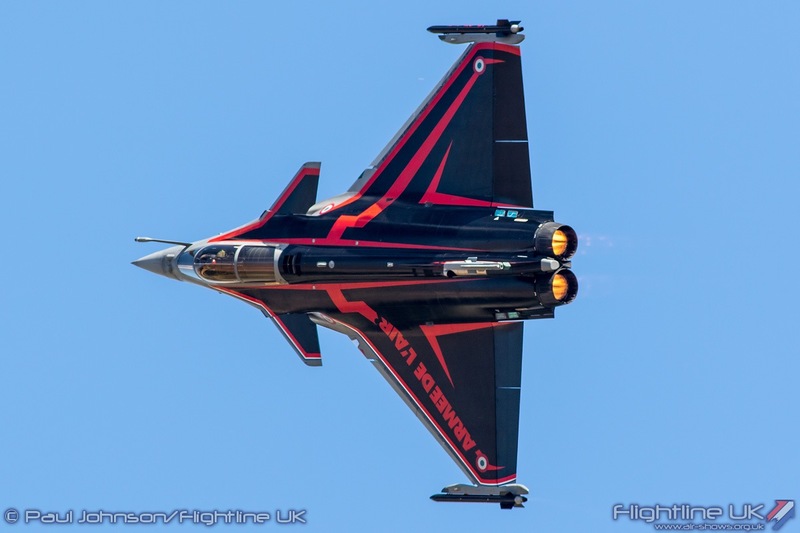 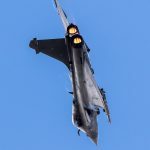 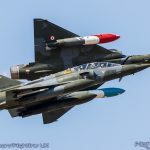 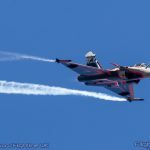 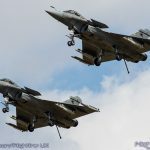 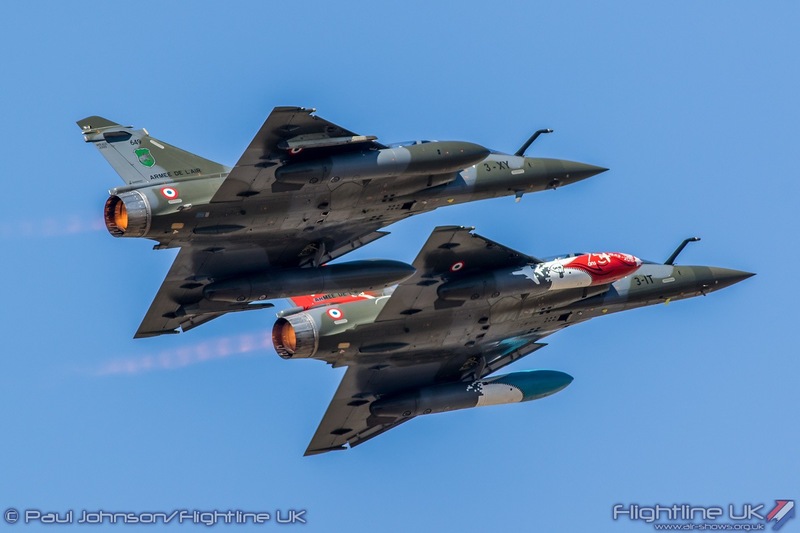 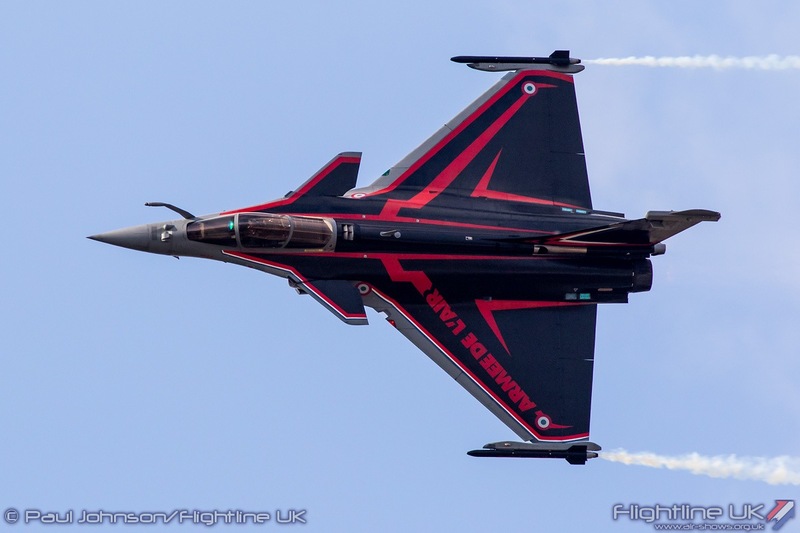 The French Navy have been absent from the Air Tattoo for a number of years, but returned this year with a tactical demonstration from a pair of Dassault Rafale M from 12 Flottille. 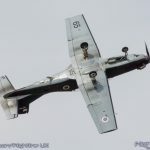 This was not the same display as seen at RNAS Yeovilton the week before which came from the sister unit, 11 Flottille. 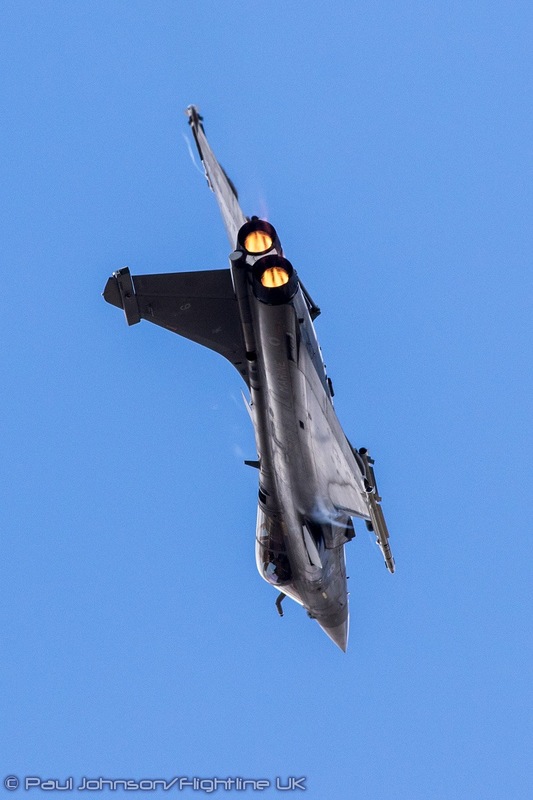 However, like the 11F routine, the 12F pilots highlighted the agility plus the speed range of the Rafale throughout their noisy routine. 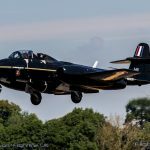 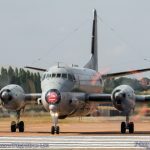 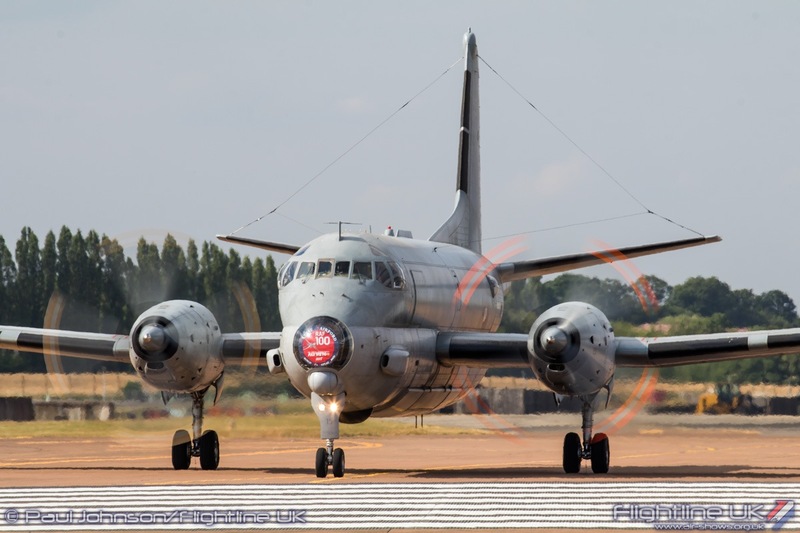 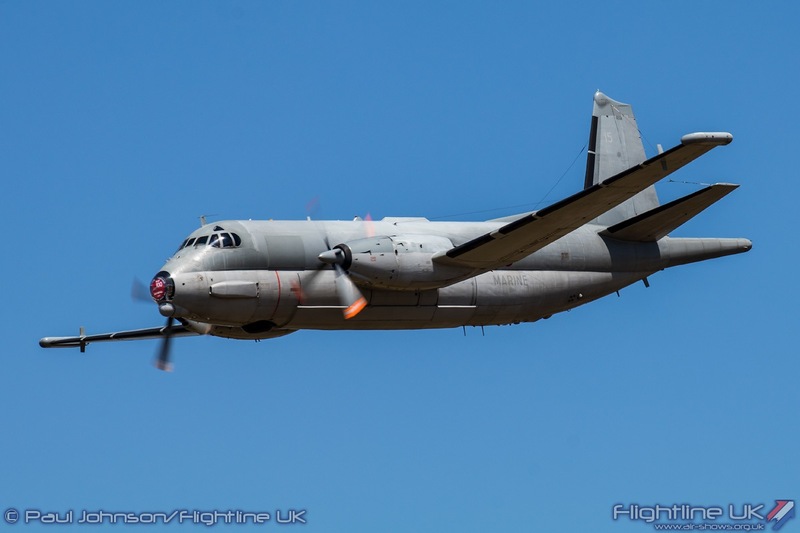 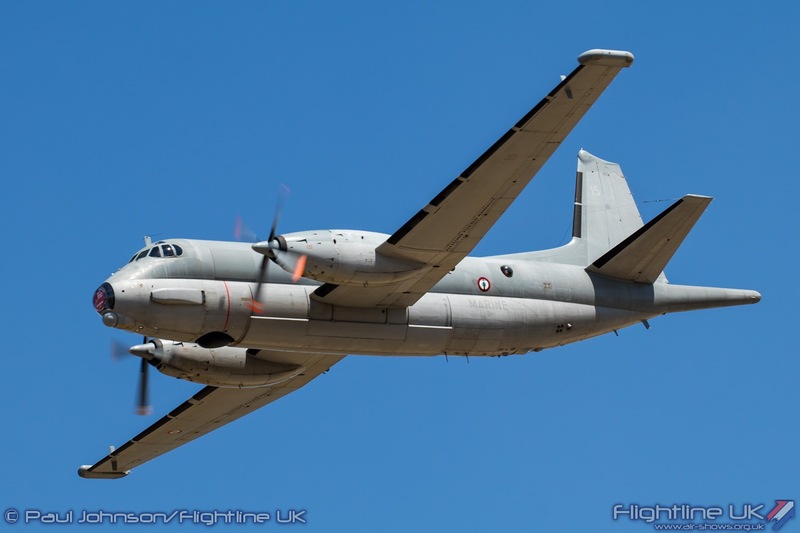 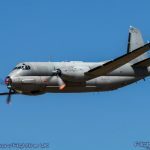 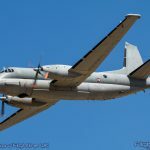 It had been hoped a Dassault-Breguet ATL2 (Atlantique) would also feature in the flying display. 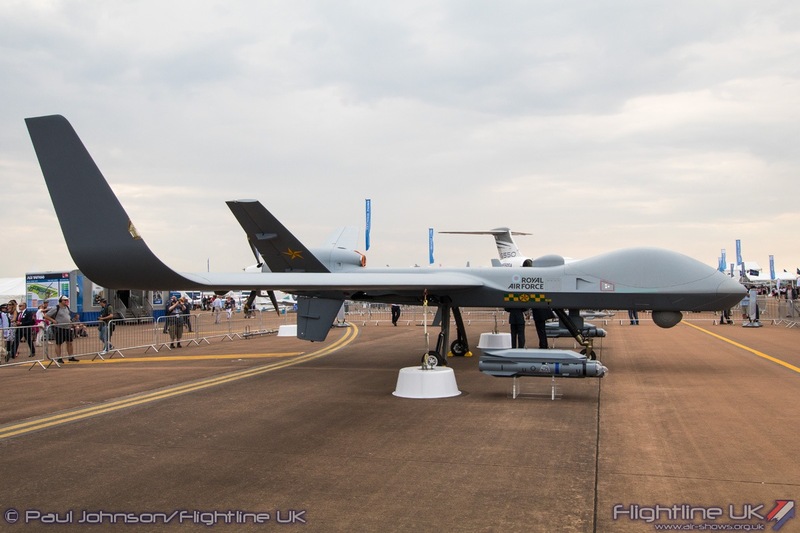 The ATL2 did infact arrive on the Tuesday and duly carried out a display validation. 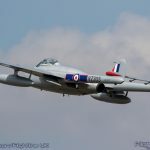 However, it was called back to France for operational reasons on the Wednesday much to the disappointment of organisers and spectators alike. 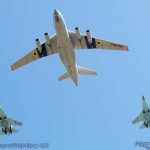 Joining the NATO and western allies were displays from Eastern European countries. 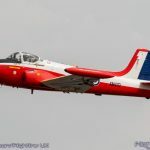 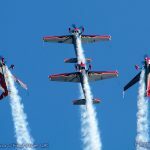 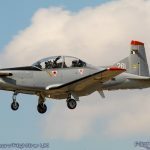 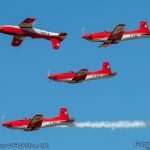 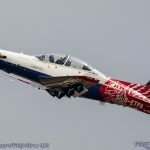 The Slovenian Air Force Pilatus PC-9M Swift solo display is always an eye-catching display, particularly its dramatic roll immediately after take-off. 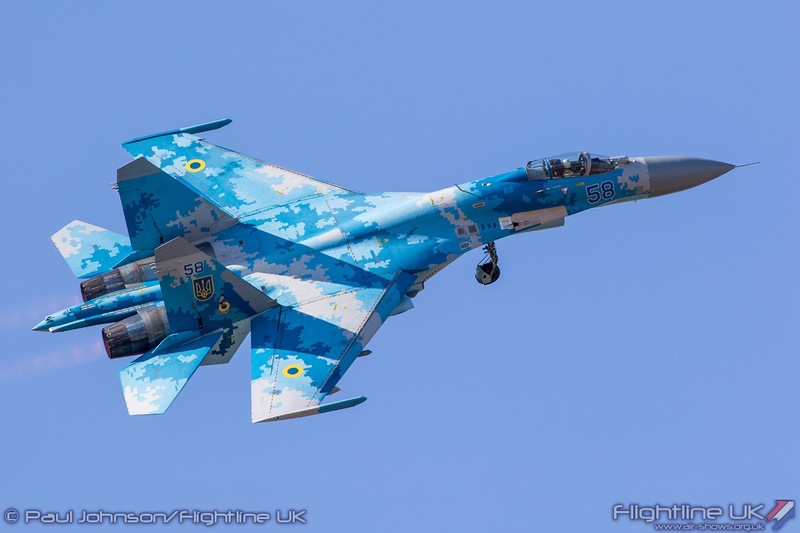 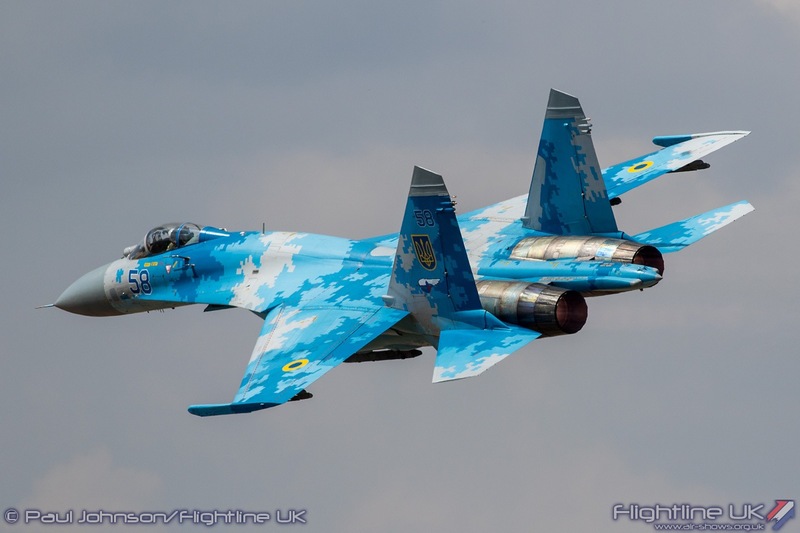 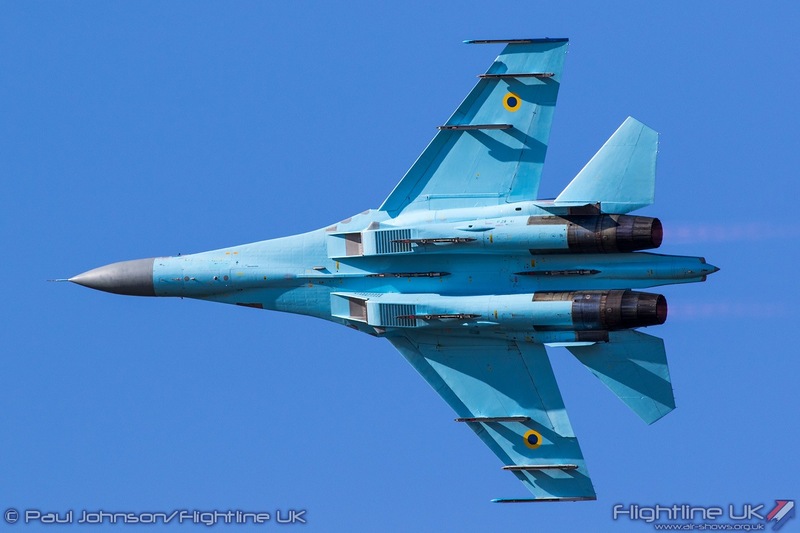 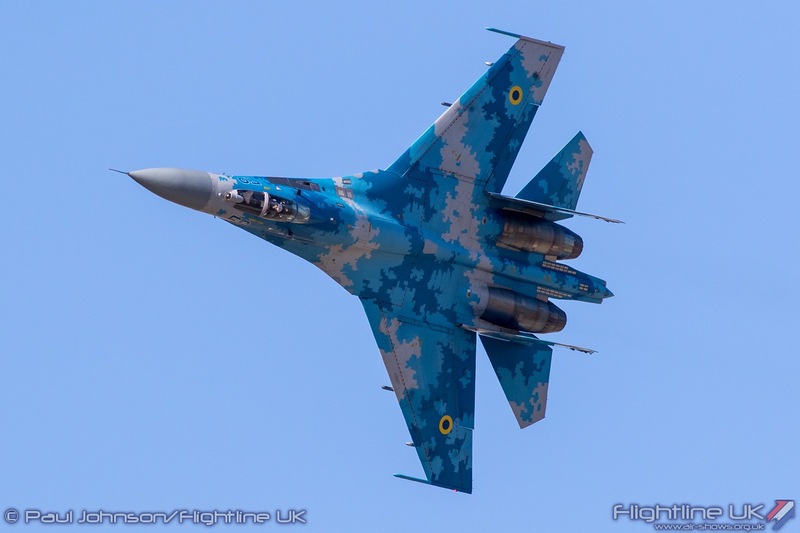 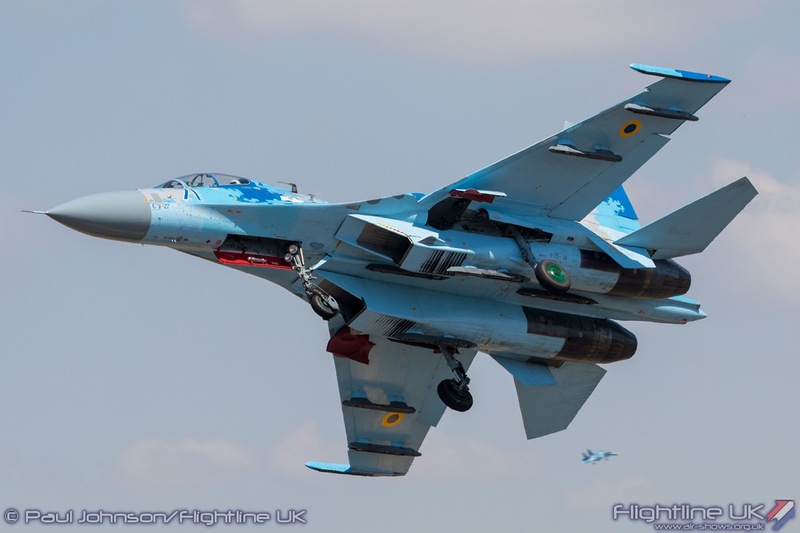 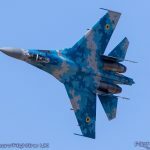 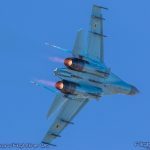 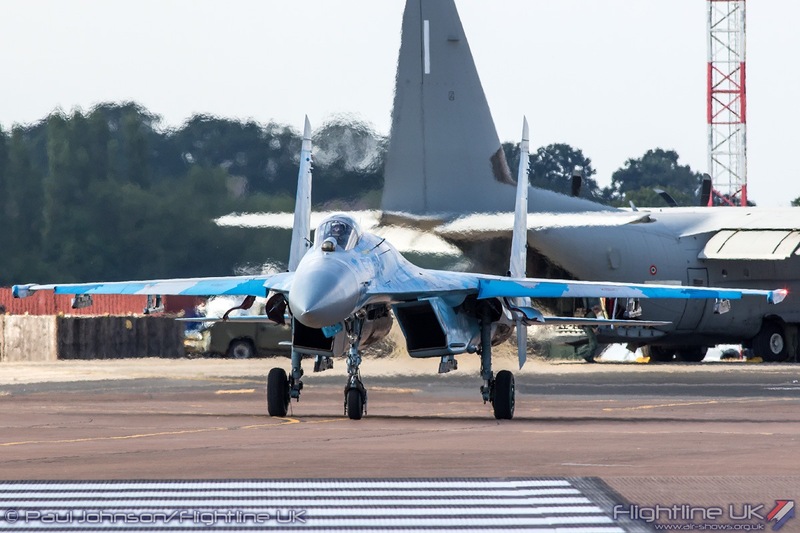 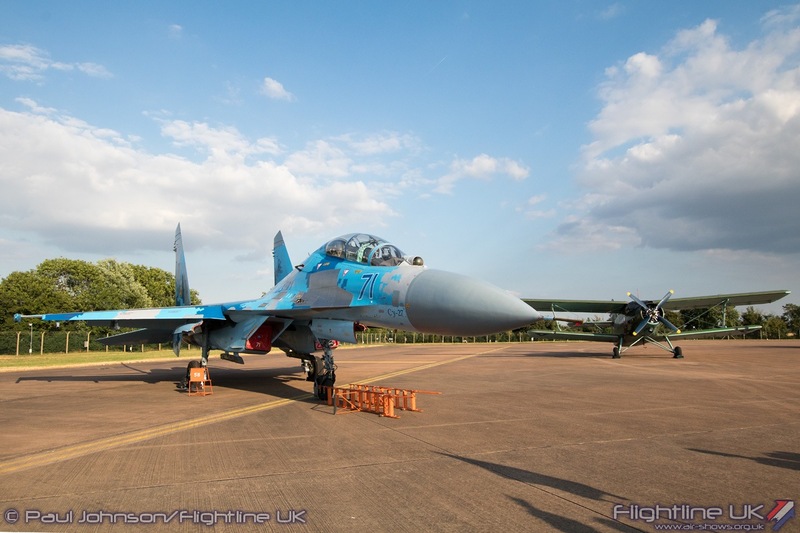 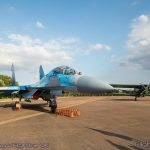 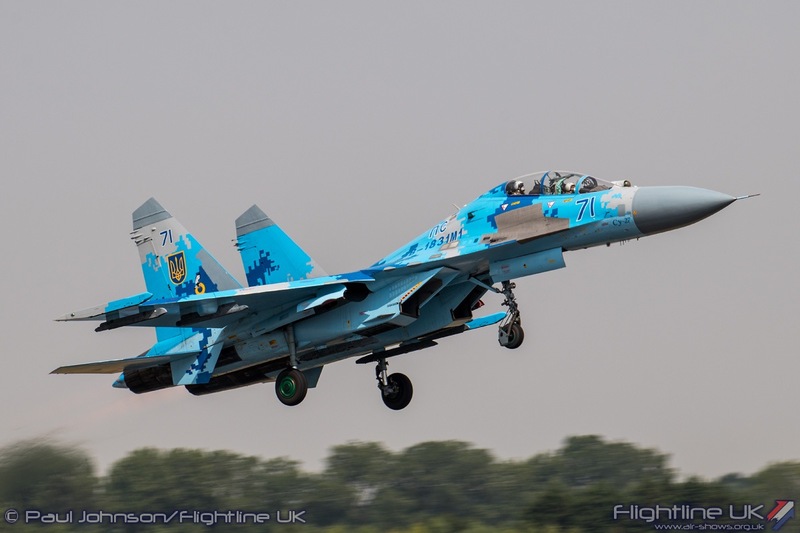 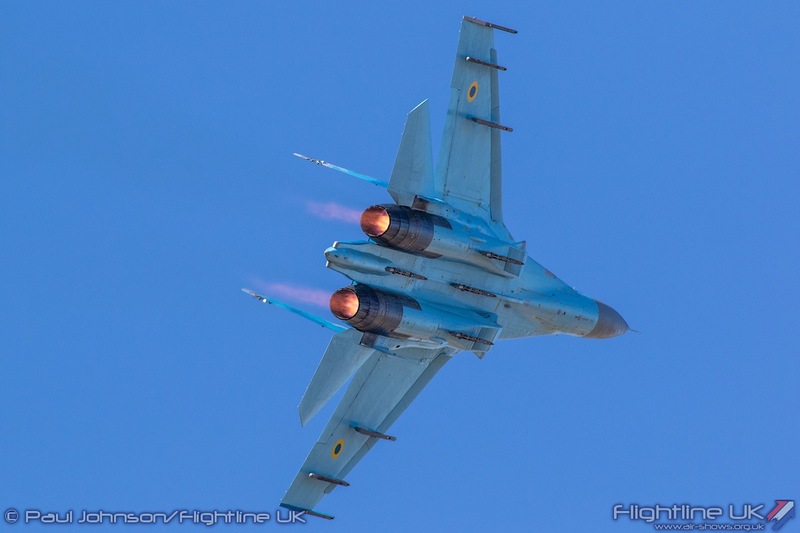 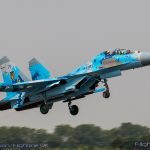 However it was once again the Ukrainian Air Force’s Sukhoi Su-27P Flanker that was the star of the solo jets. 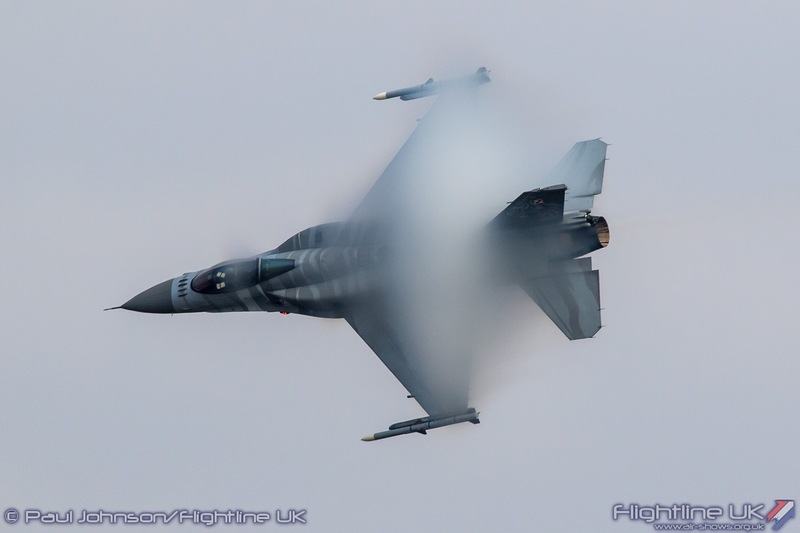 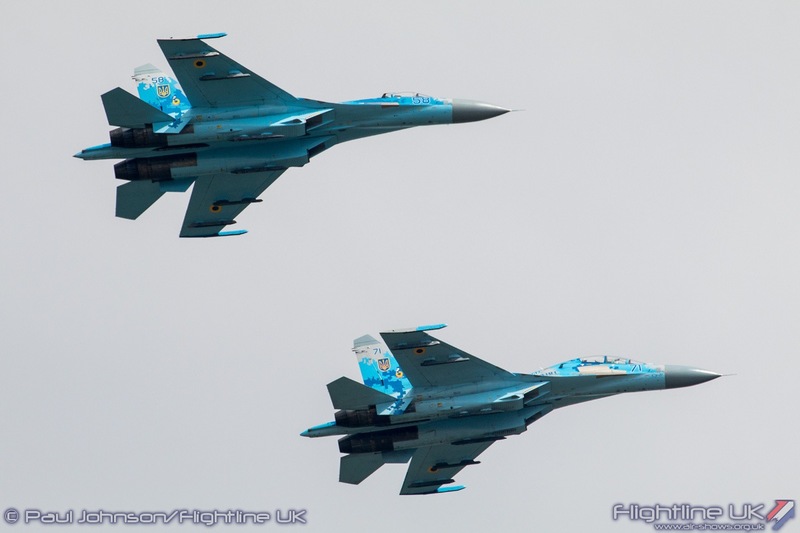 Last year, the Flanker was constrained by low clouds. 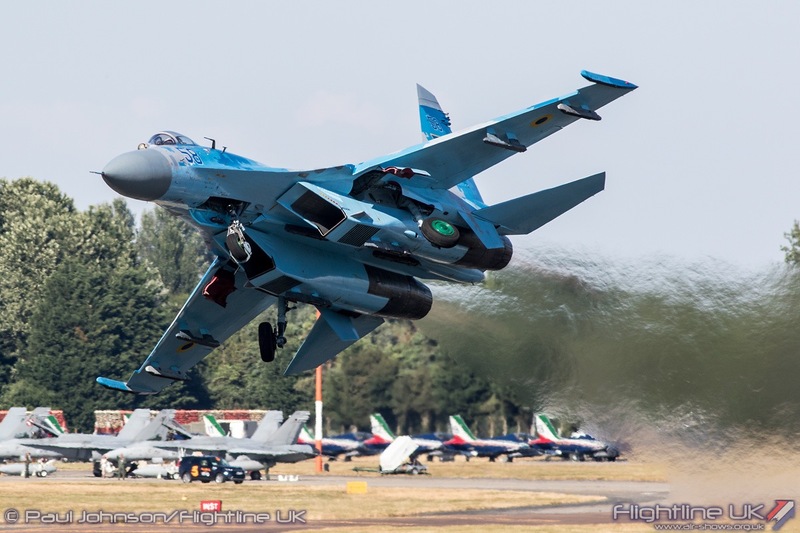 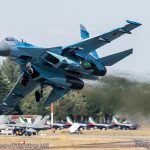 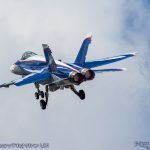 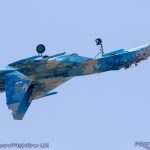 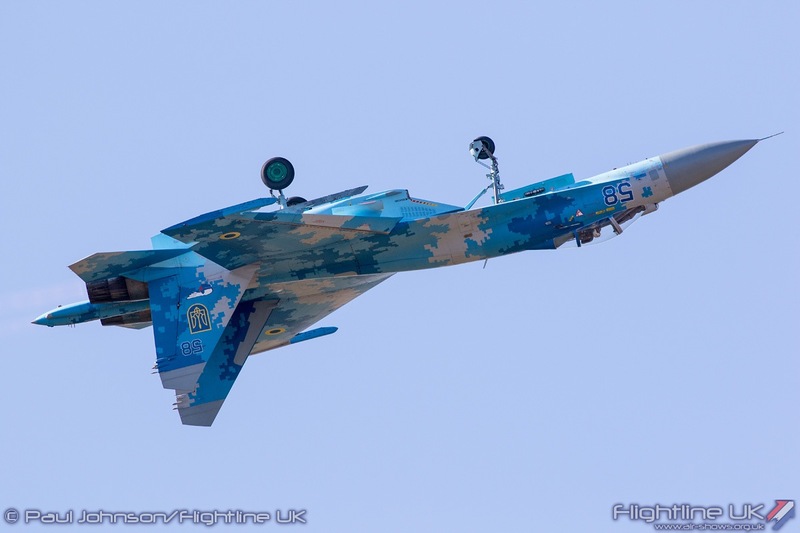 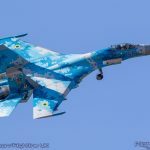 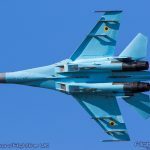 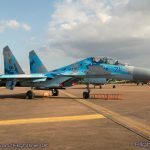 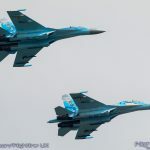 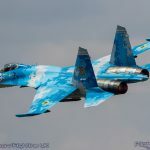 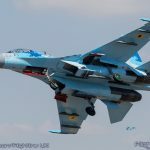 However this year the cloud base was not an issue and the Sukhoi really used up the sky performing the trademark tailslide during a powerful routine highlighting just how potent the huge Su-27 still is after so many years in service. 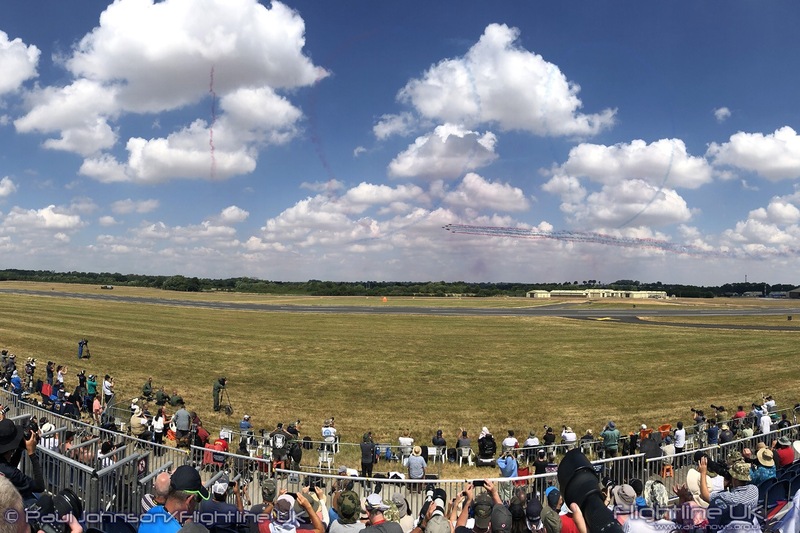 No airshow can come close to the Royal International Air Tattoo when it comes to bringing together so many military aircraft from a multitude of different countries. 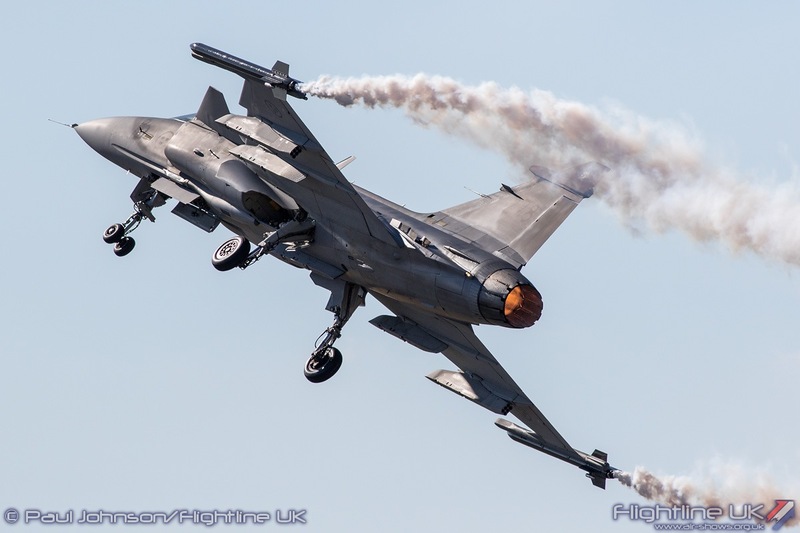 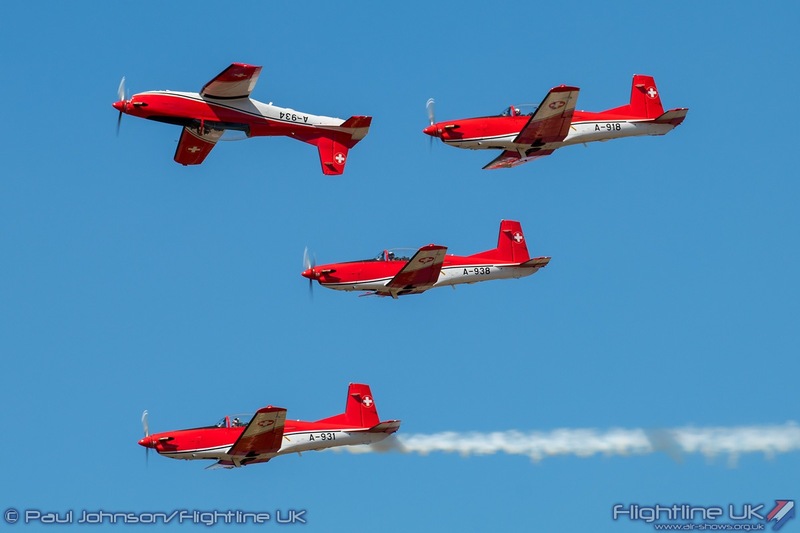 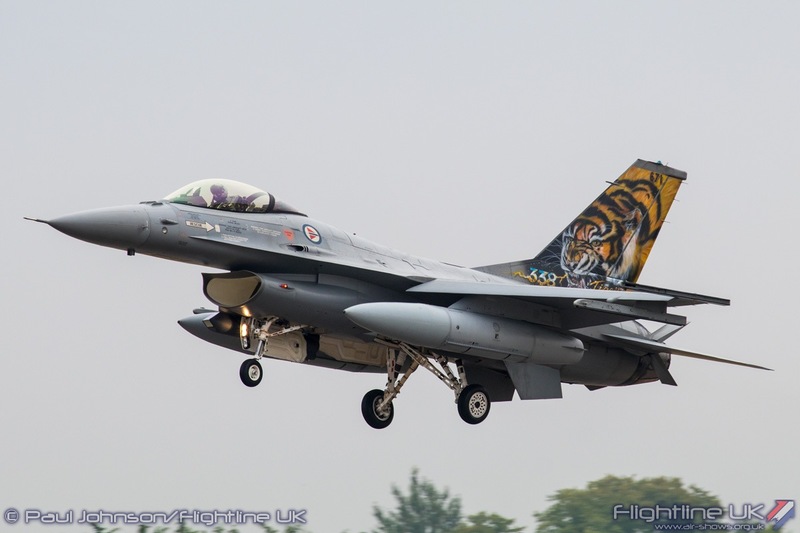 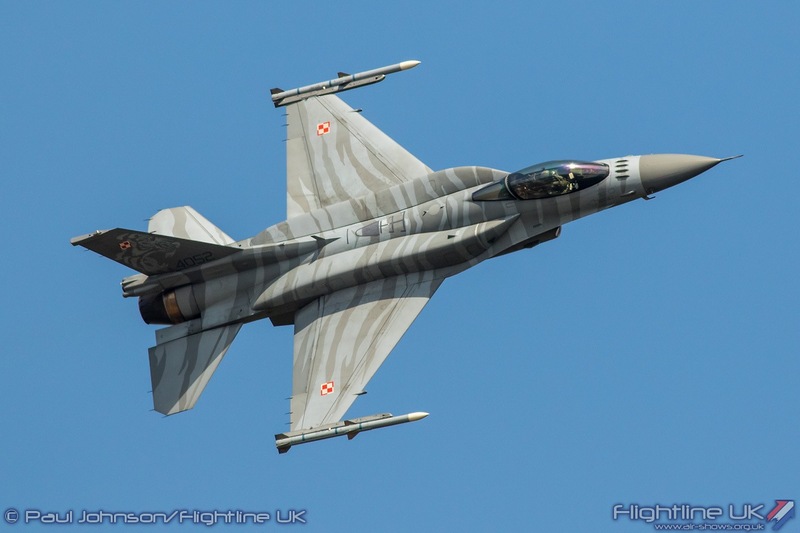 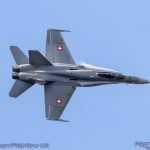 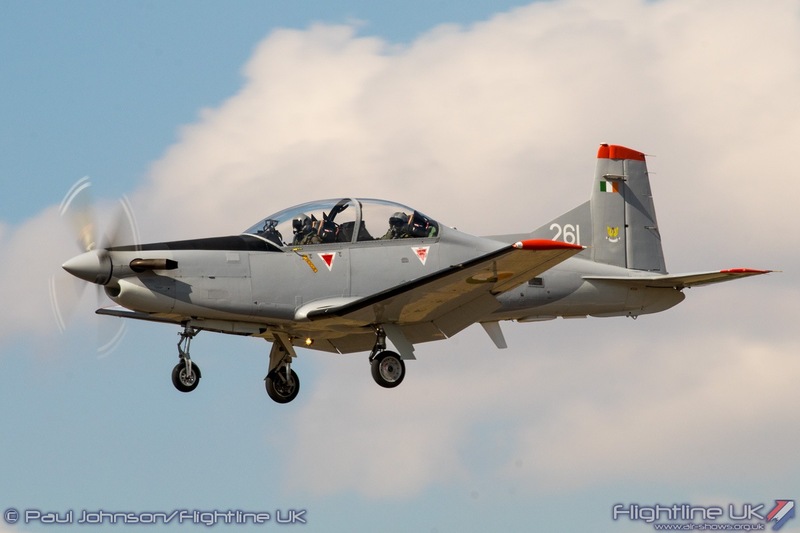 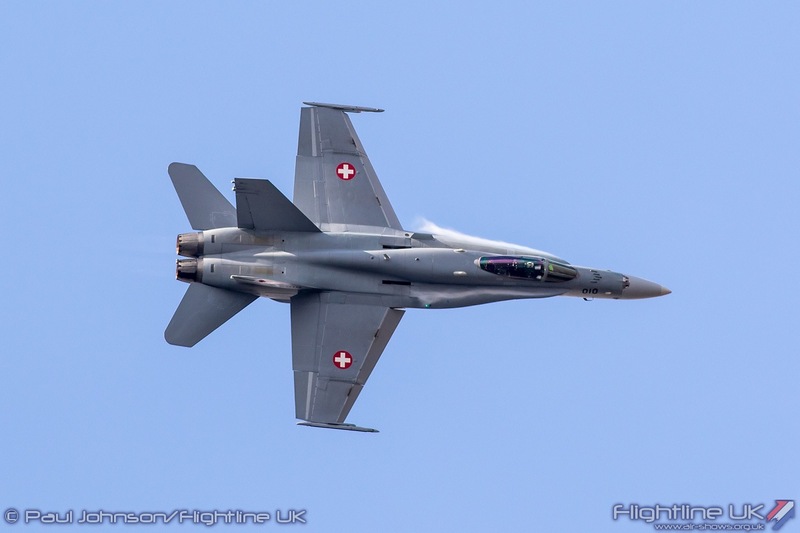 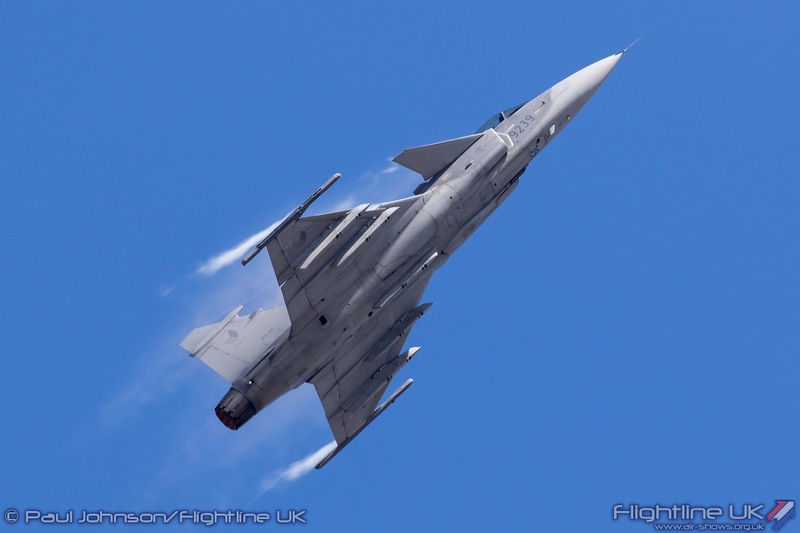 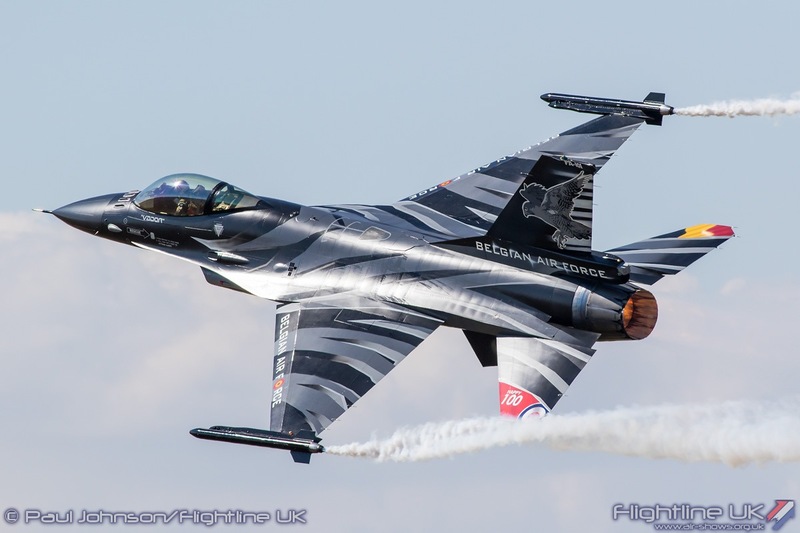 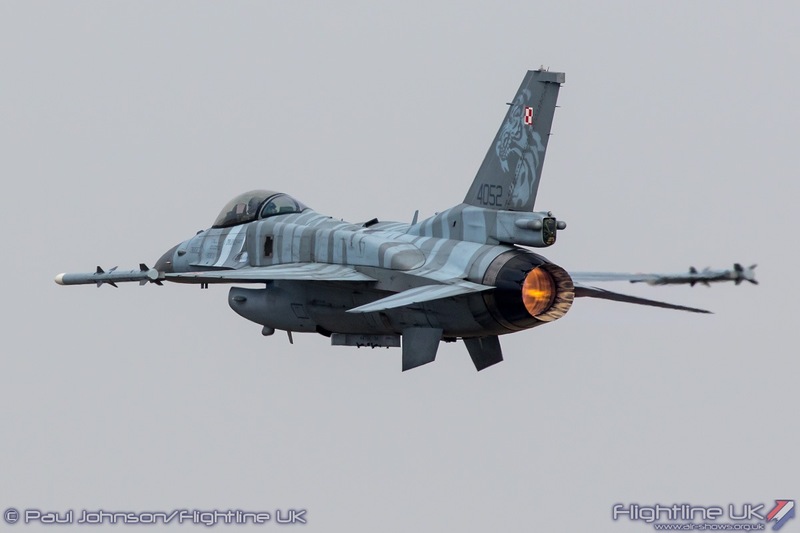 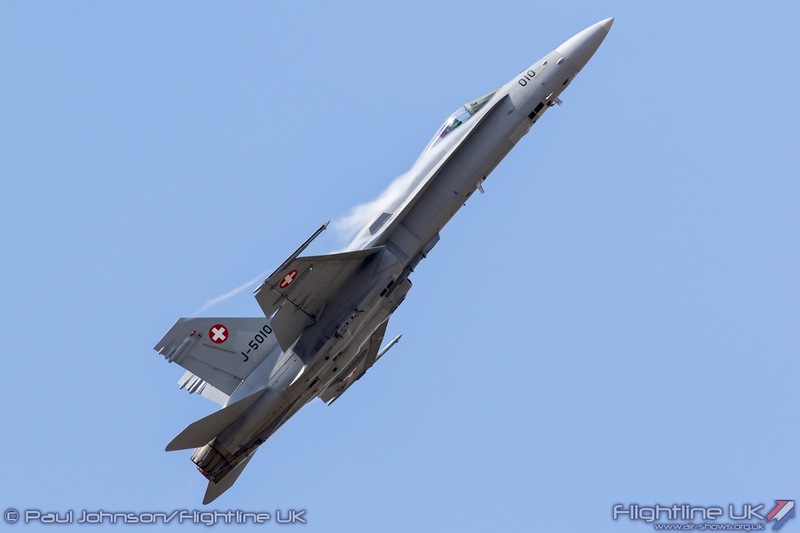 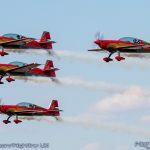 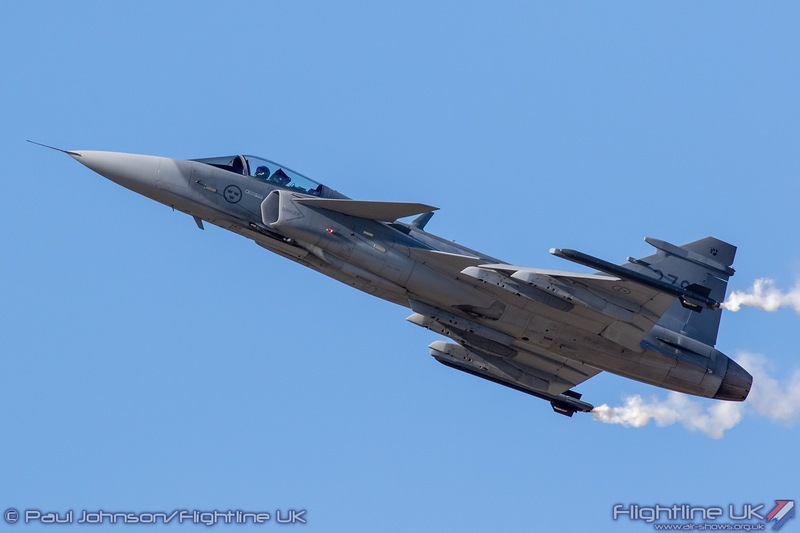 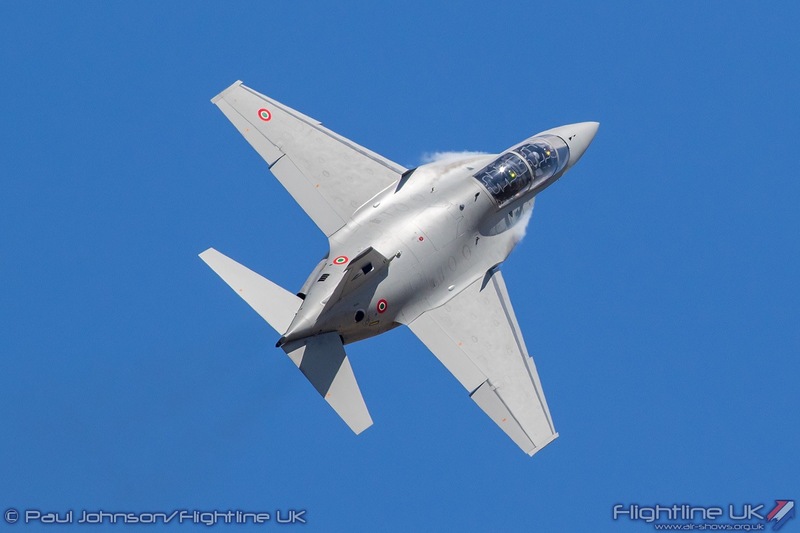 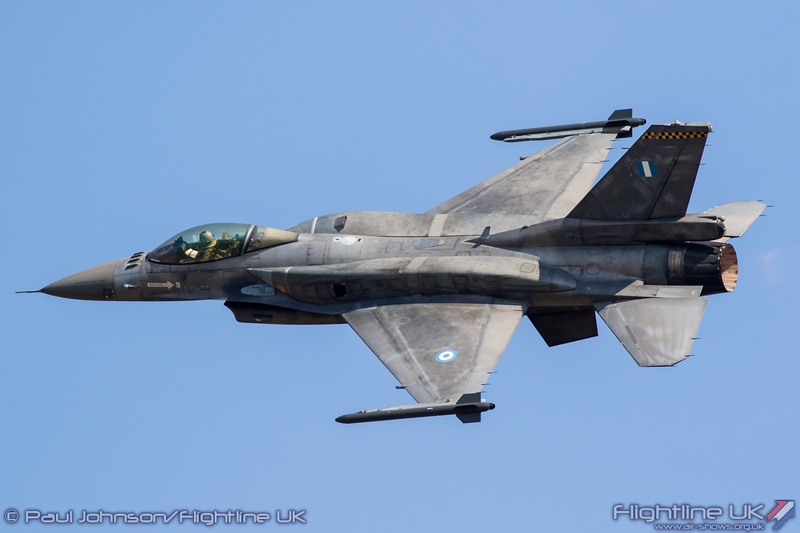 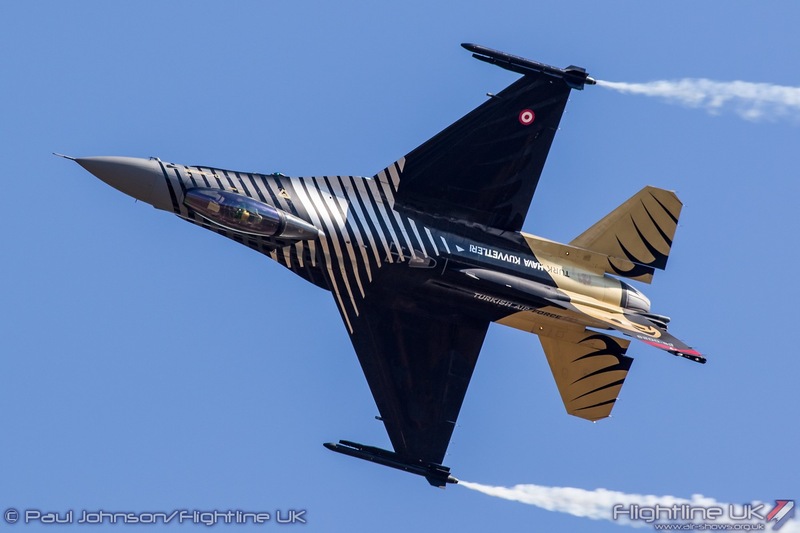 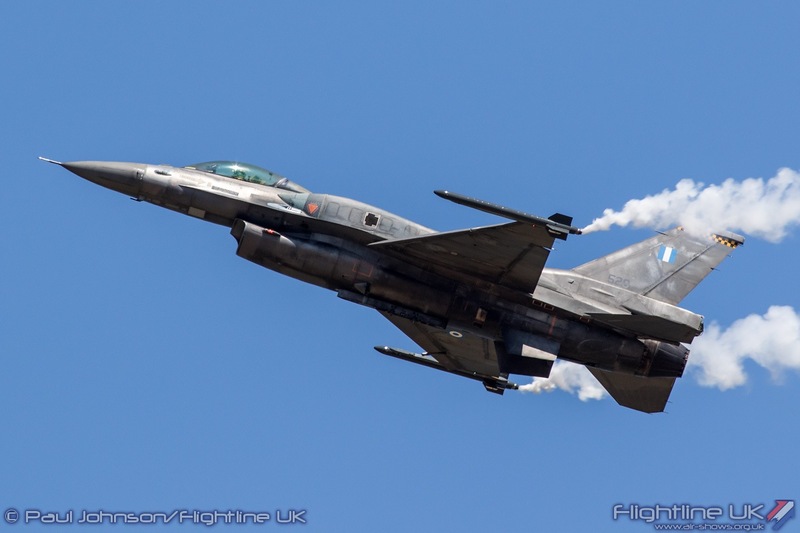 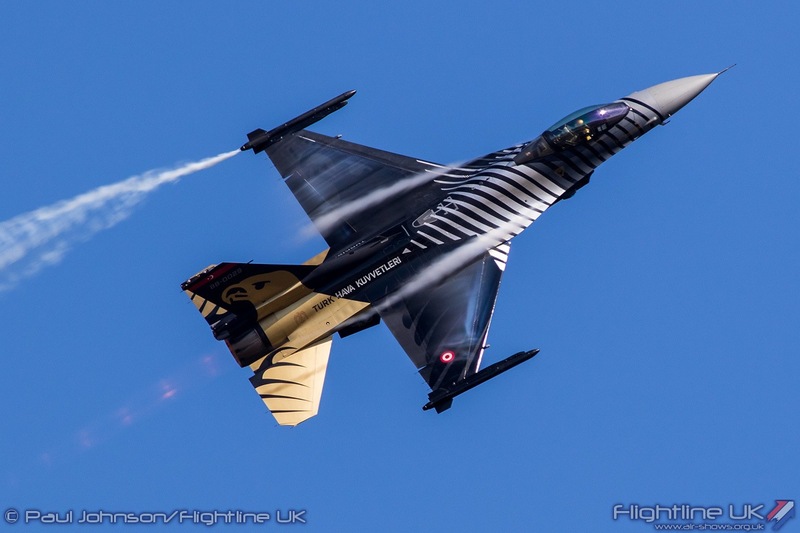 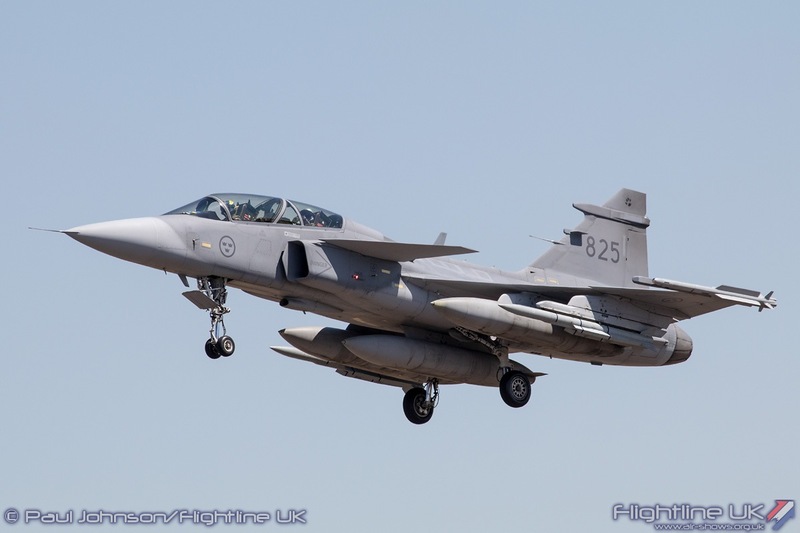 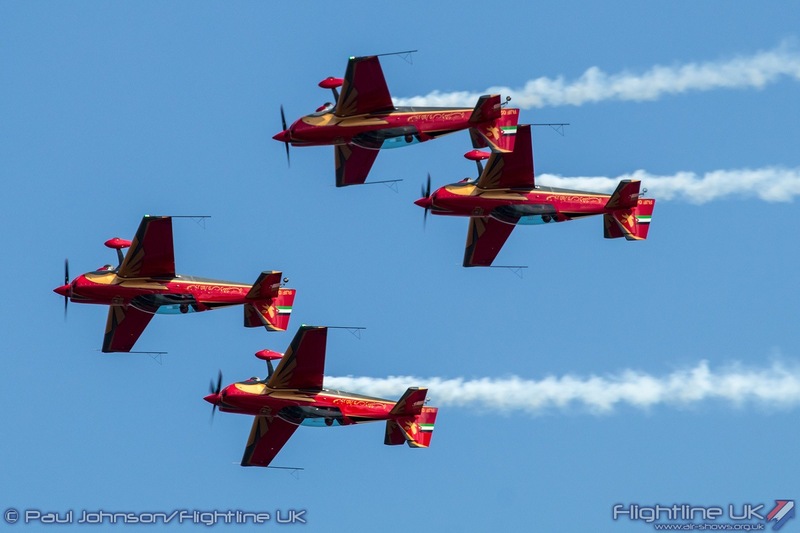 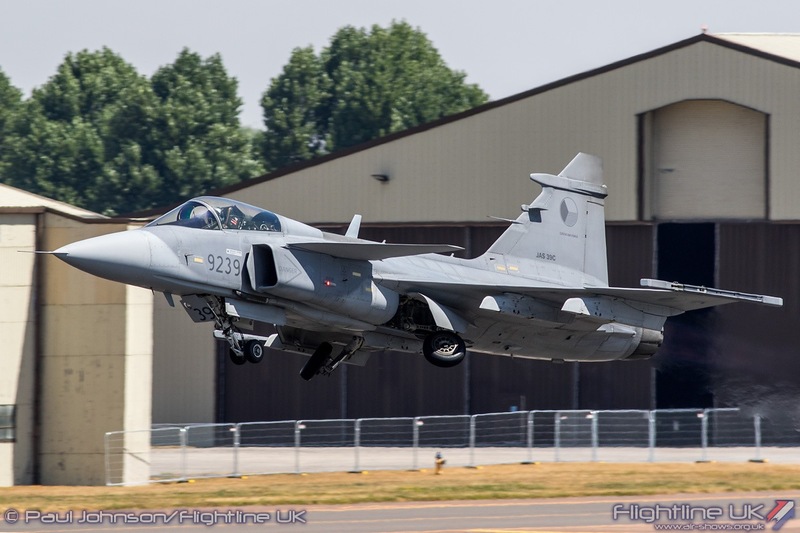 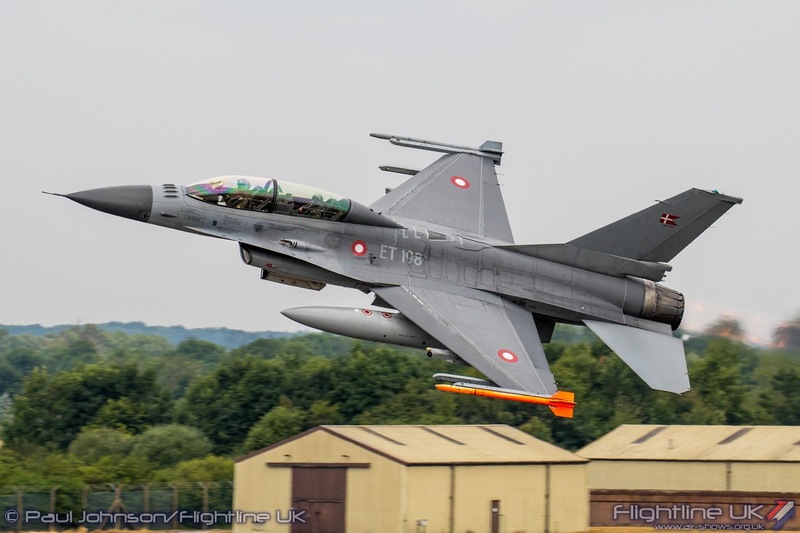 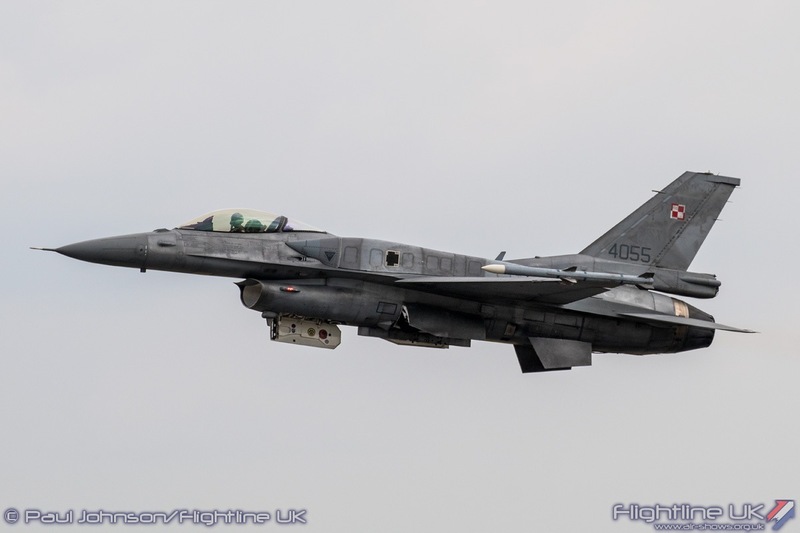 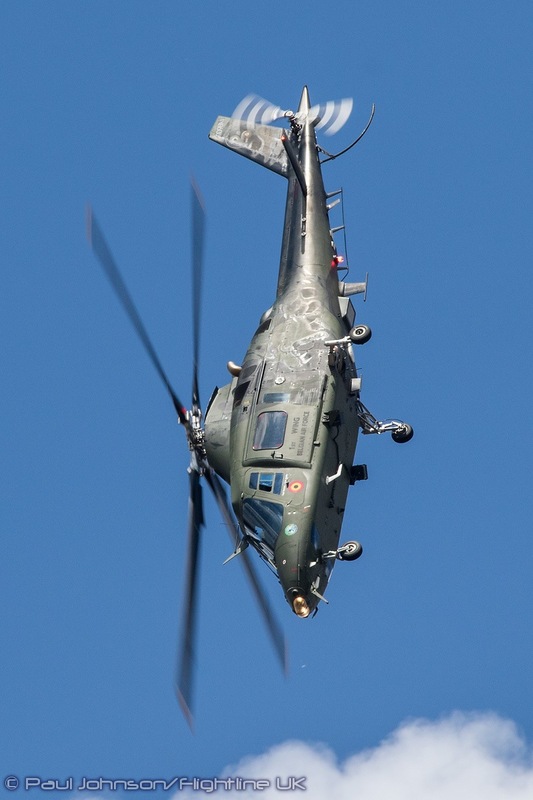 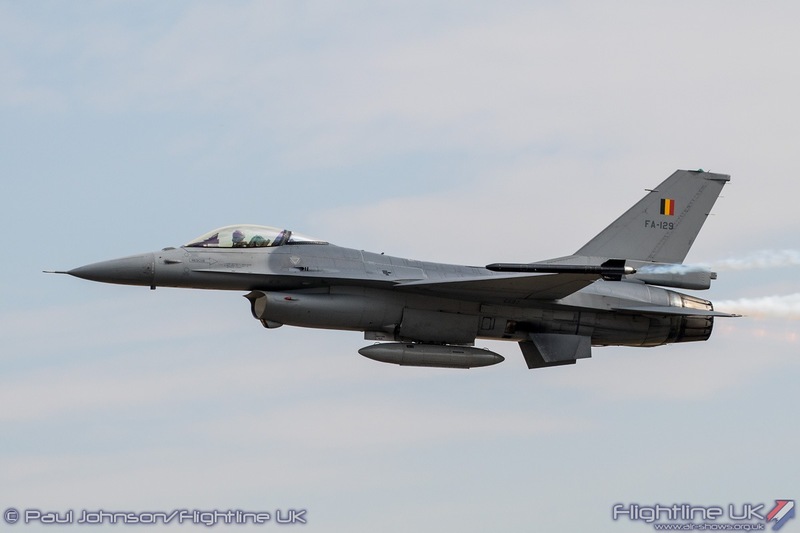 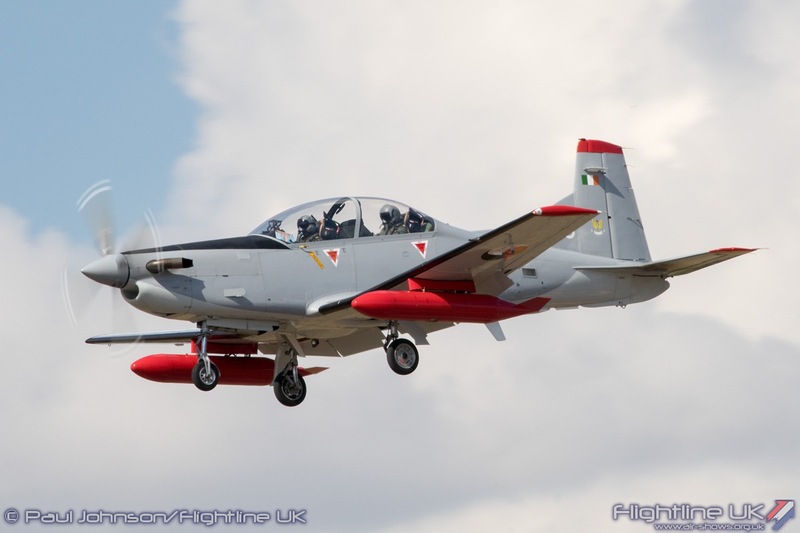 In total, 302 aircraft, from 43 air arms representing 30 nations attended the 2018 event, of which 121 took part in the flying display. 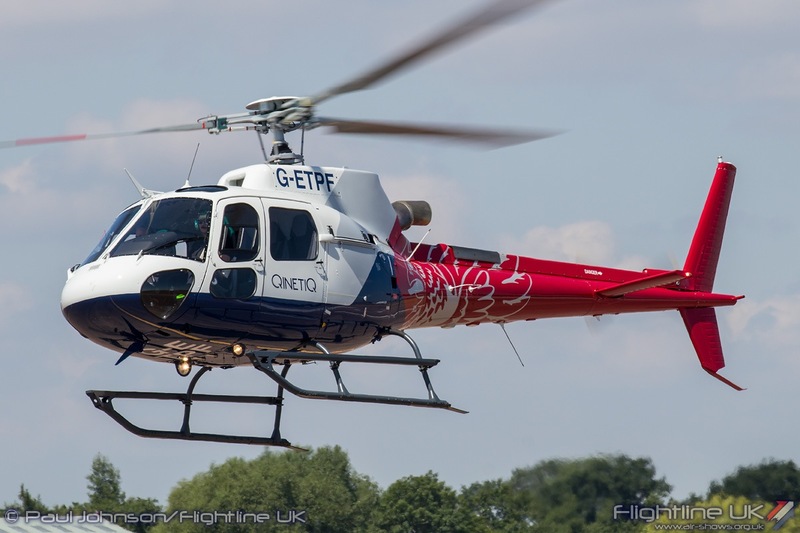 Those numbers could have been even higher had it not been for a number of late cancellations. 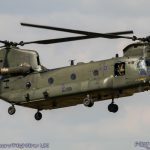 That is an incredible number particularly considering many air forces including the Royal Air Force find themselves stretched with current on-going operations, fewer personnel and dwindling budgets. 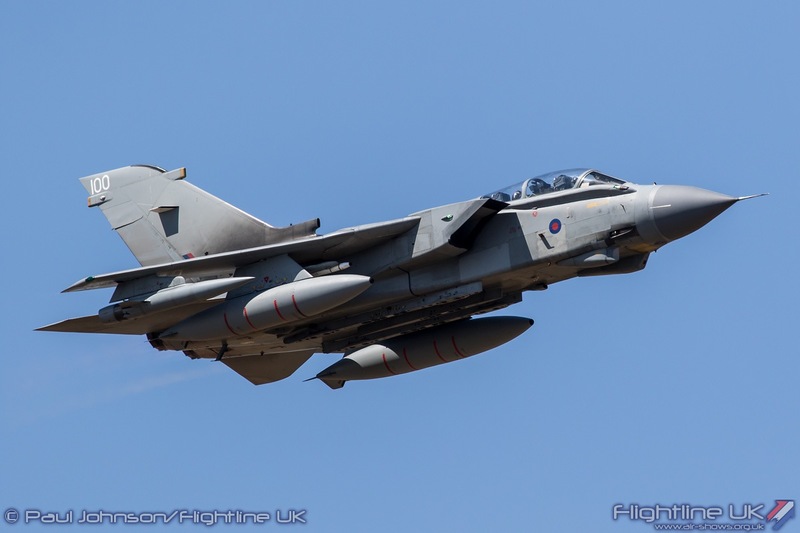 This in particular is why the RAF100 celebrations felt a little low-key compared to previous anniversaries; the RAF is much smaller with less equipment and manpower but has not stopped supporting UK operations around the globe. 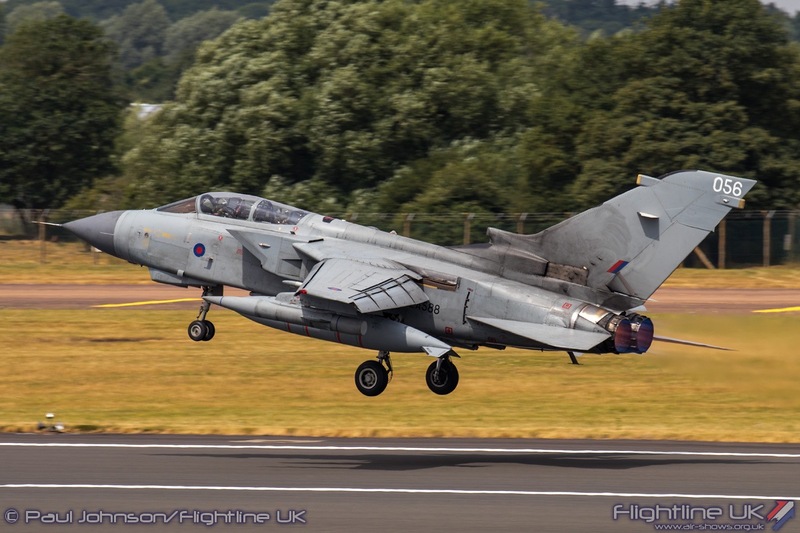 This was a good RIAT and certainly hugely enjoyable. 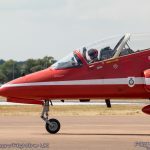 It was as always very well organised throughout with some great side attractions on the ground accompanying the aviation action. 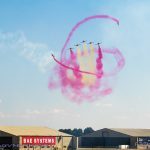 If there was a slight irritation with the 2018 event, it was that the showground closed so soon after the flying display ended. 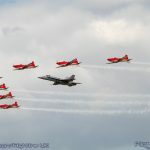 Saturday and Sunday didn’t see the flying end until gone 6.30pm and the showground closed at 7.30pm. 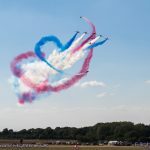 It’s completely understandable that the showground needs to closed to allow for it to be reset for the next day, but leaving just an hour did seem a little mean. 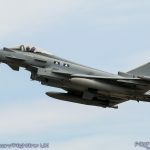 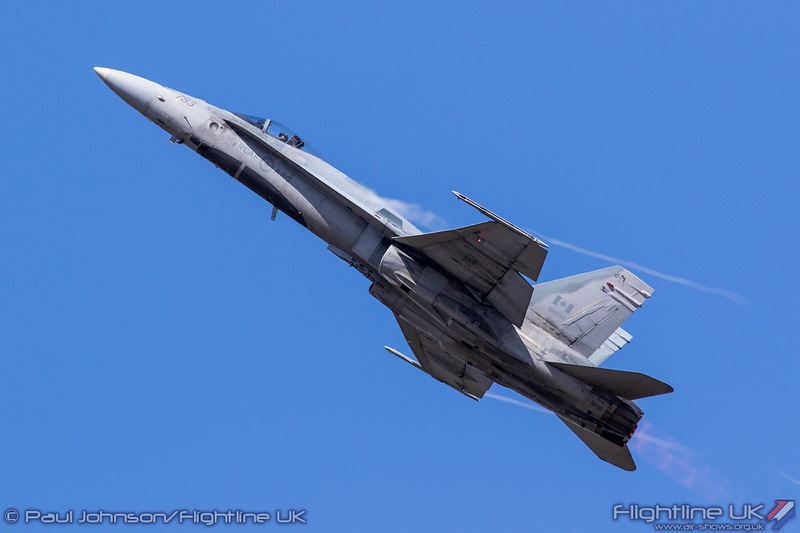 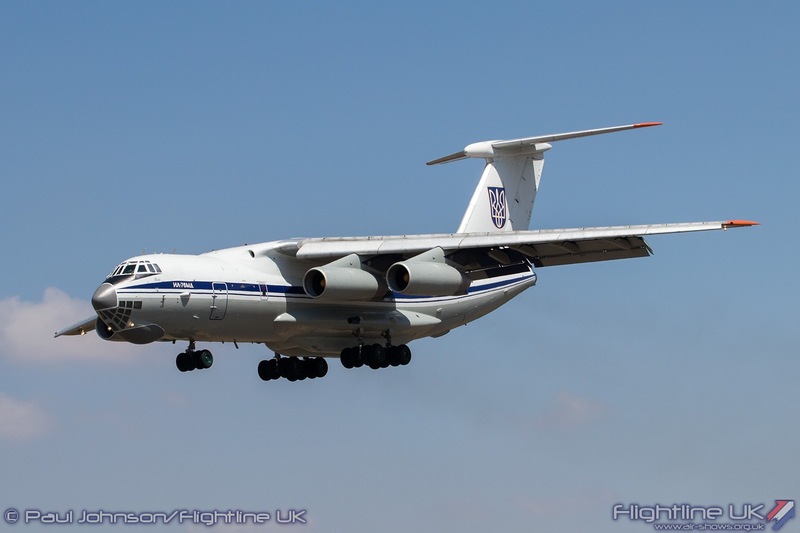 2019 will see RIAT return to “normal” over the 19th-21st July with a short show day on the Friday before the main event days on the Saturday and Sunday. 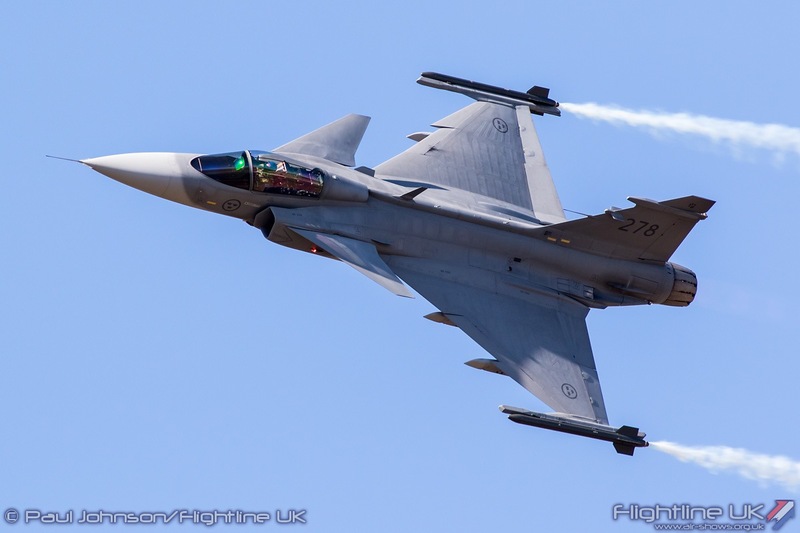 The theme has already been chosen as the 70th Anniversary of the North Atlantic Treaty Organisation.